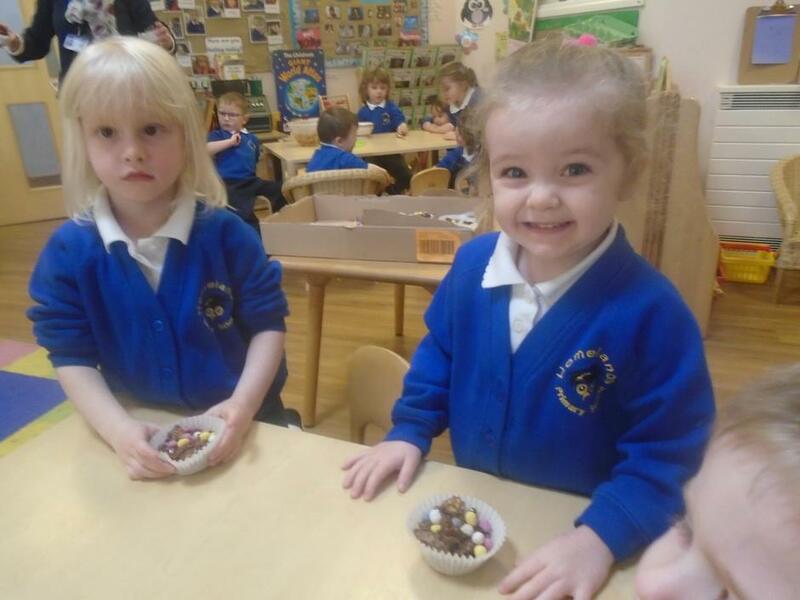 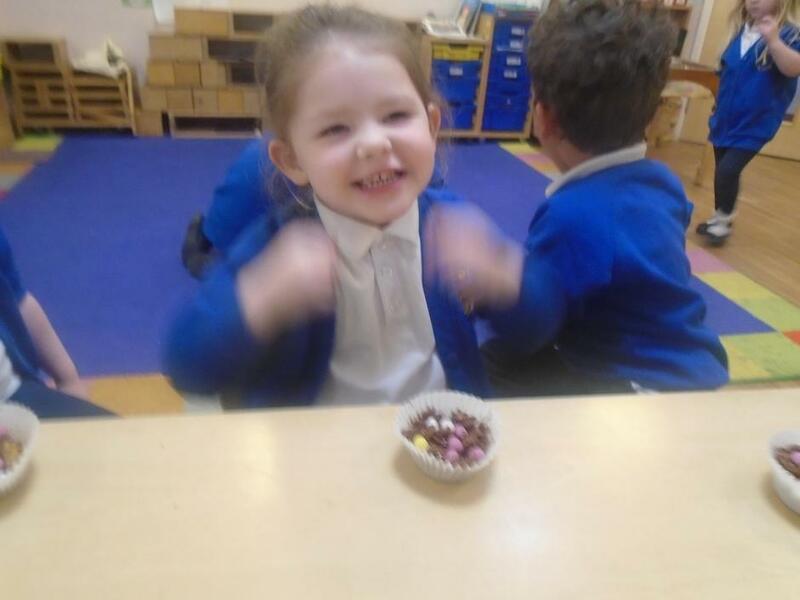 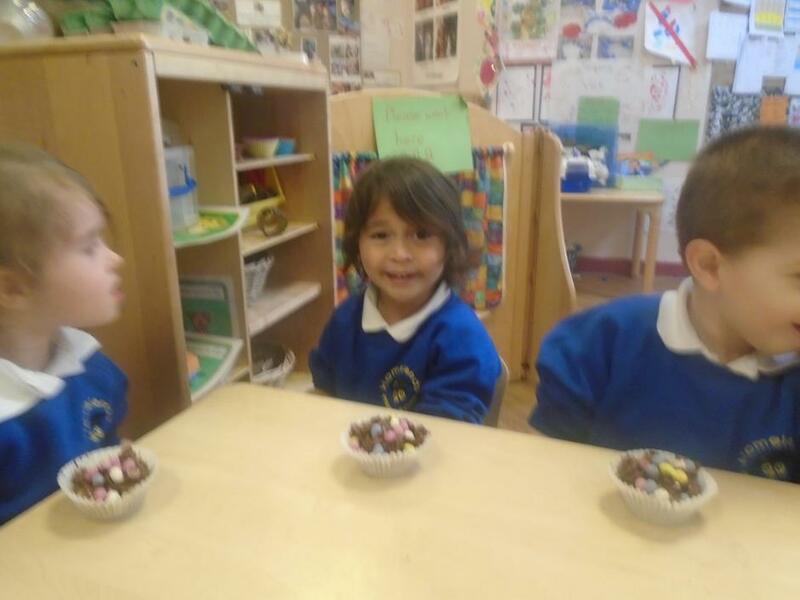 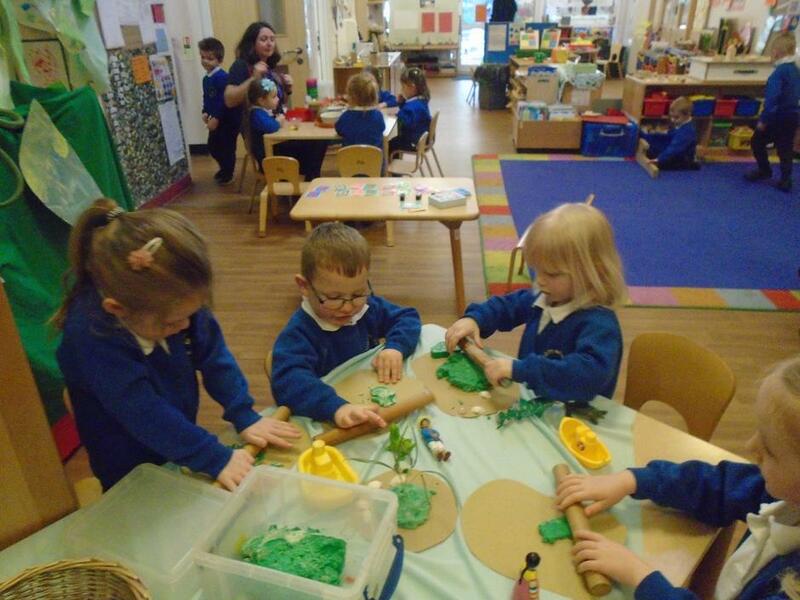 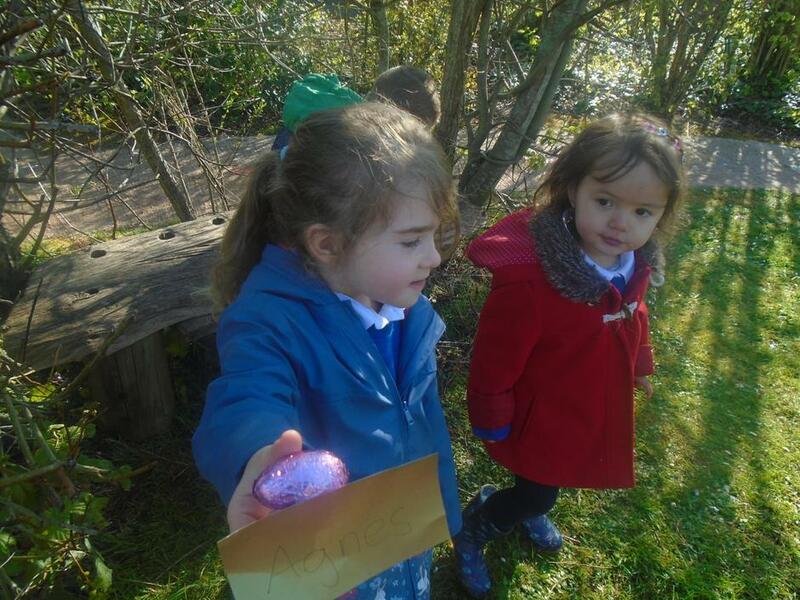 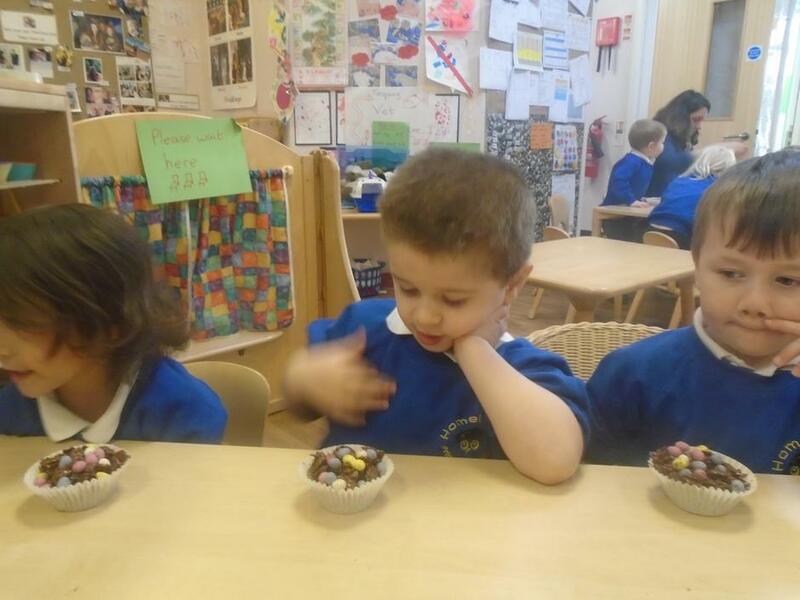 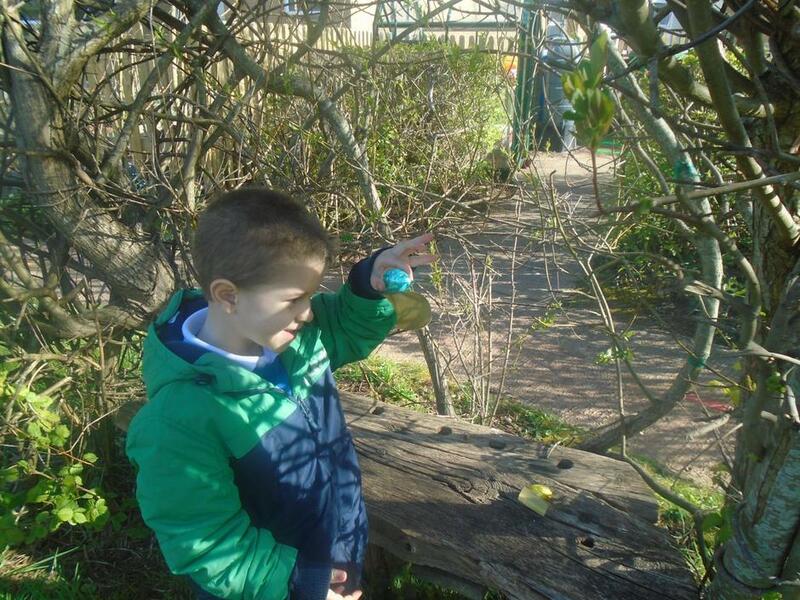 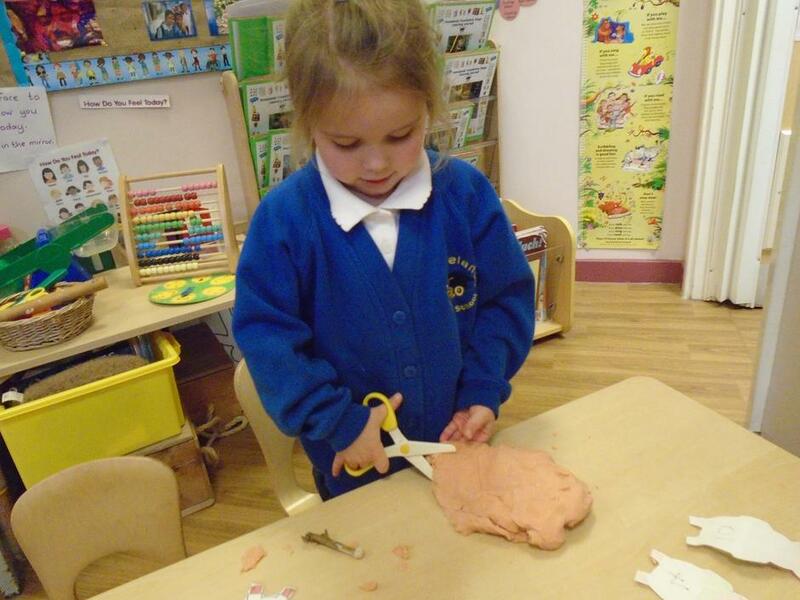 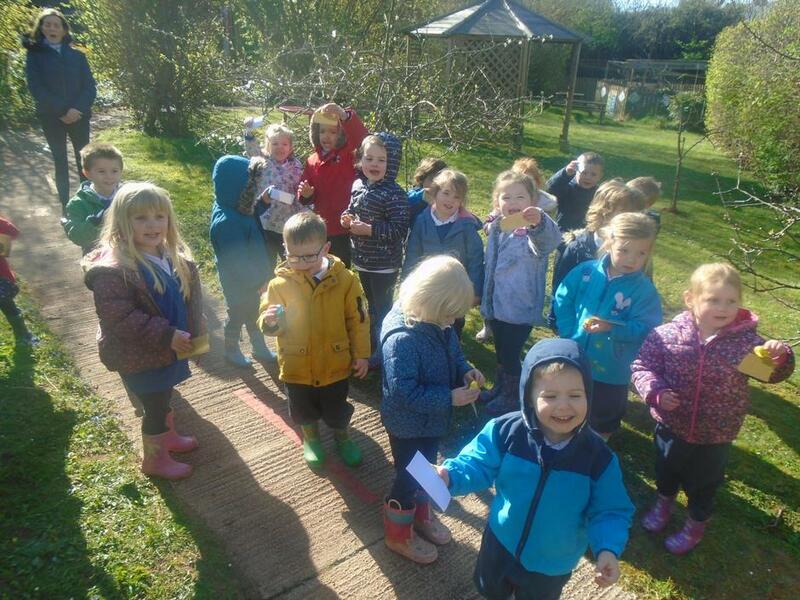 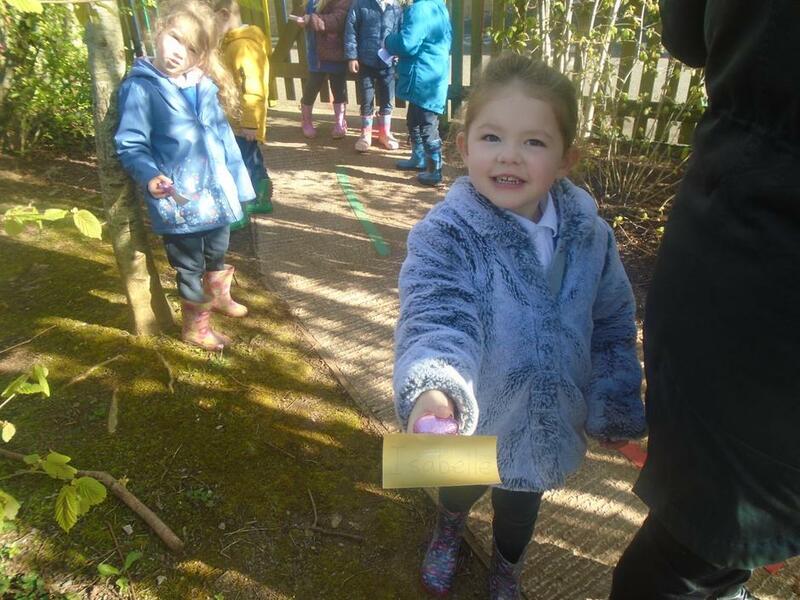 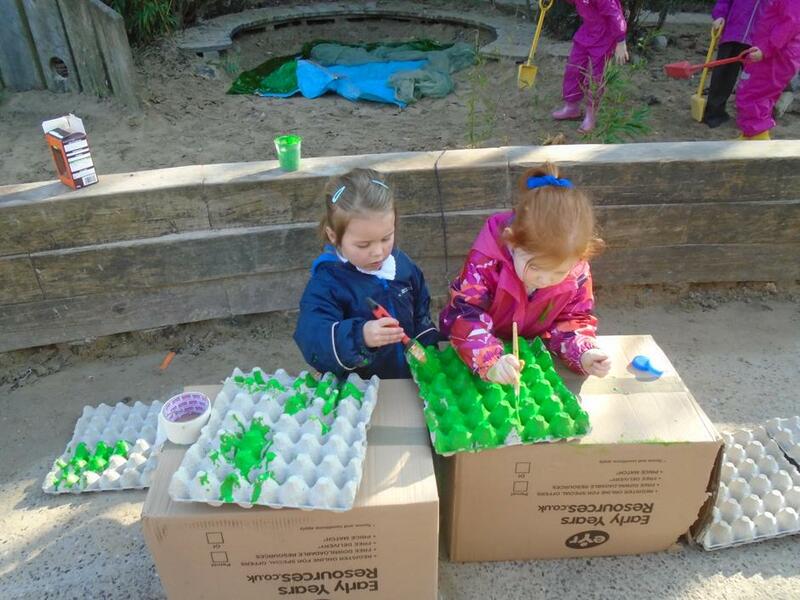 Easter fun in Nursery! 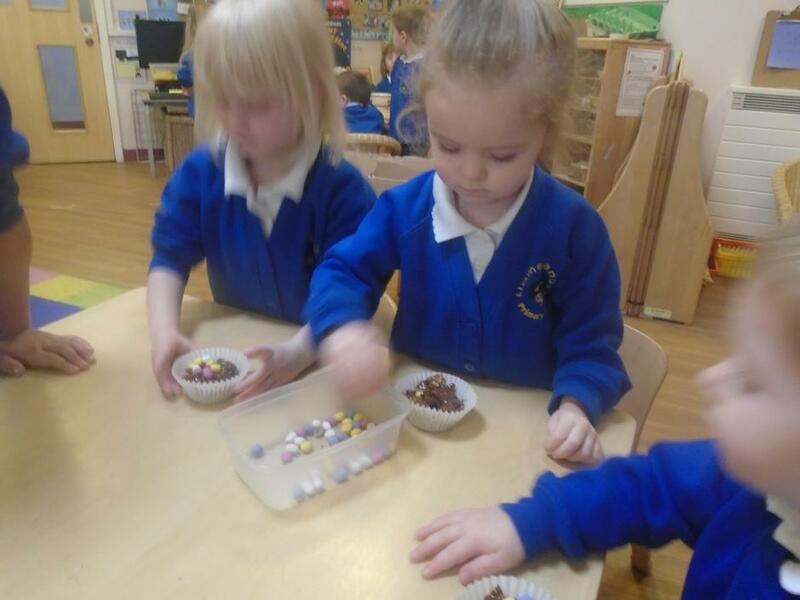 Easter crafts, Easter Egg hunts and making chocolate nests. 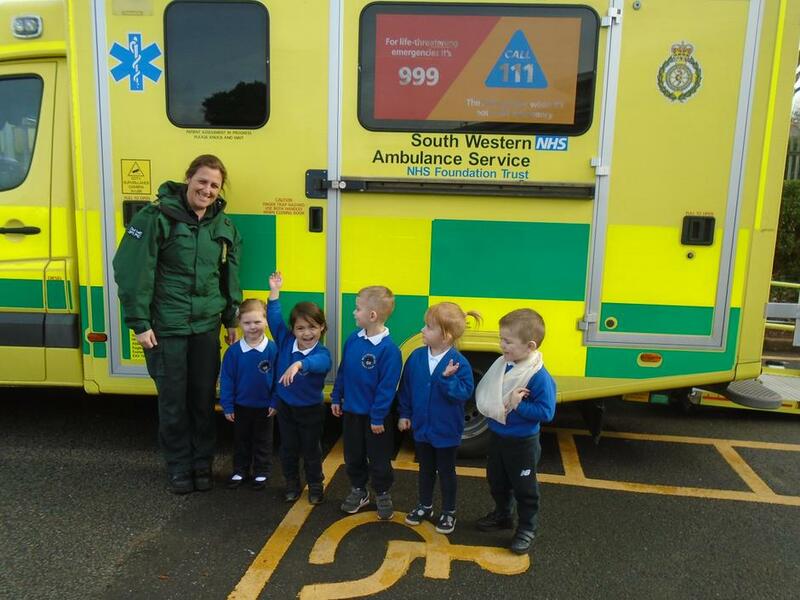 People that help us. 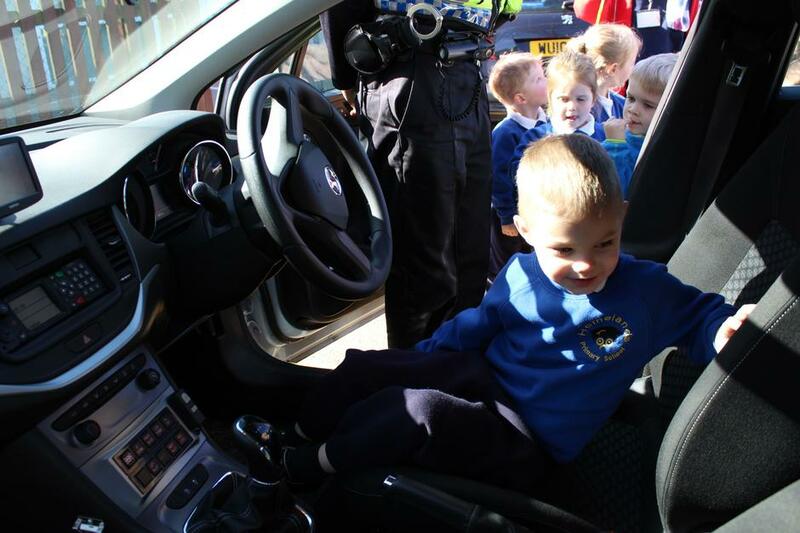 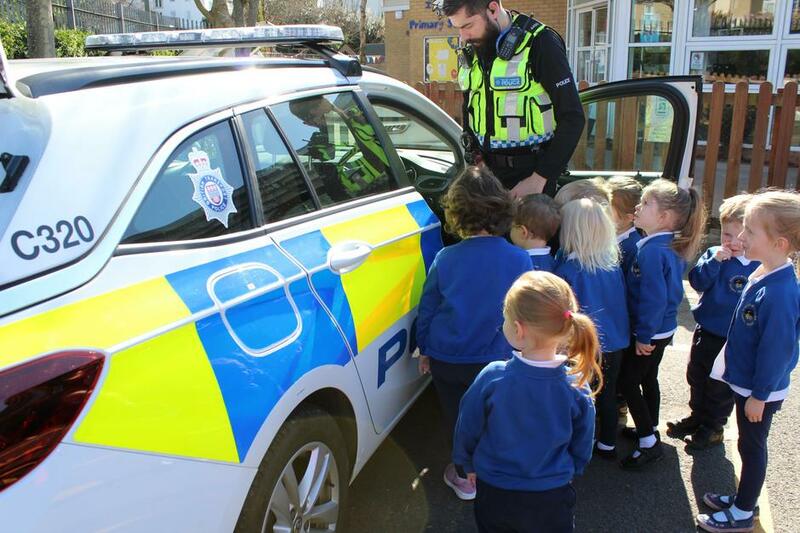 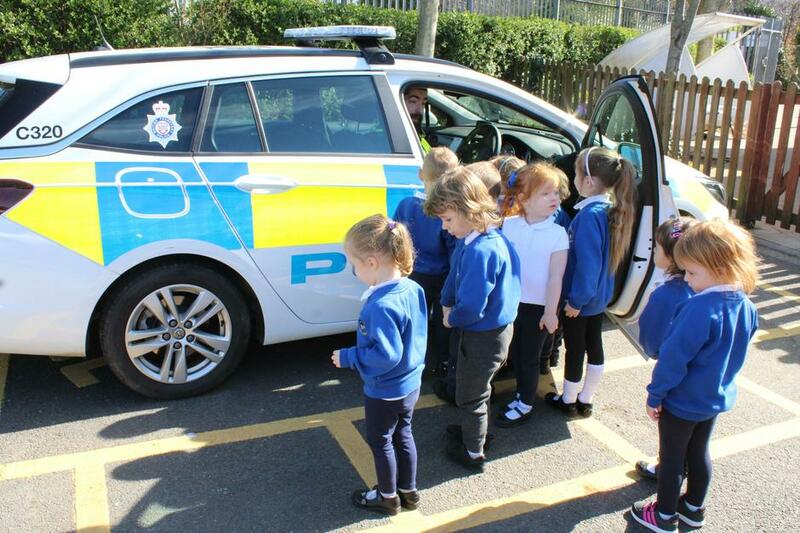 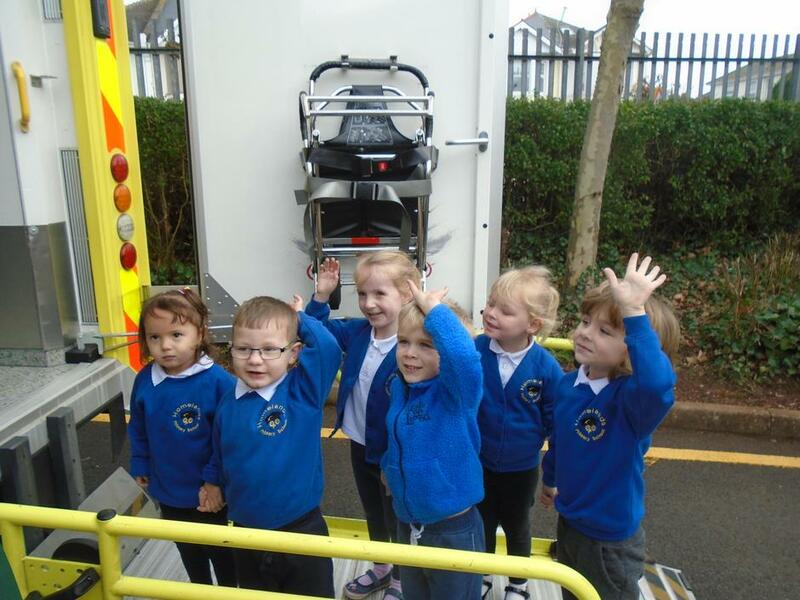 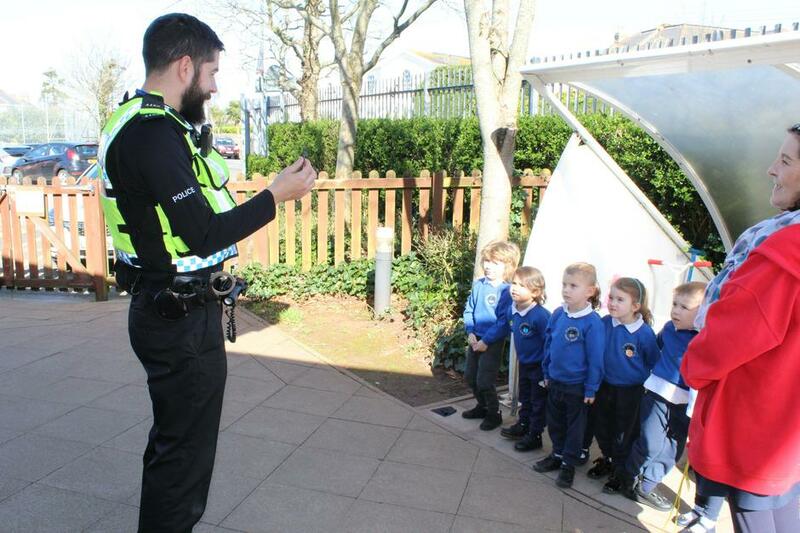 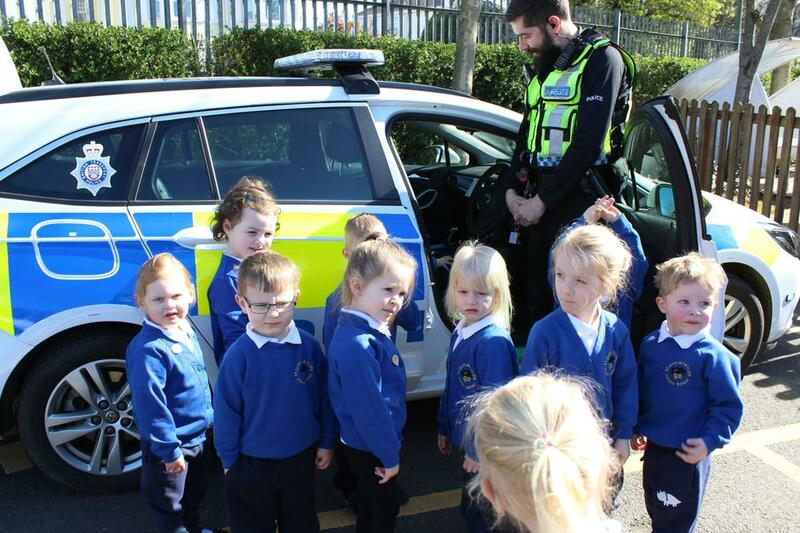 Lola's dad very kindly came to visit Nursery to show us his police car and to talk to us about being a police officer. 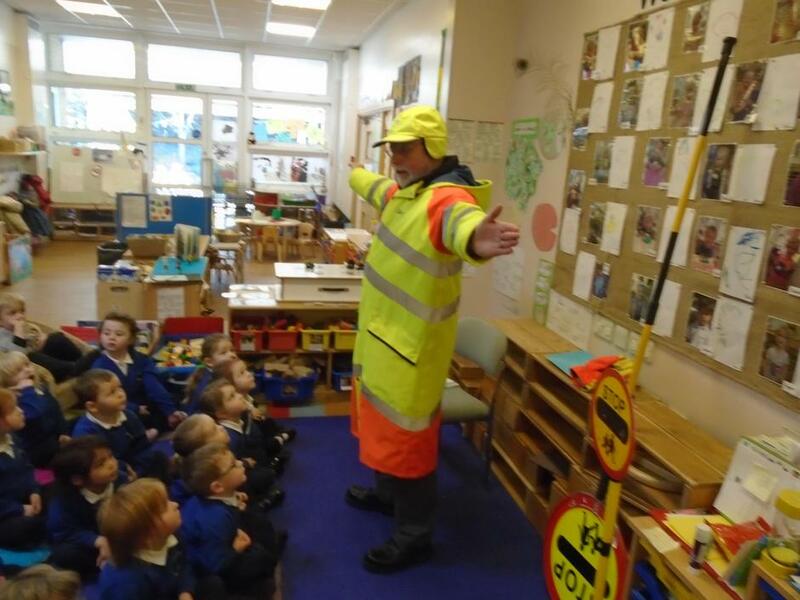 Today Mr Thomas our crossing patrol officer (Lollypop man) came in to talk to us about road safety. 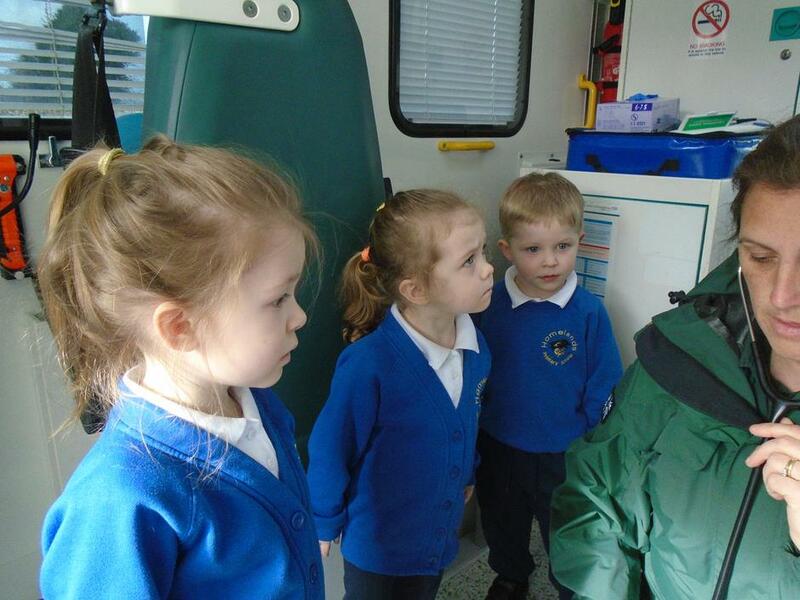 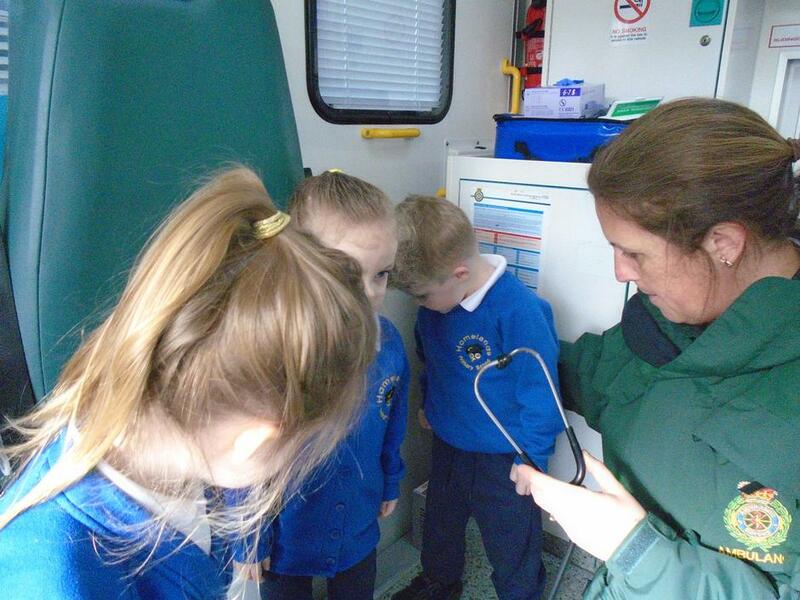 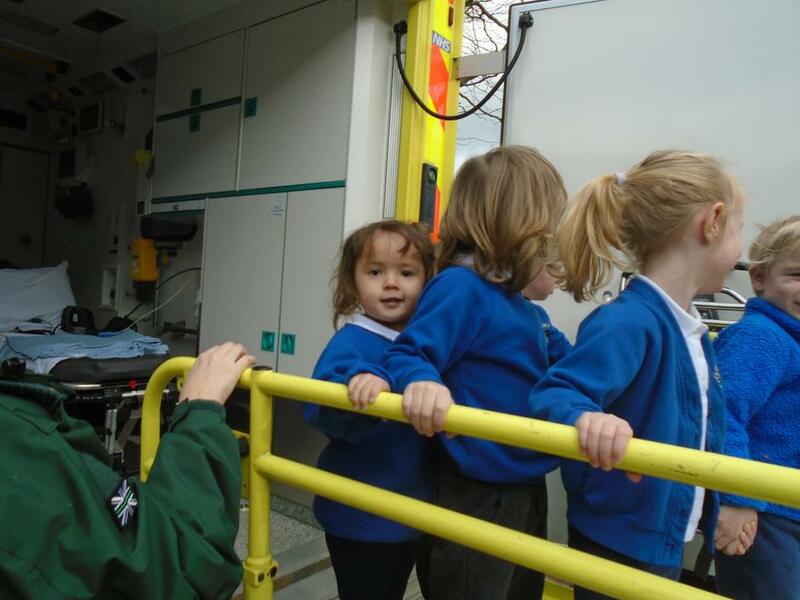 We learnt how to stay safe when crossing the road. 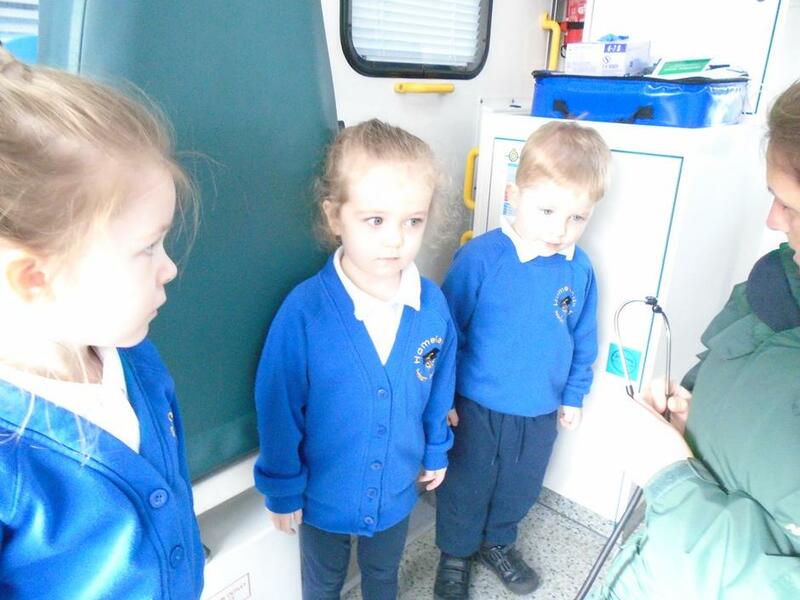 The children asked some thoughtful questions. 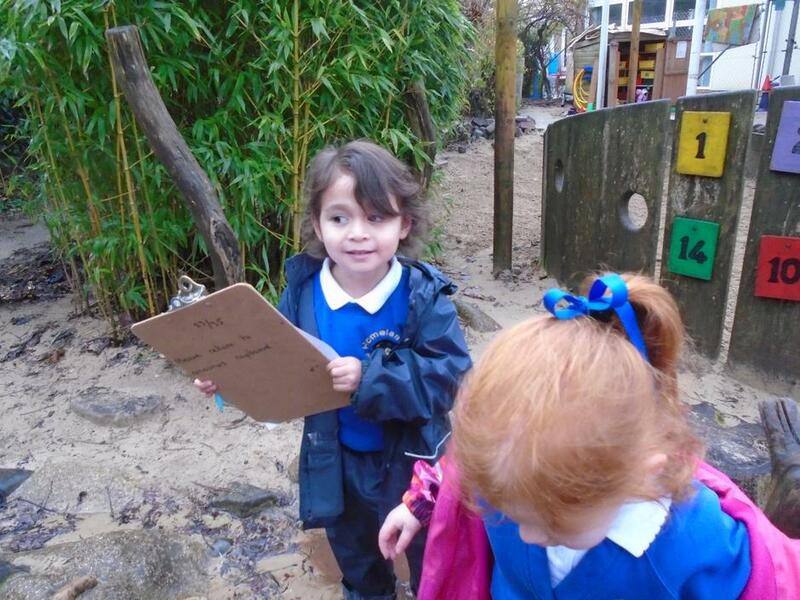 We also told Mr Thomas about our ‘Stop, Look, Listen, Think’ rhyme we have been learning. 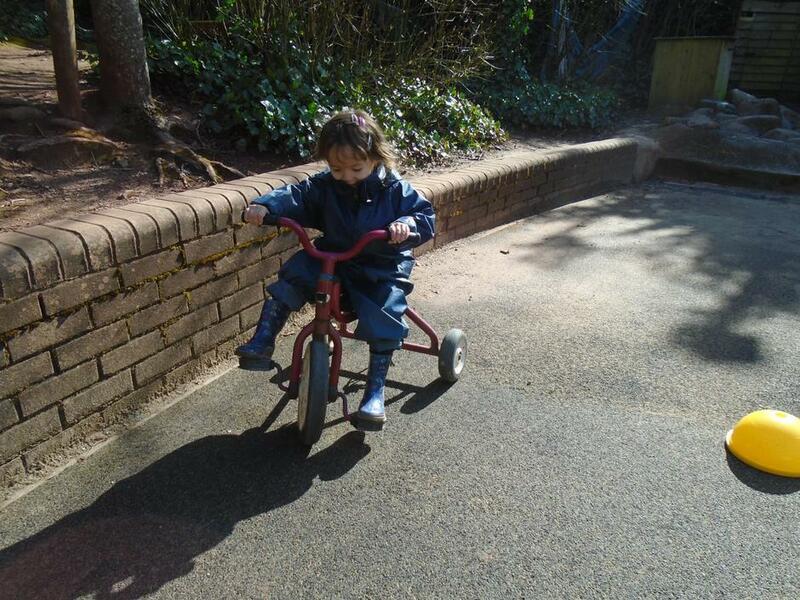 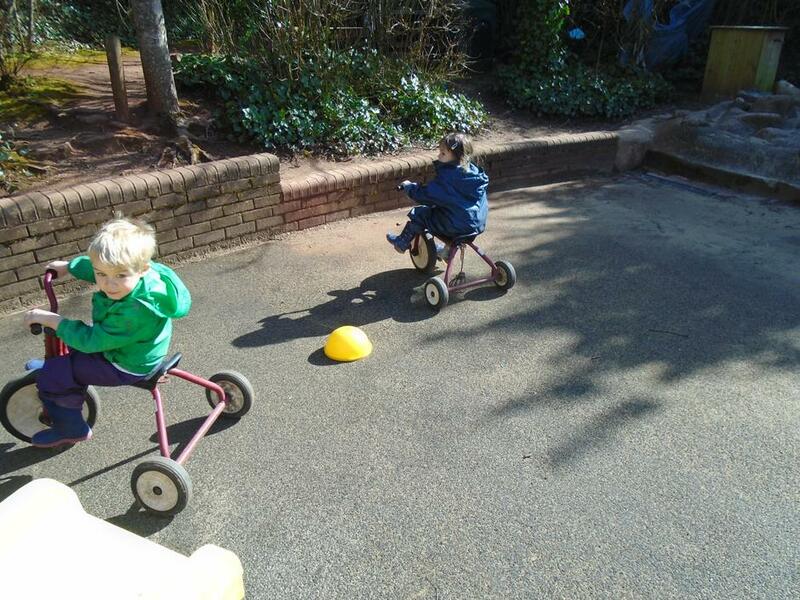 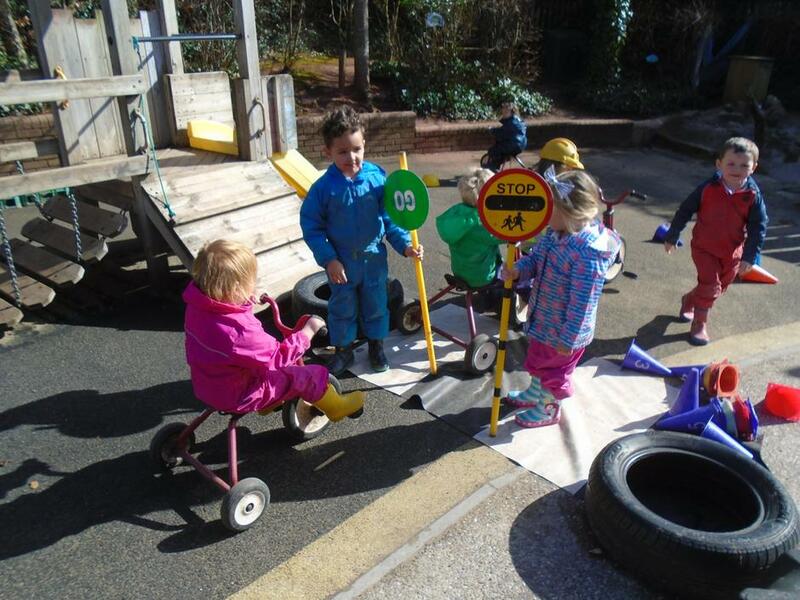 Then we went outside and had a go at role playing being safe on our bikes and when crossing the road. 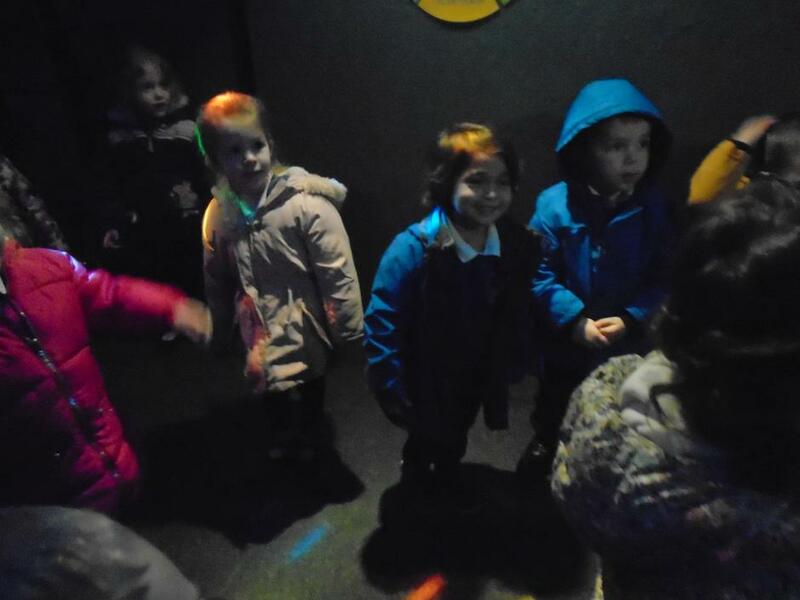 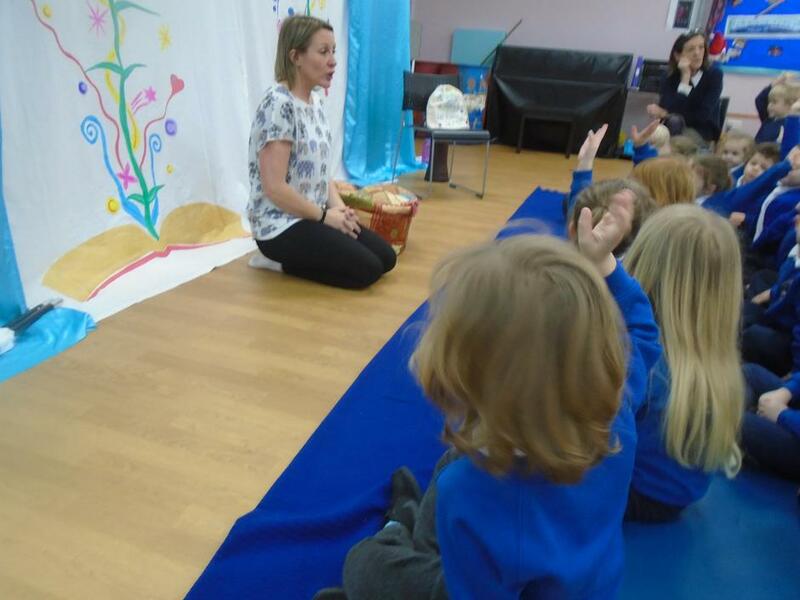 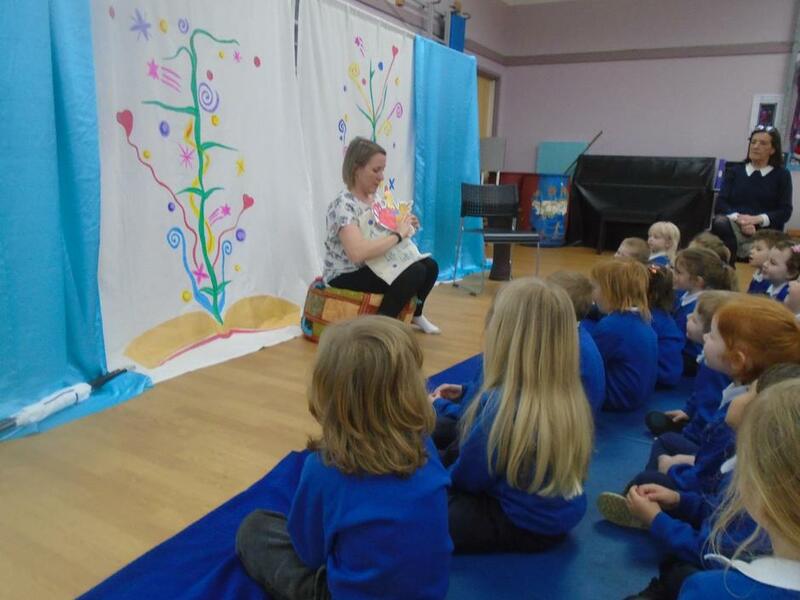 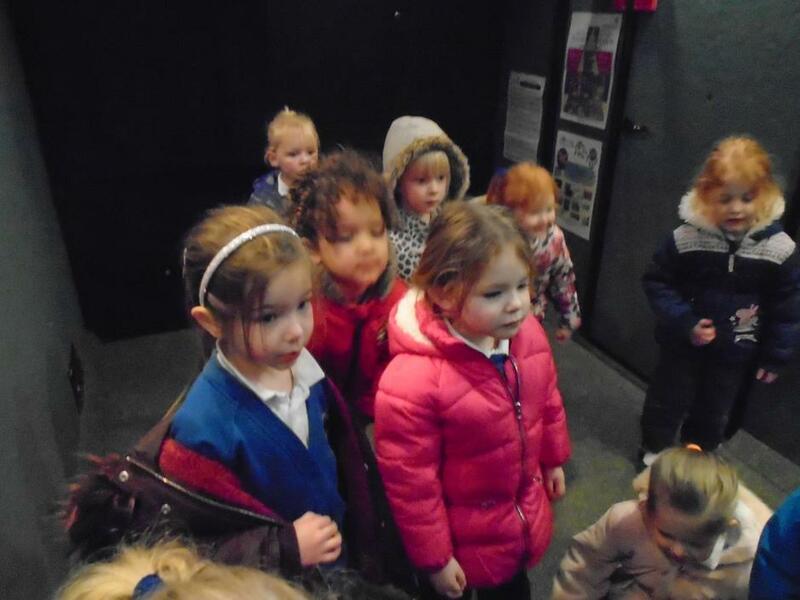 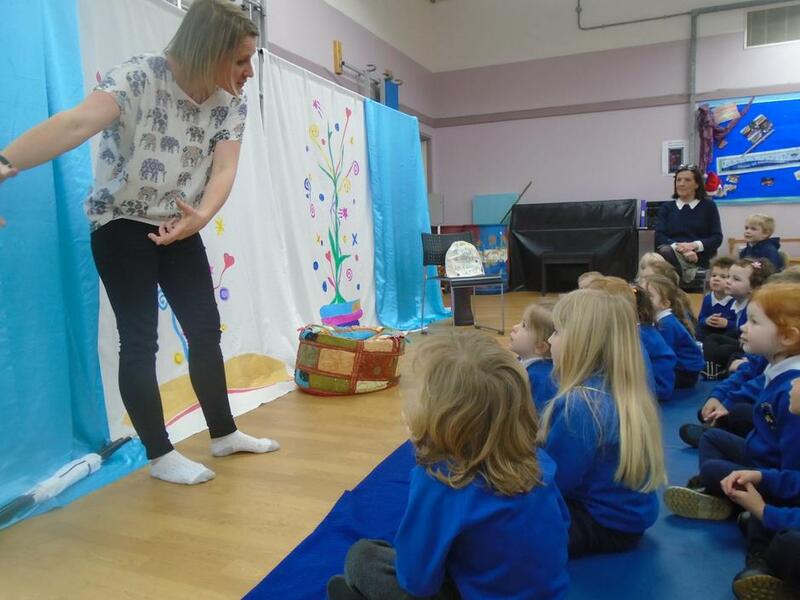 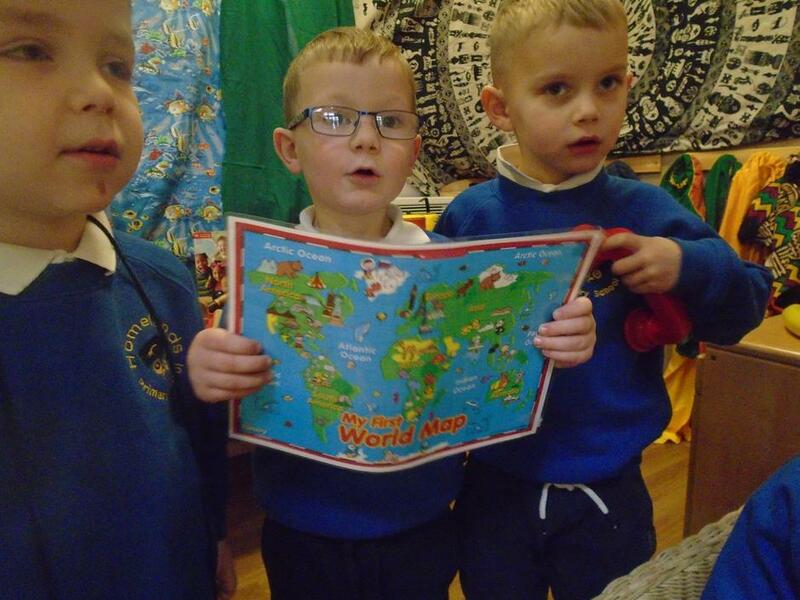 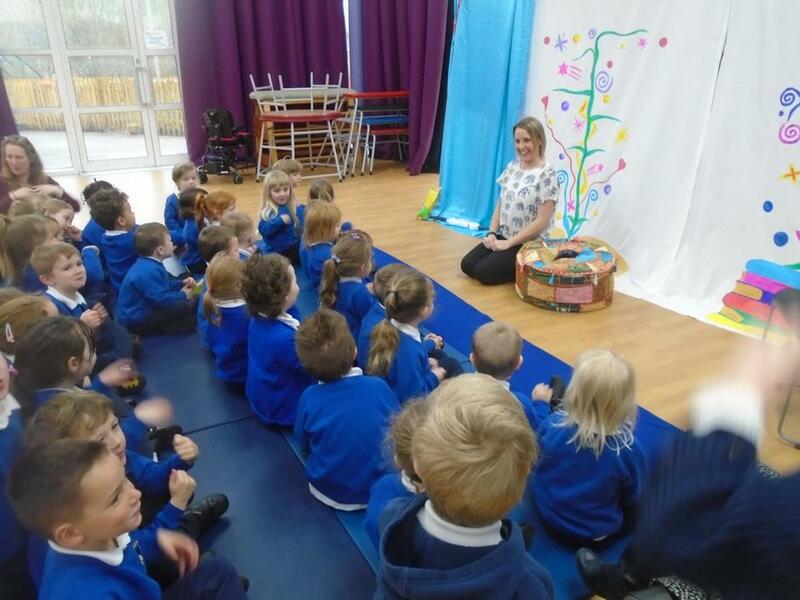 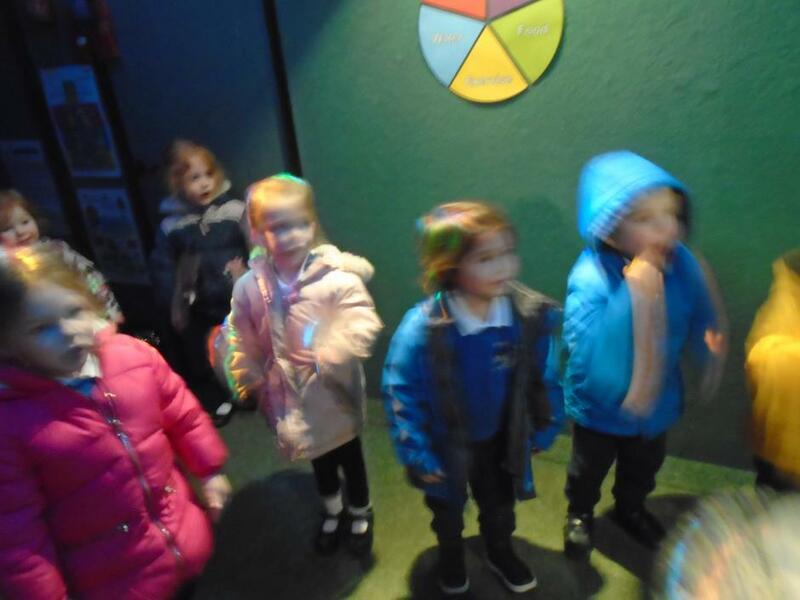 6.3.19 Today as part of our World Book Day activities we went to the hall with F2 class for a special storytelling session. 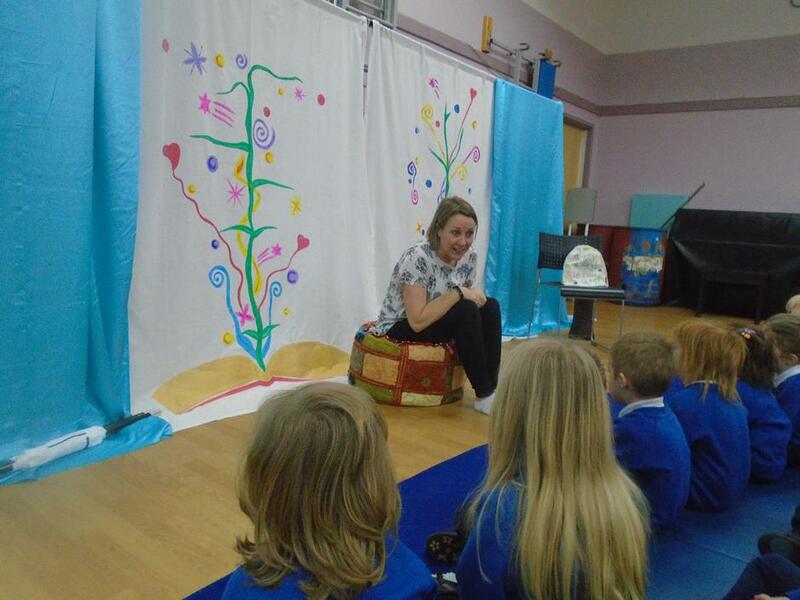 Malou Evans told 3 lovely stories that really captivated the children. 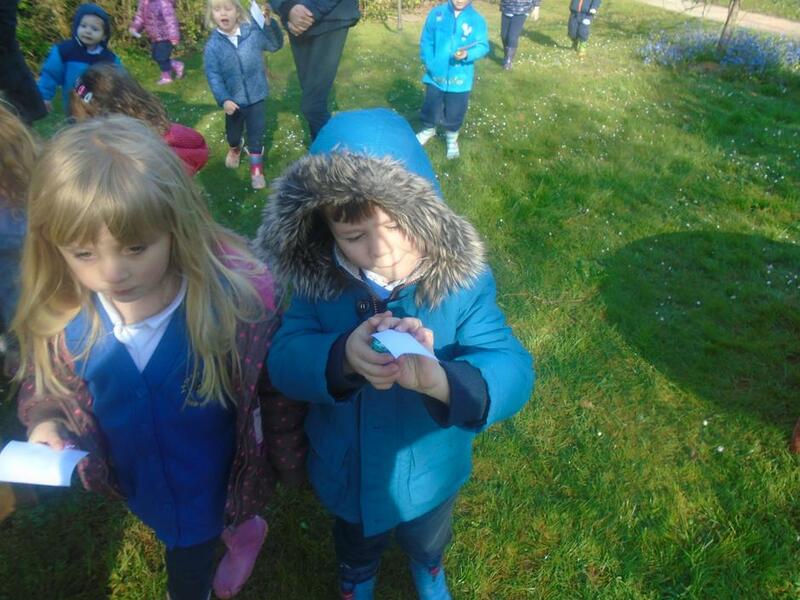 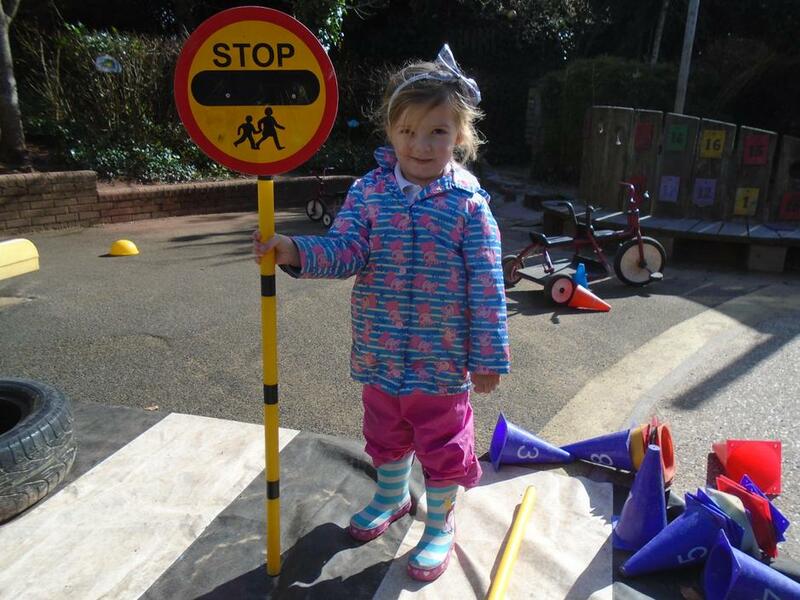 The children joined in very well with all the signs and actions. 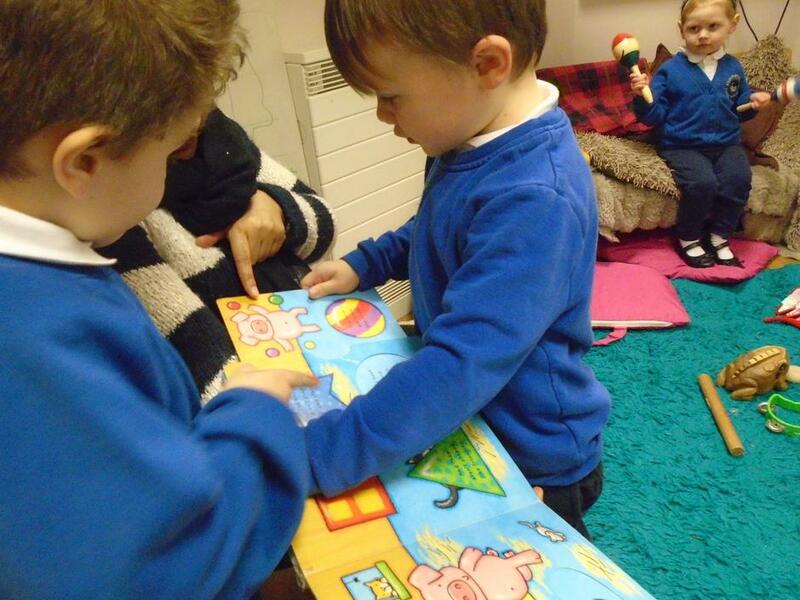 We enjoyed a story about bedtime, The Little Red Hen and The Three Bears. 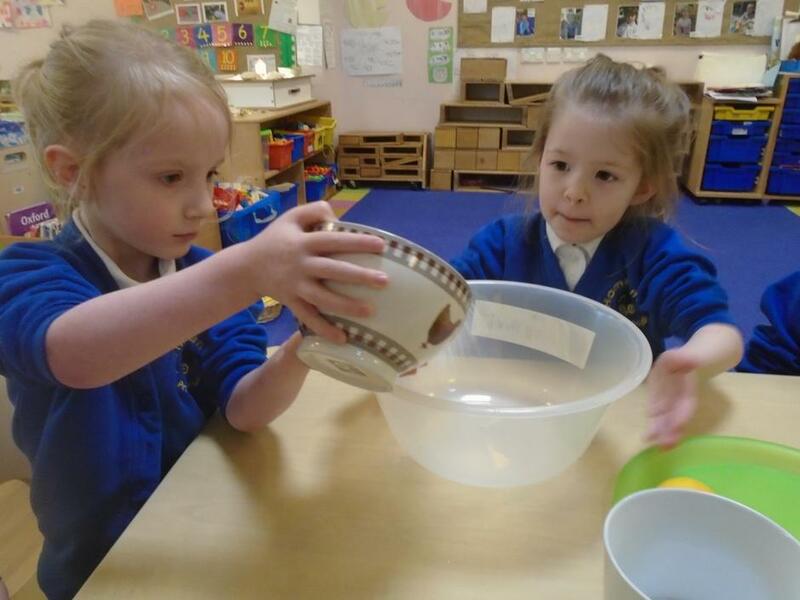 Cultural Arts Week Week beginning 26th February 2019 What can we learn about lives of children in another country? 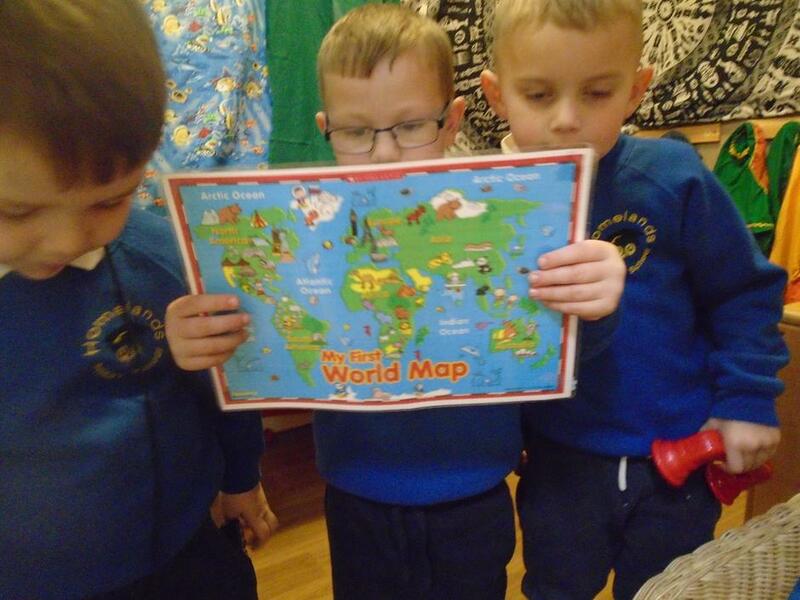 The Philippines •	We read a special children’s book all about the Philippines. 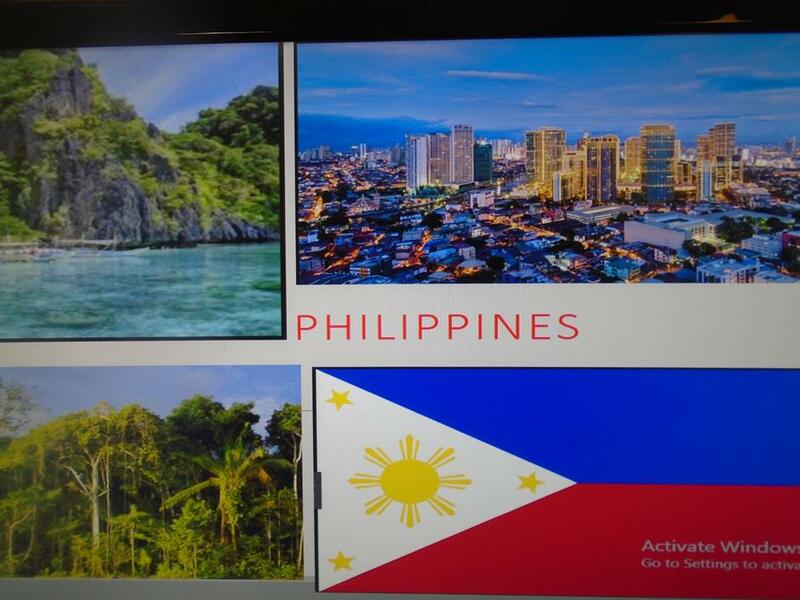 The book also tells about three children’s lives growing up in the Philippines. 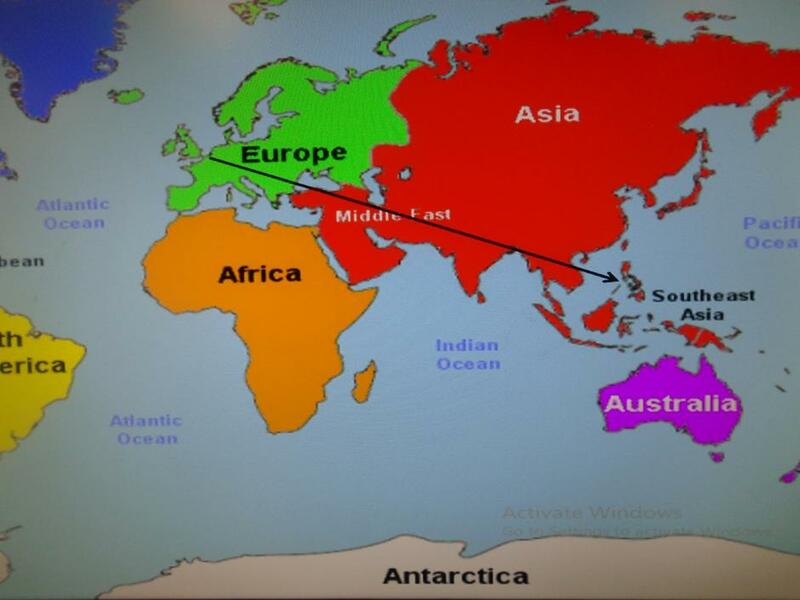 This is a non-fiction book. 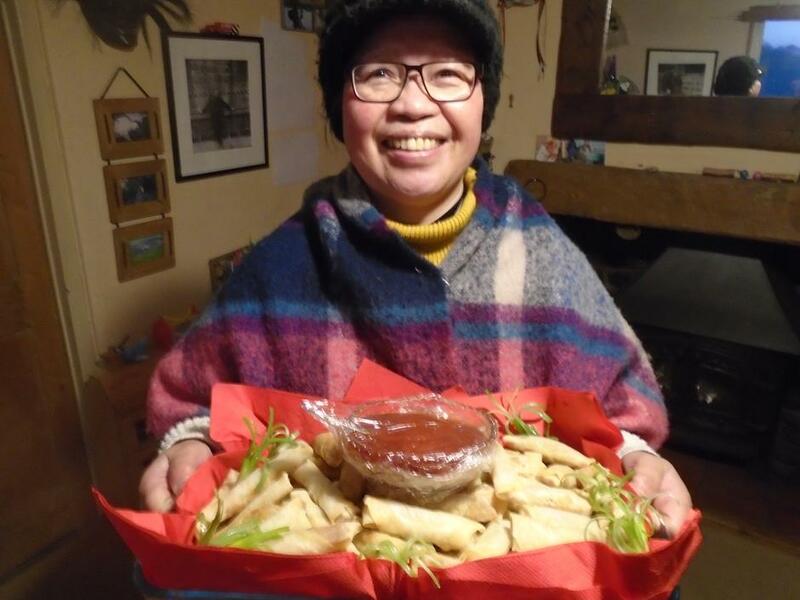 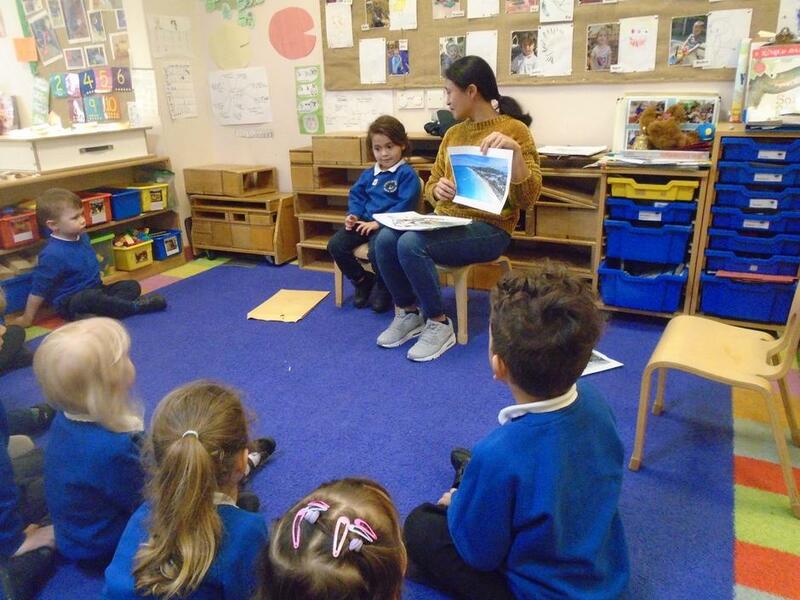 •	We looked at and talked about lots of images (photographs and pictures) and also video clips of Philippine homes, families, wildlife, countryside (beach, coral reef, rice growing and tropical forests) and festivals. 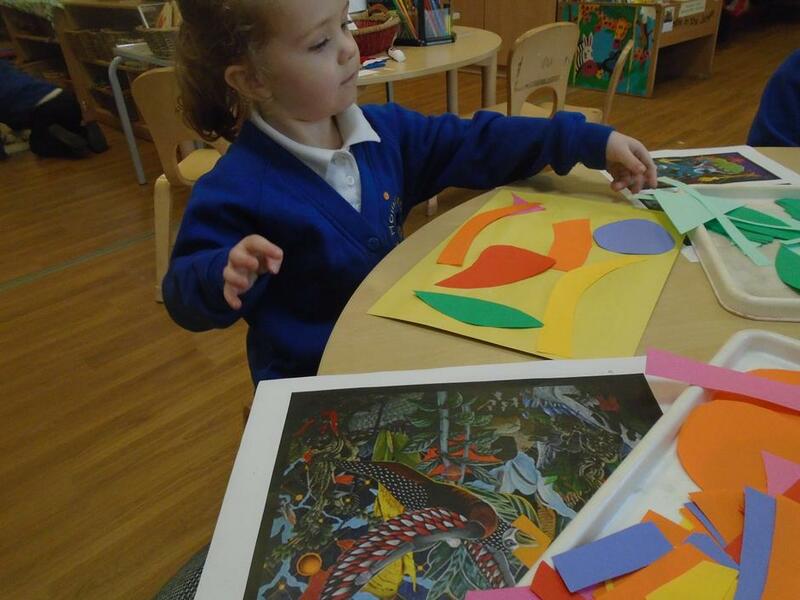 •	The children explored the work of Rodel Tapaya a Filipino artist. 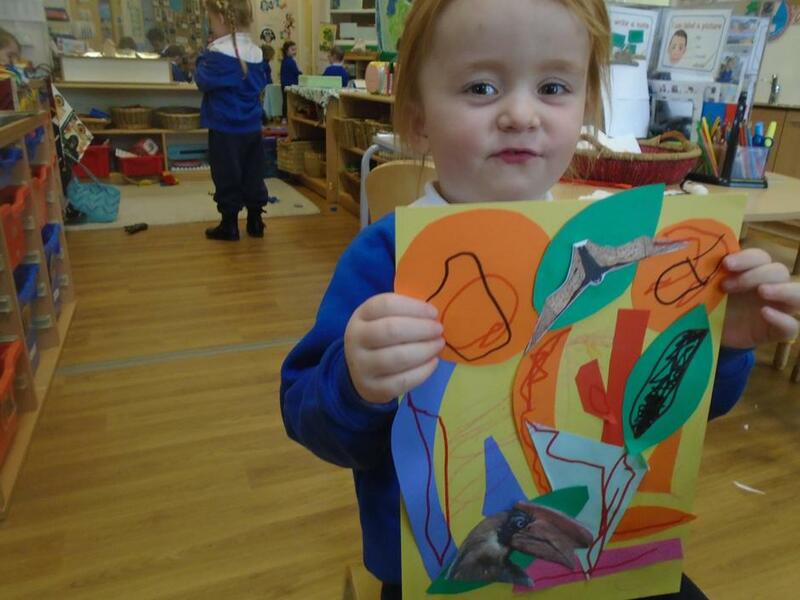 We created some of our own pictures in a similar style. 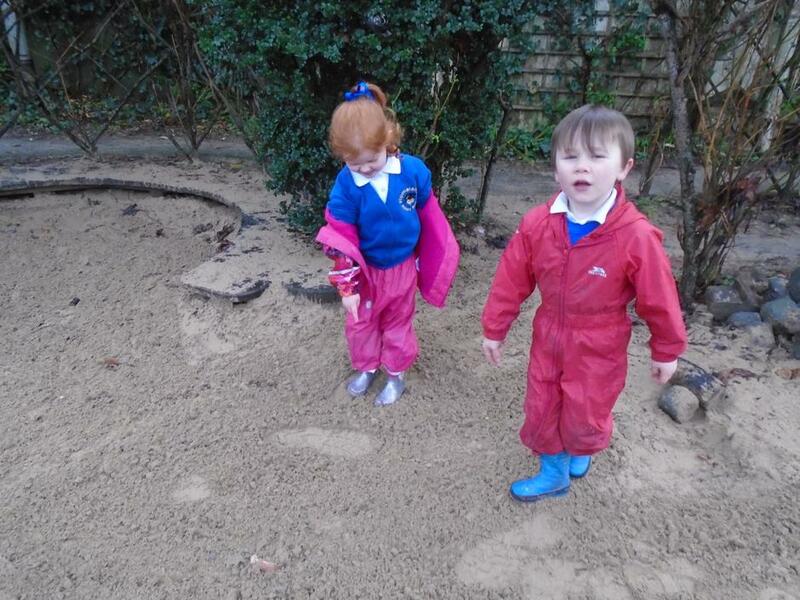 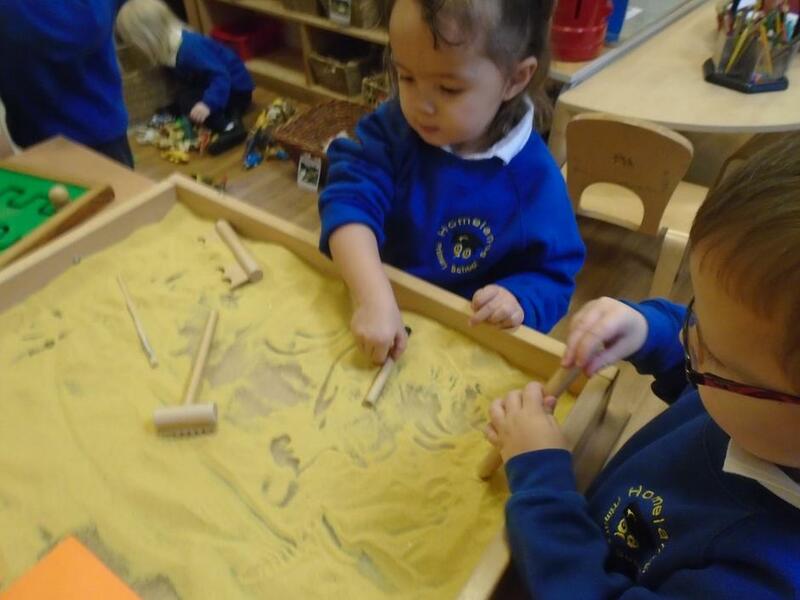 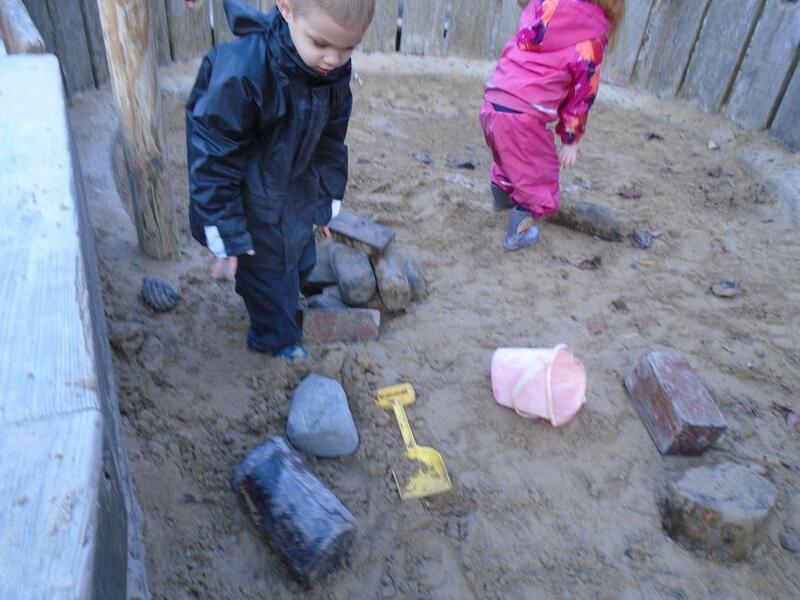 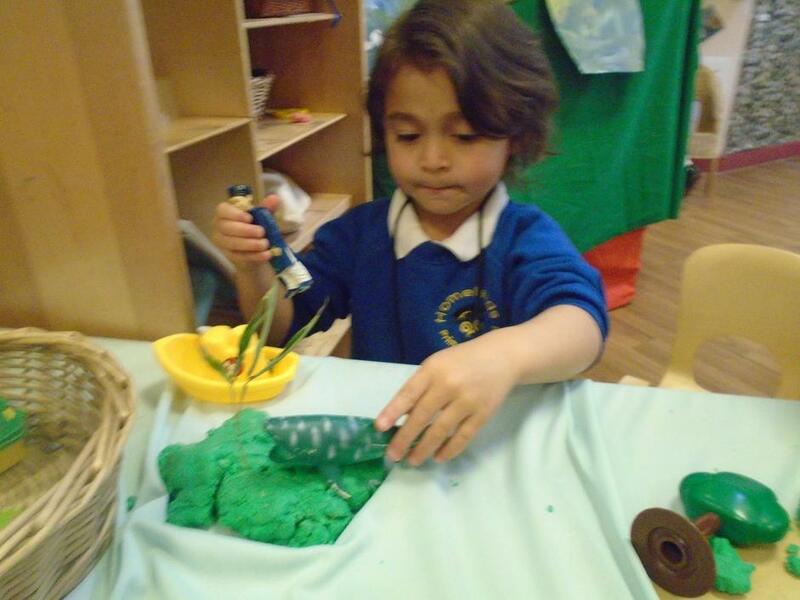 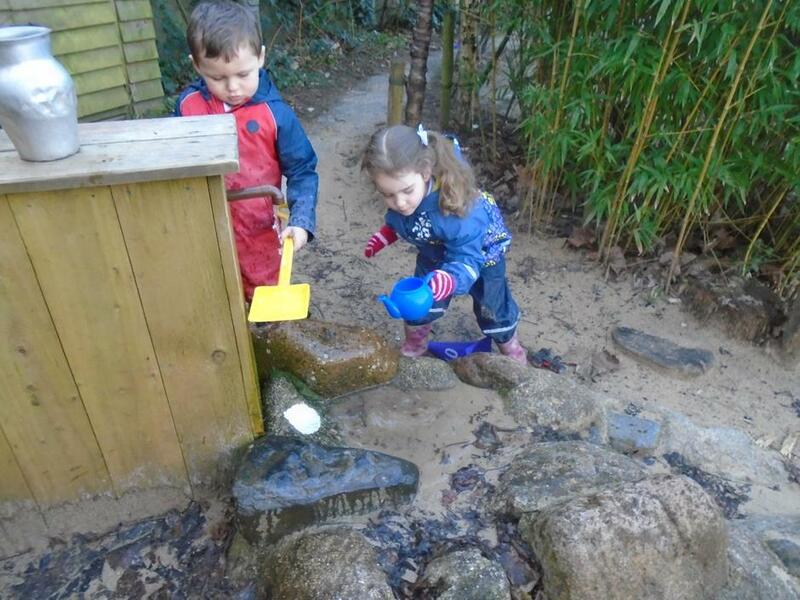 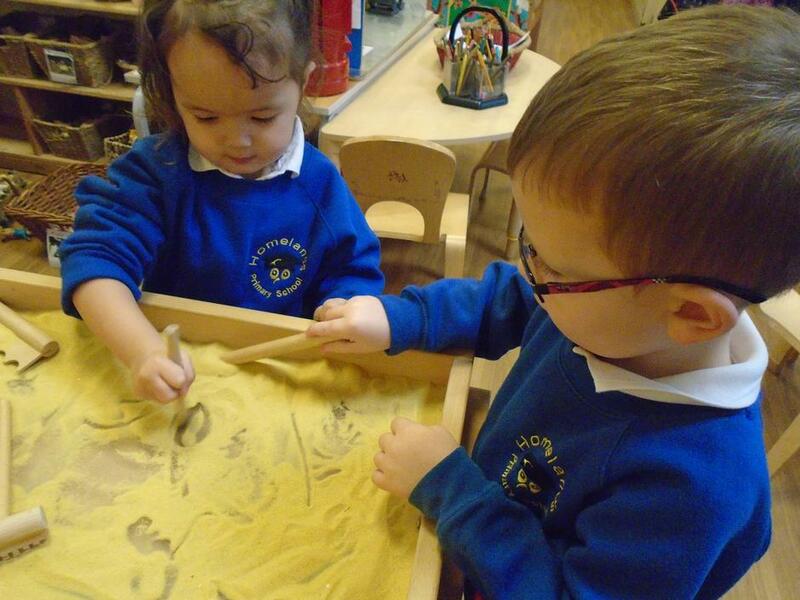 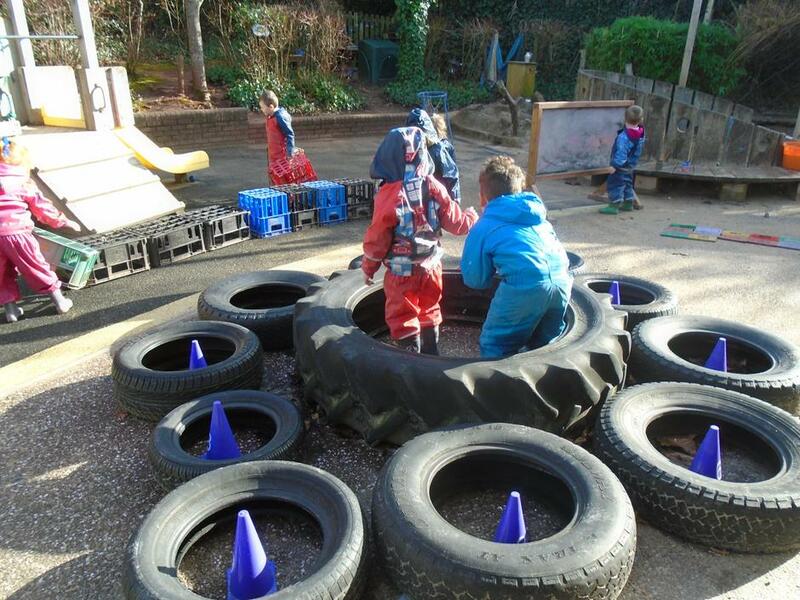 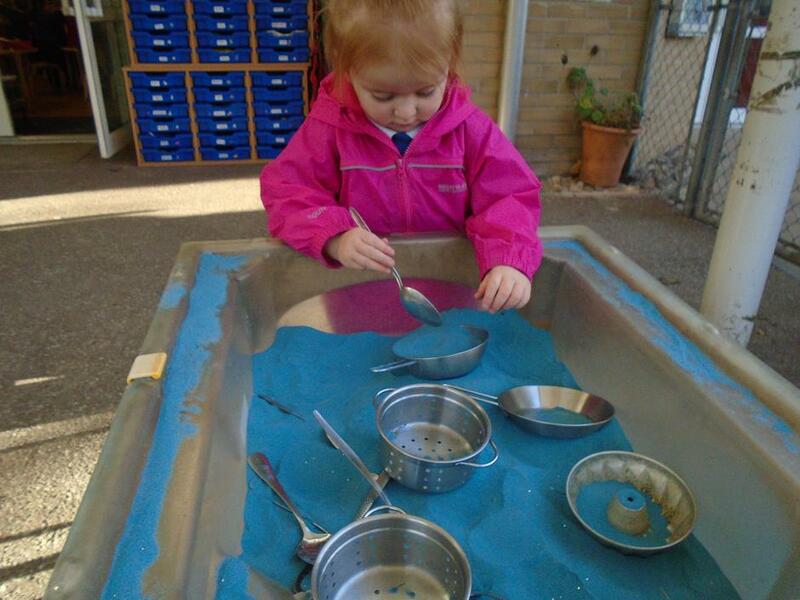 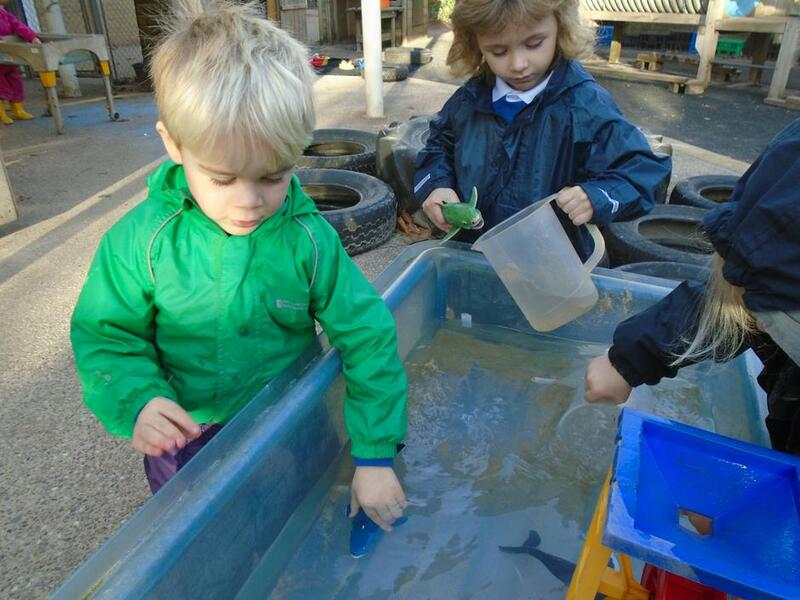 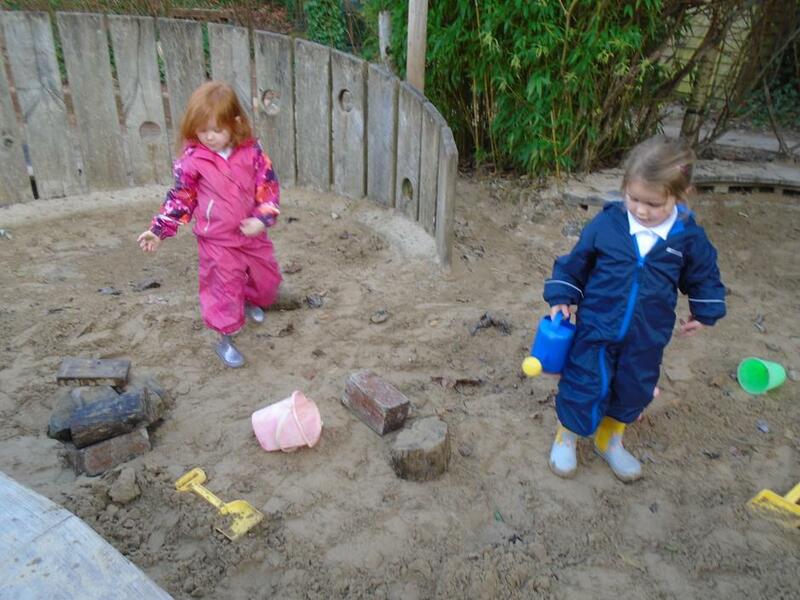 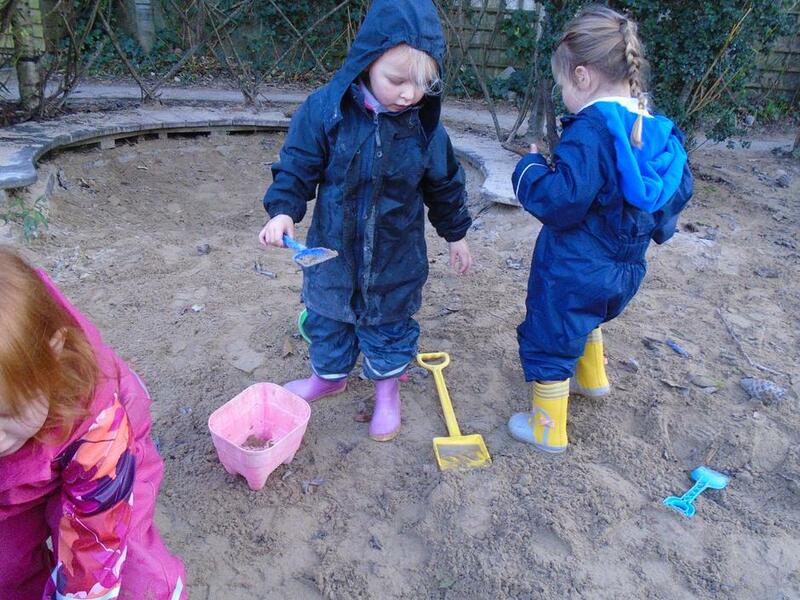 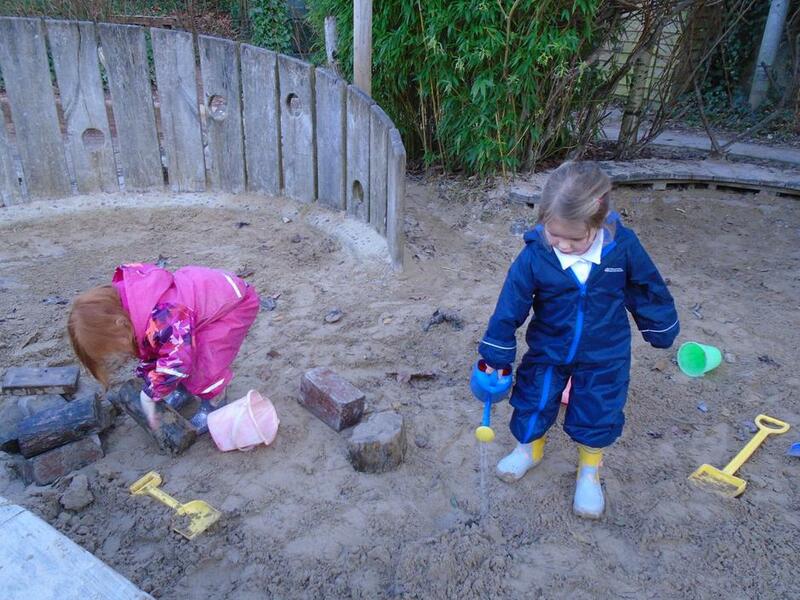 •	We had crocodile stories and made a crocodile swamp in the sand pit outside. 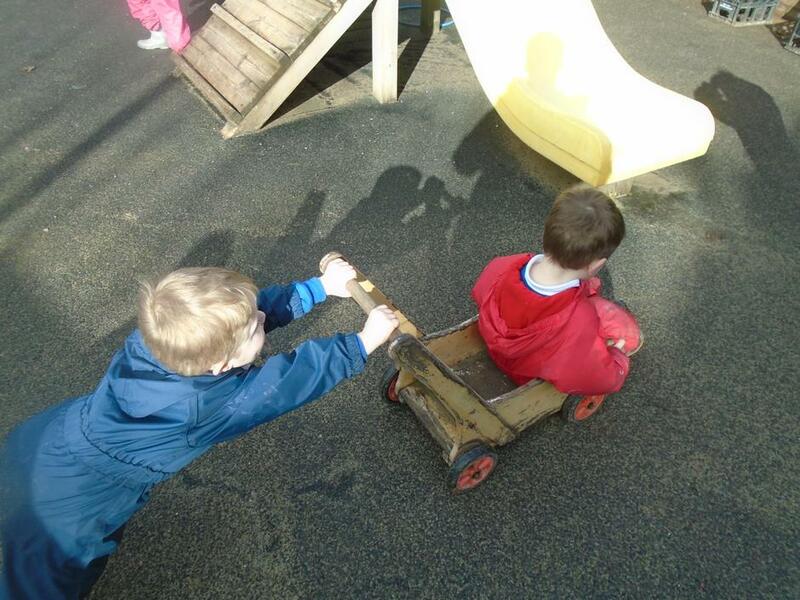 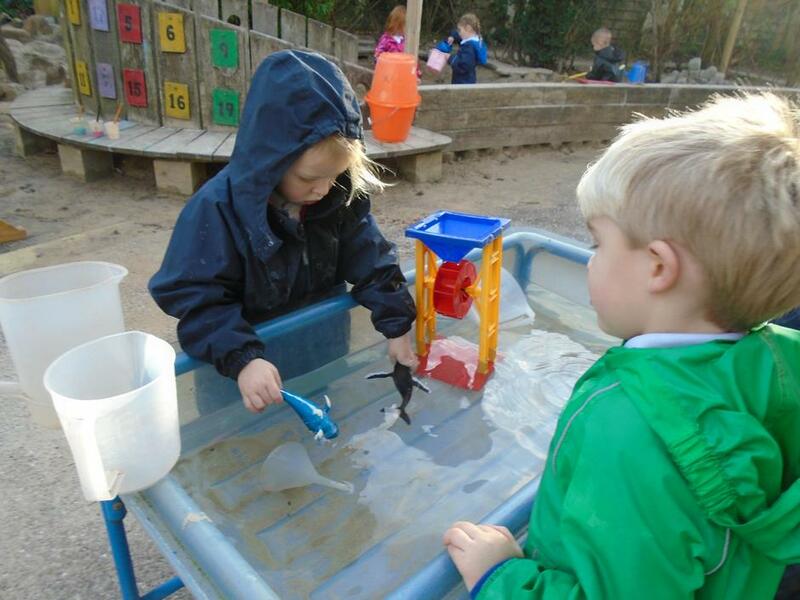 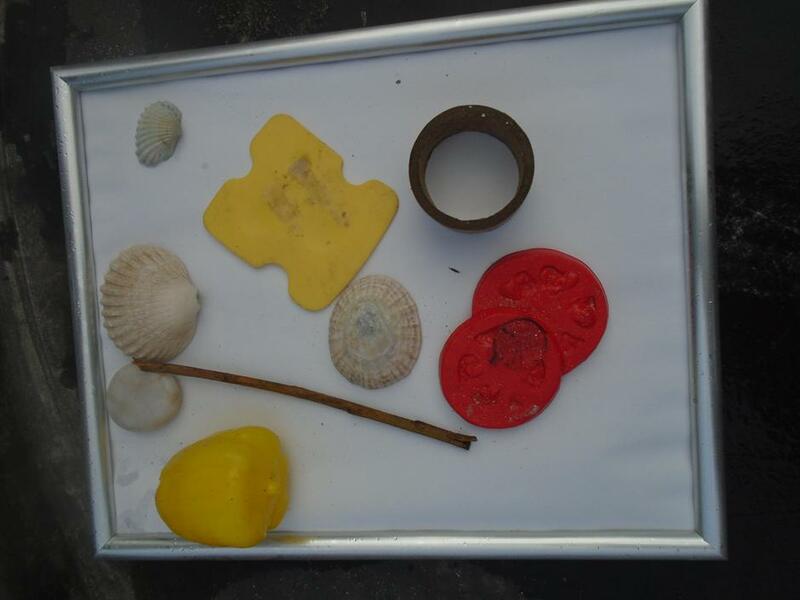 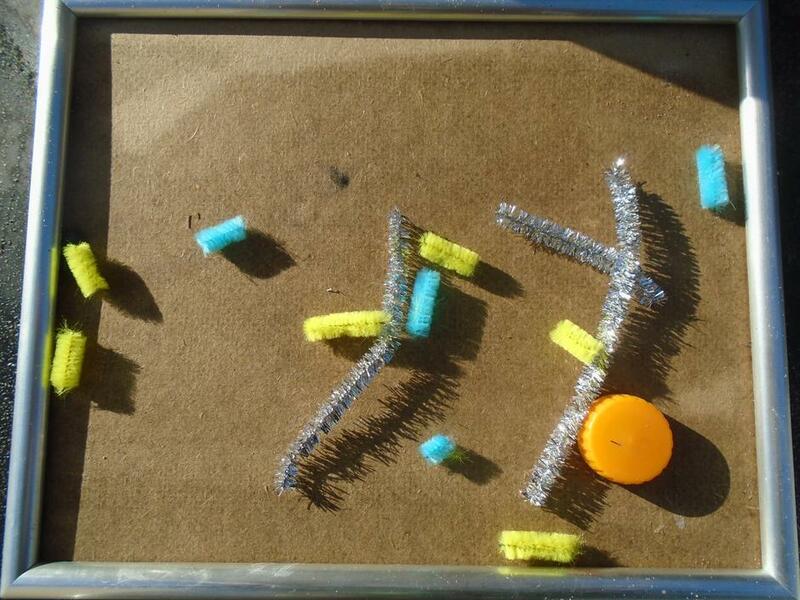 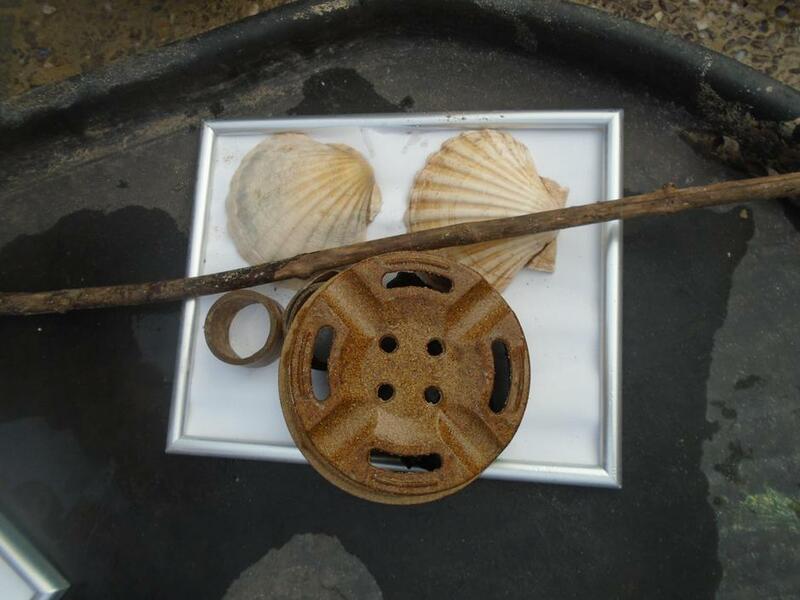 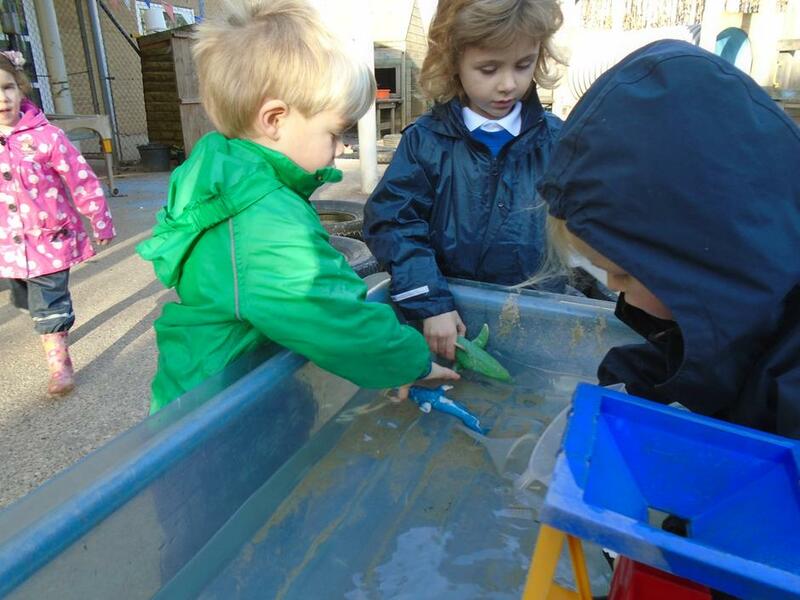 •	Outside we also made junk model boats and investigated floating and sinking. 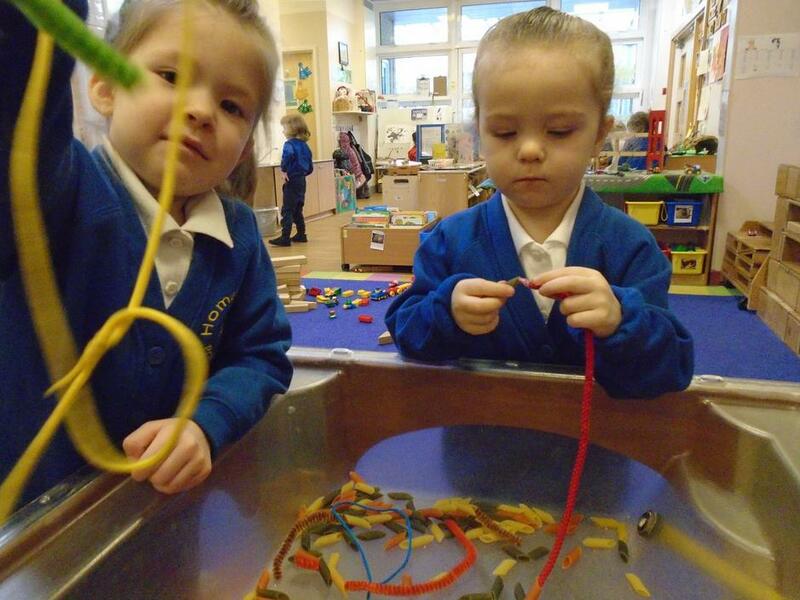 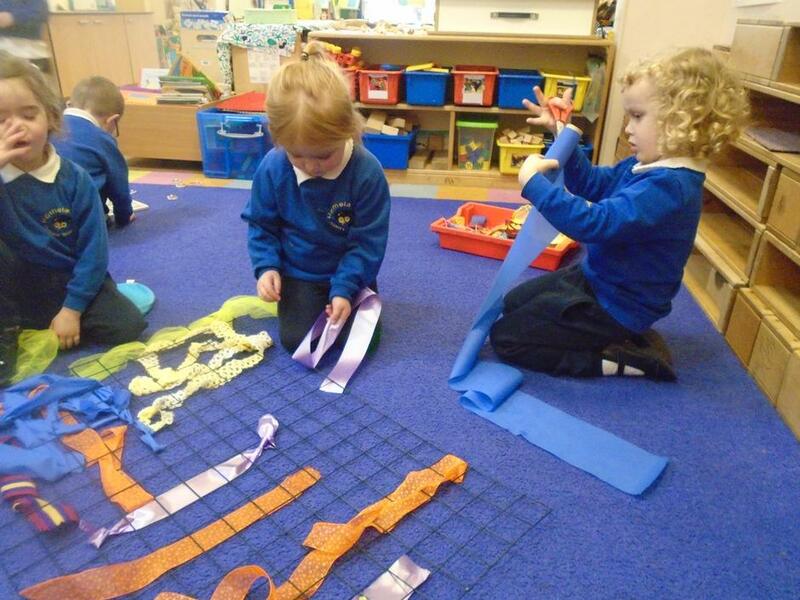 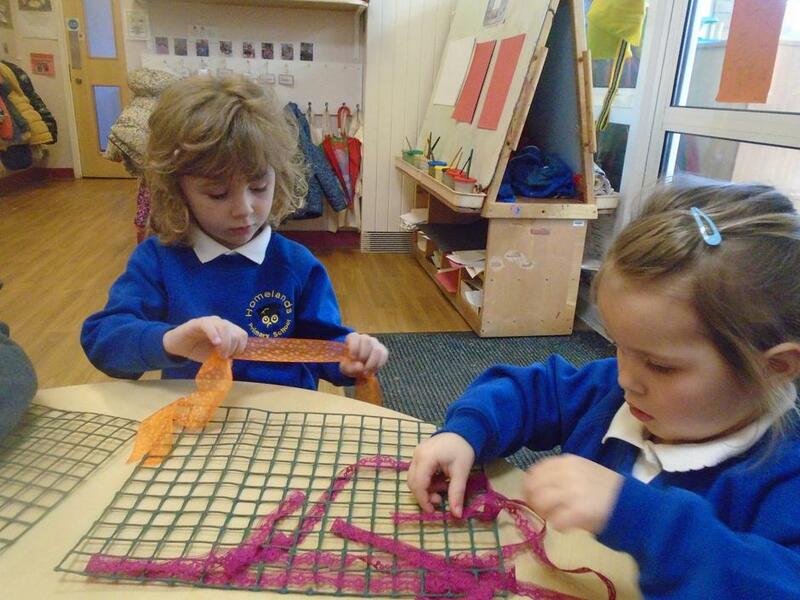 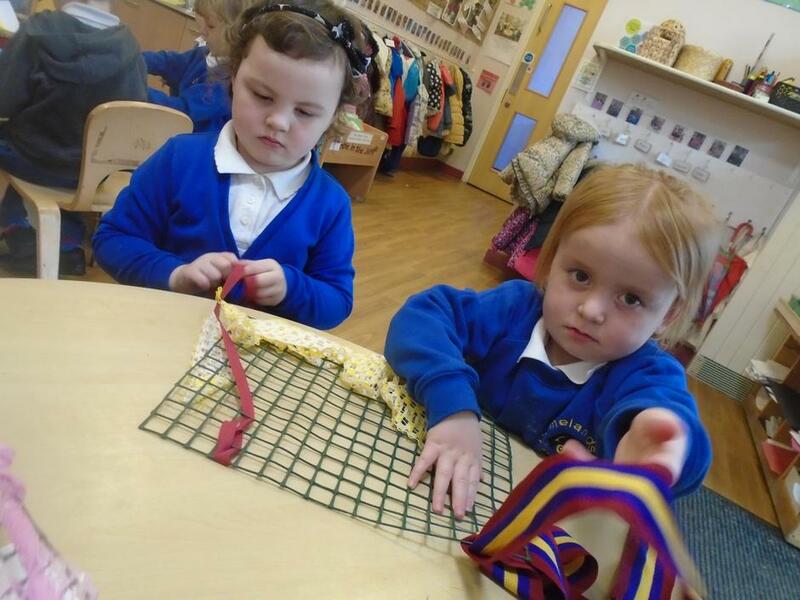 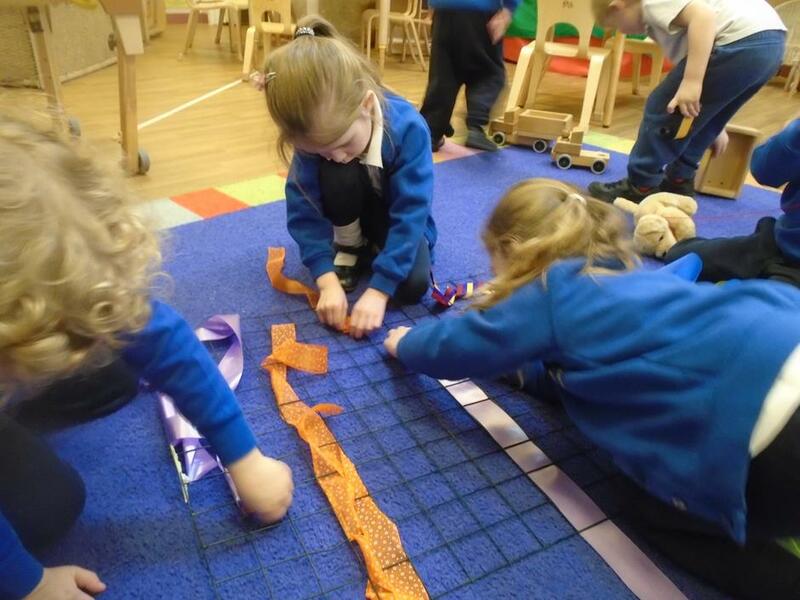 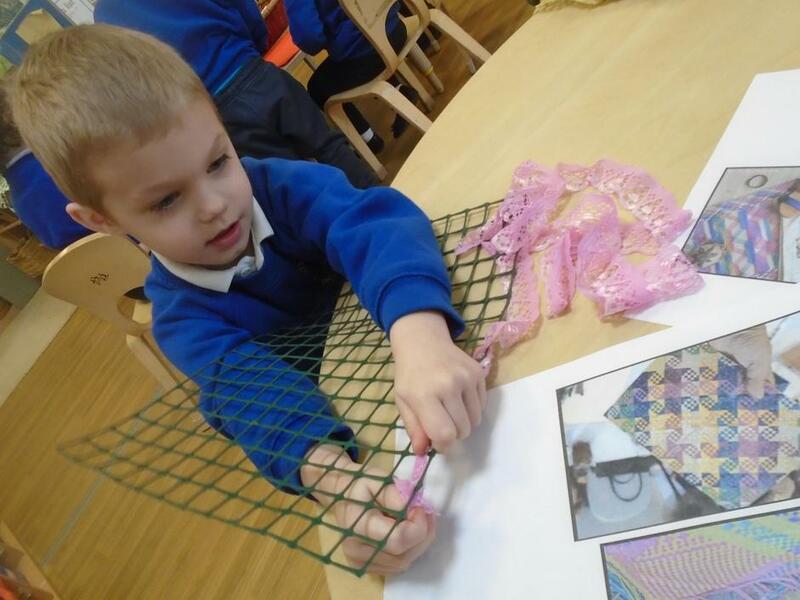 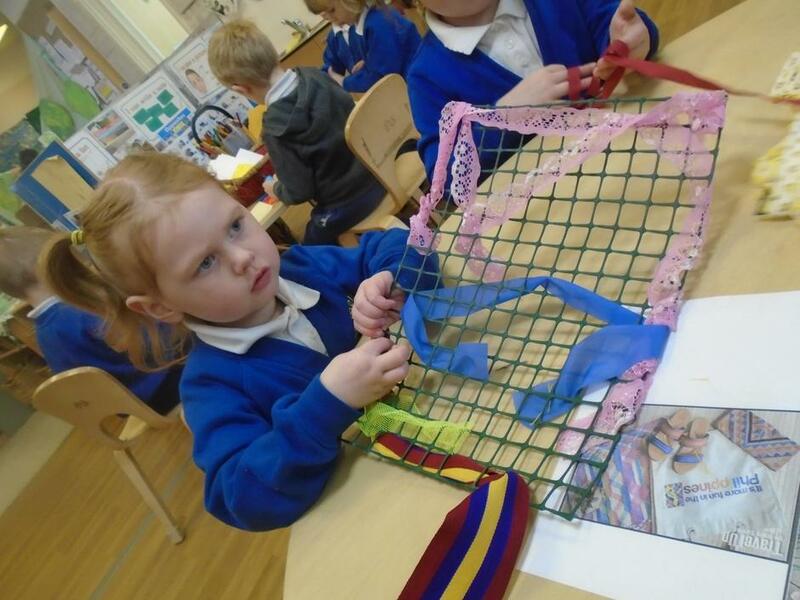 •	The children also had a go at weaving as another art form. 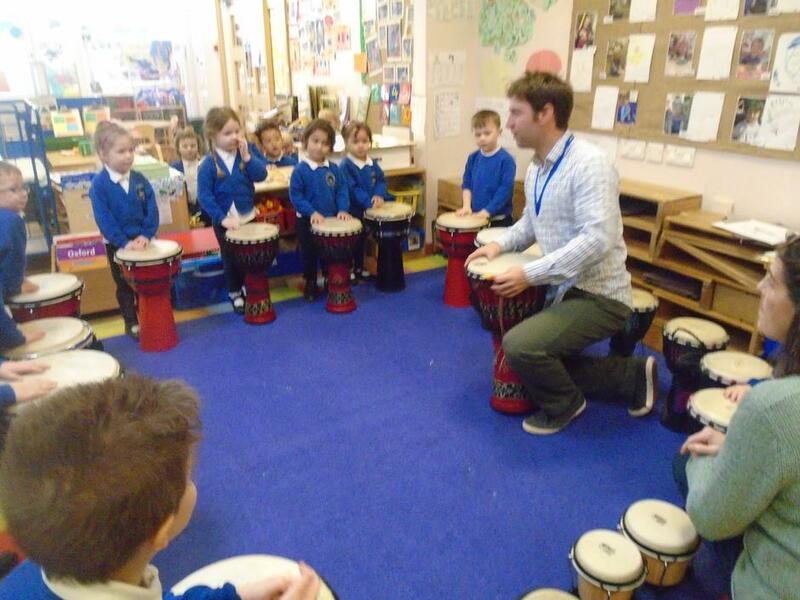 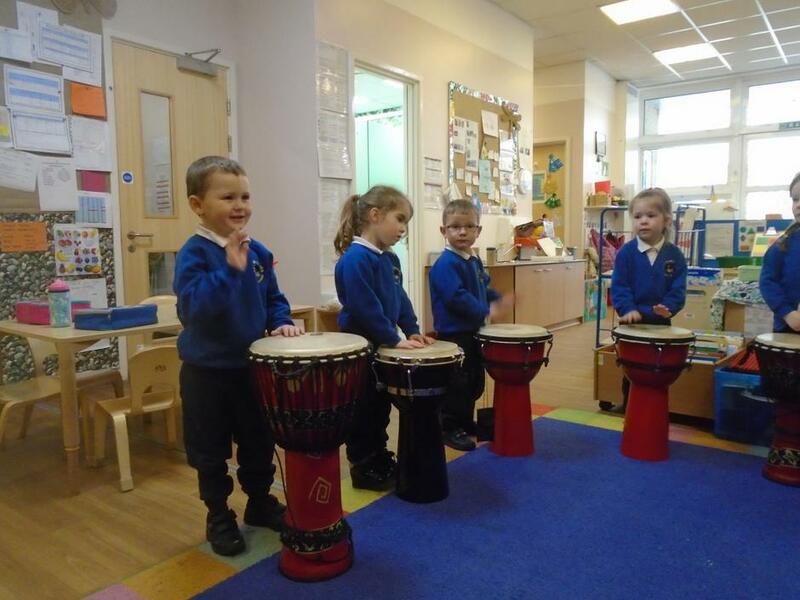 •	Dan, the school’s drumming teacher, came to Nursery to do a special drumming workshop with the children. 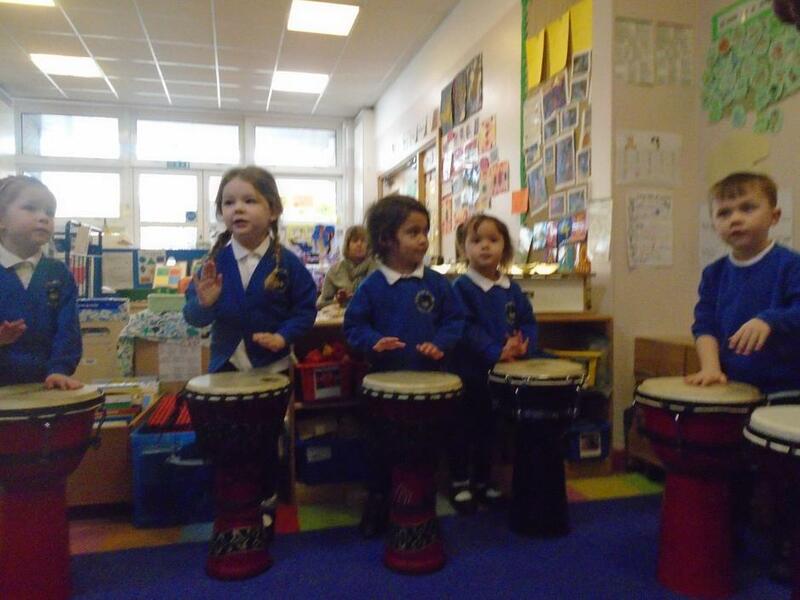 We looked at the Ati-Atihan festival which has a lot of colourful and interesting street drumming as part of the parade. 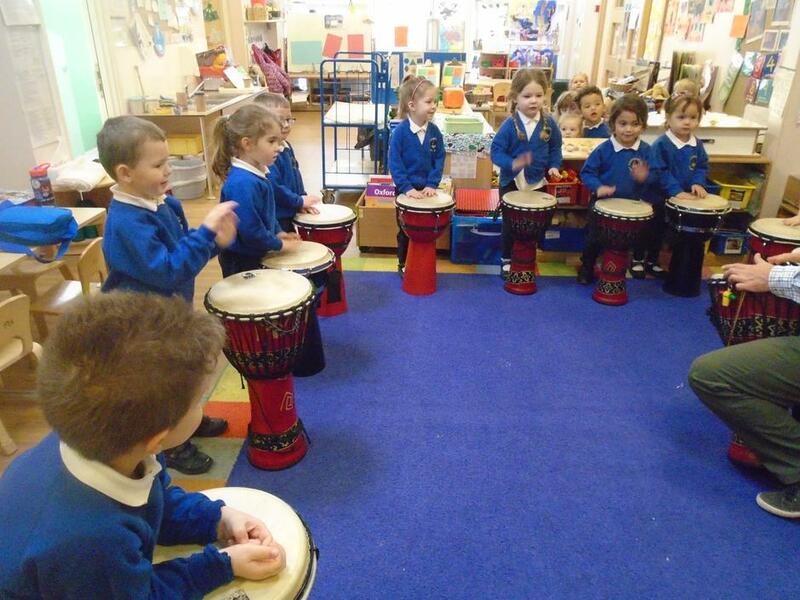 •	We were visited by a specialist drumming teacher from Bristol. 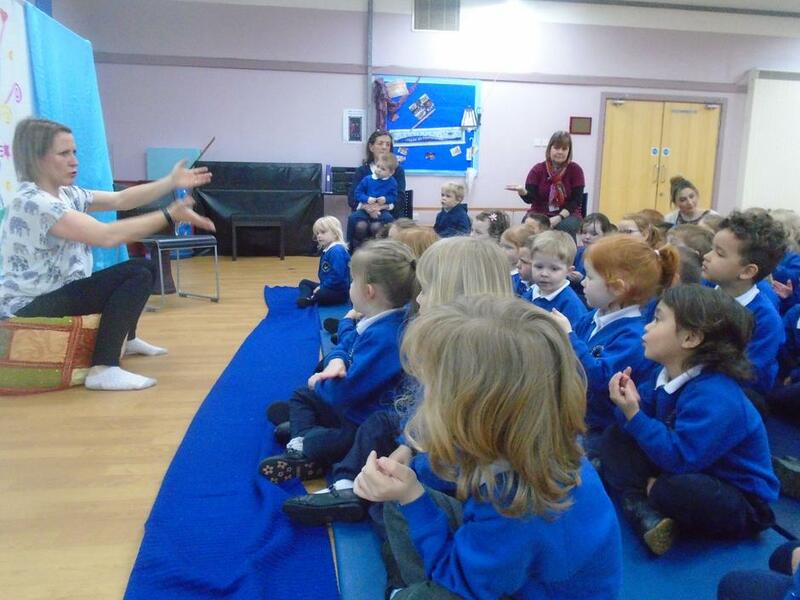 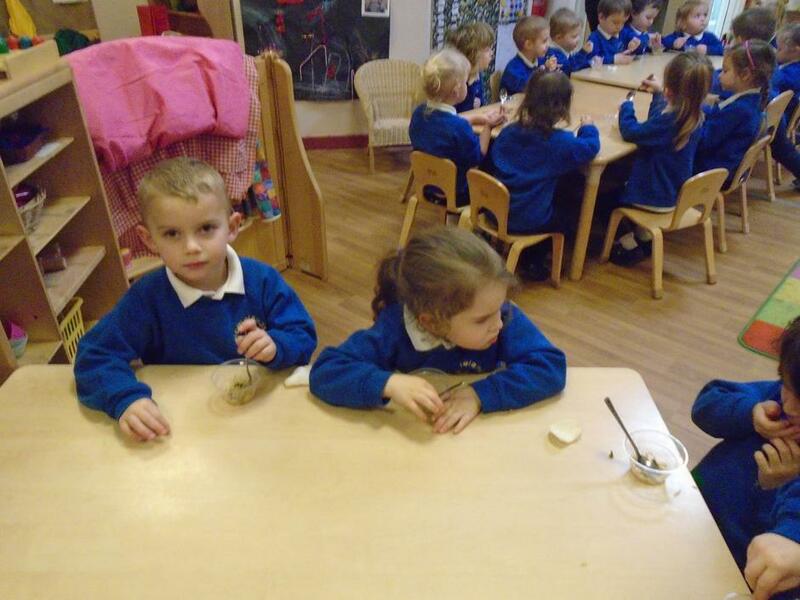 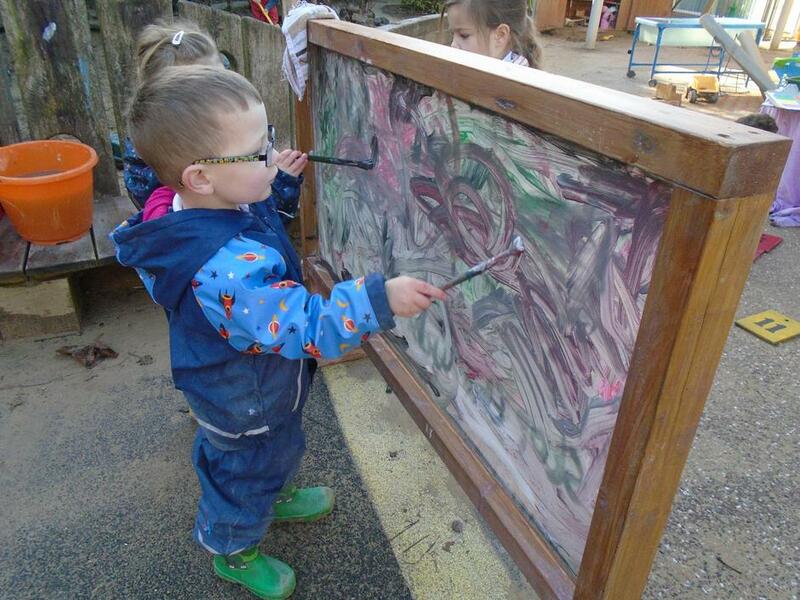 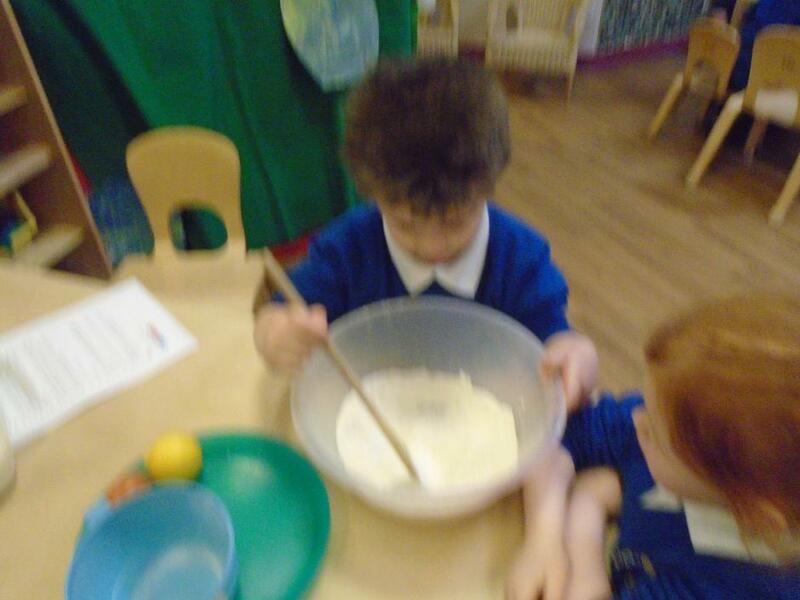 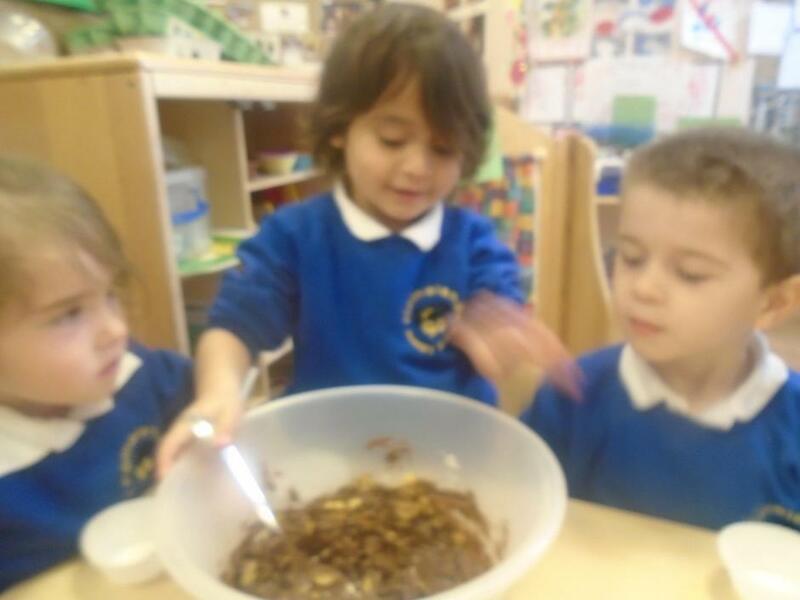 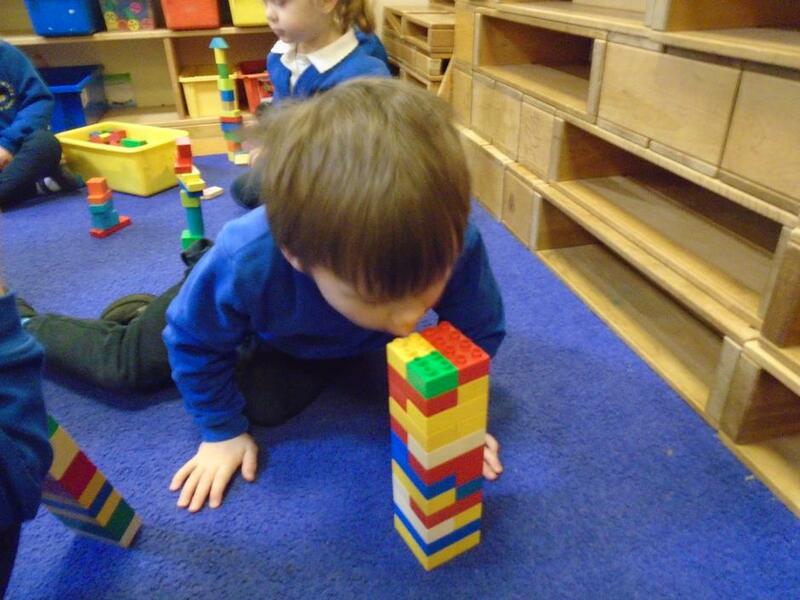 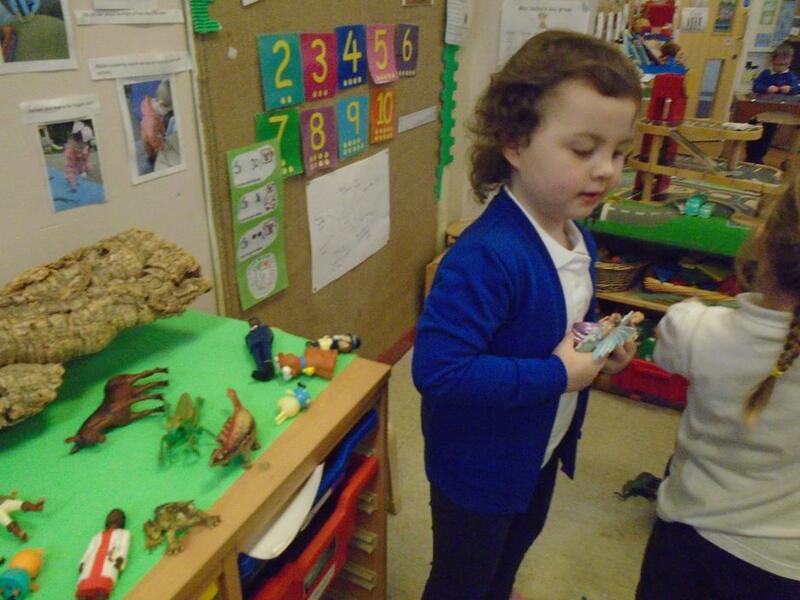 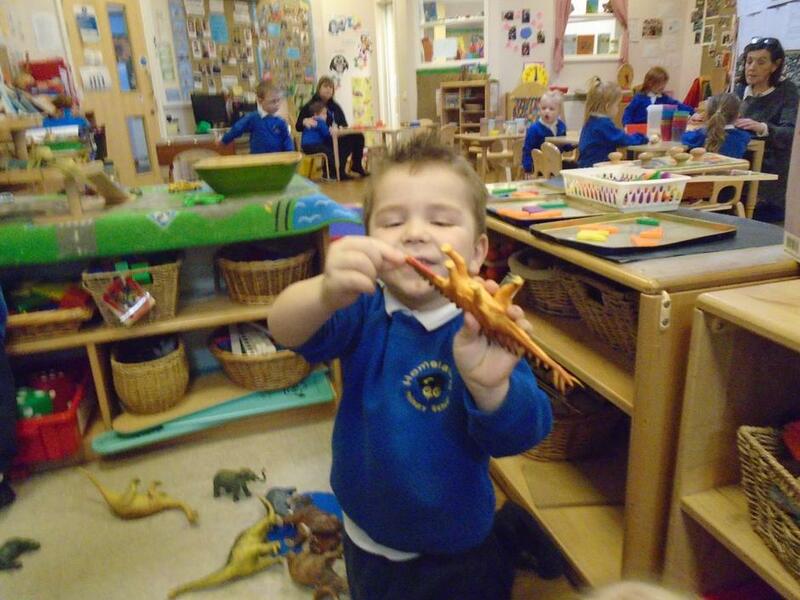 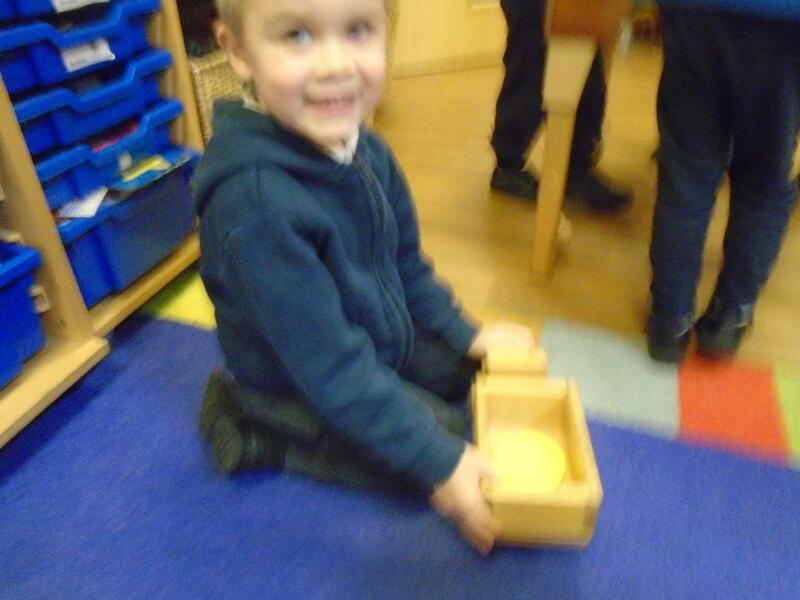 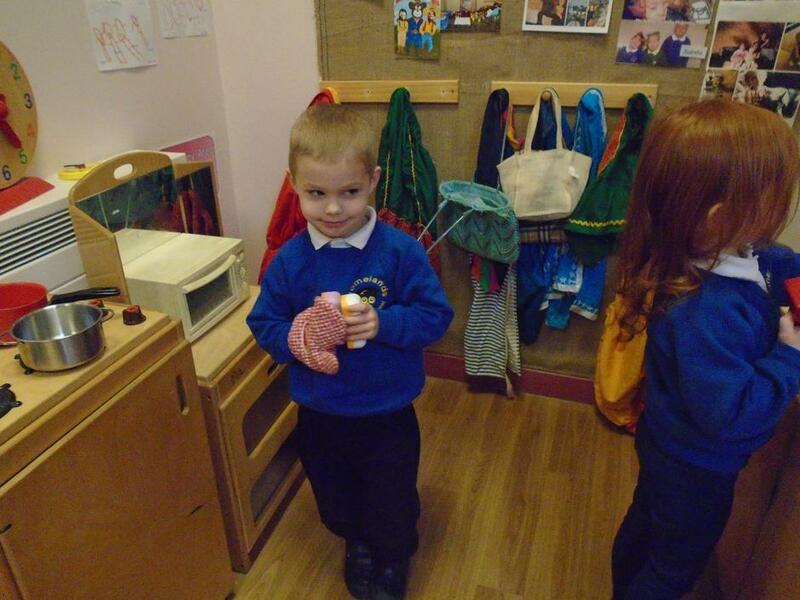 He did a workshop for Nursery and F2 children. 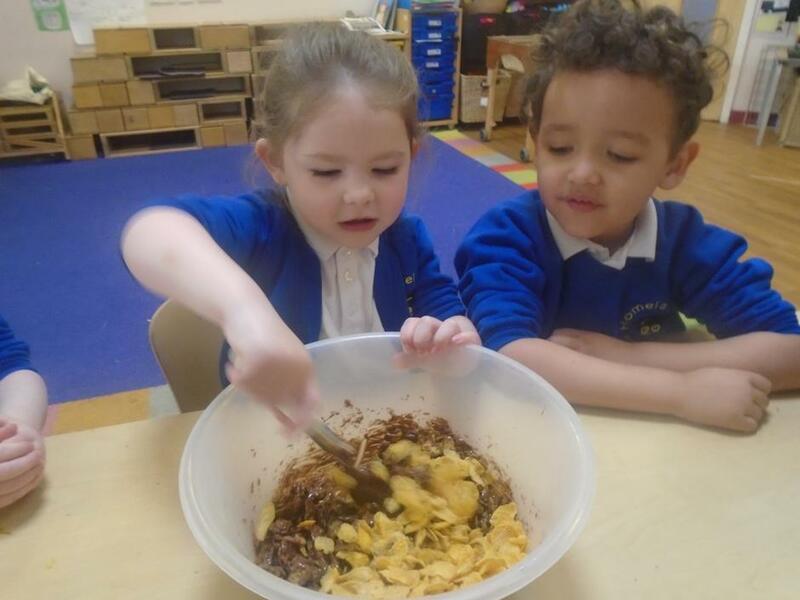 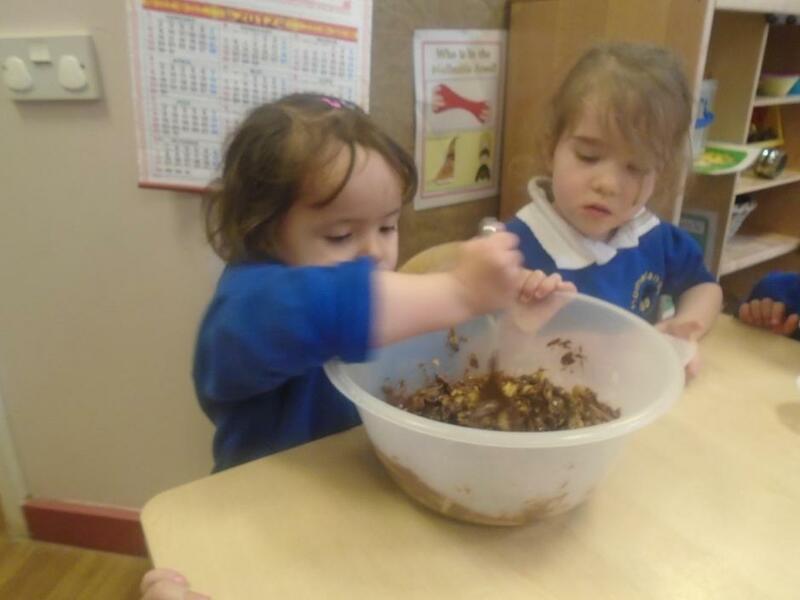 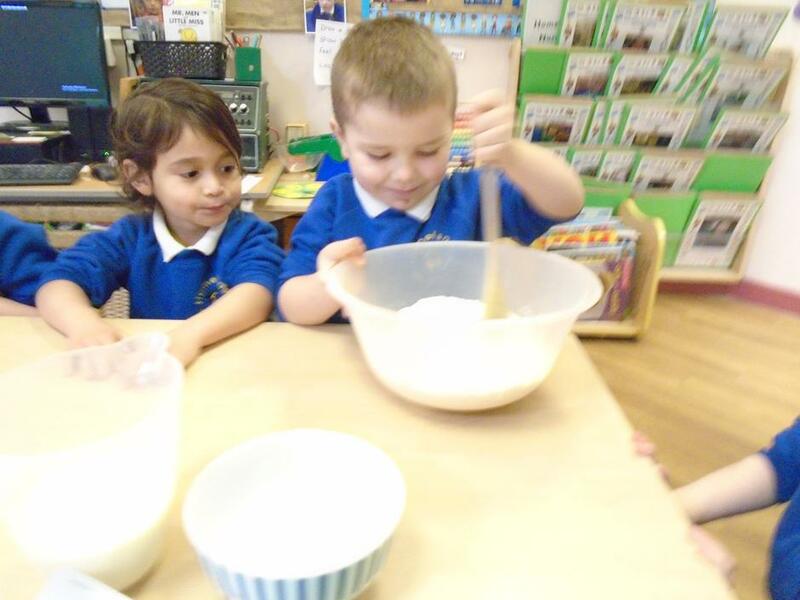 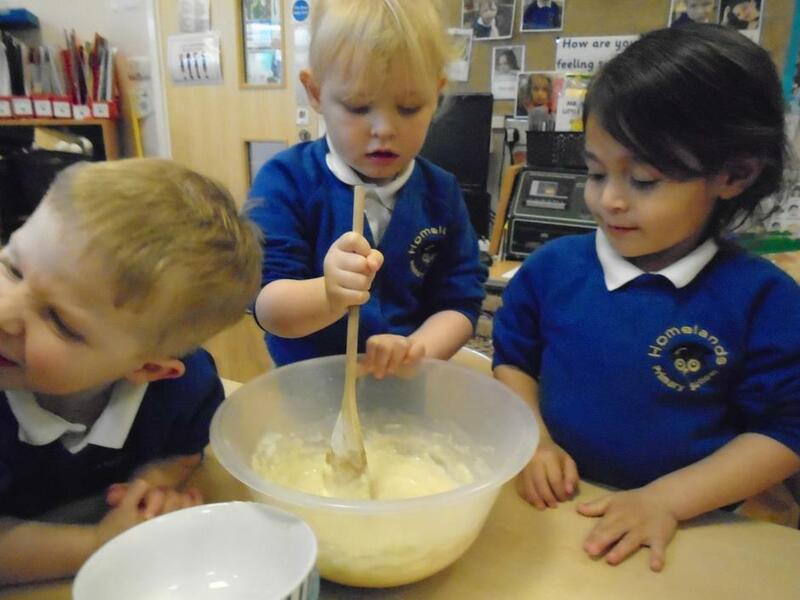 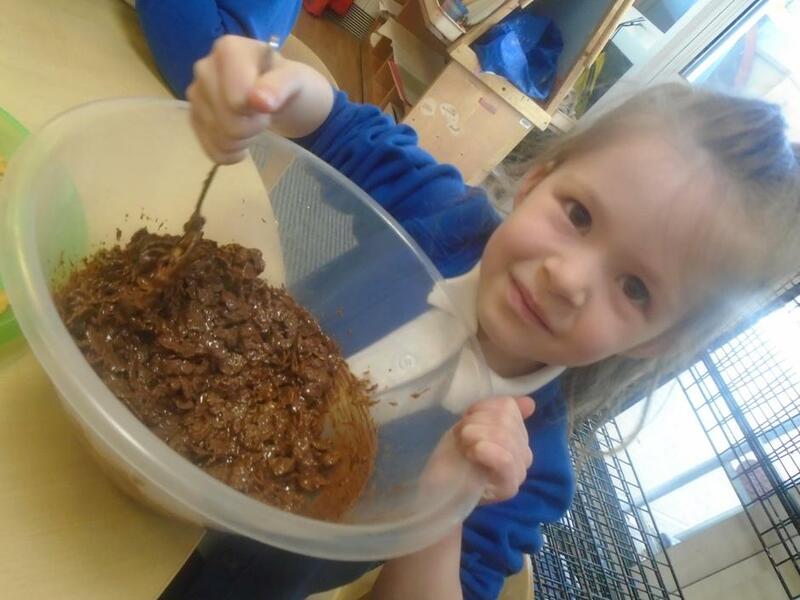 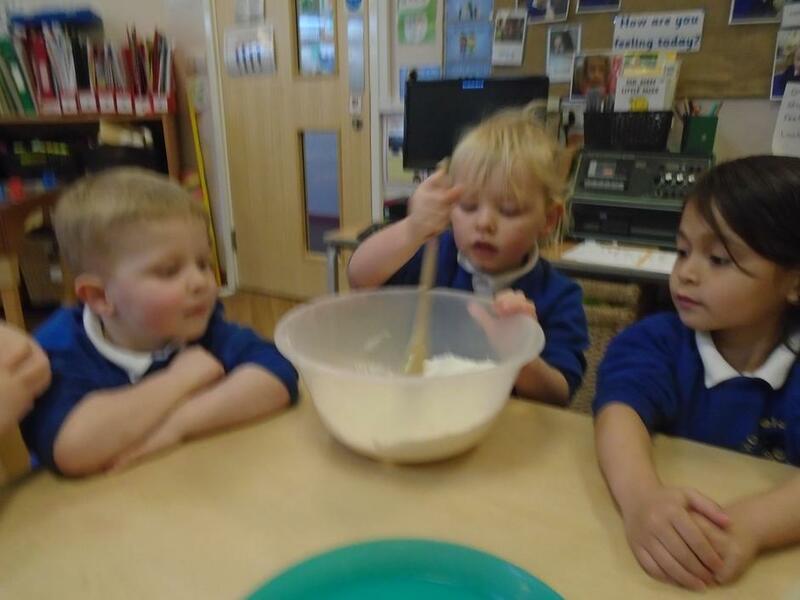 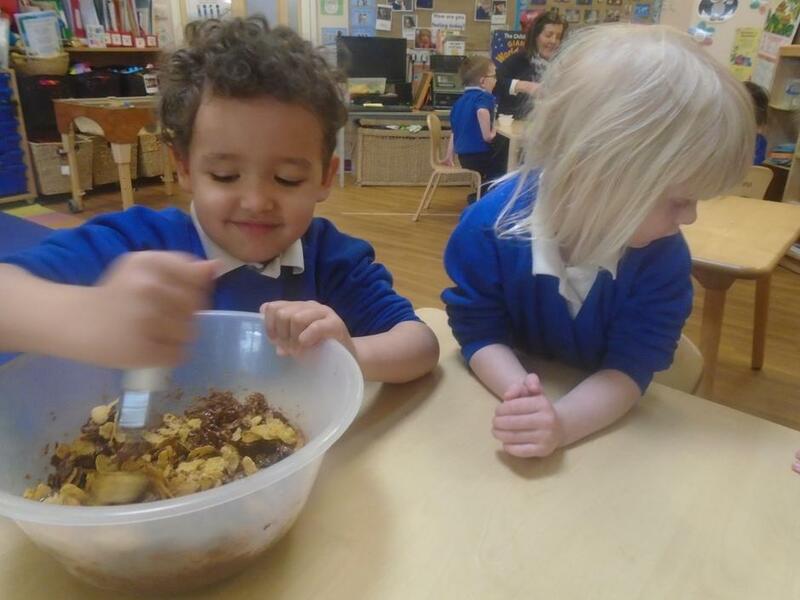 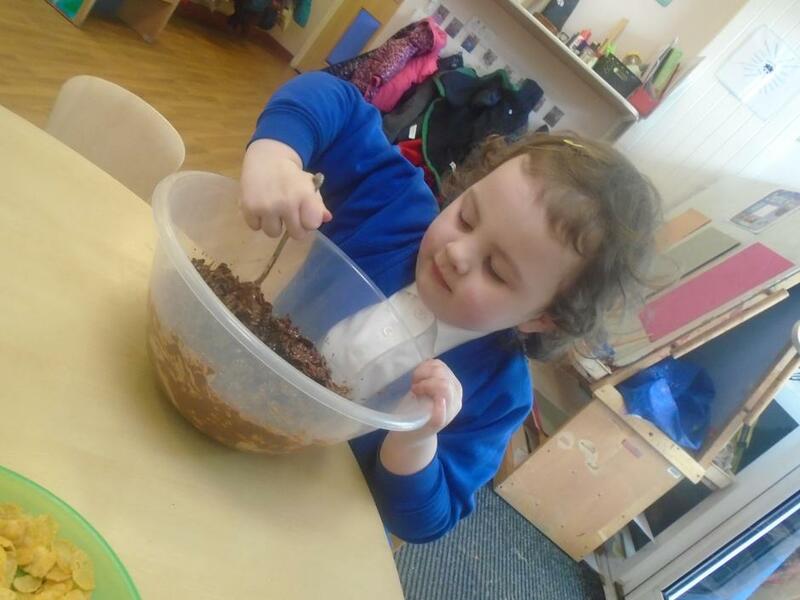 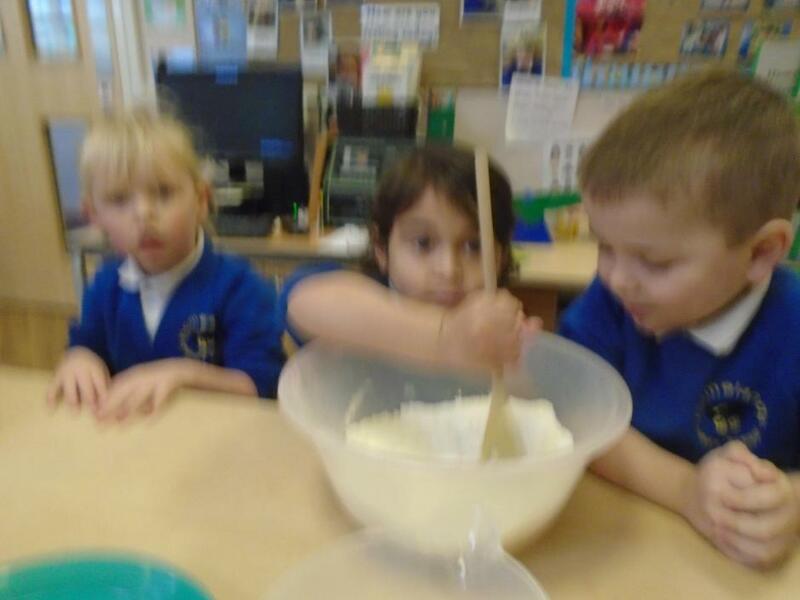 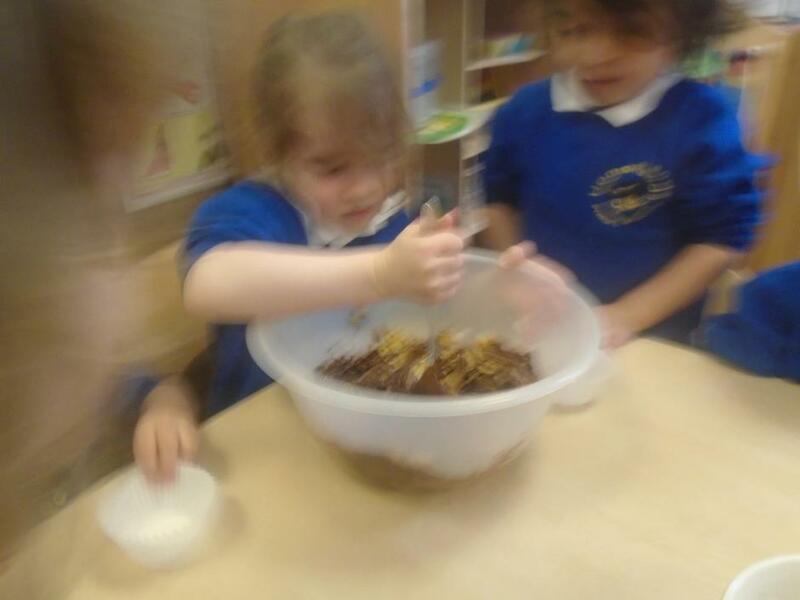 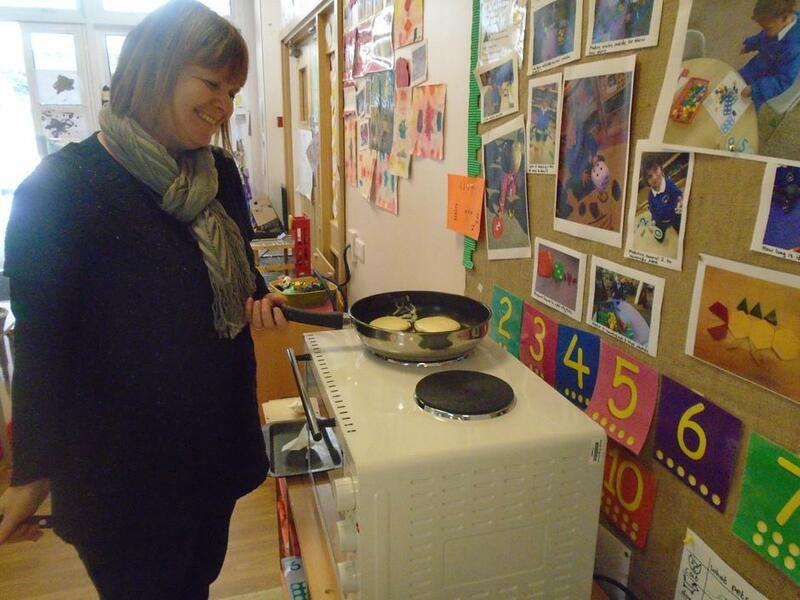 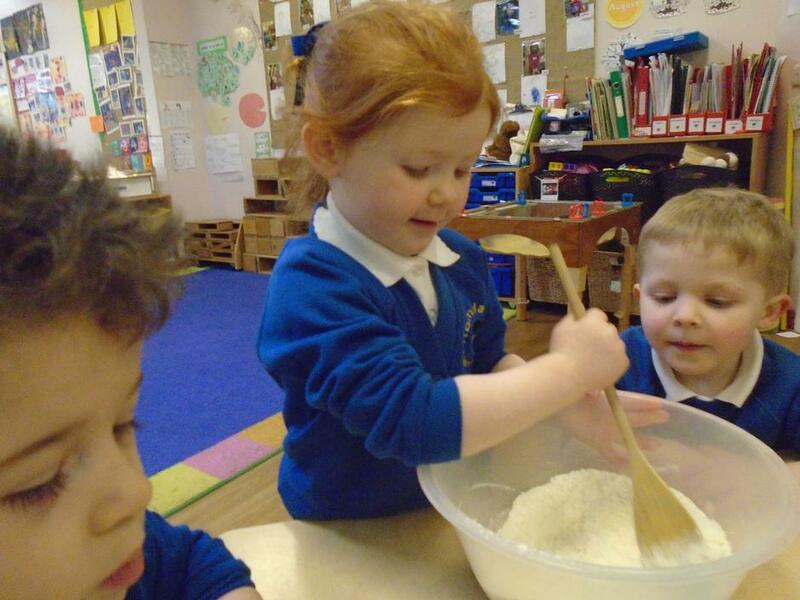 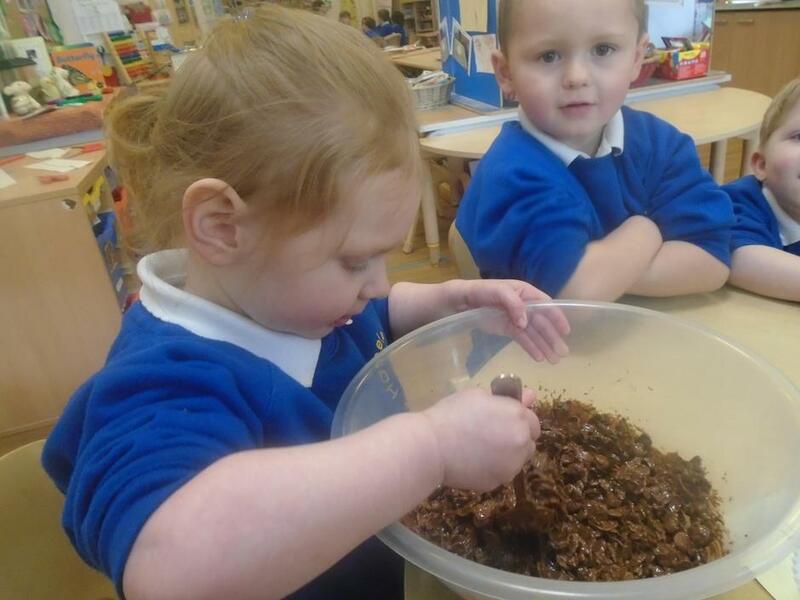 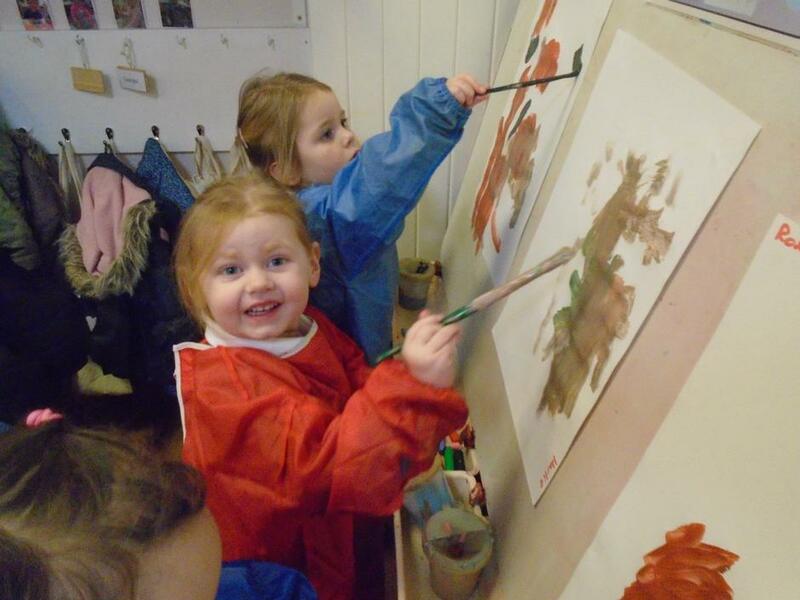 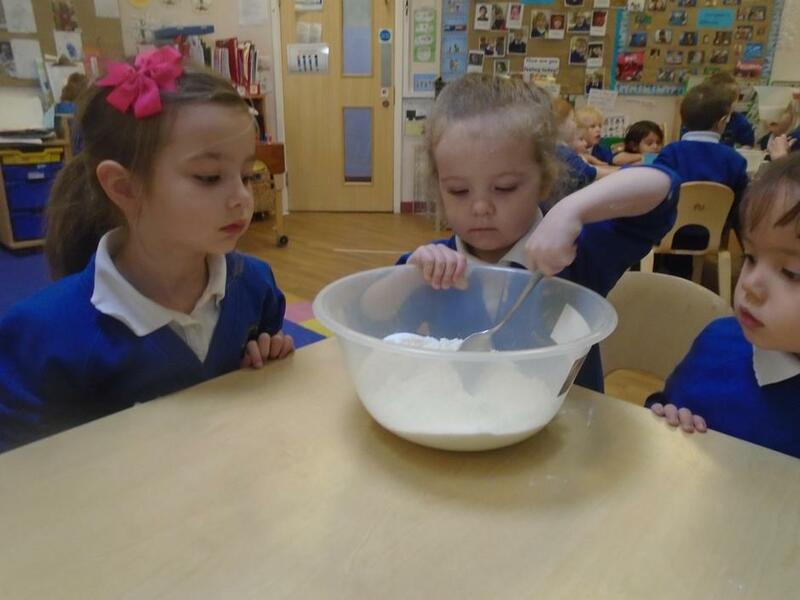 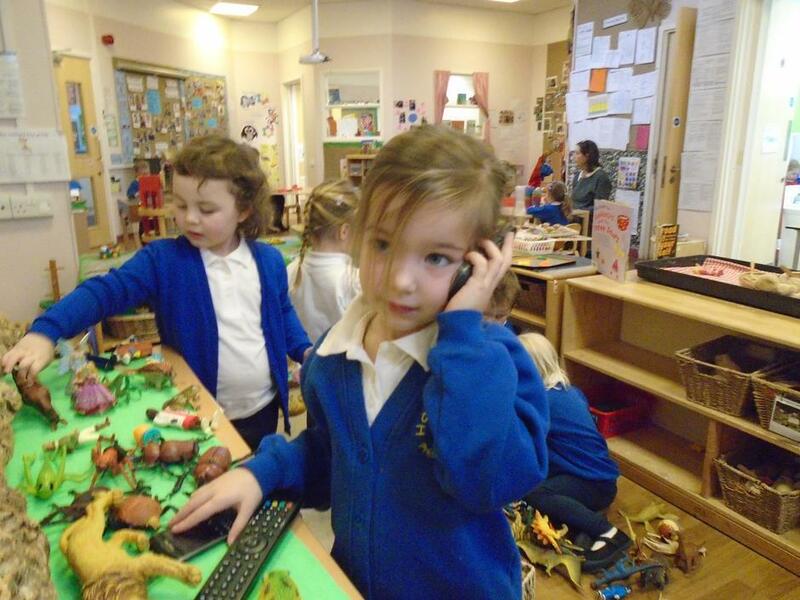 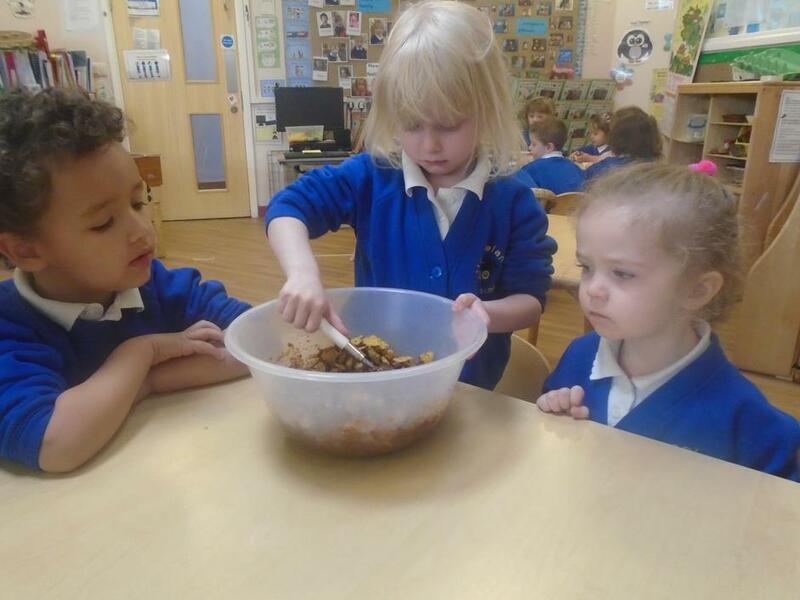 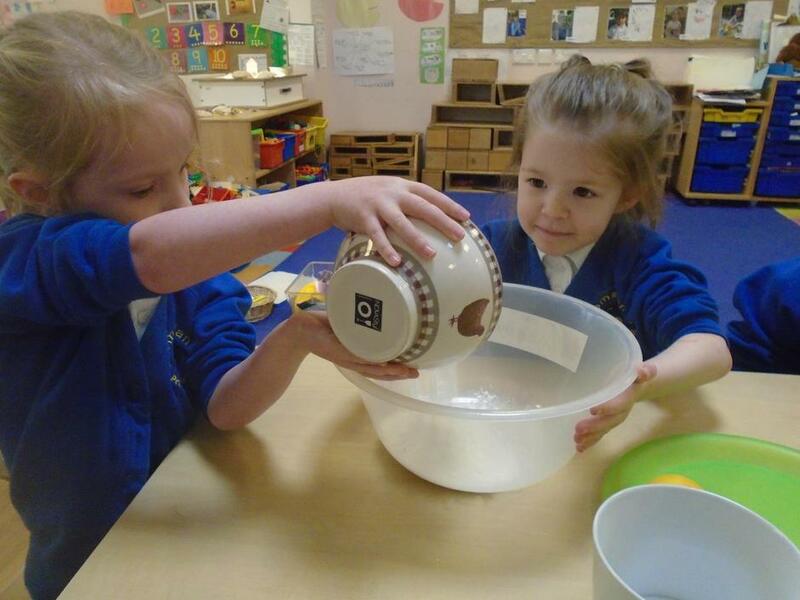 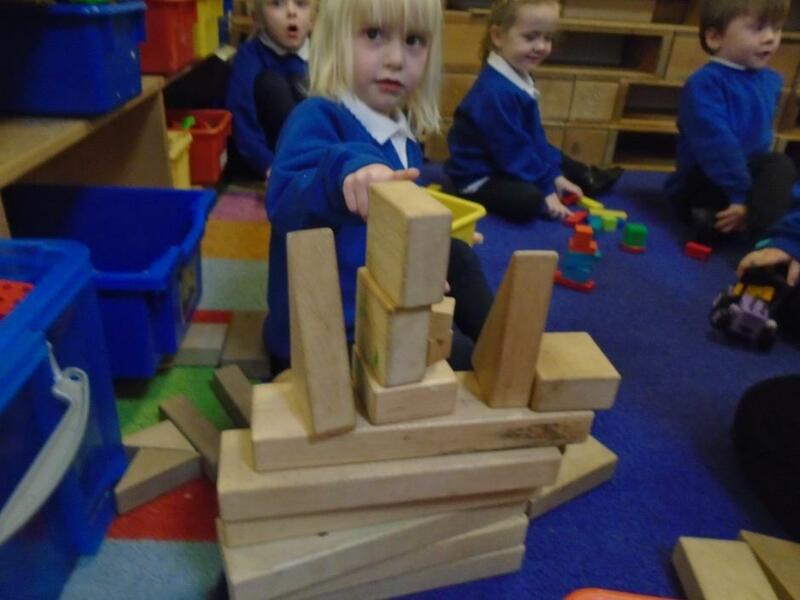 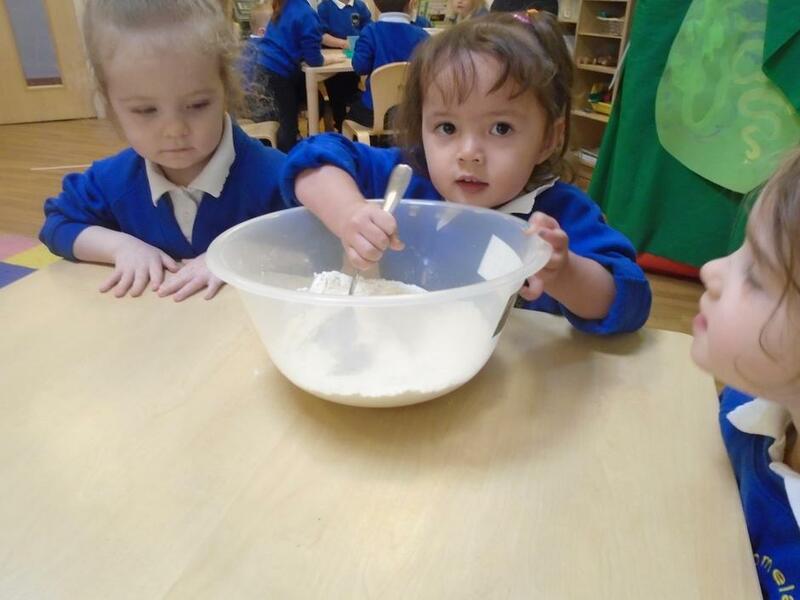 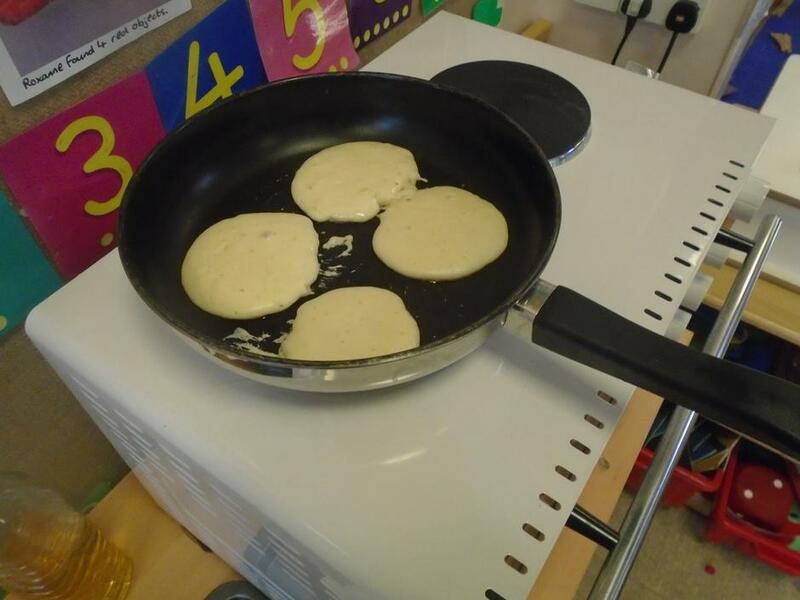 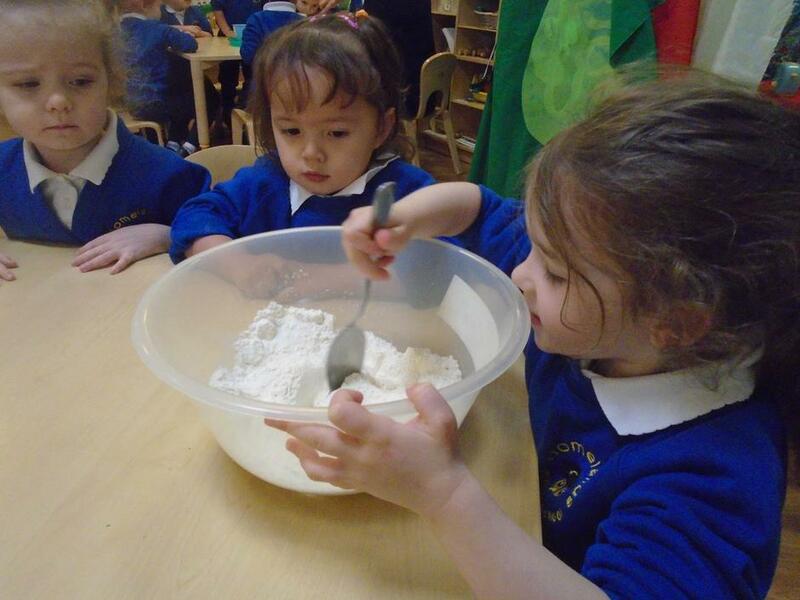 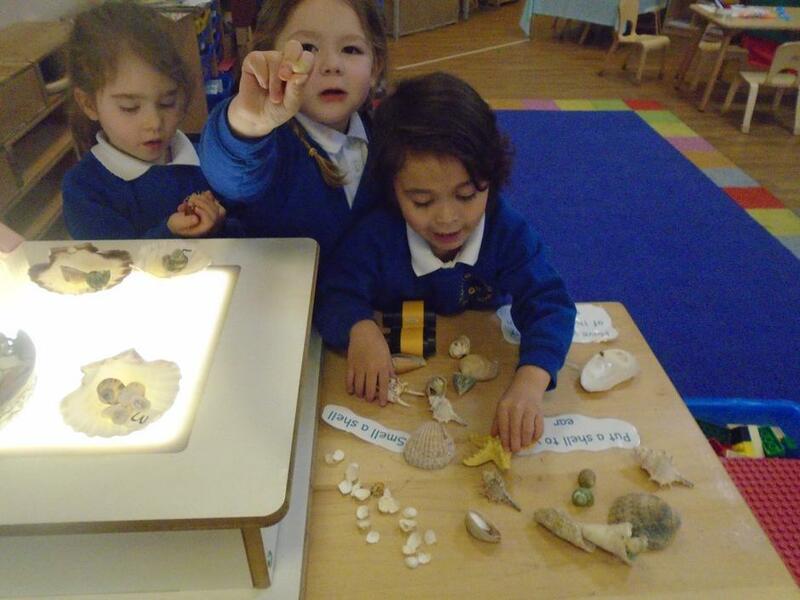 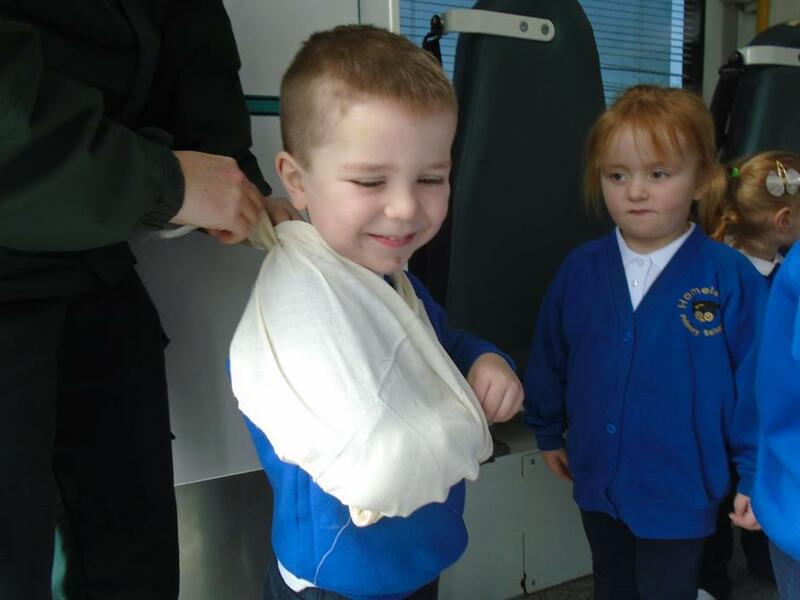 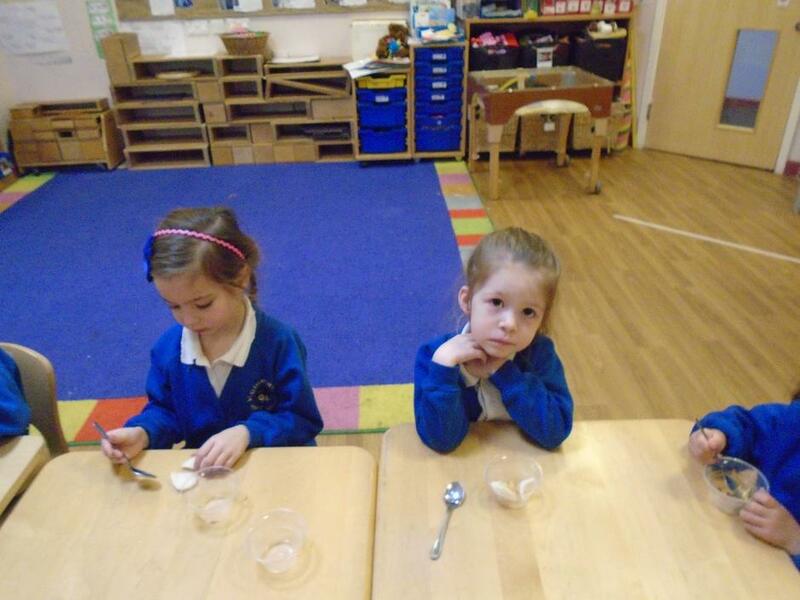 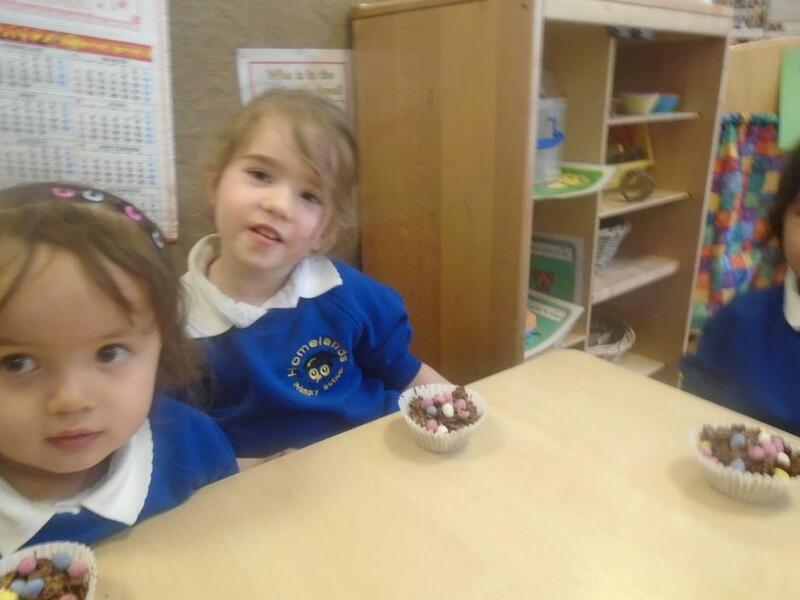 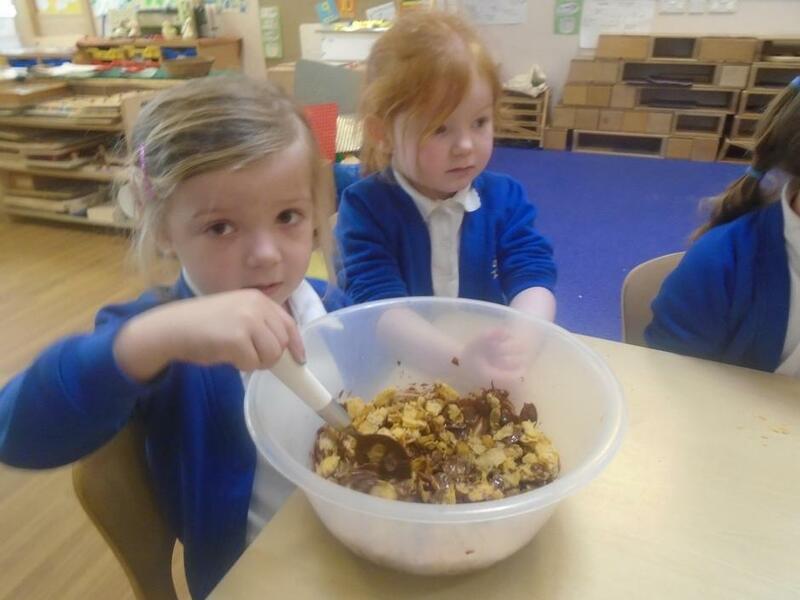 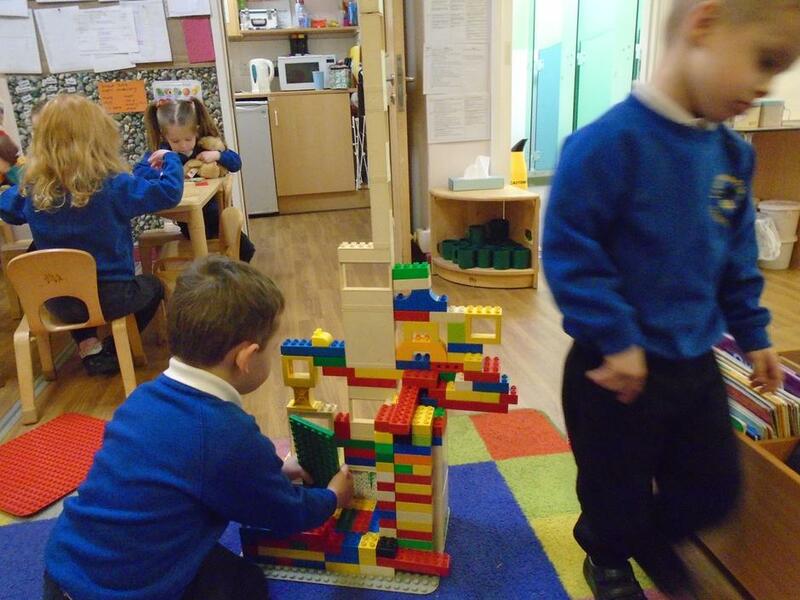 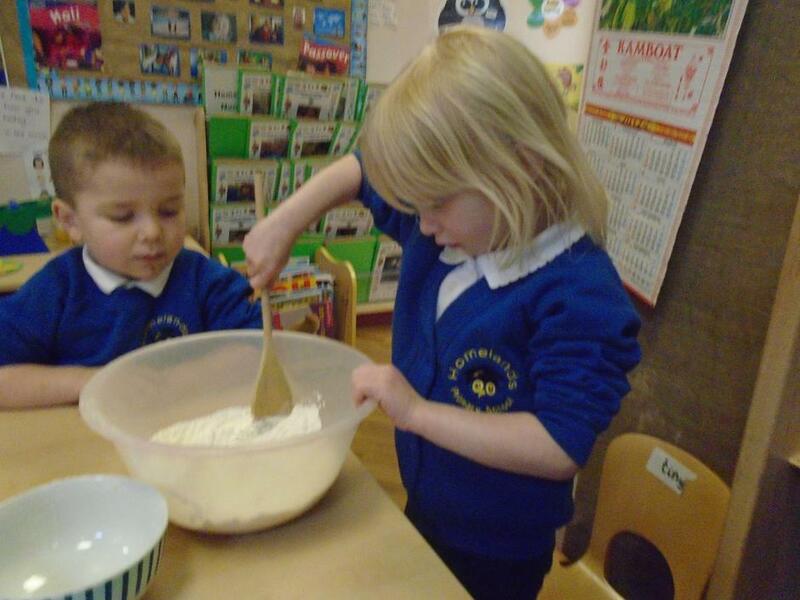 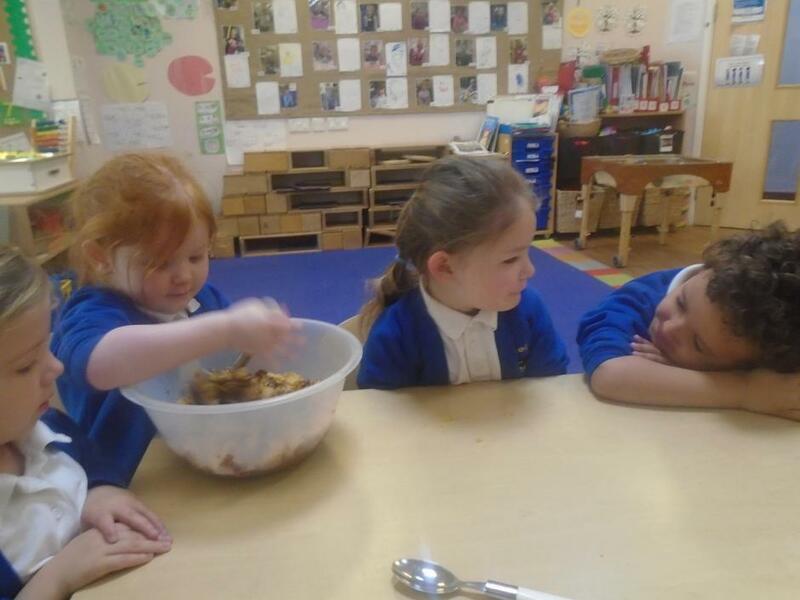 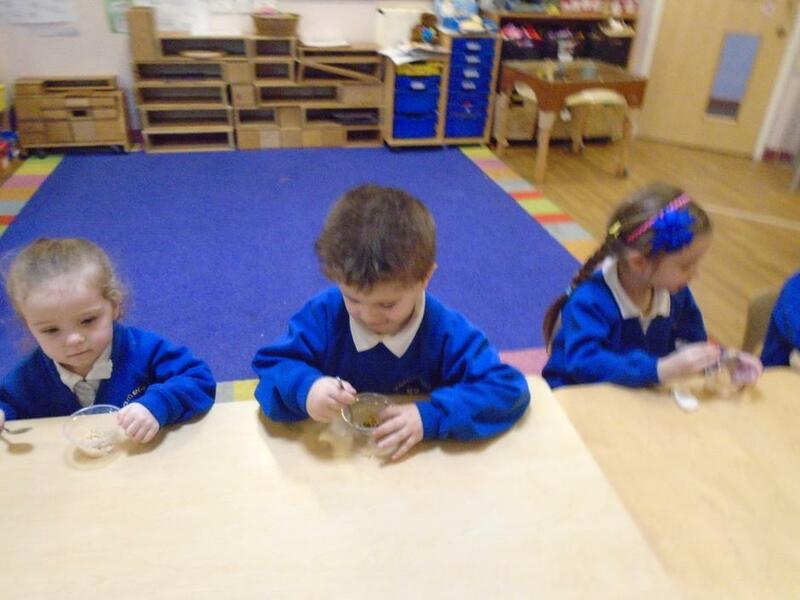 In class today we were talking about our school website and looking at photos of the fun we have been having in Nursery class. 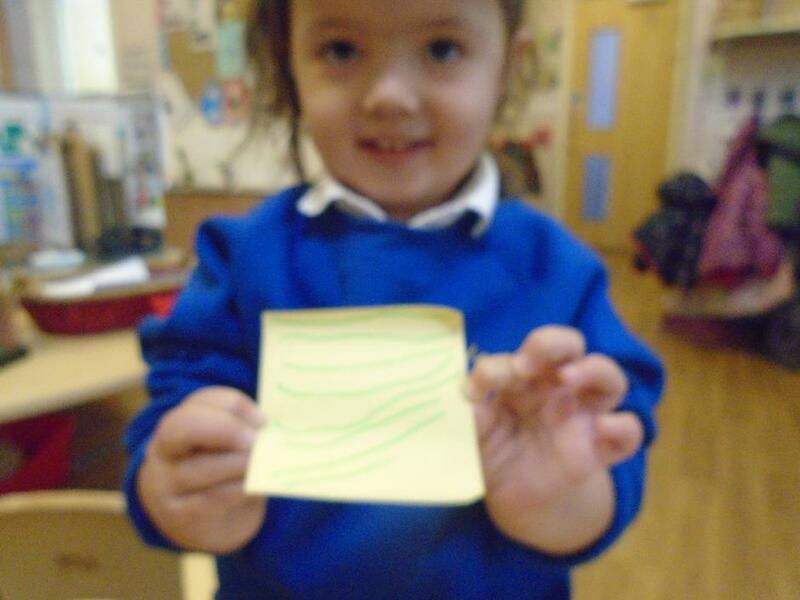 The children asked me to put up these photos that we took together at the end of the day. 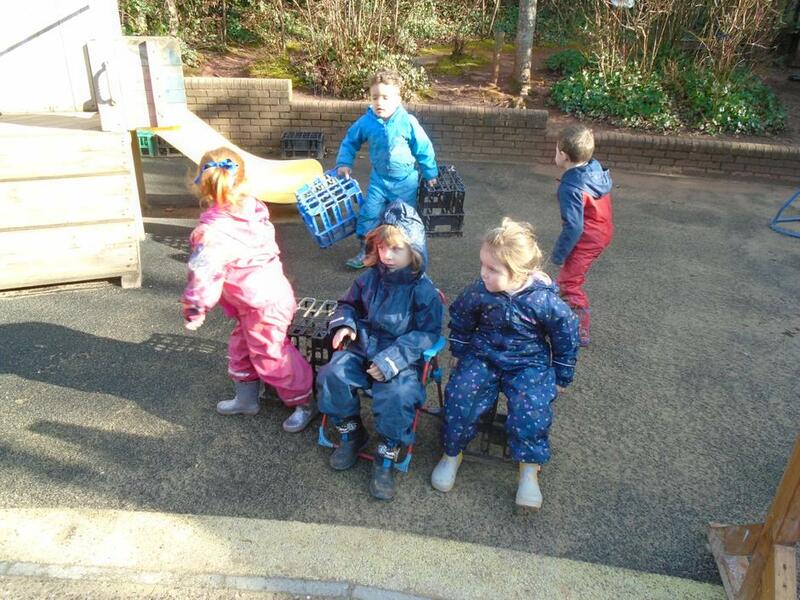 They wanted a photo of them all together on the website! 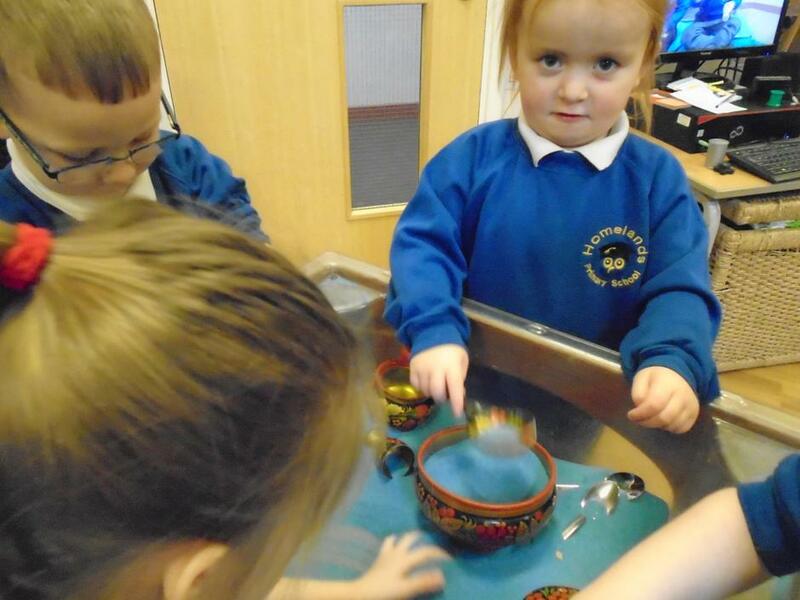 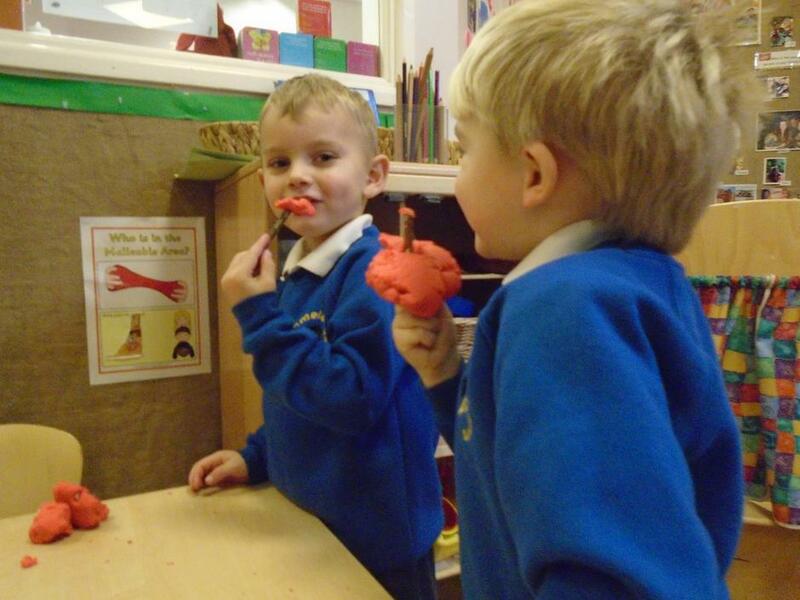 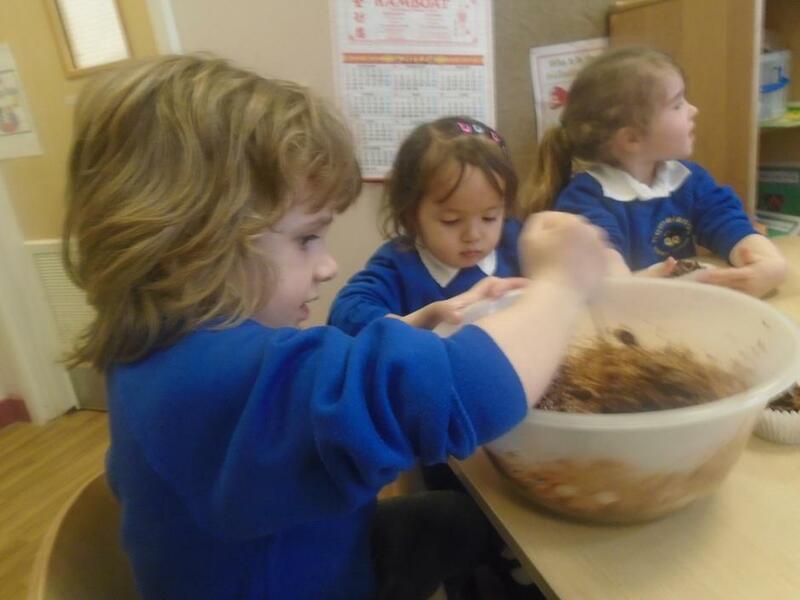 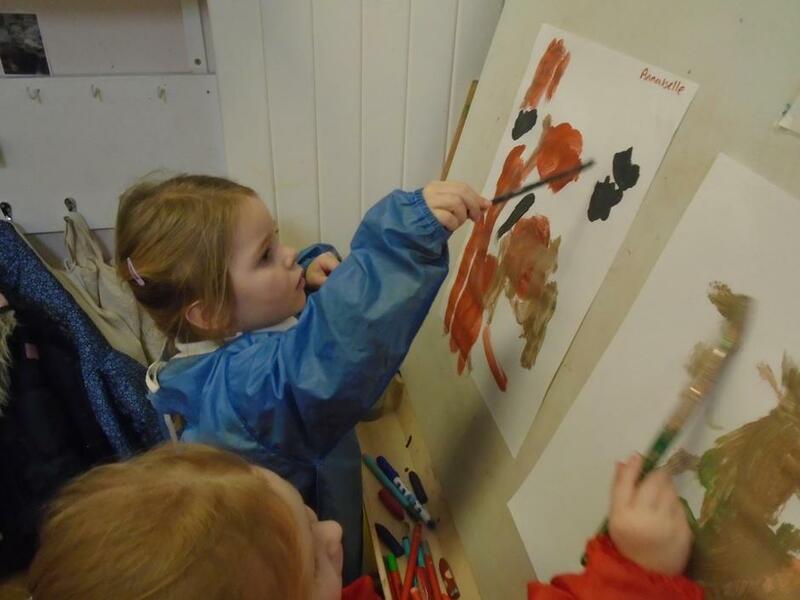 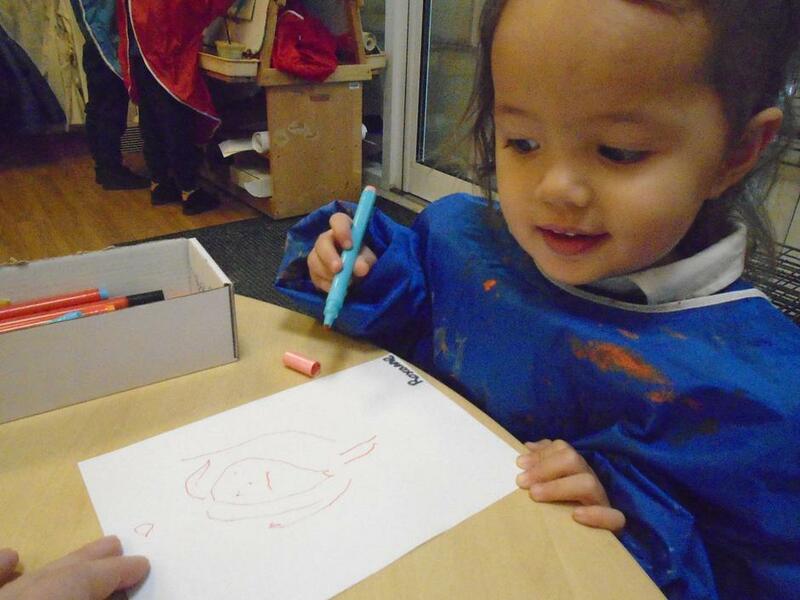 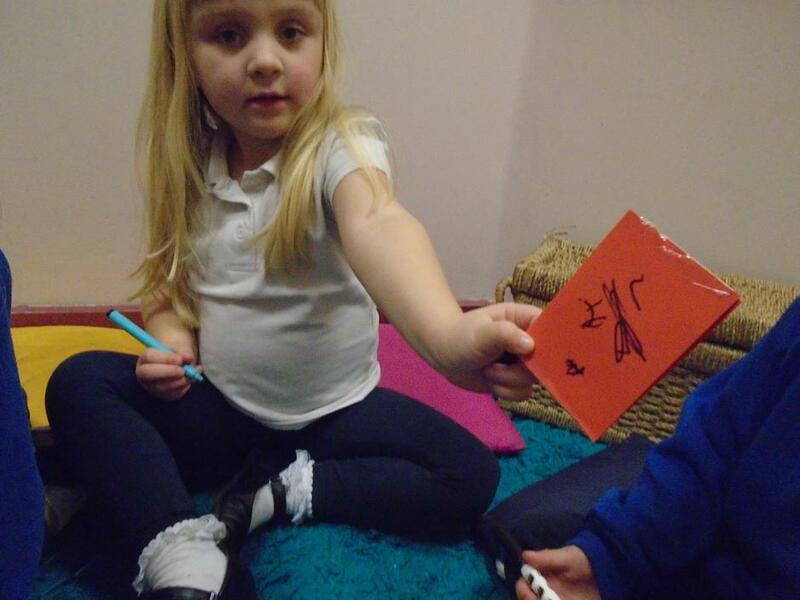 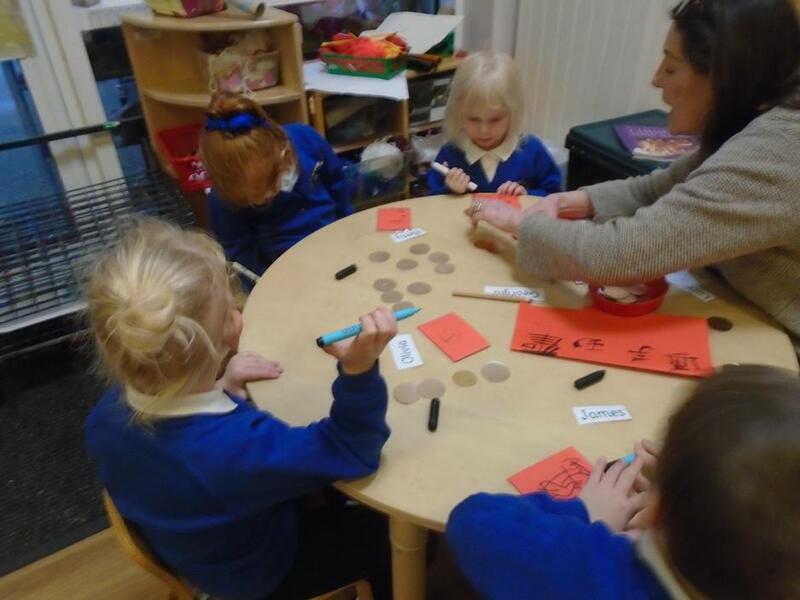 Learning about Chinese New Year in Nursery Class. 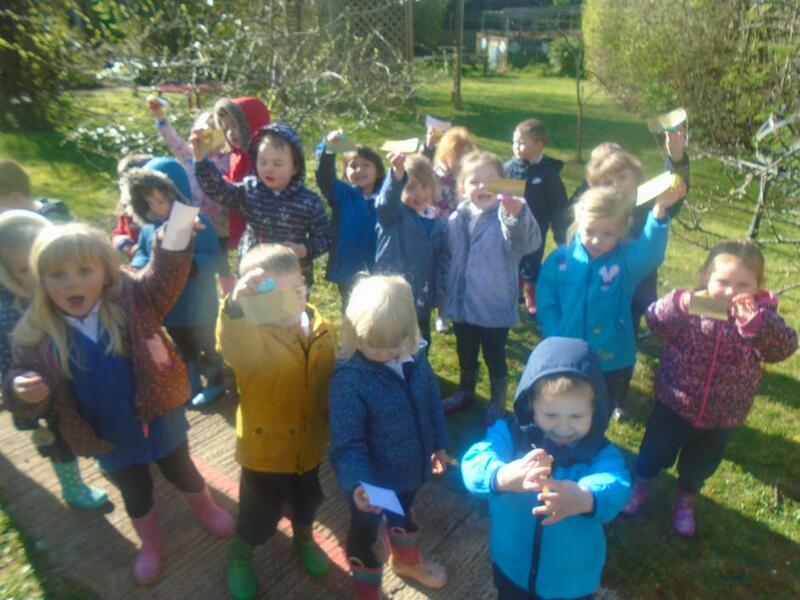 We made kites and lanterns. 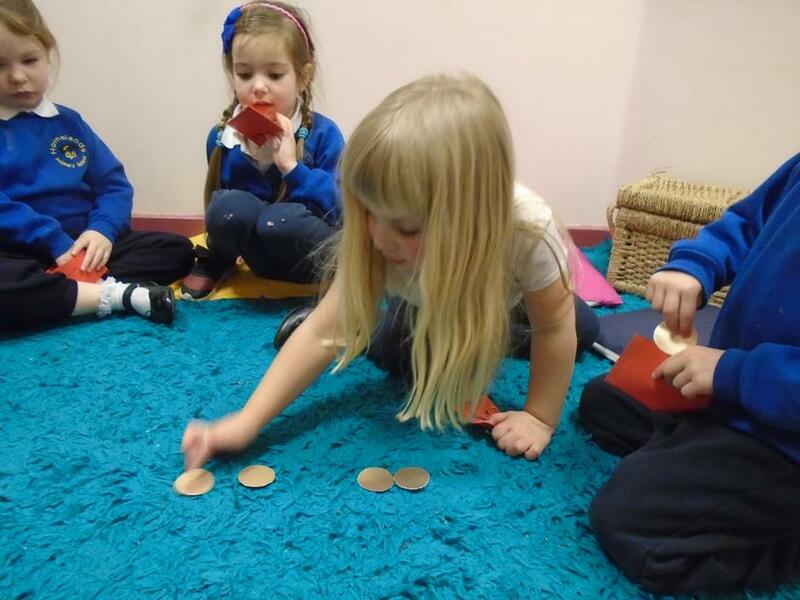 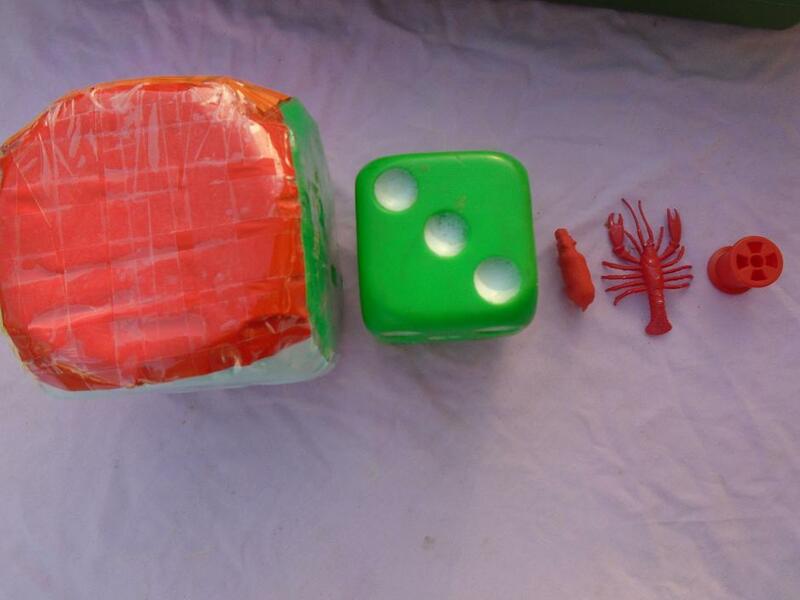 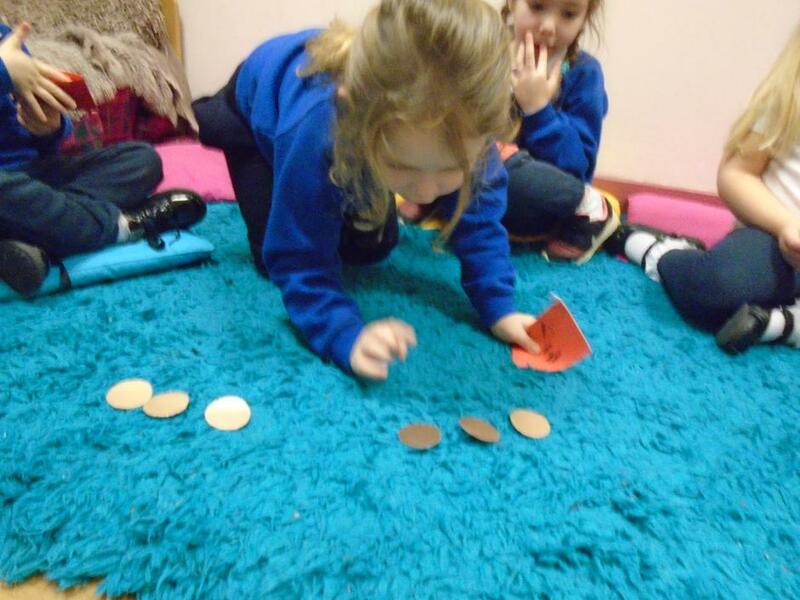 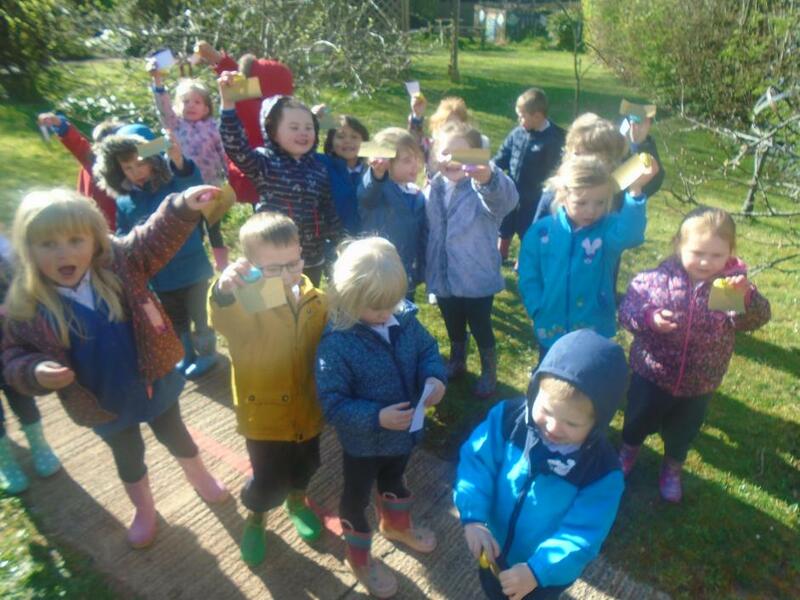 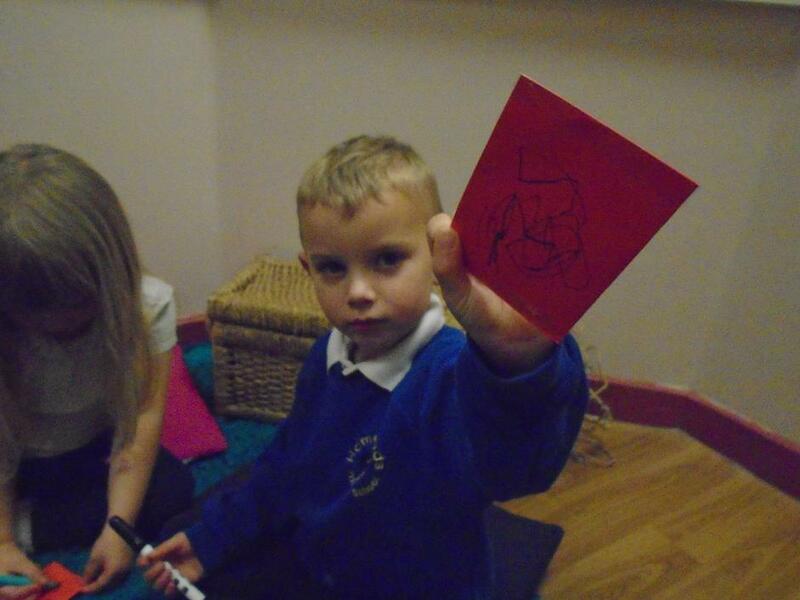 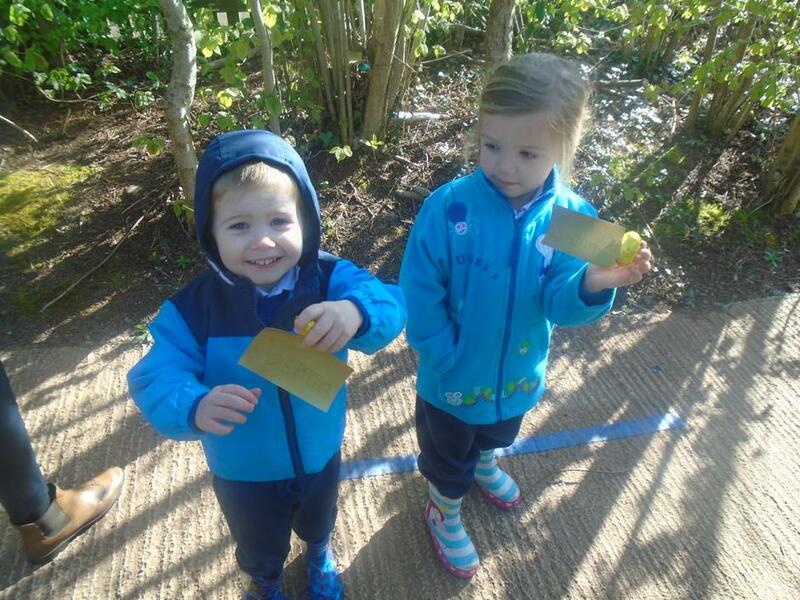 The children made lucky red envelopes and cointed gold coins. 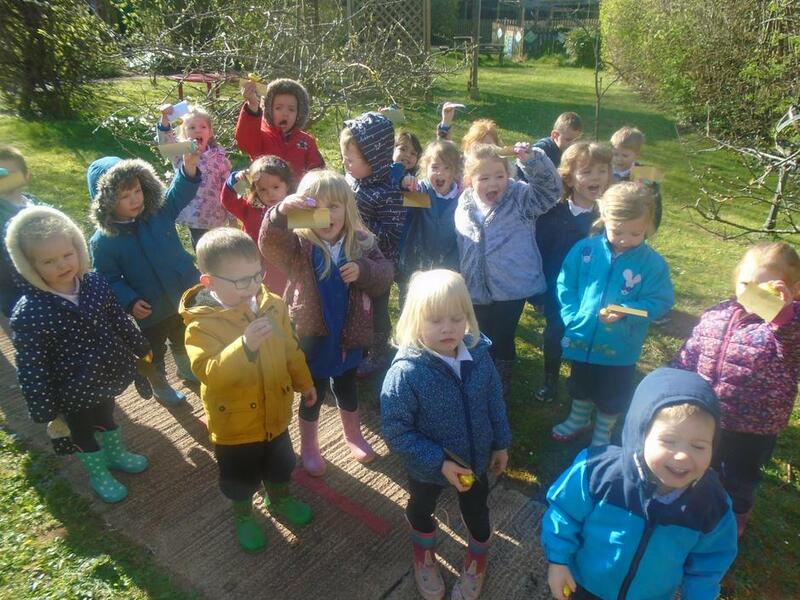 We painted cherry blossom trees. 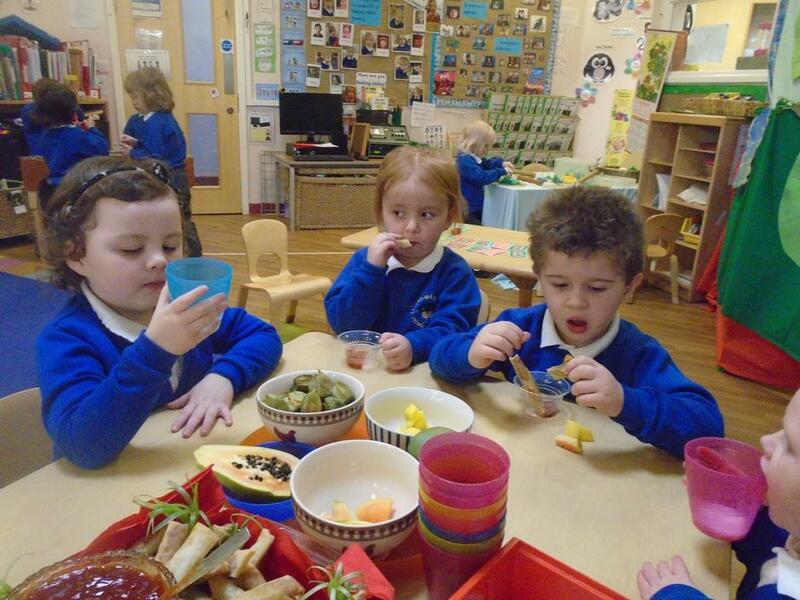 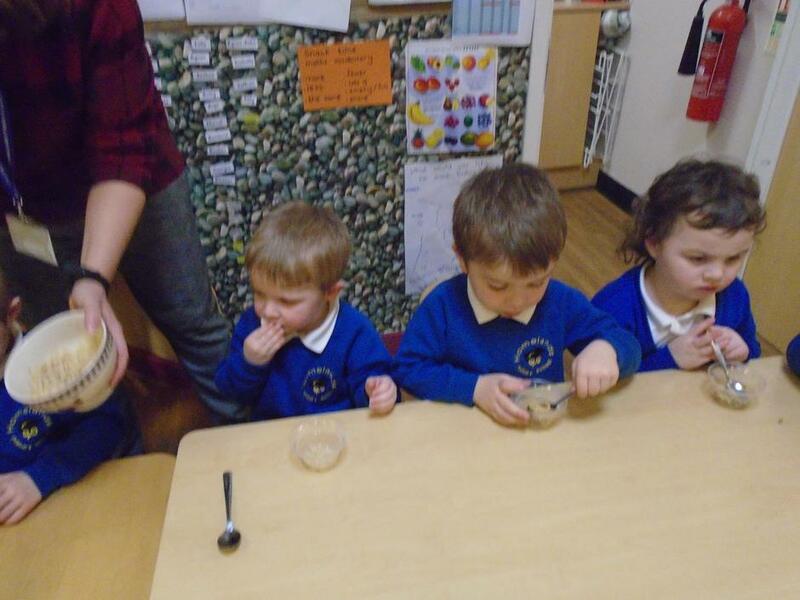 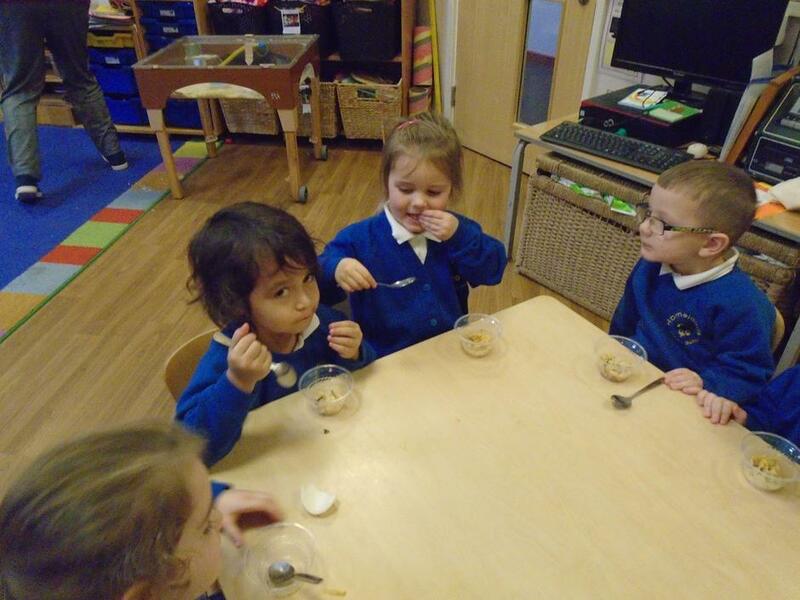 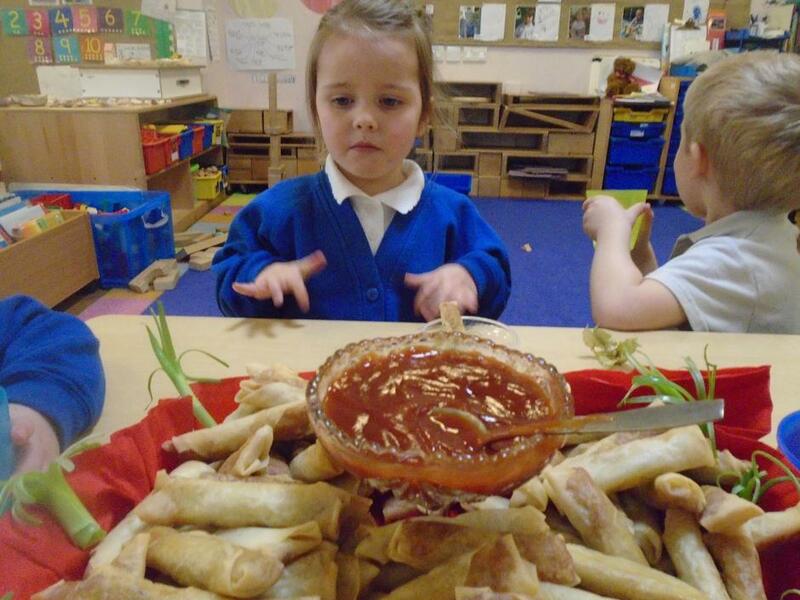 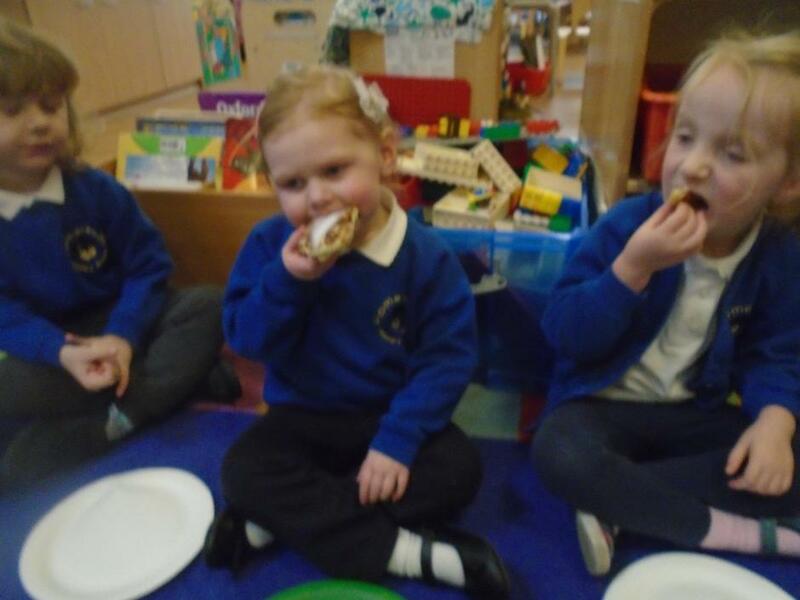 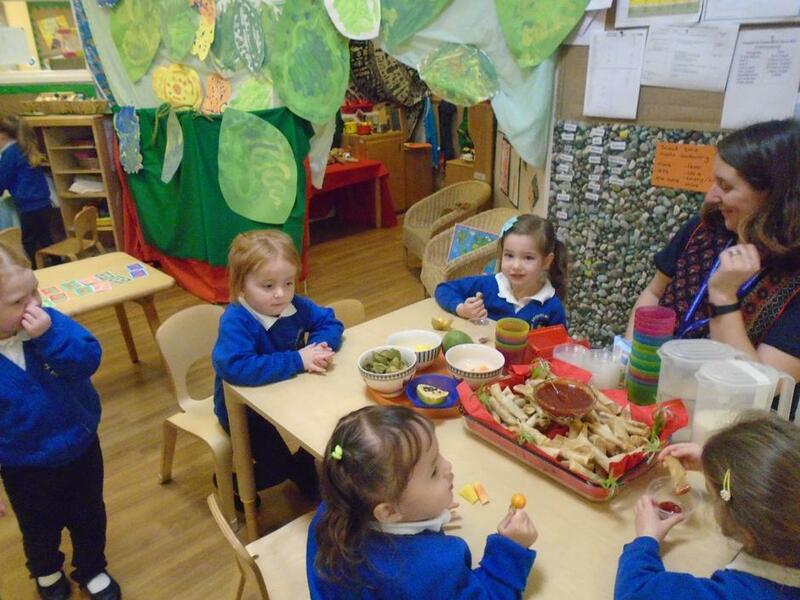 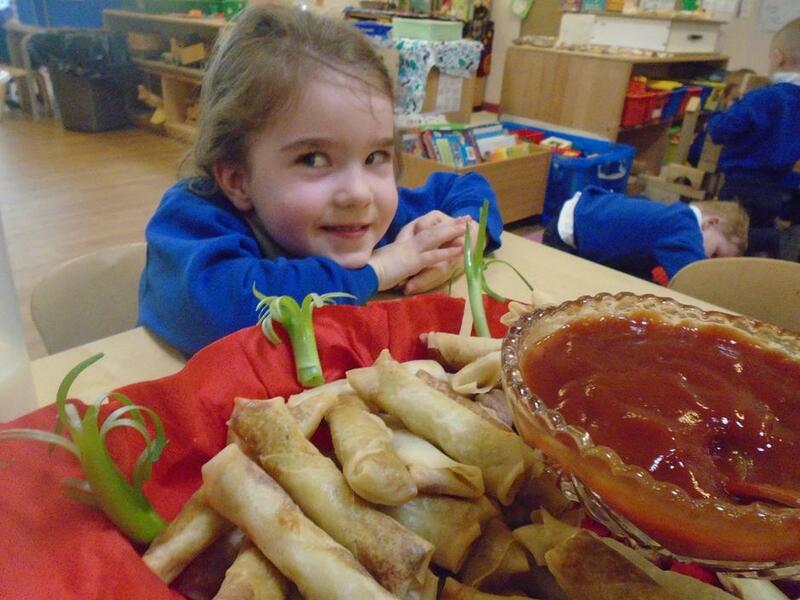 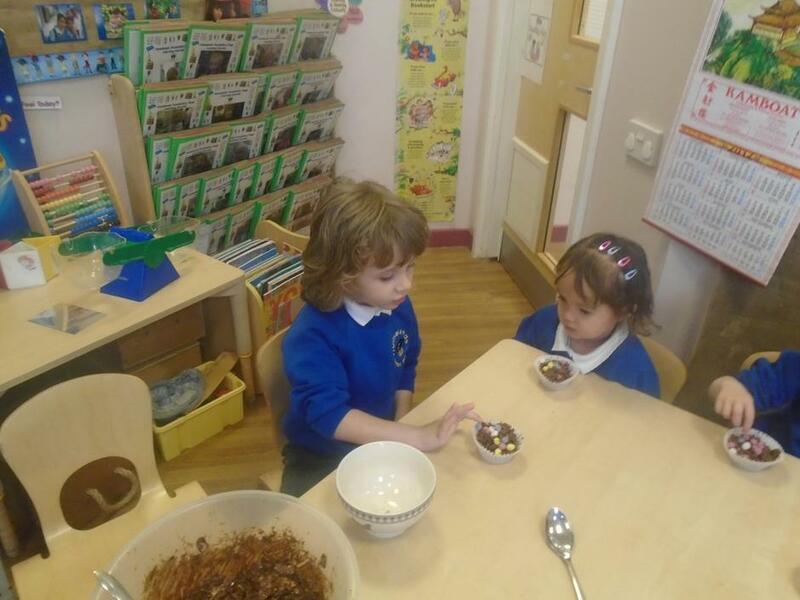 All of the children tried some yummy Chinese food! 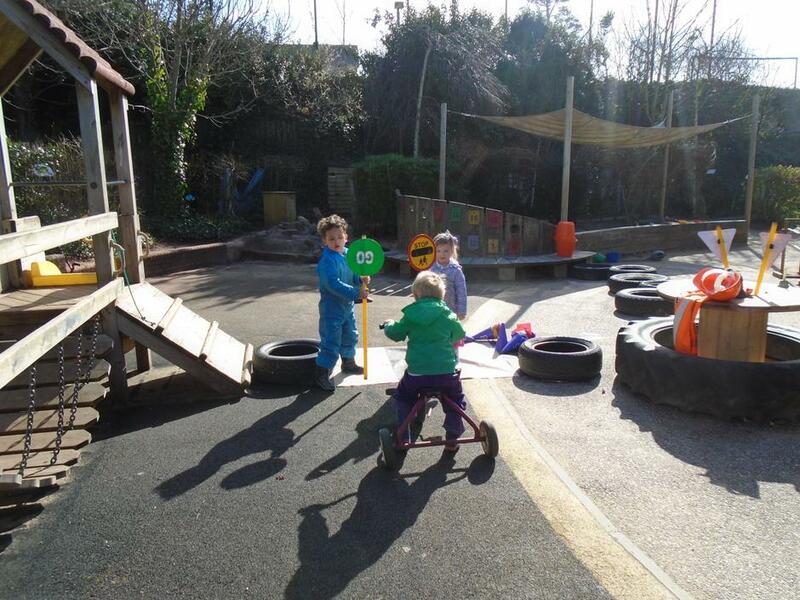 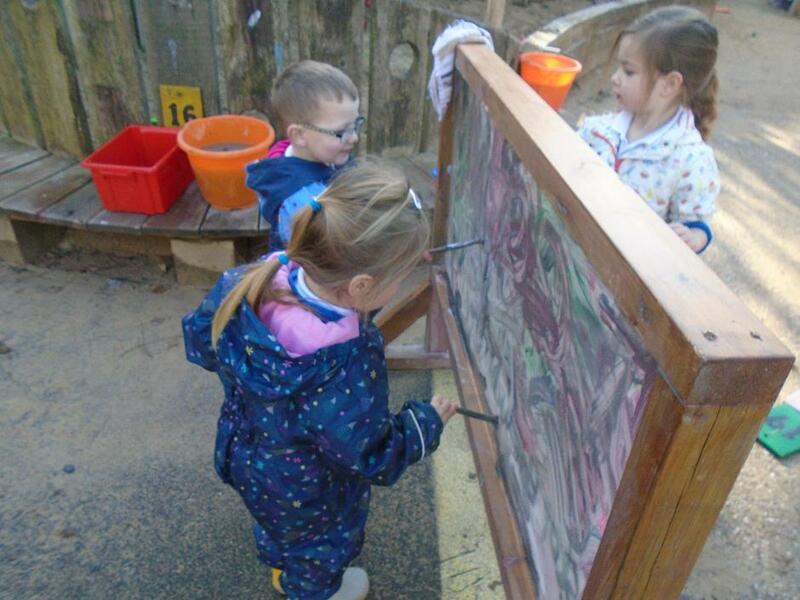 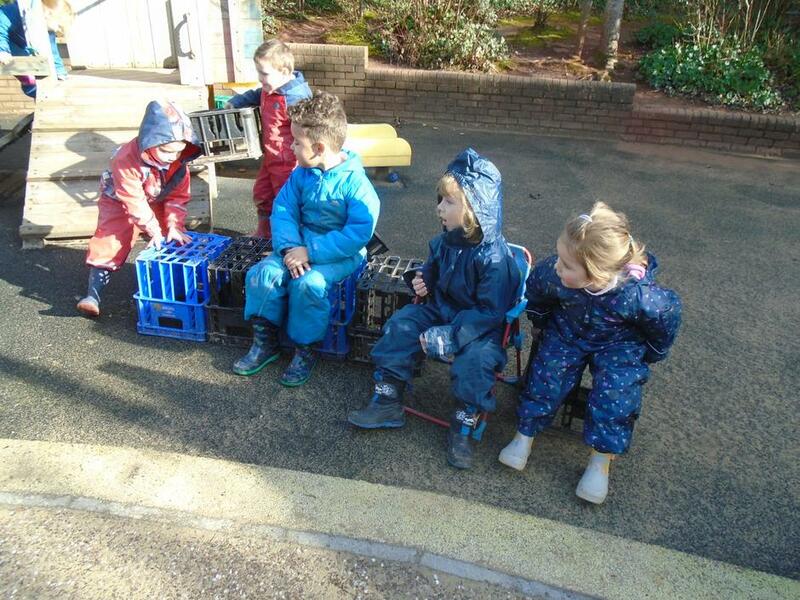 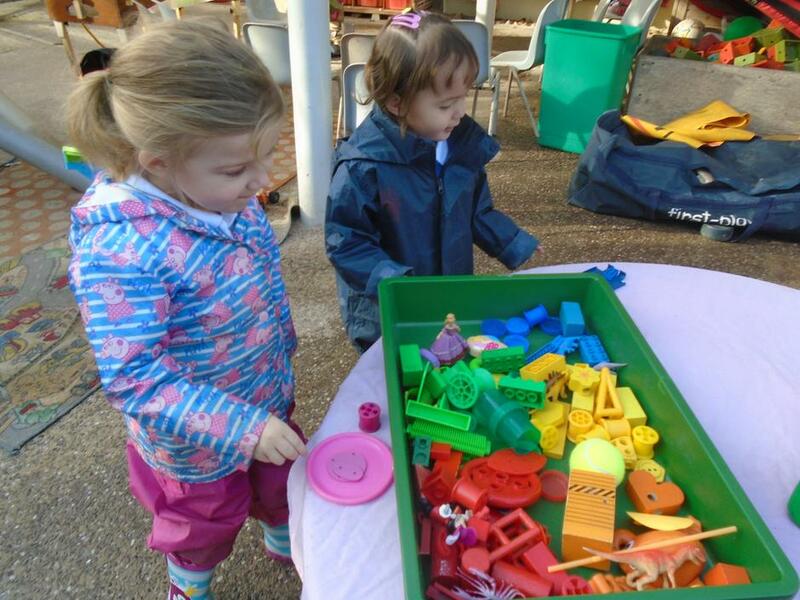 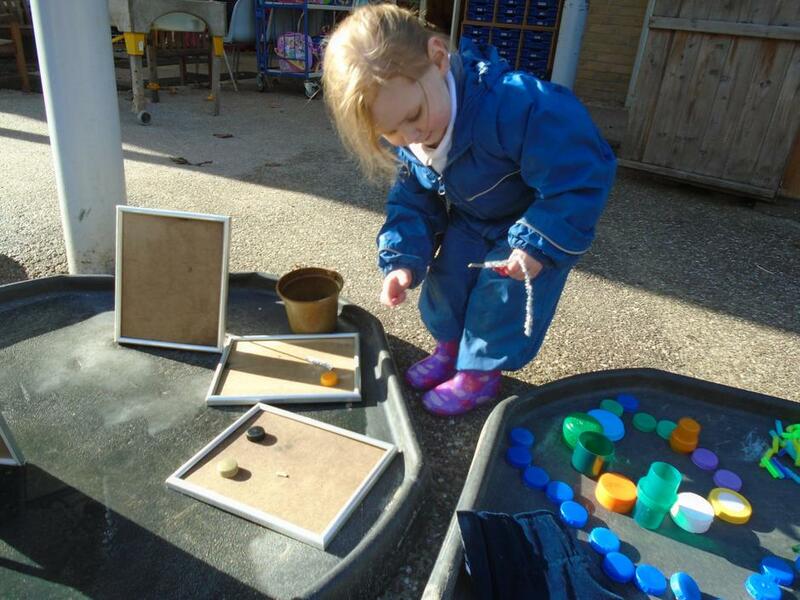 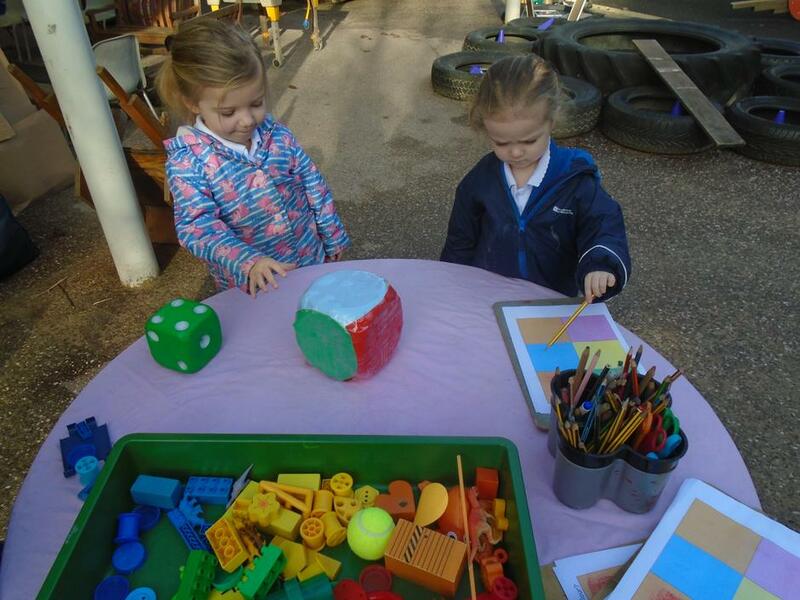 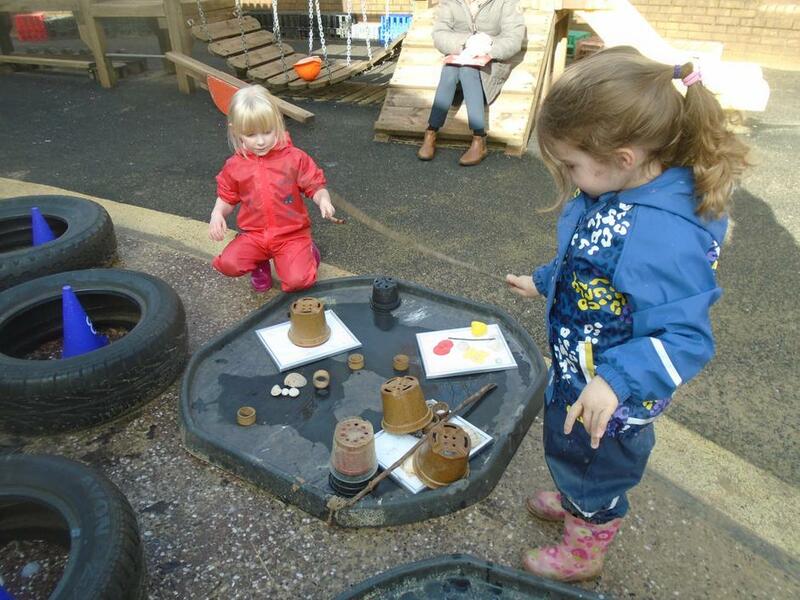 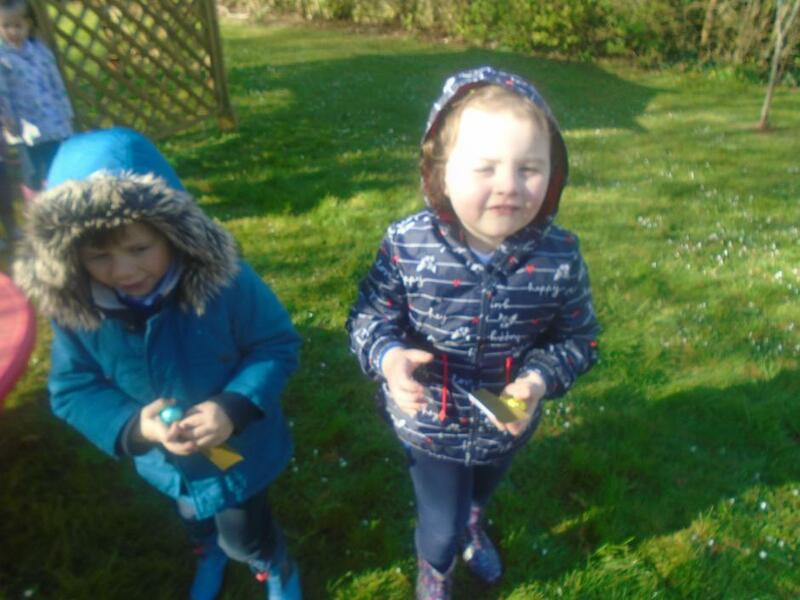 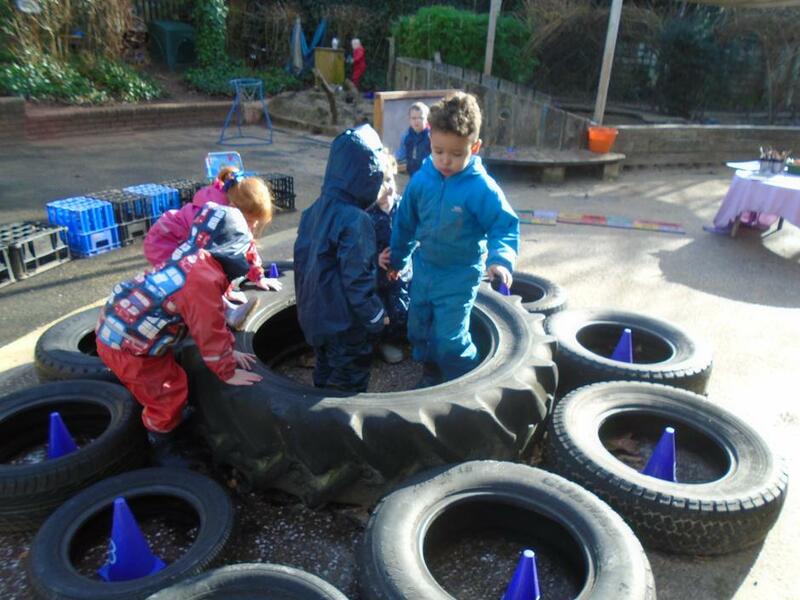 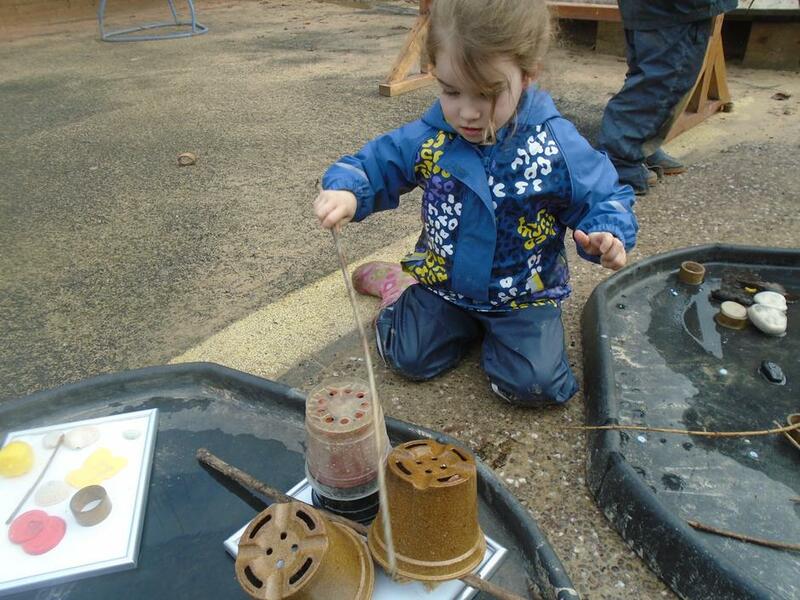 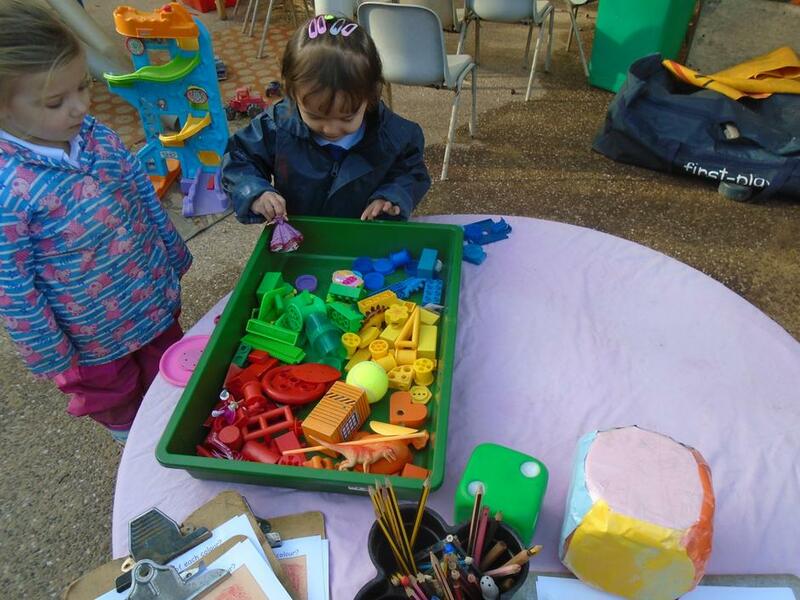 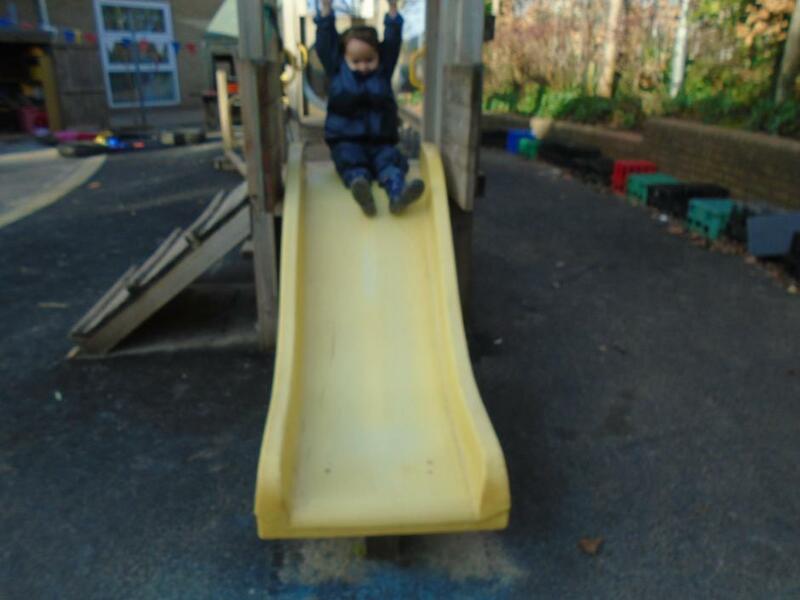 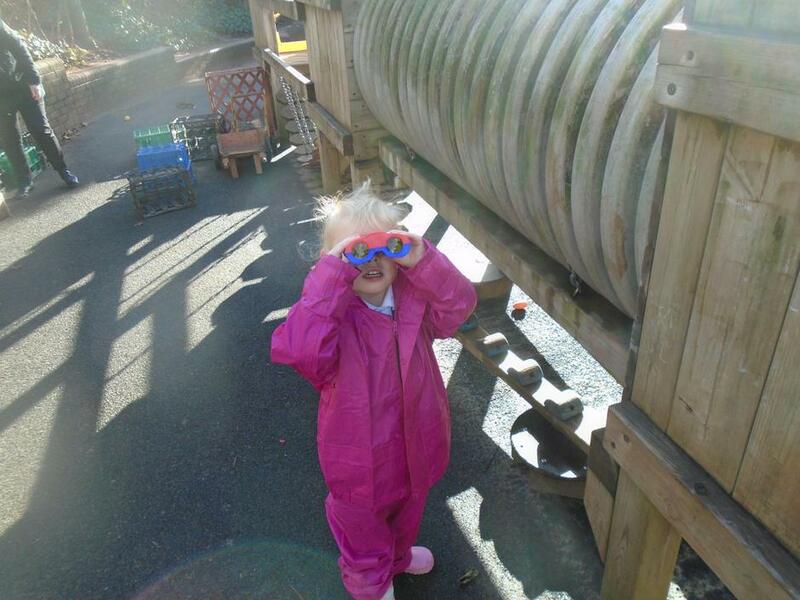 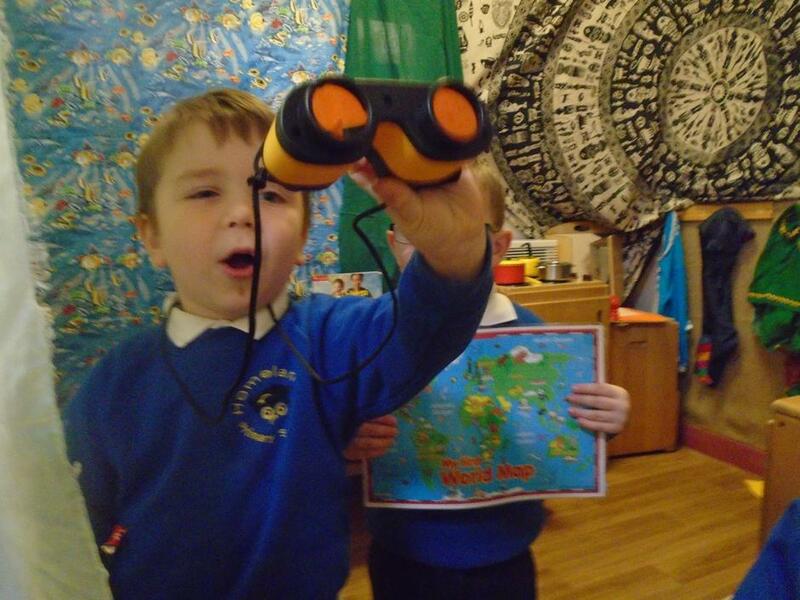 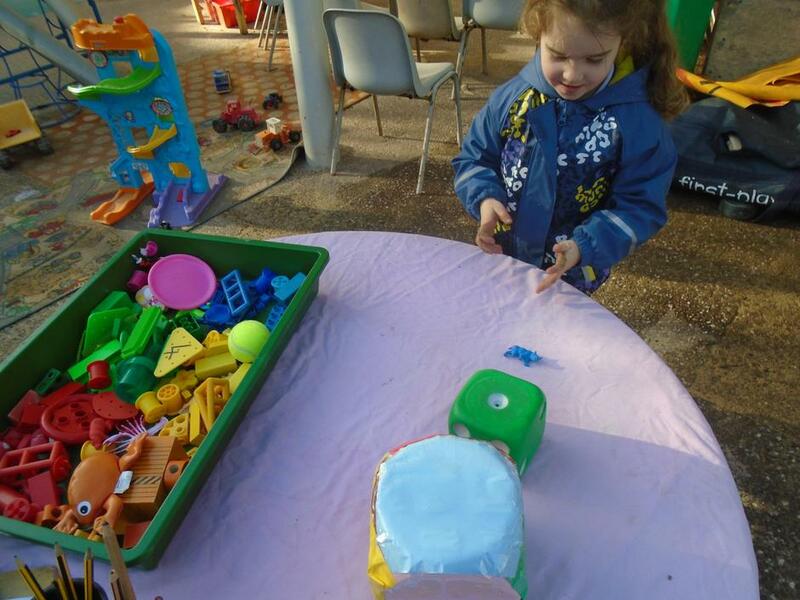 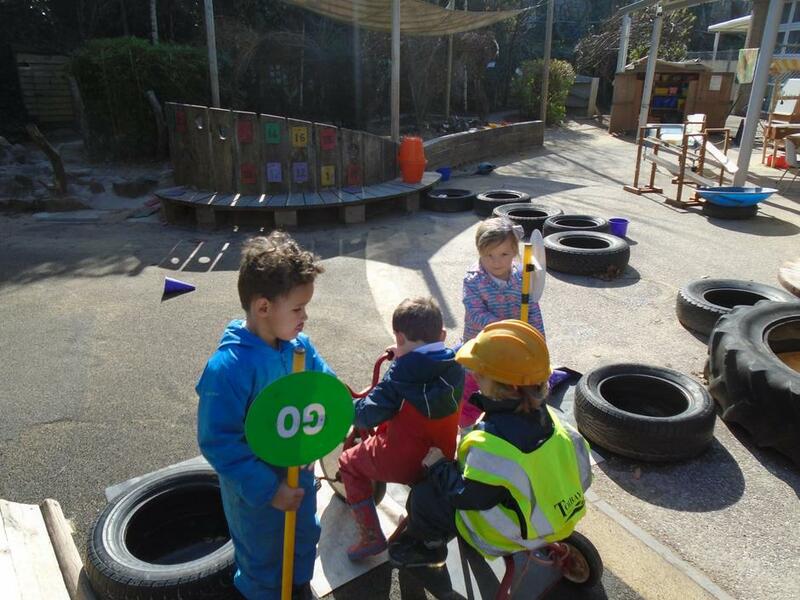 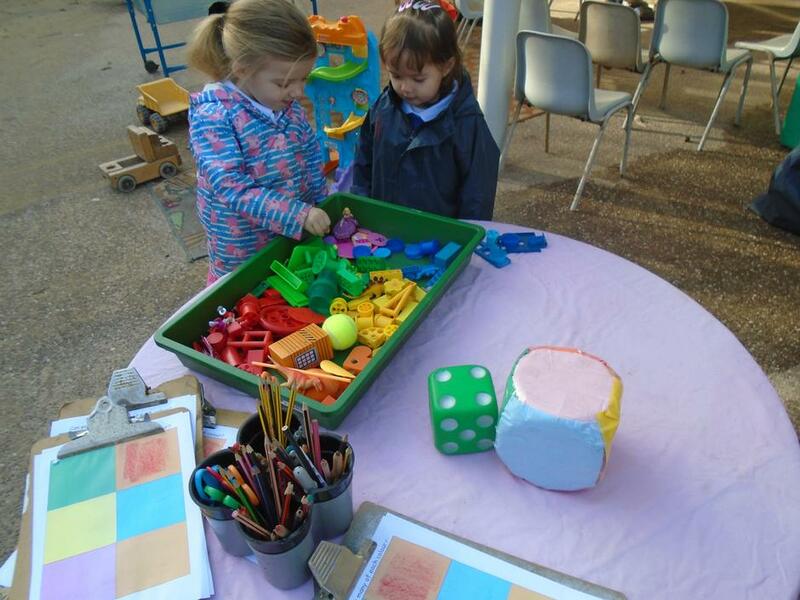 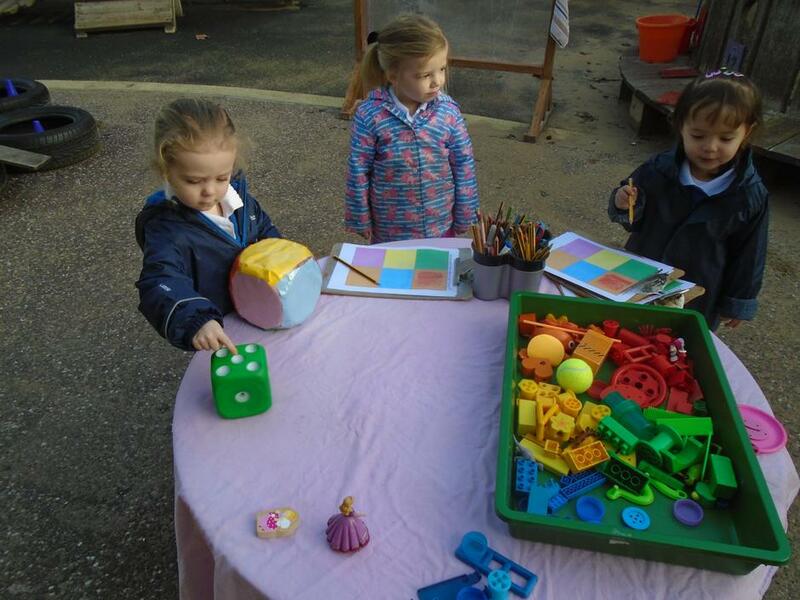 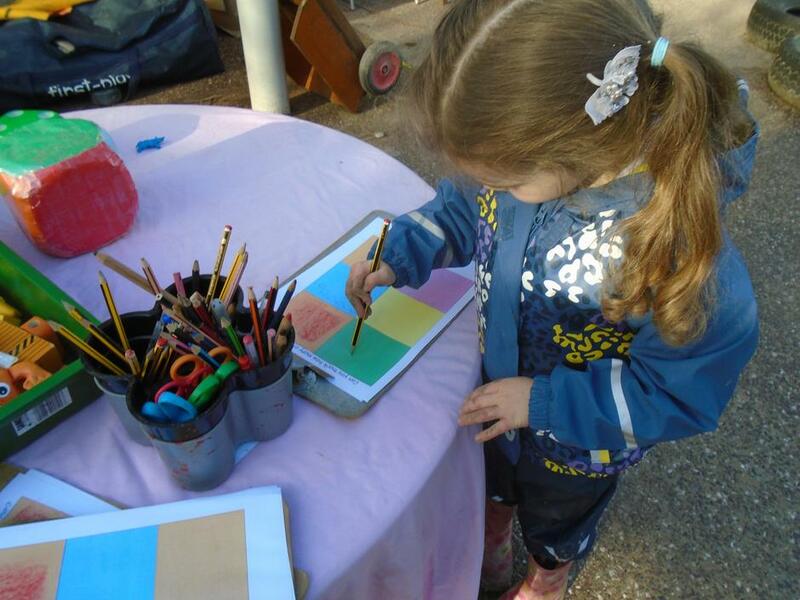 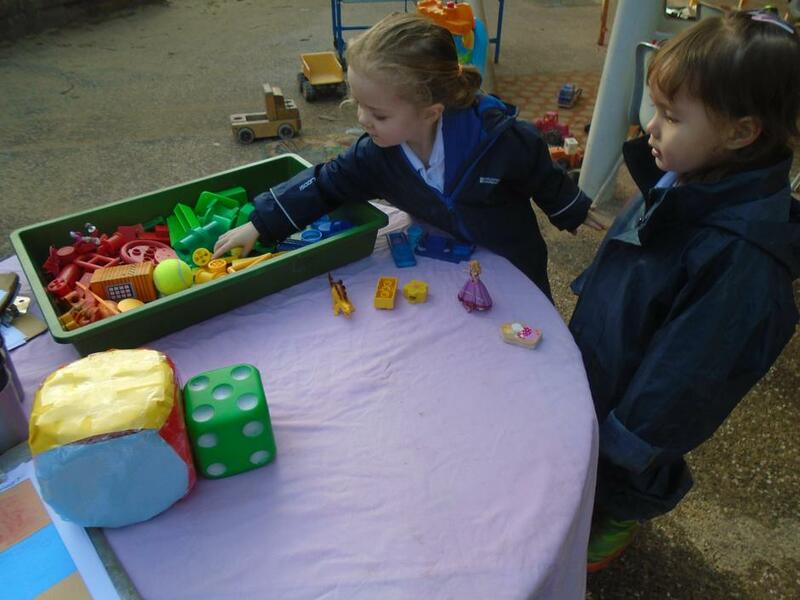 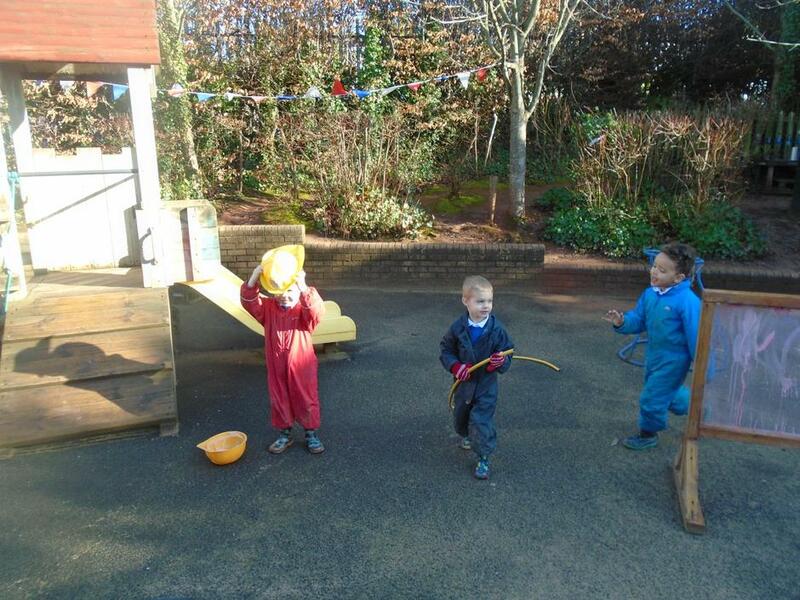 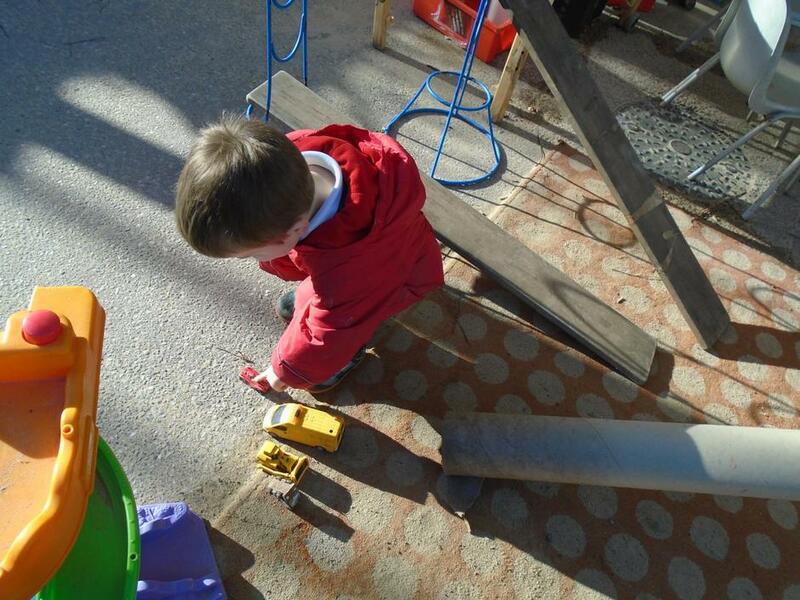 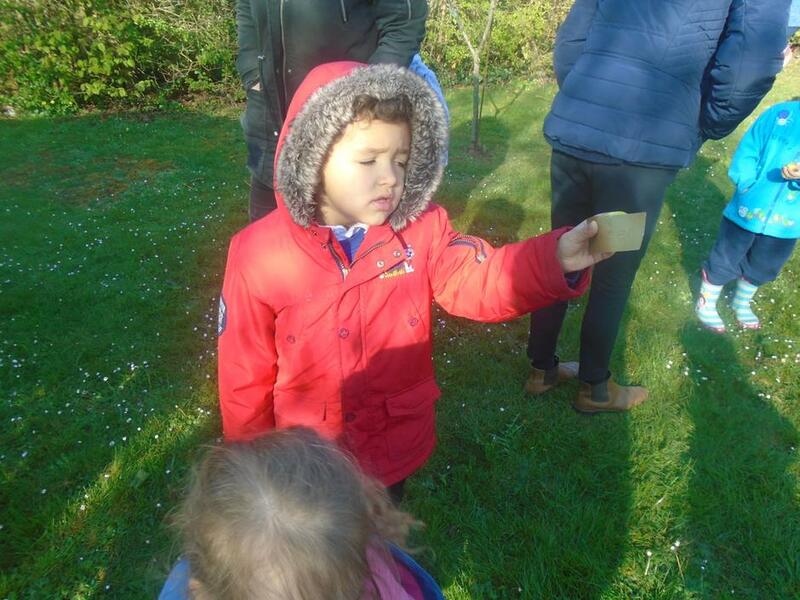 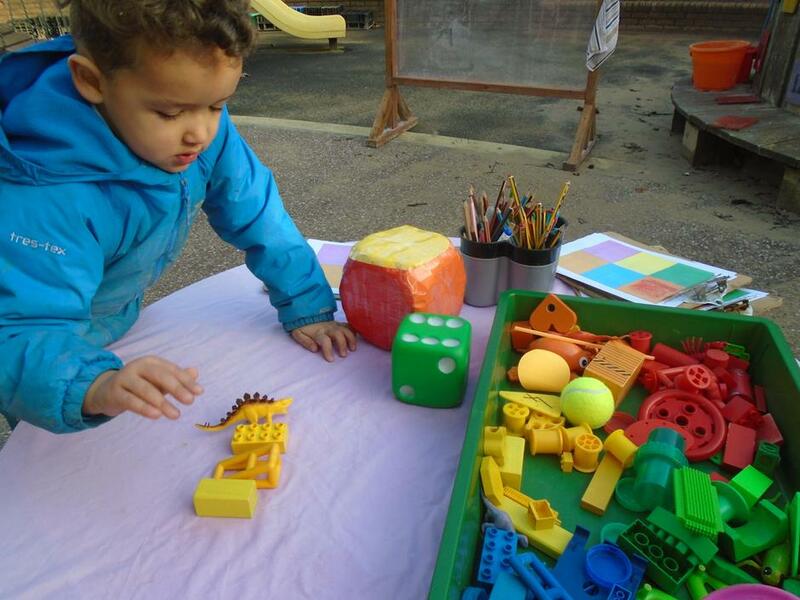 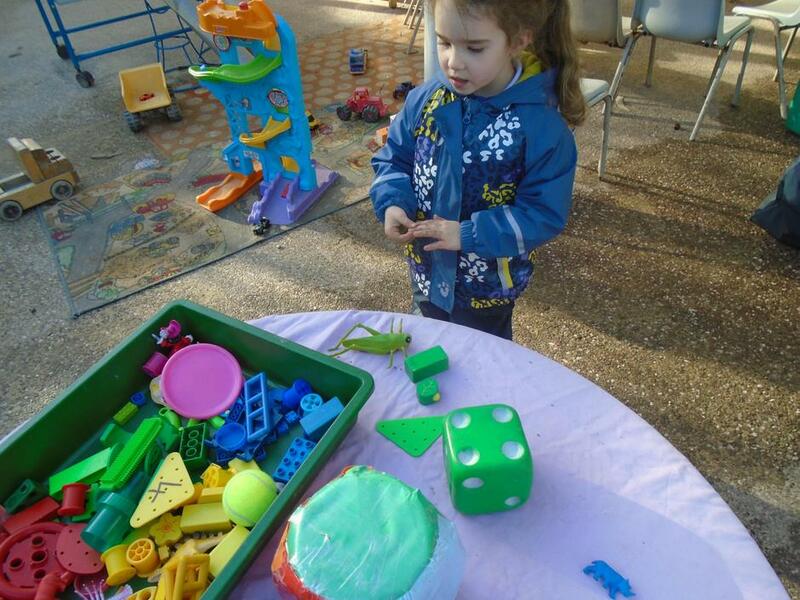 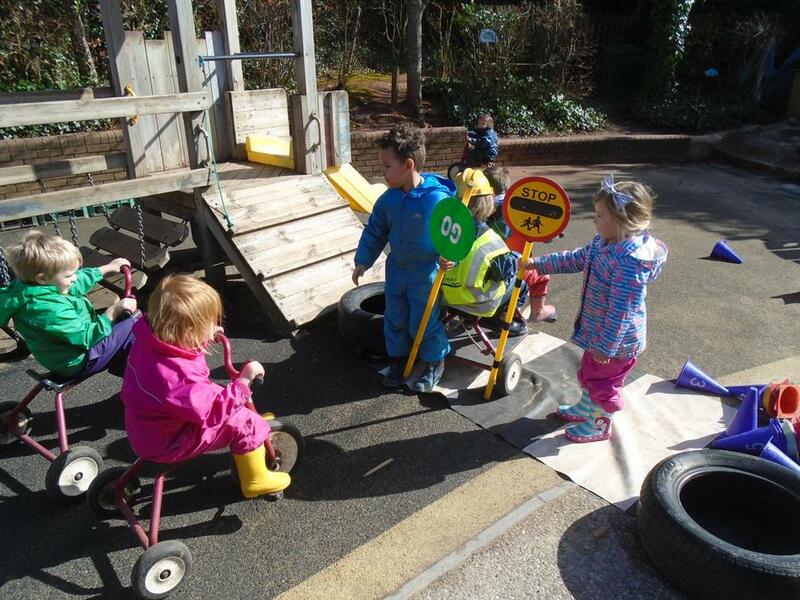 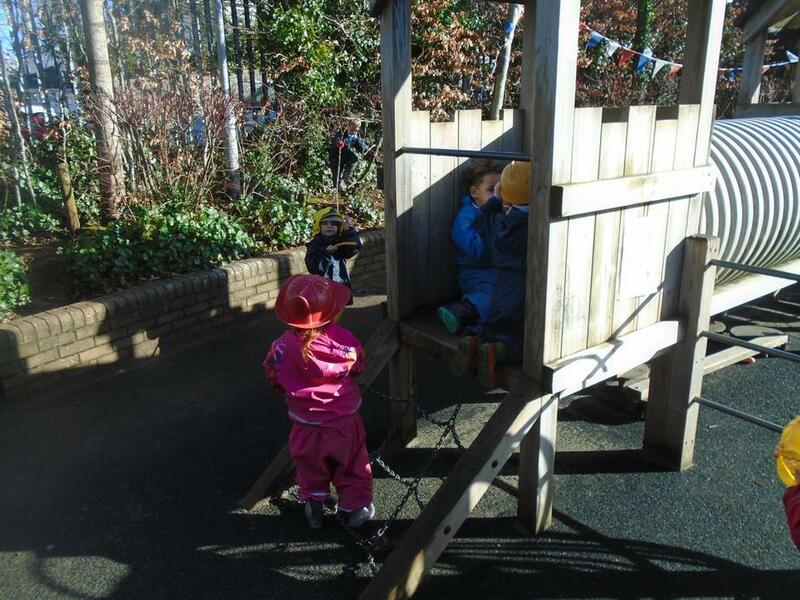 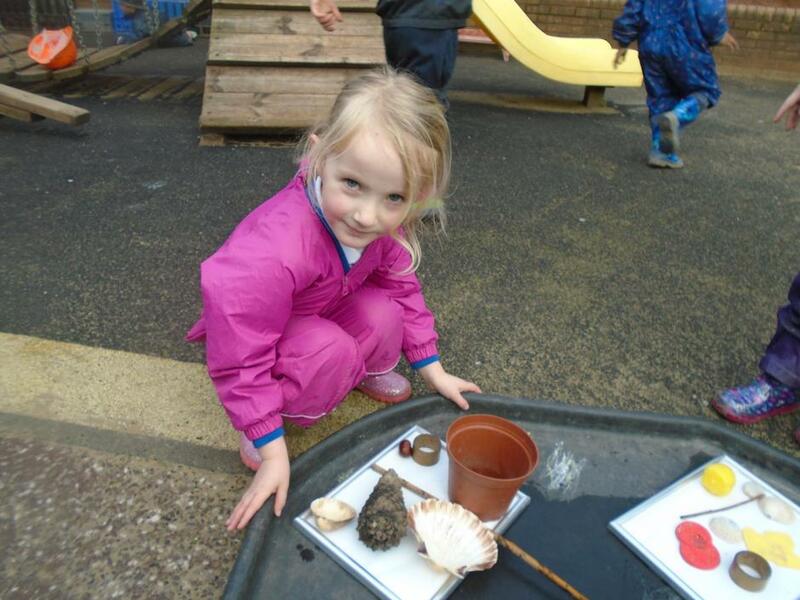 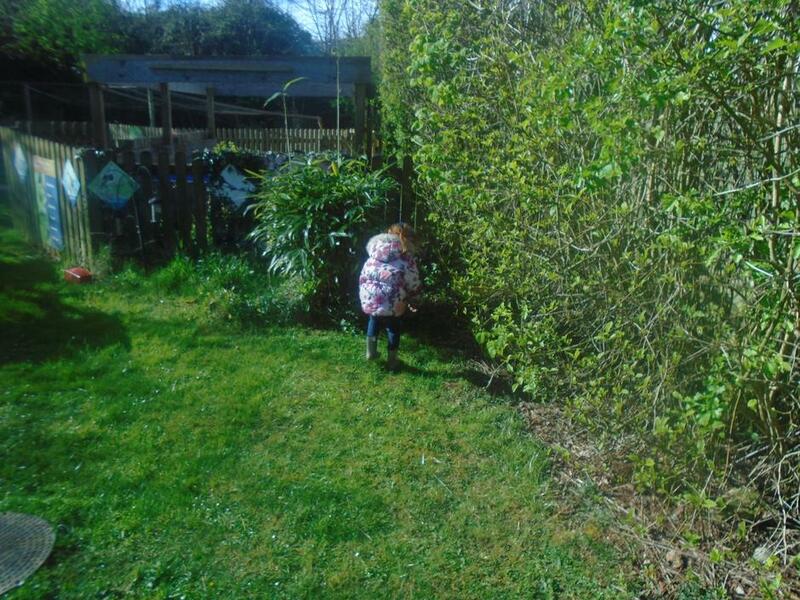 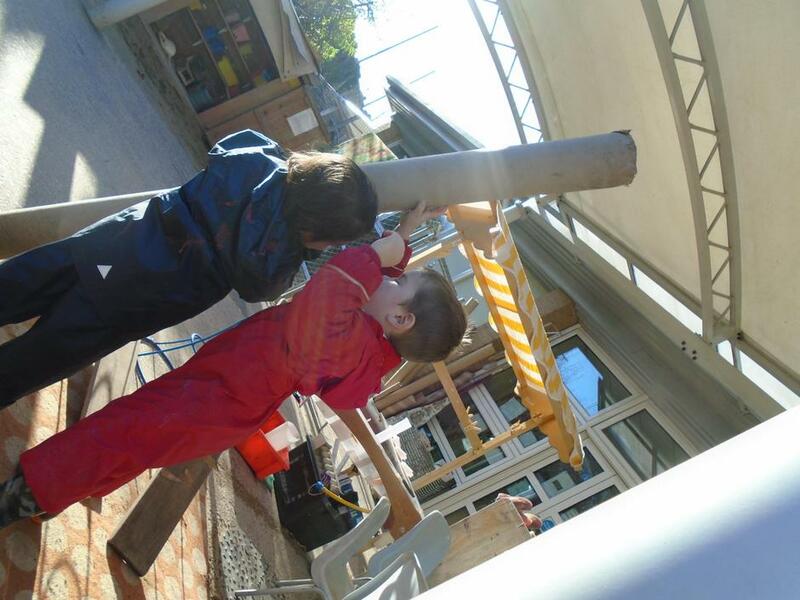 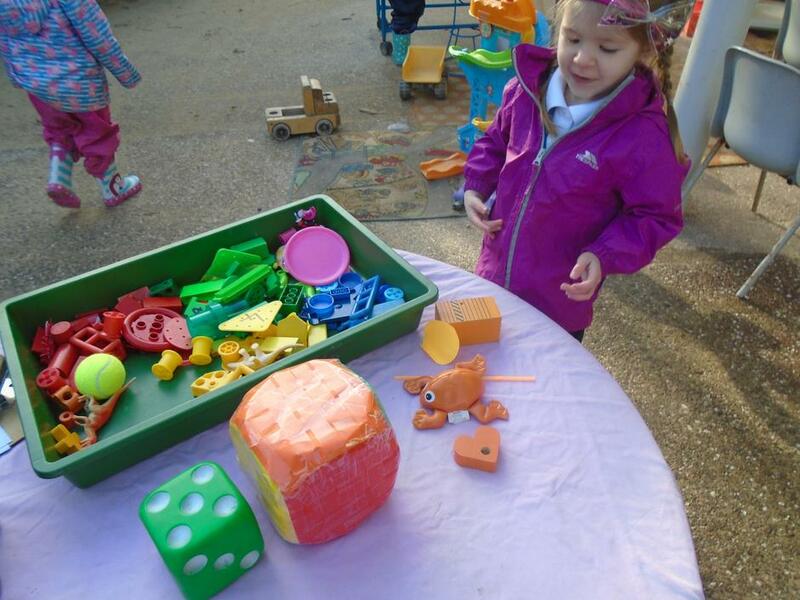 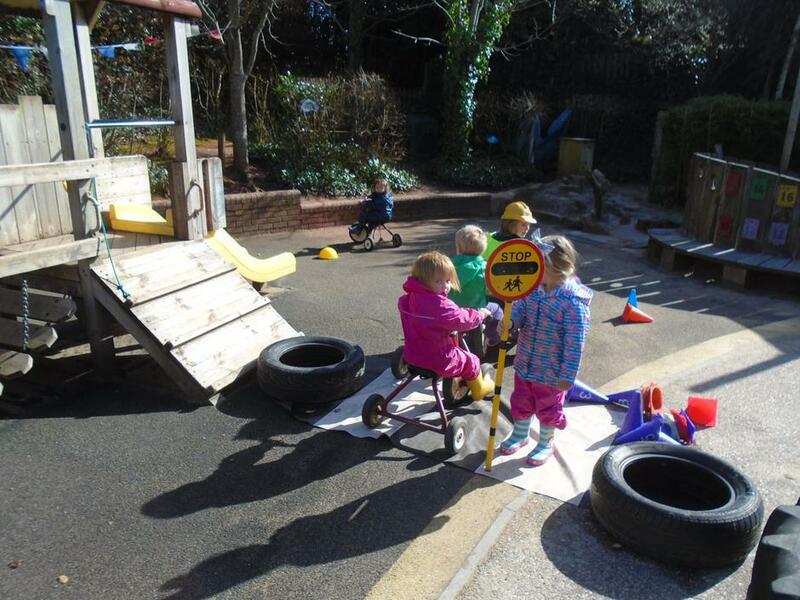 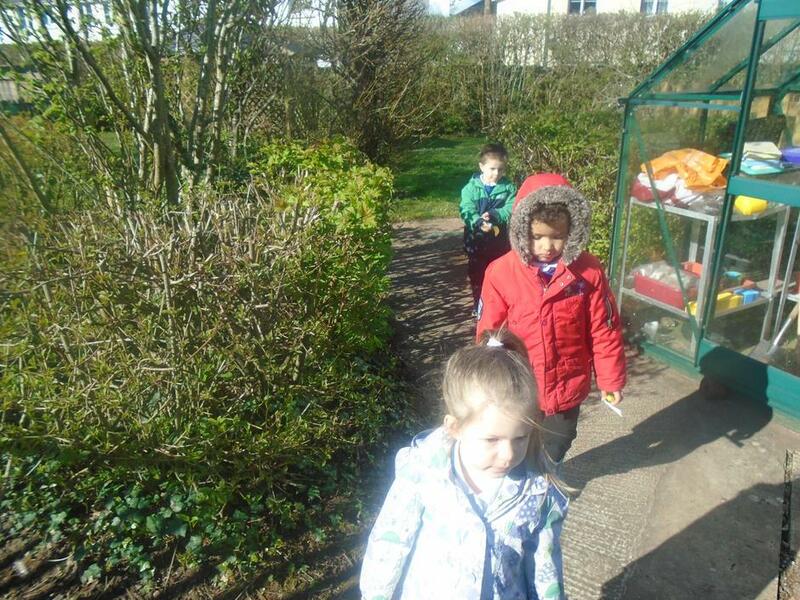 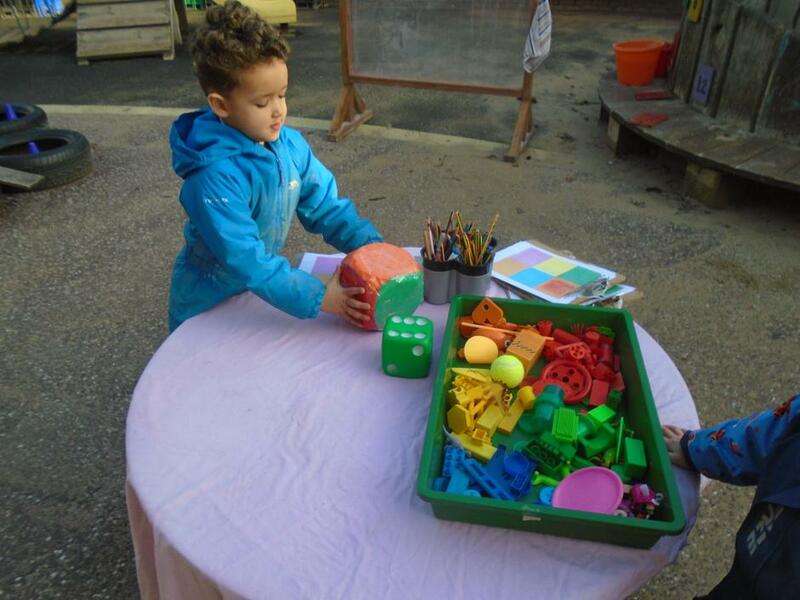 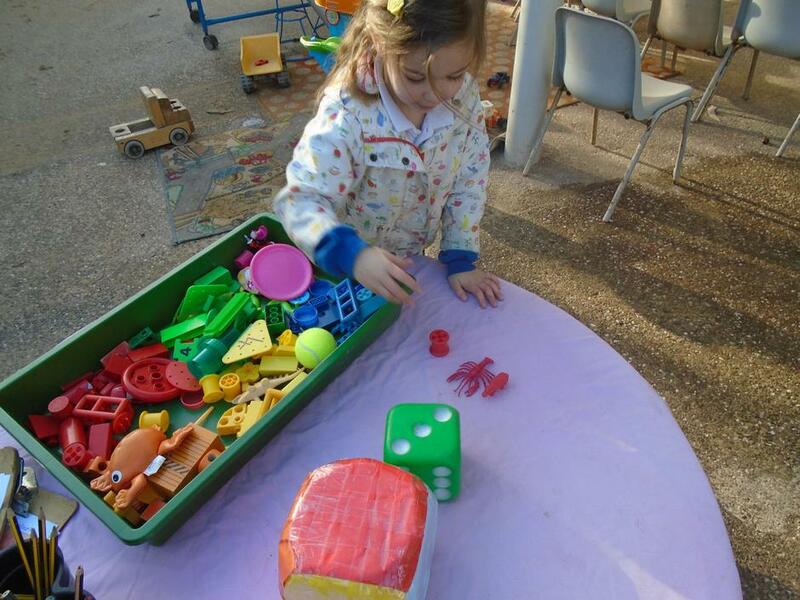 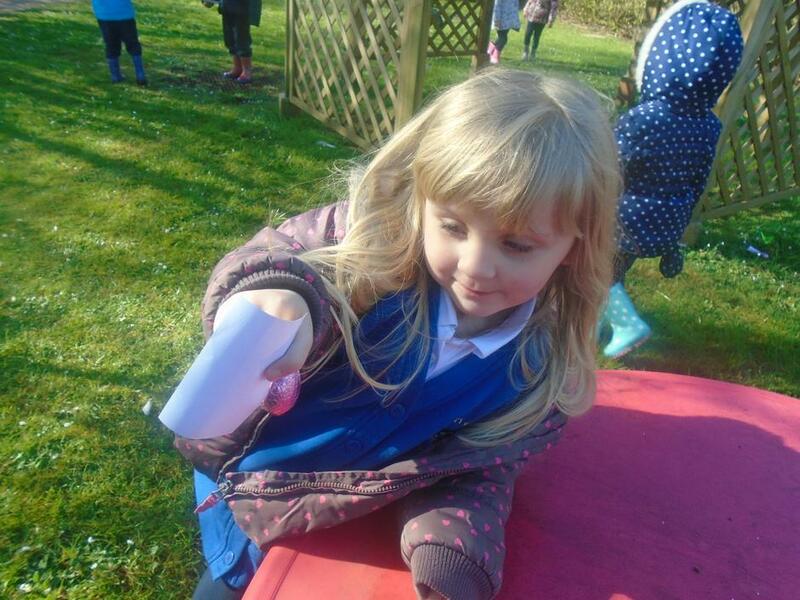 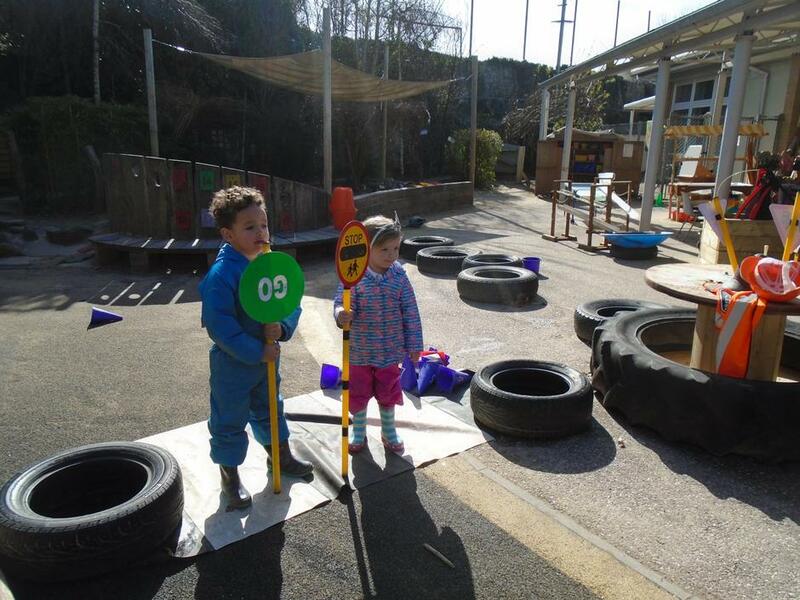 Learning and exploring outside February 2019. 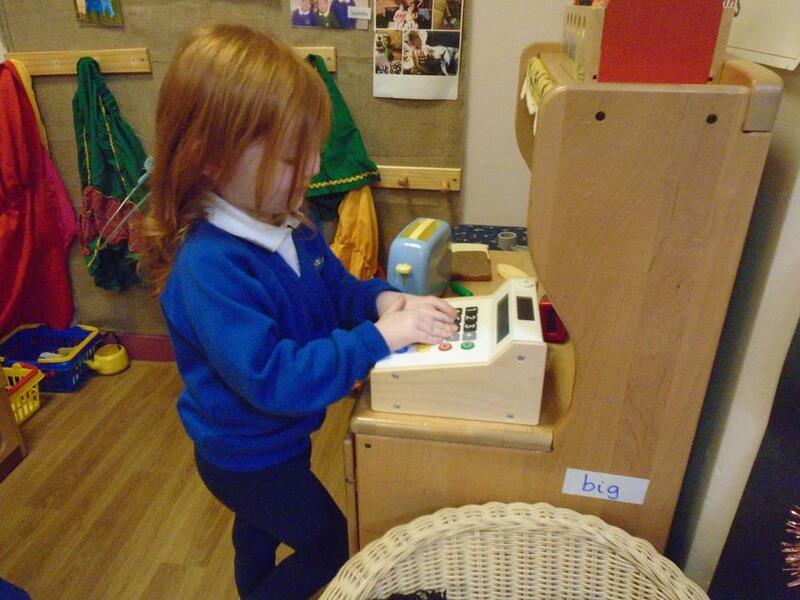 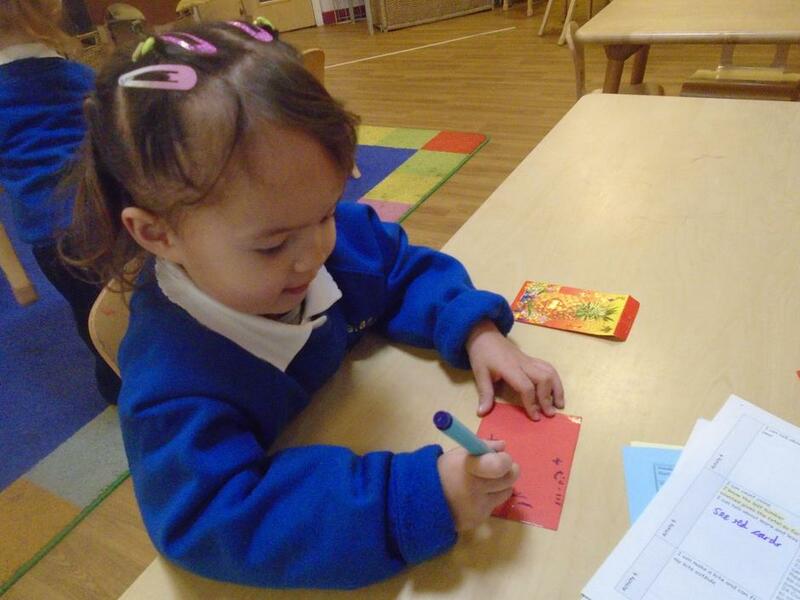 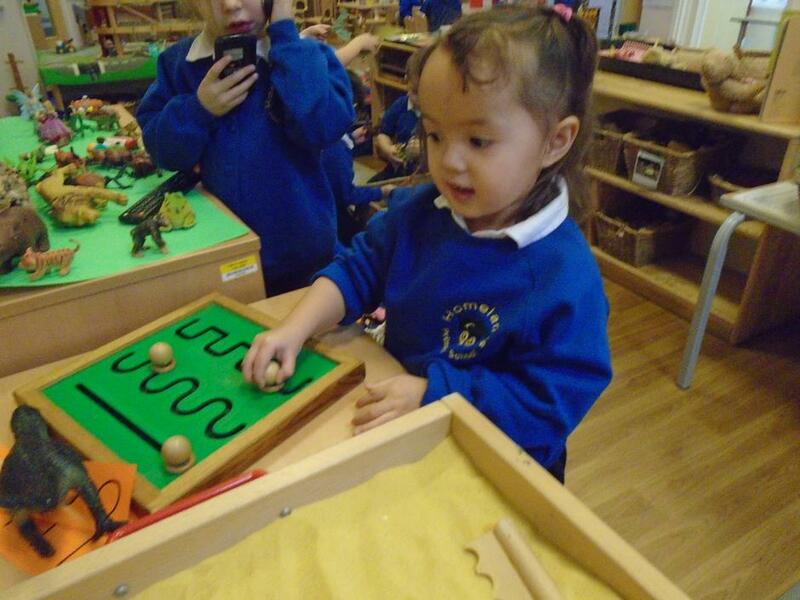 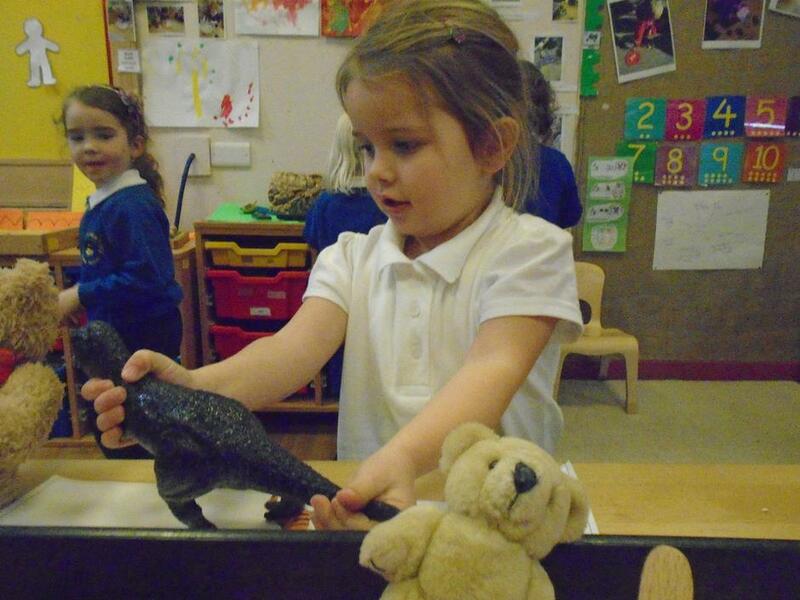 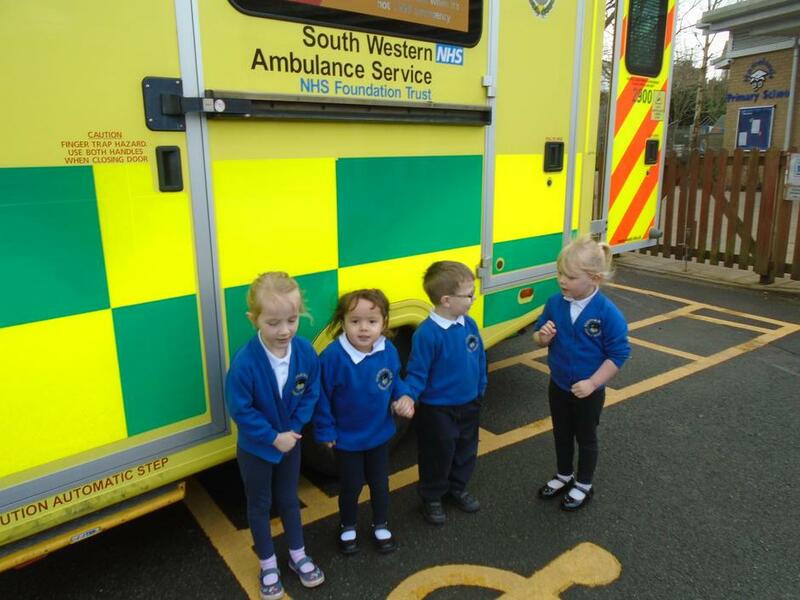 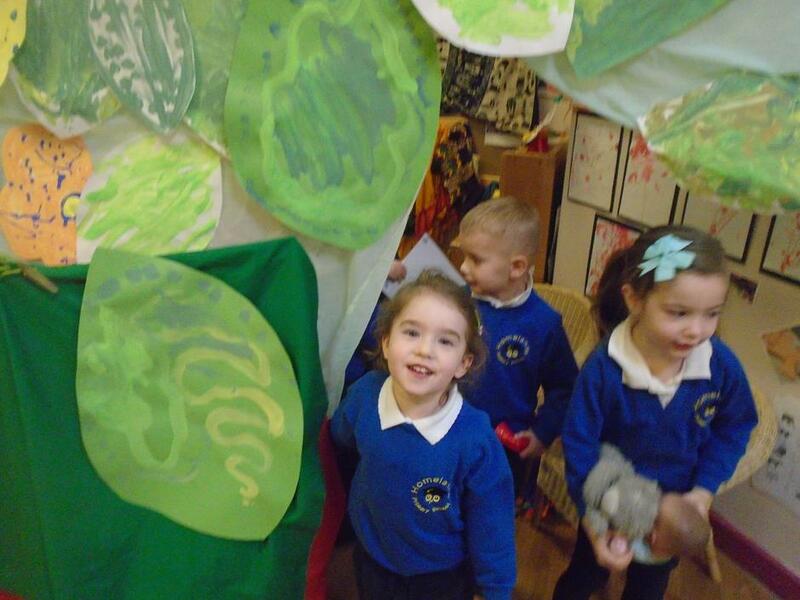 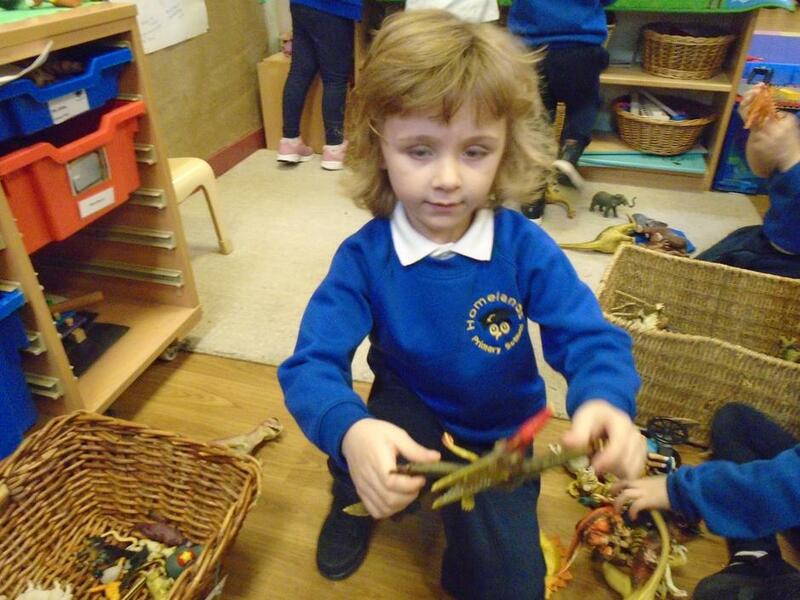 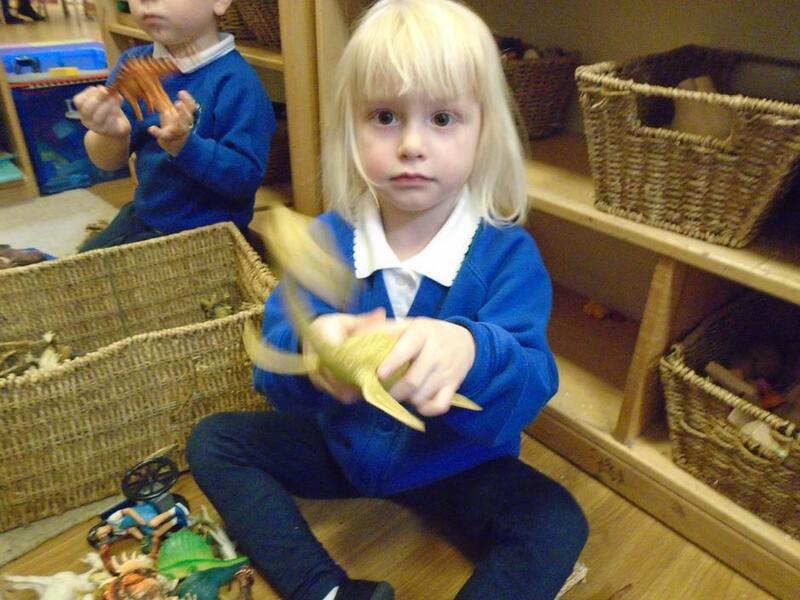 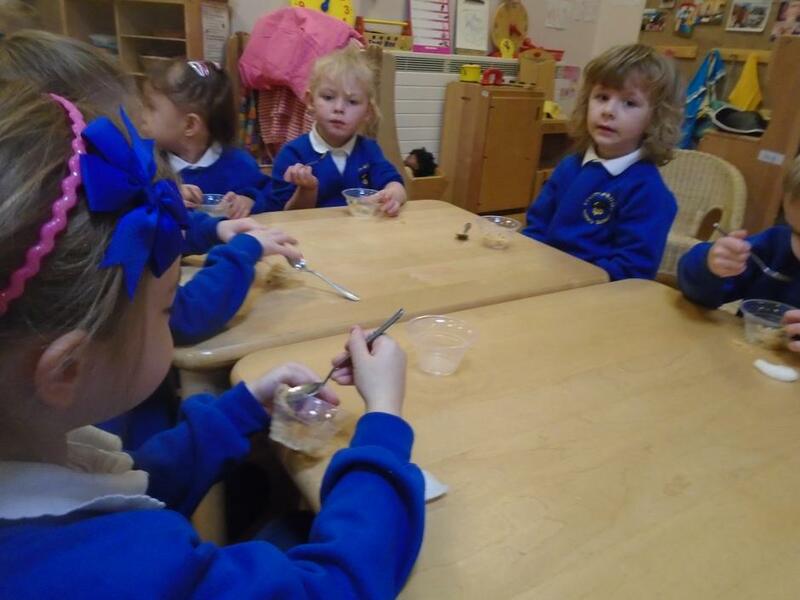 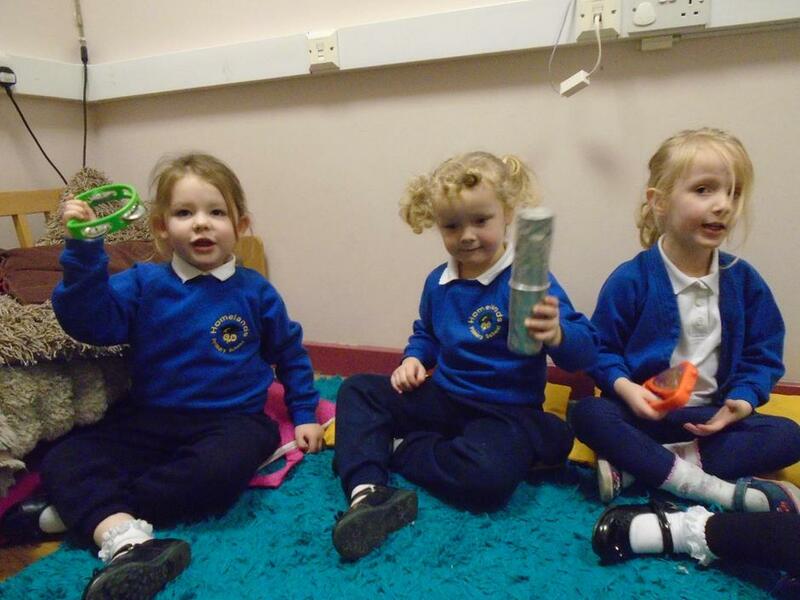 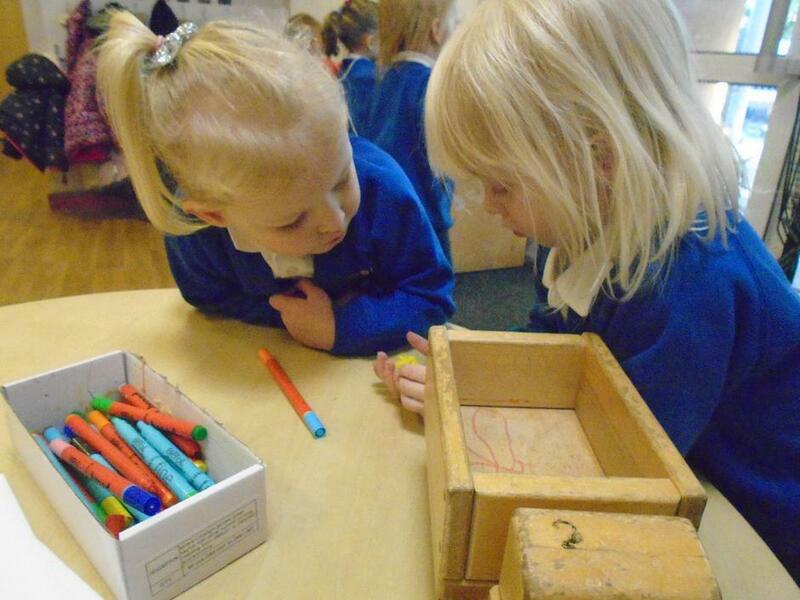 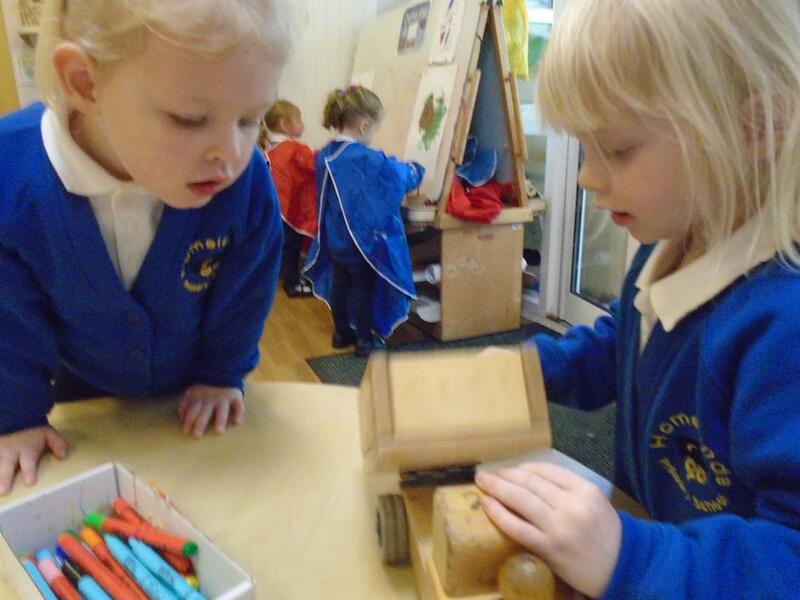 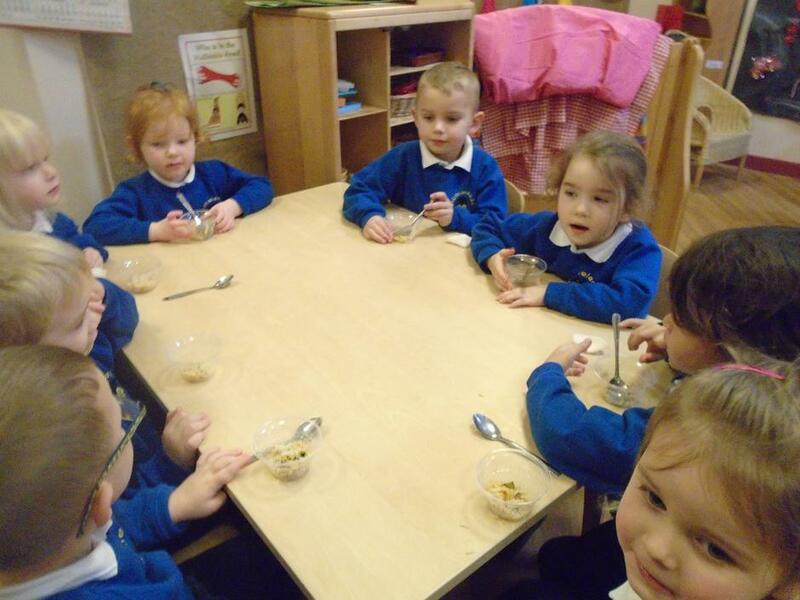 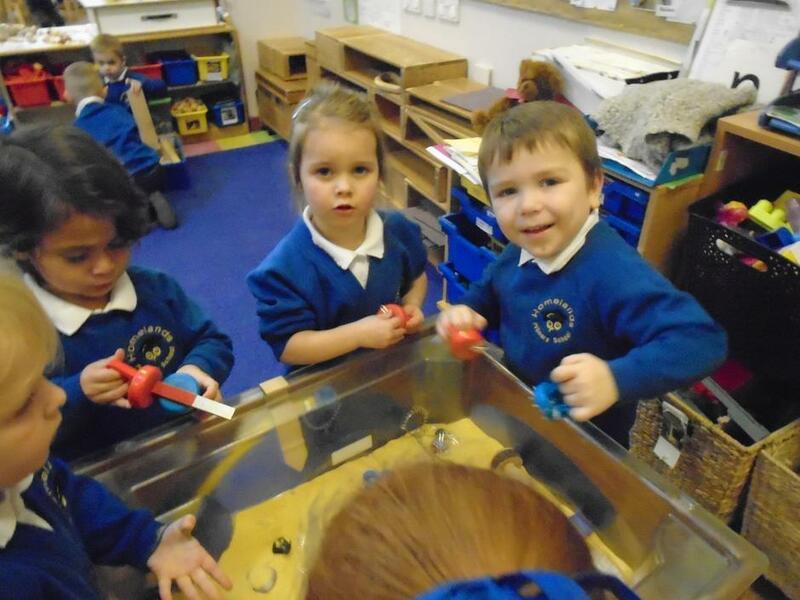 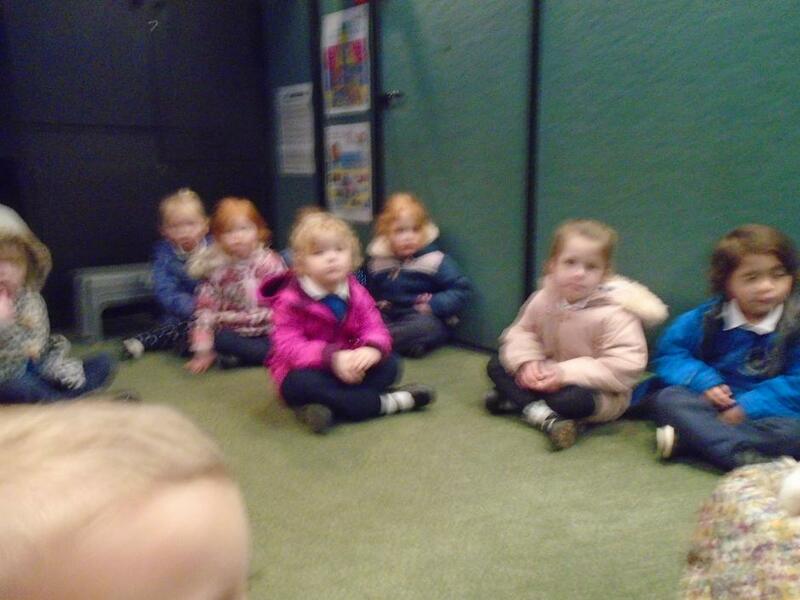 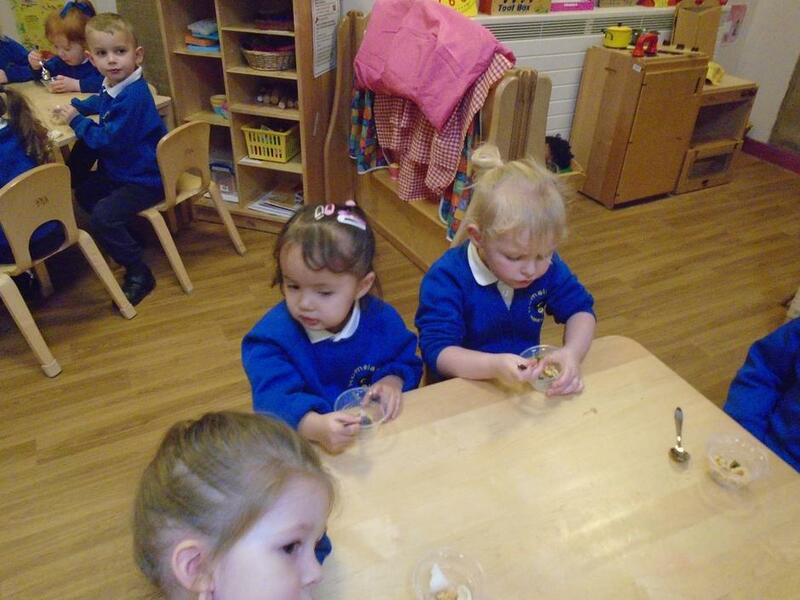 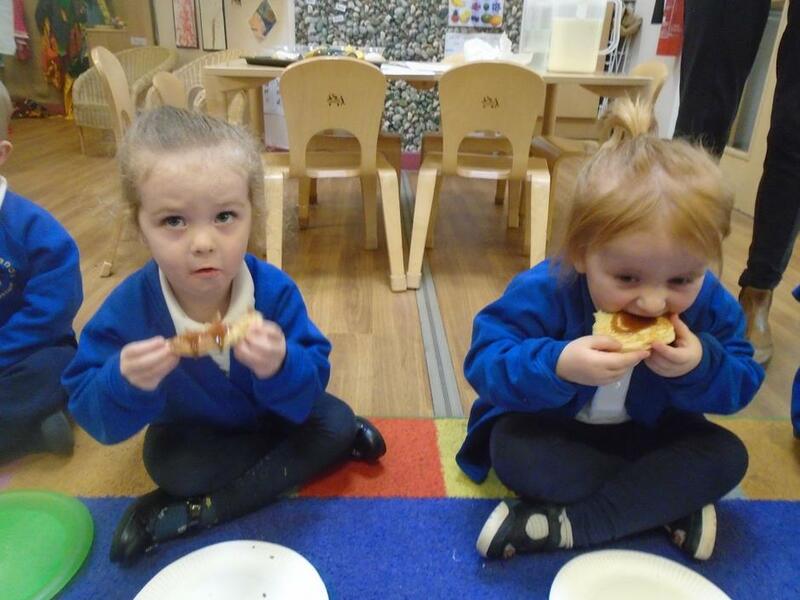 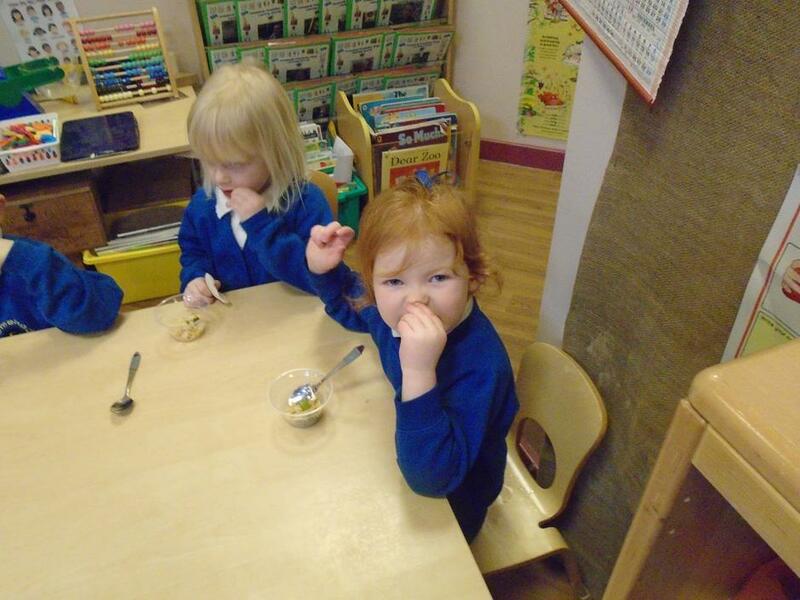 In January we welcomed 11 new friends into Nursery class. 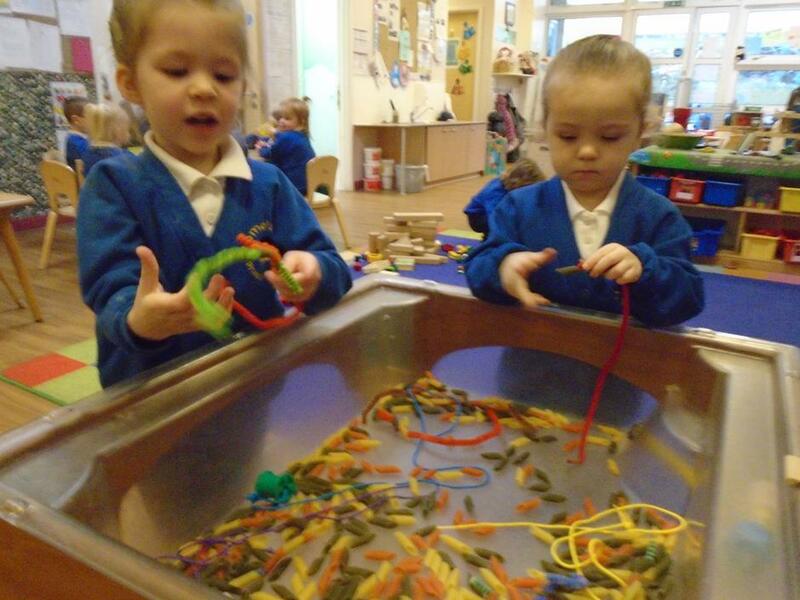 Look at all the fun we have been having together. 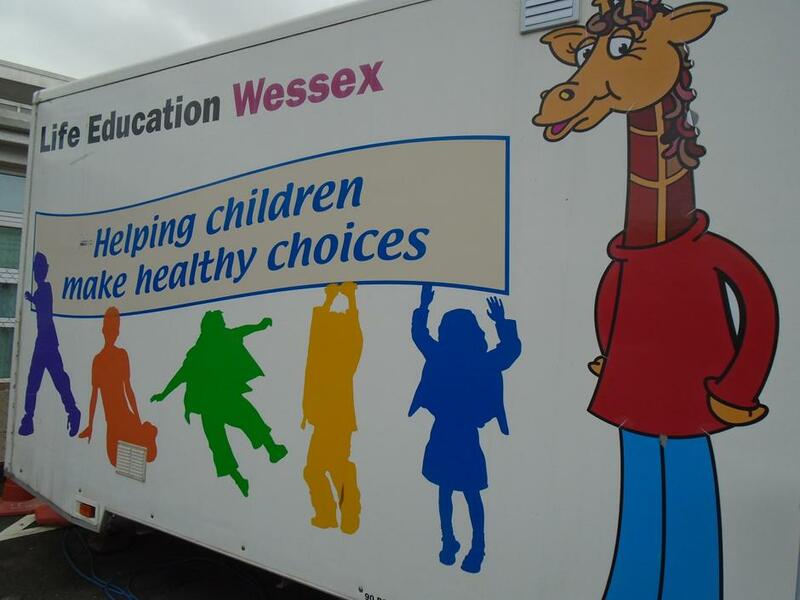 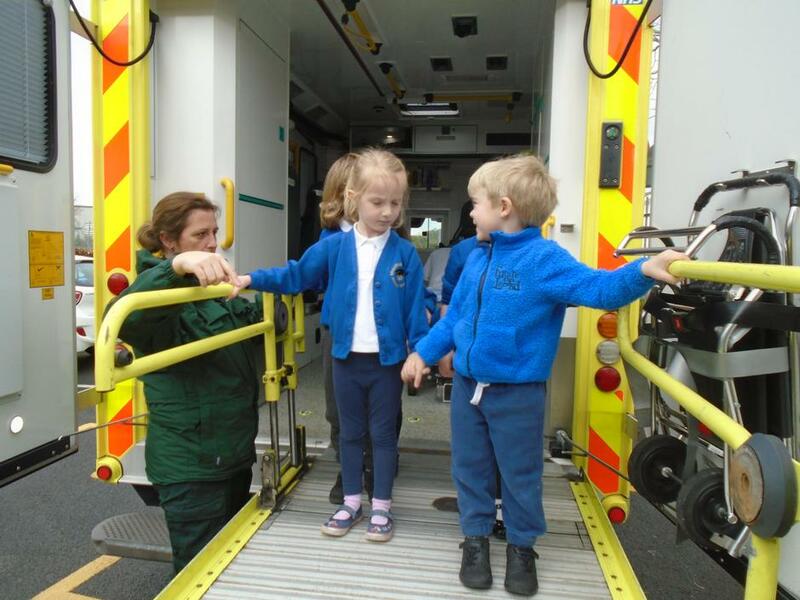 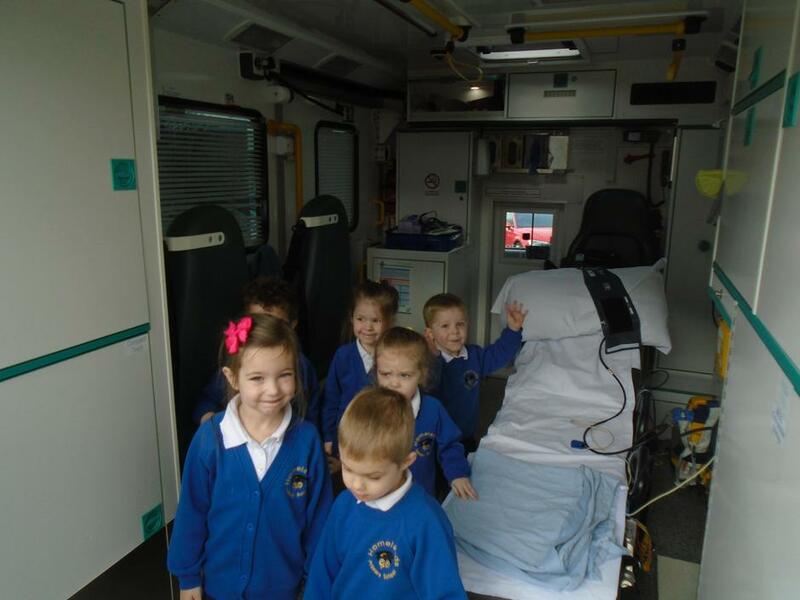 The Life Bus came to talk to us about Healthy Lifestyles. 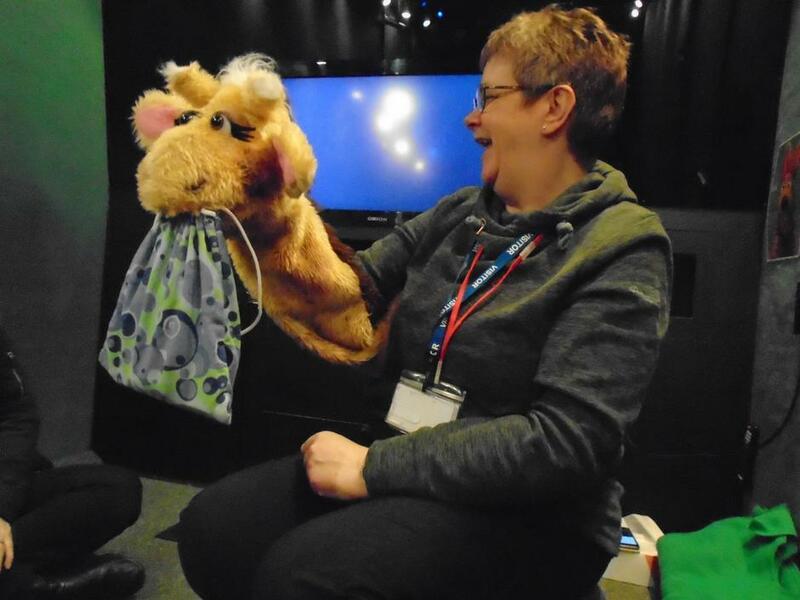 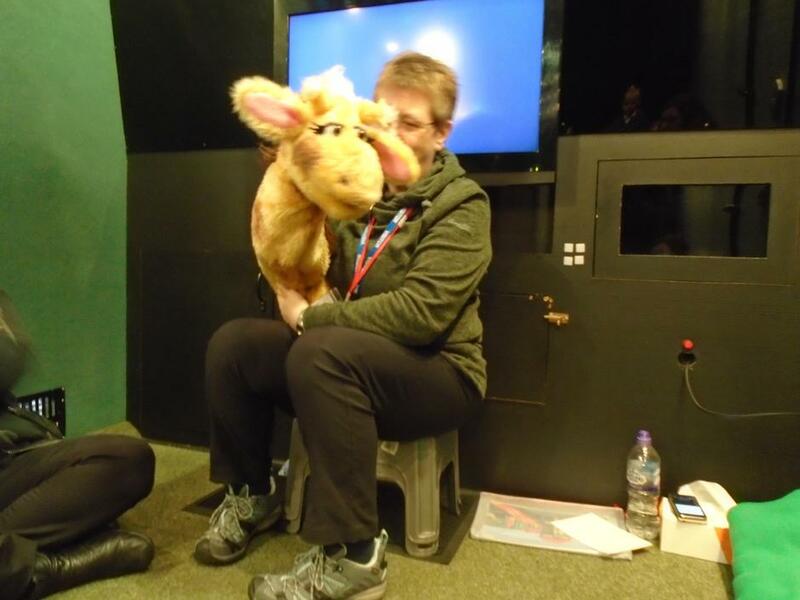 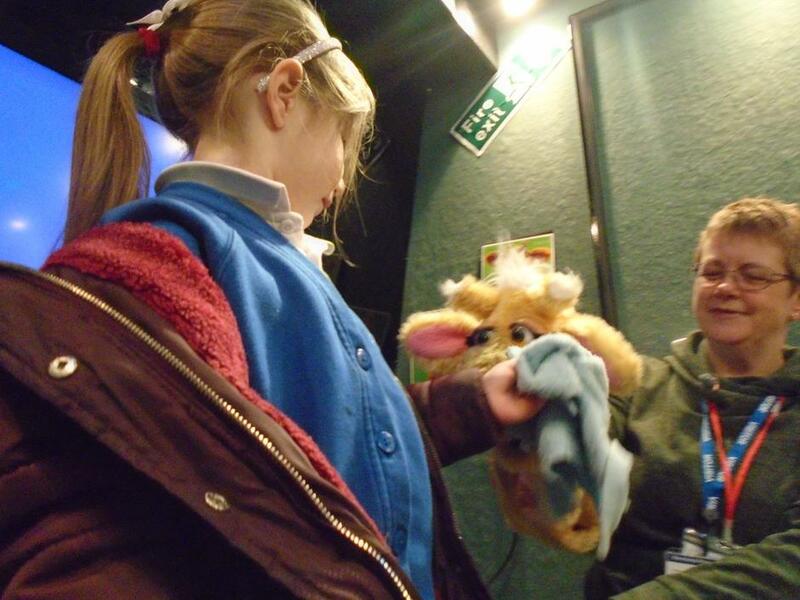 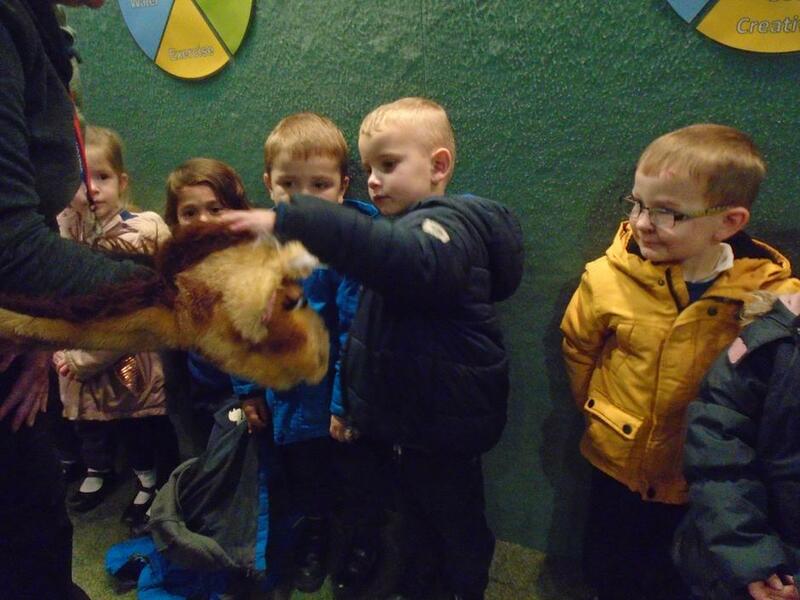 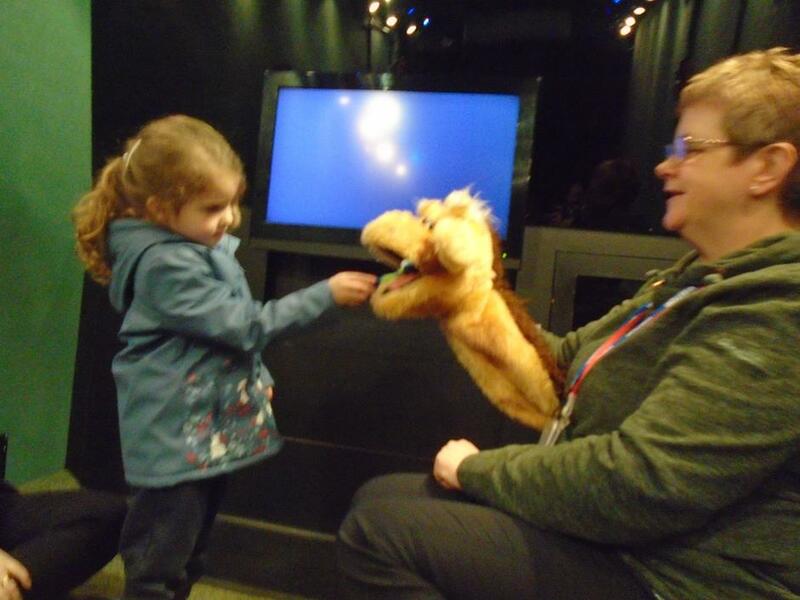 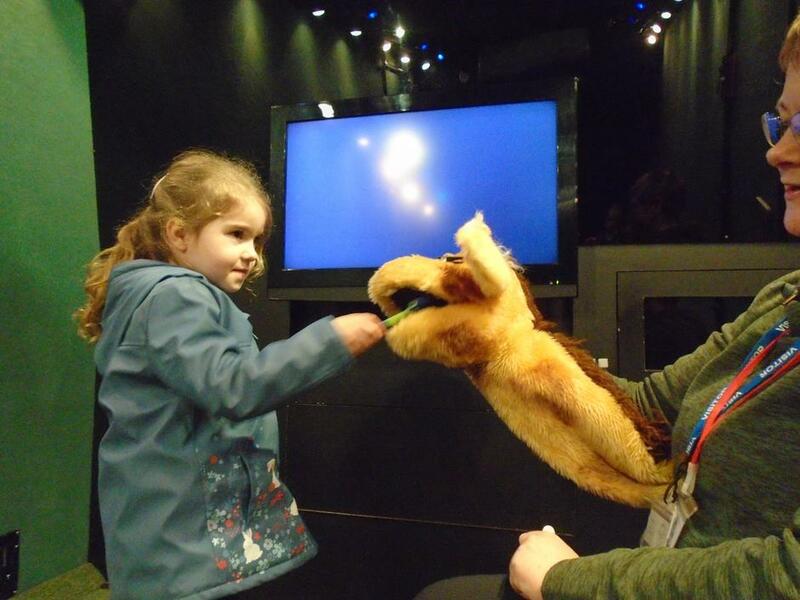 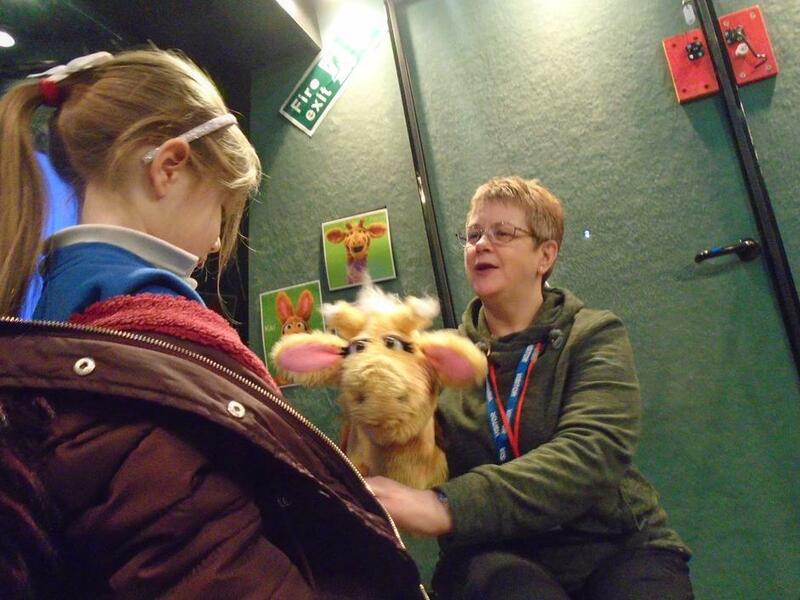 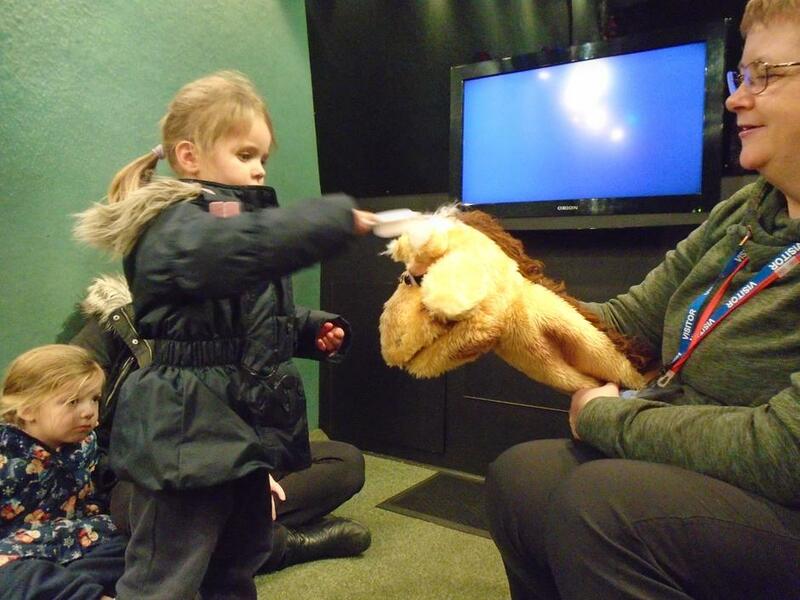 The children met a puppet called Harold the Giraffe. 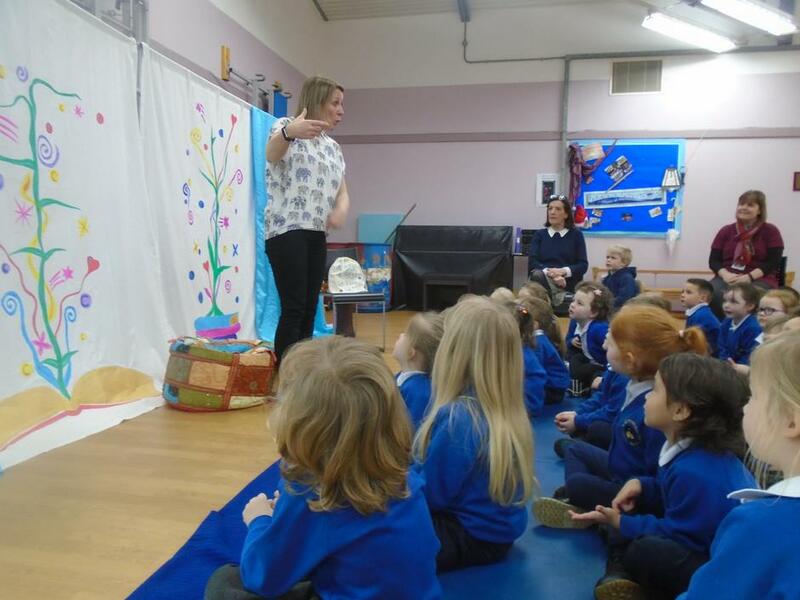 The children helped Harold learn to brush his teeth and hair and wash his face. 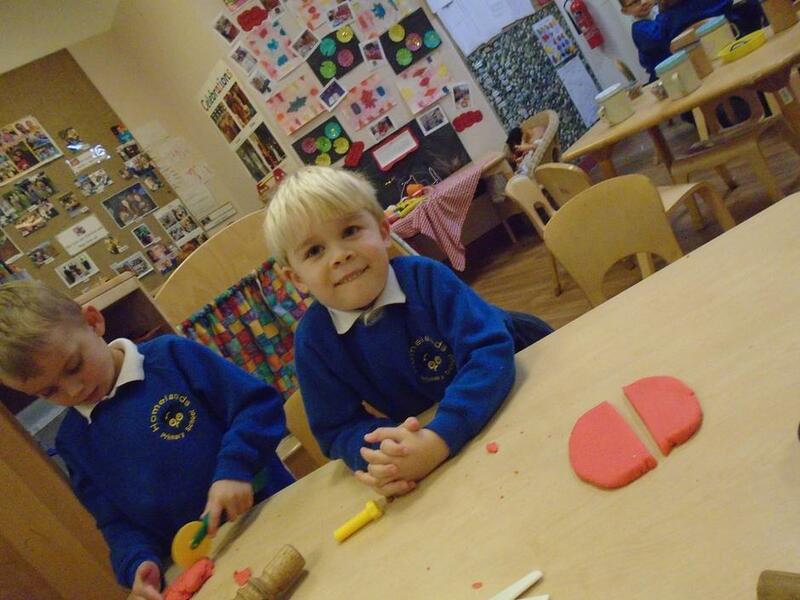 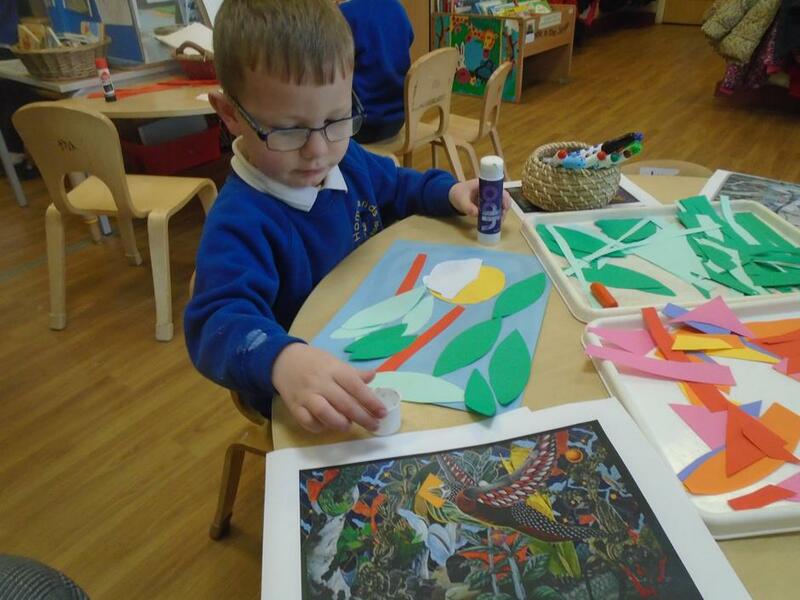 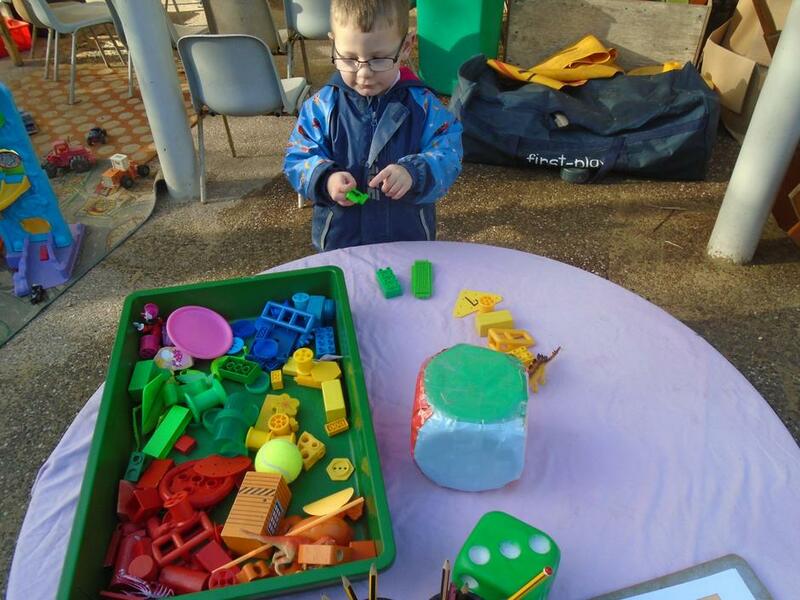 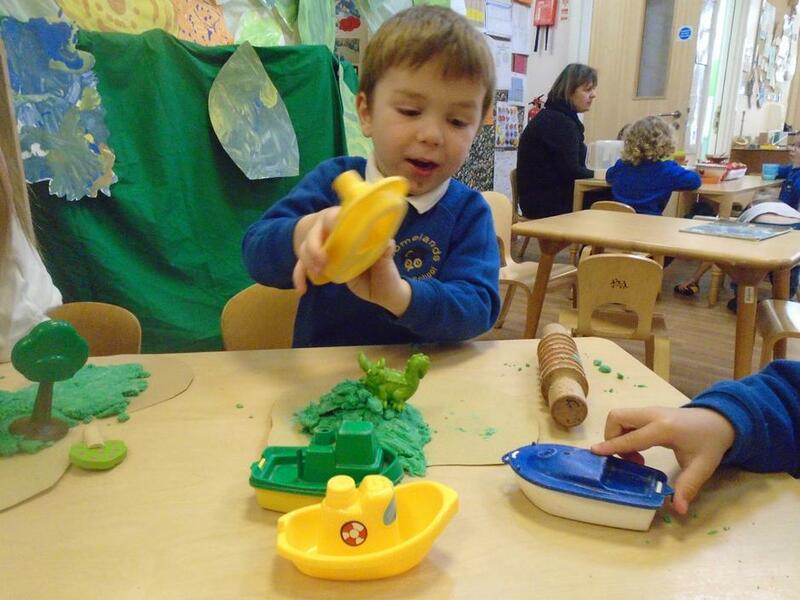 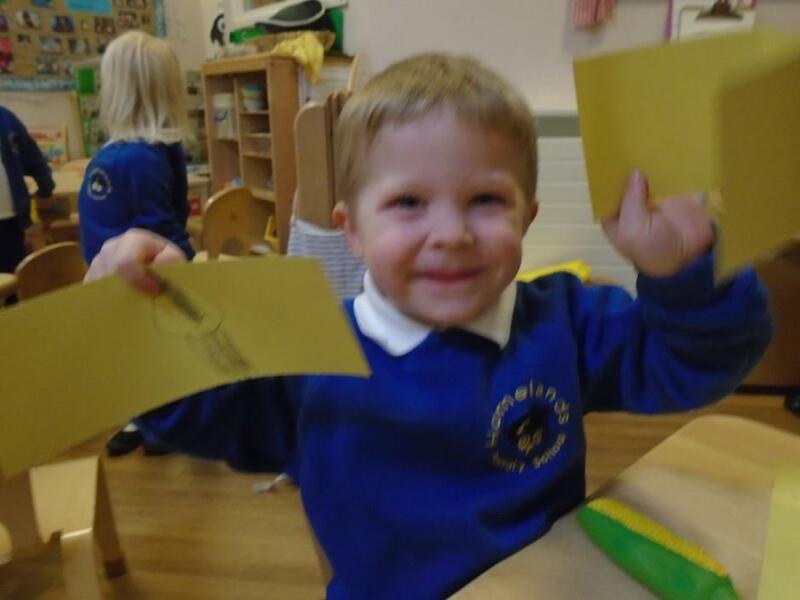 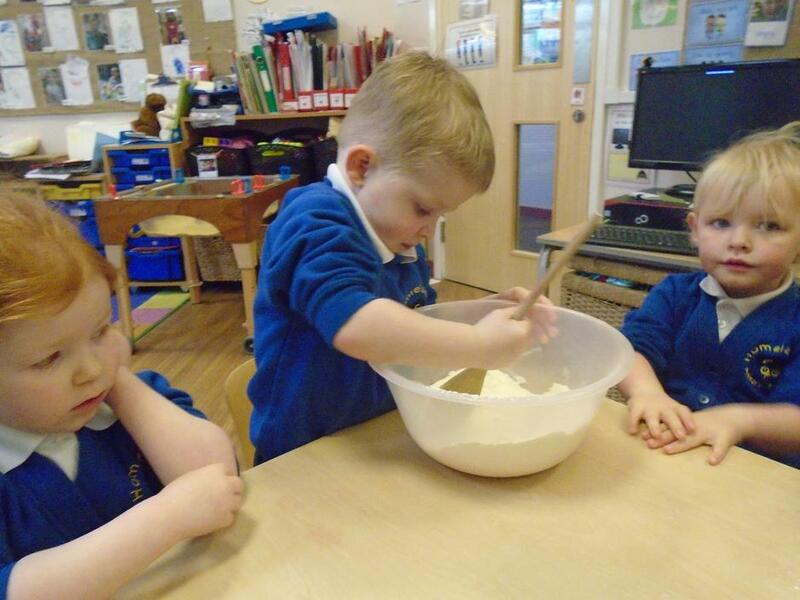 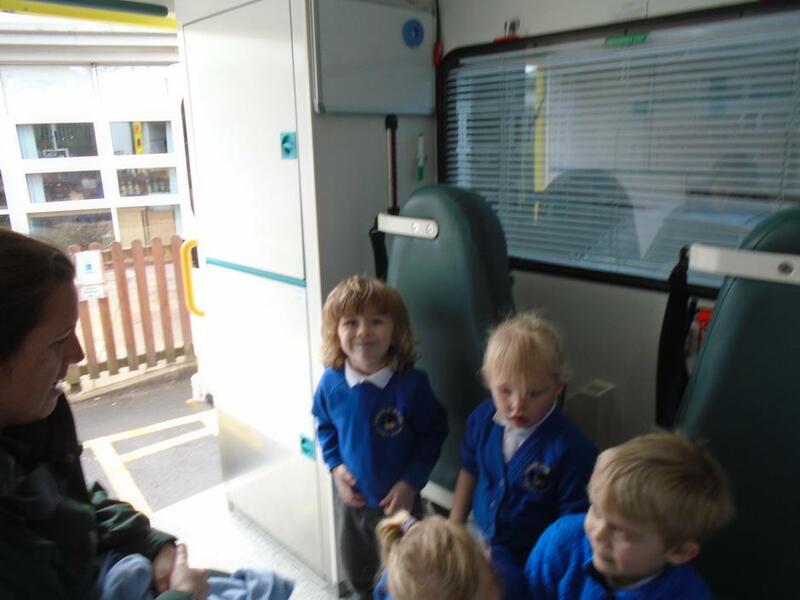 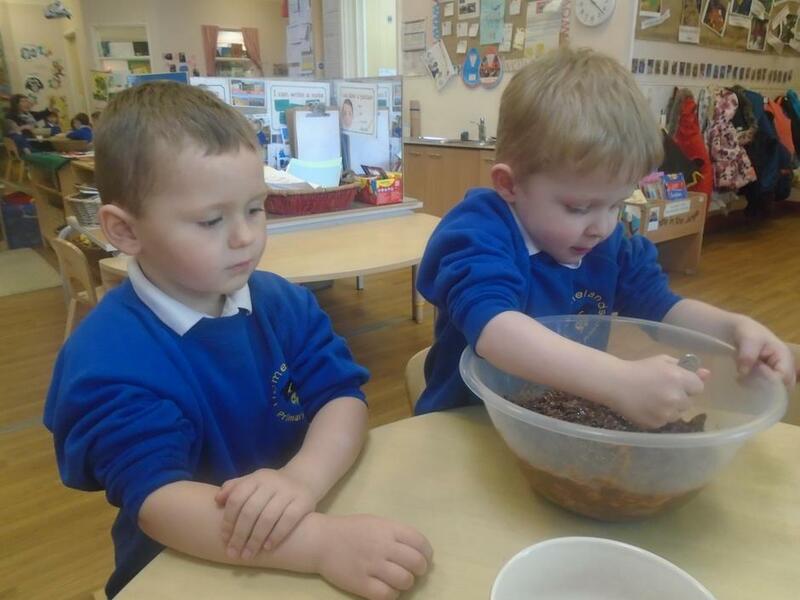 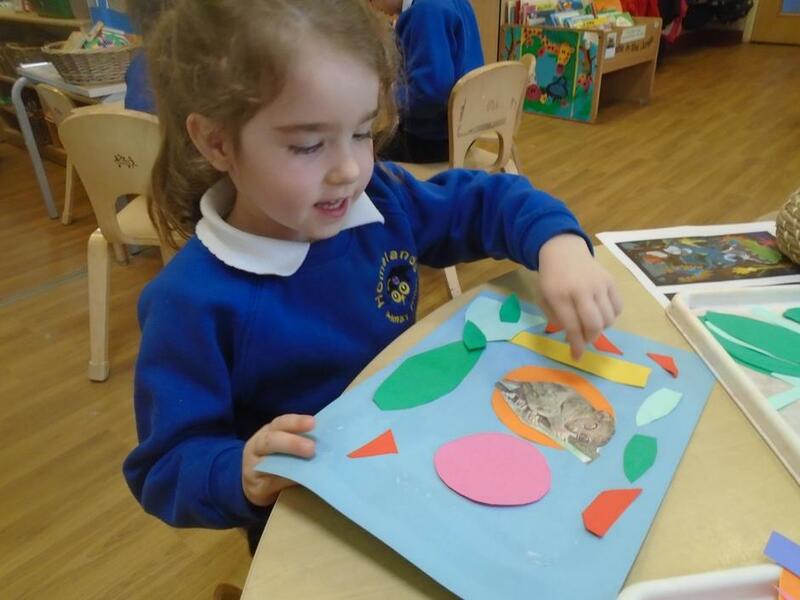 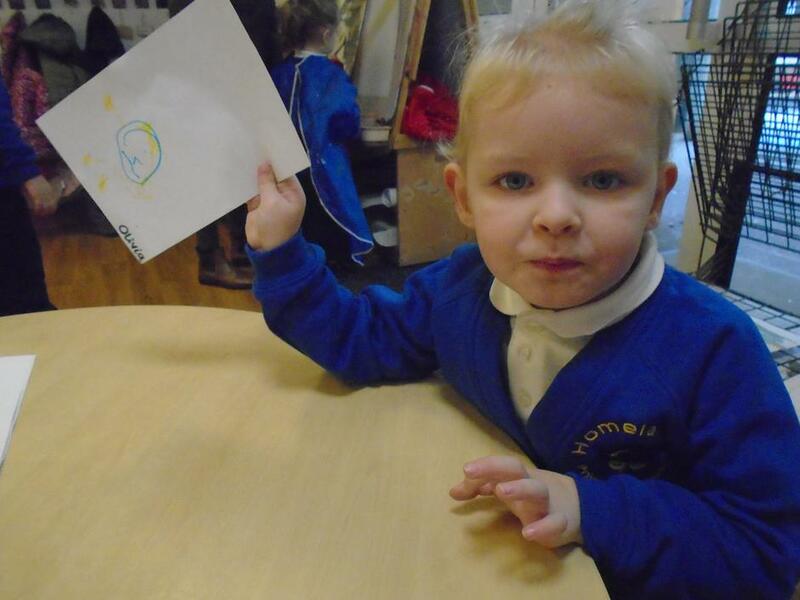 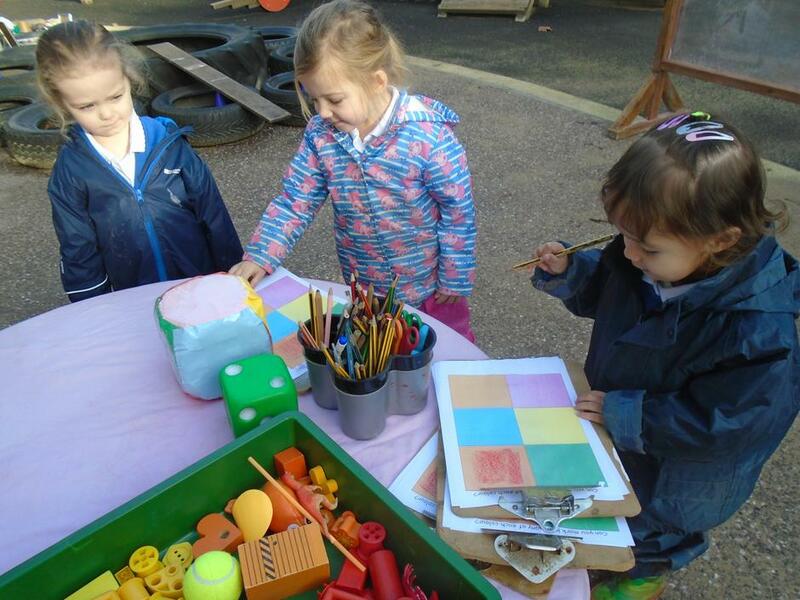 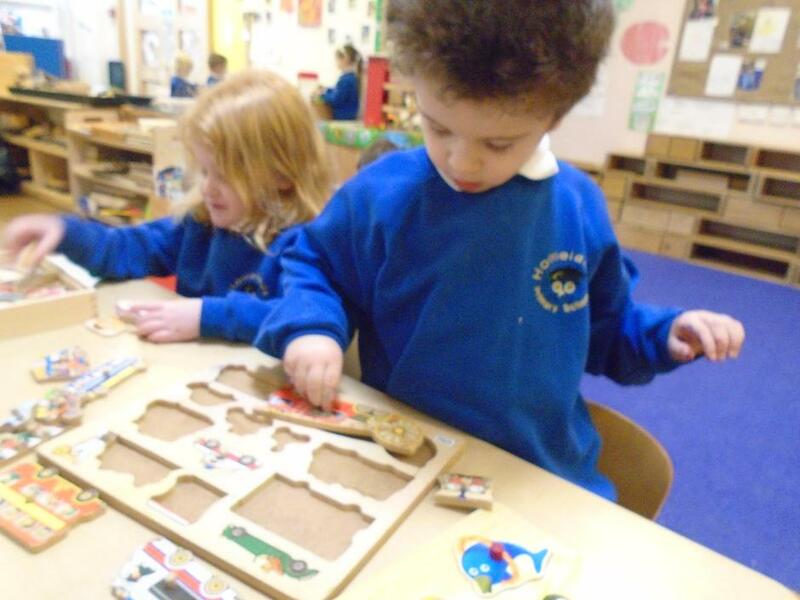 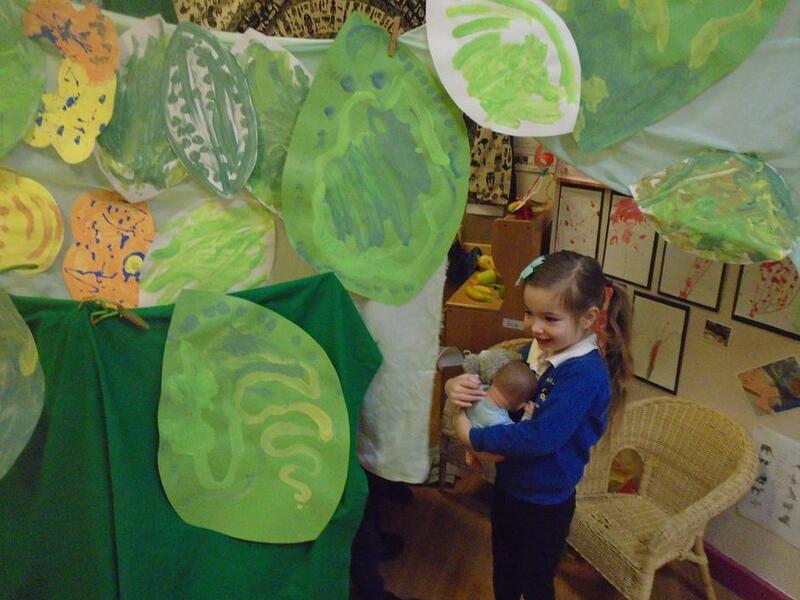 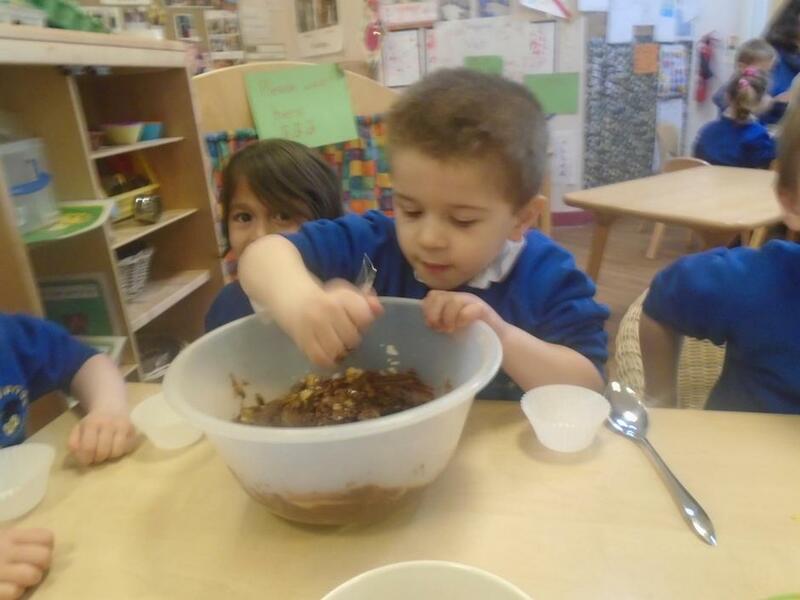 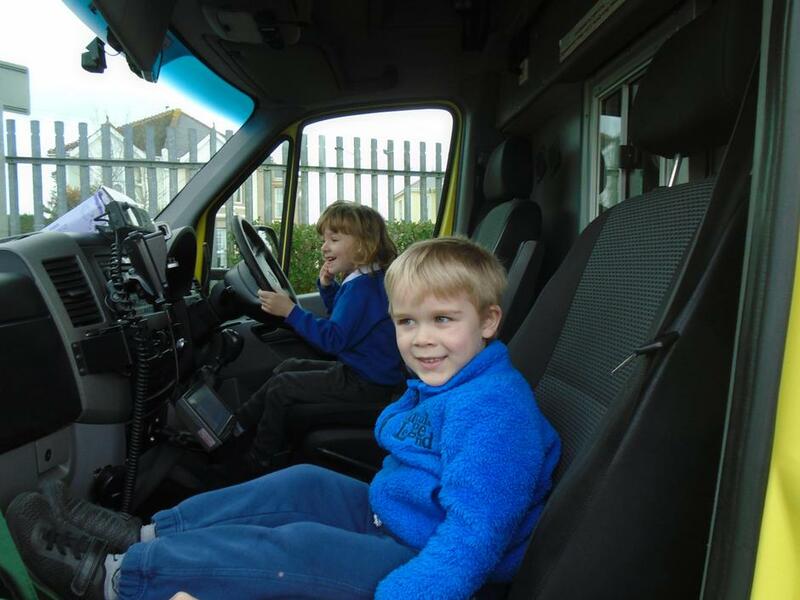 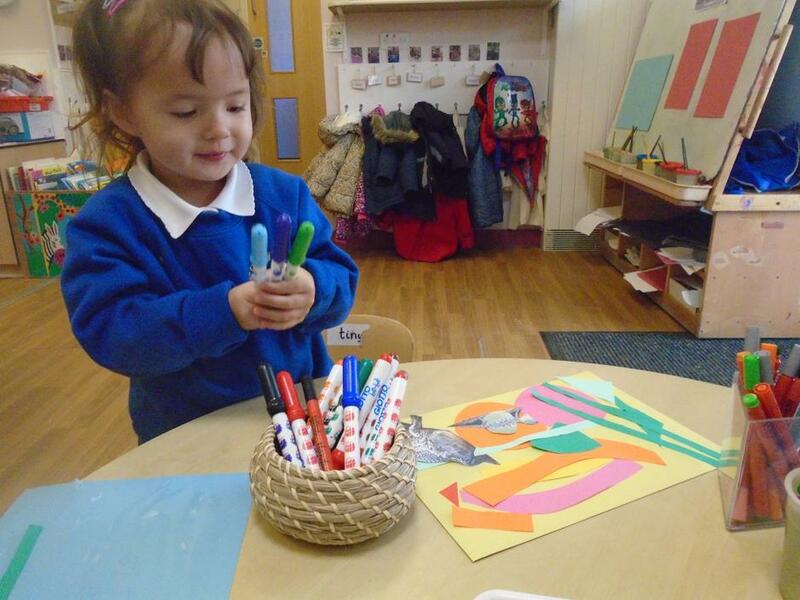 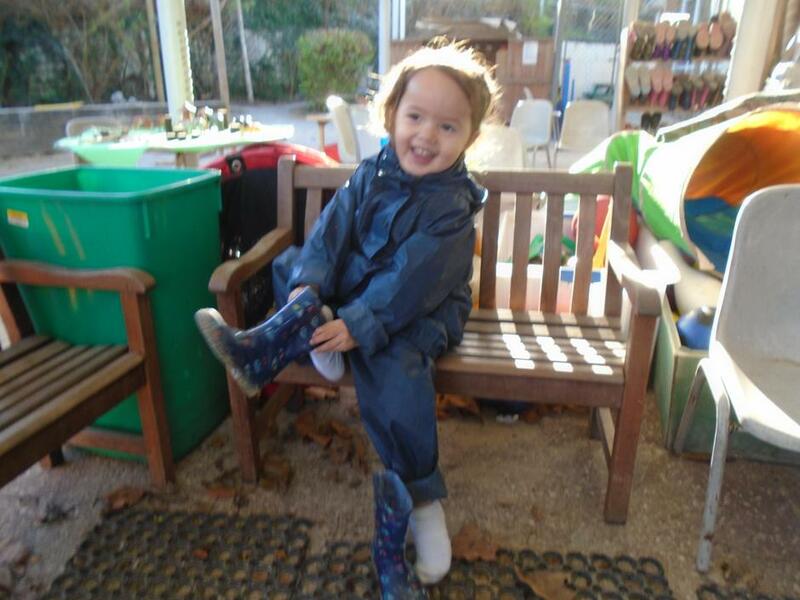 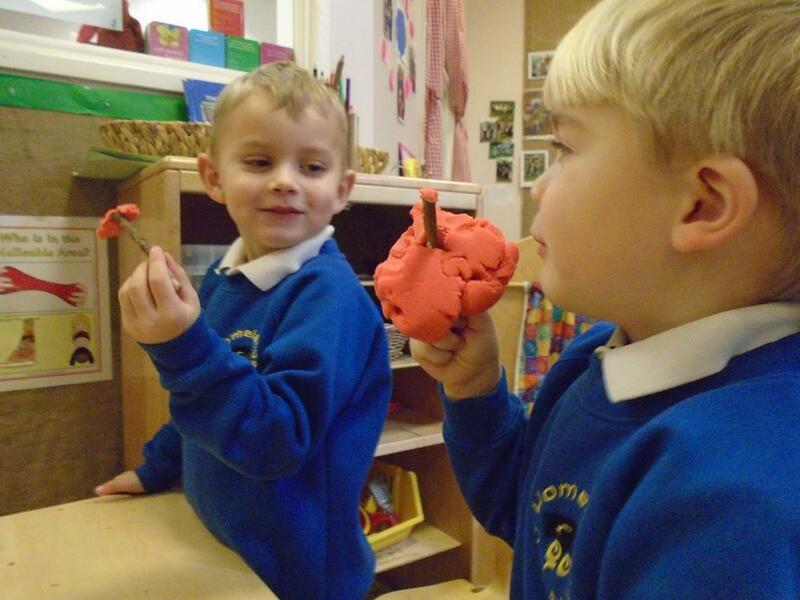 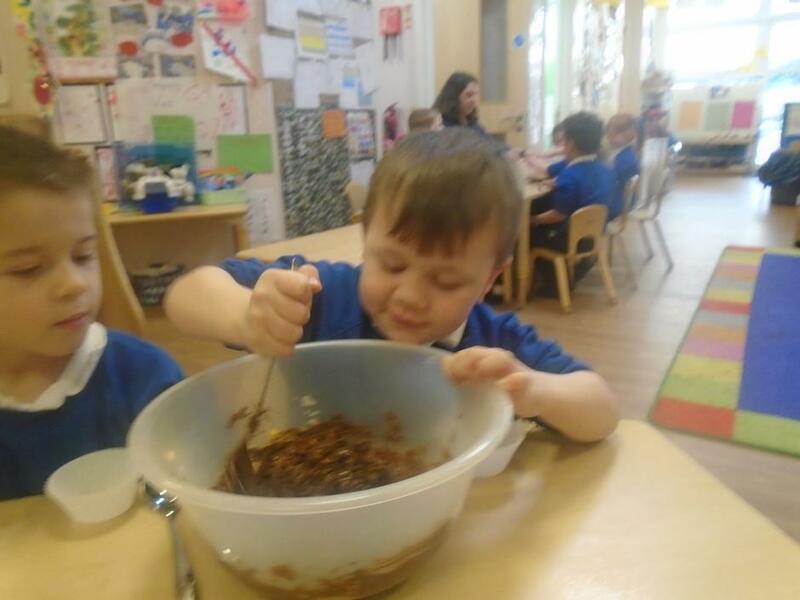 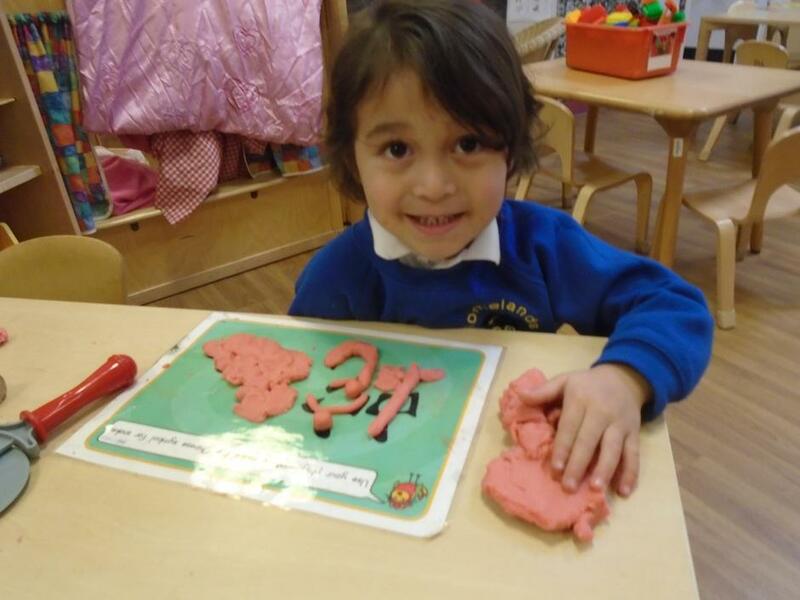 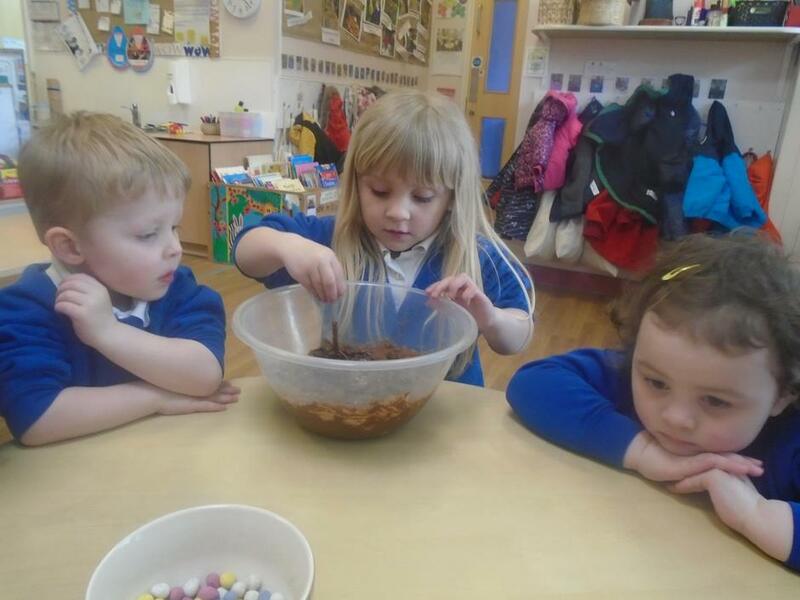 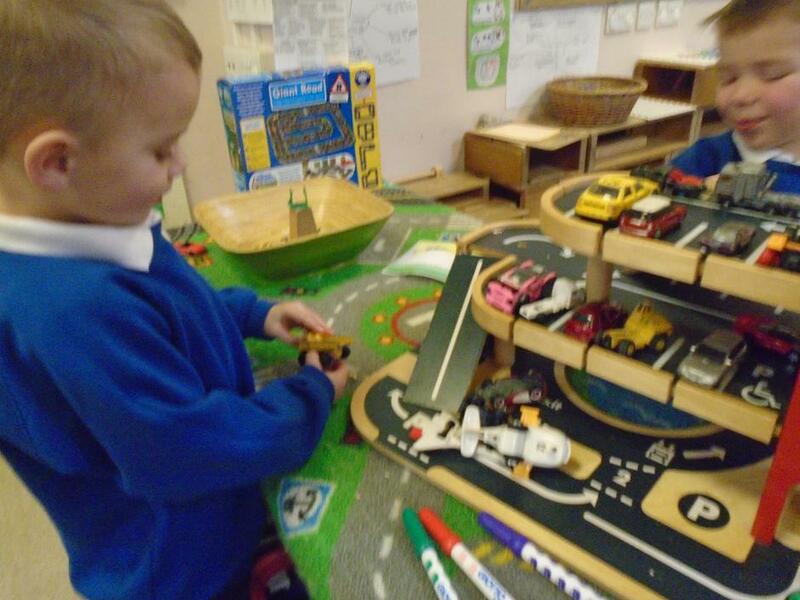 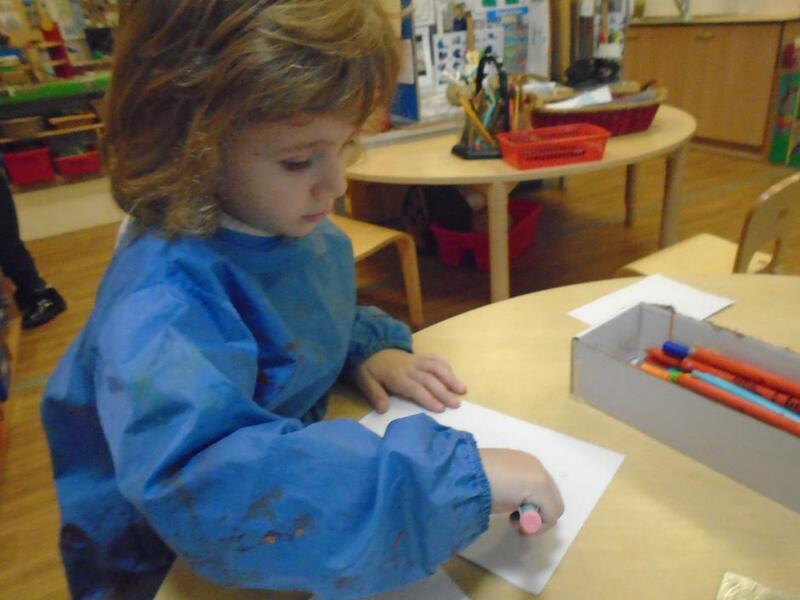 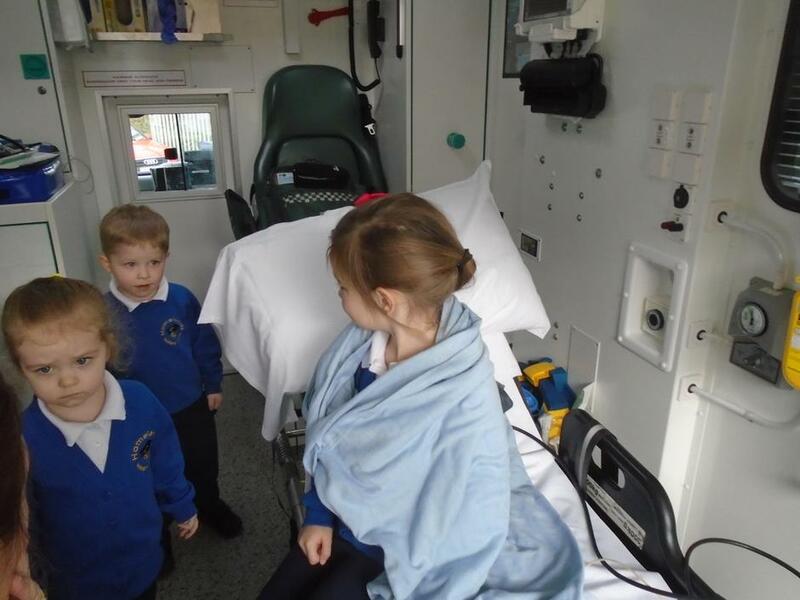 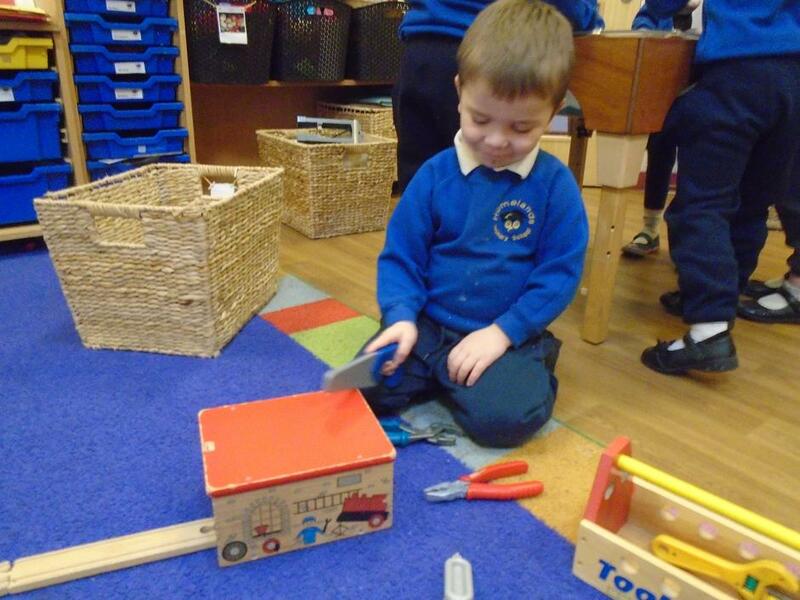 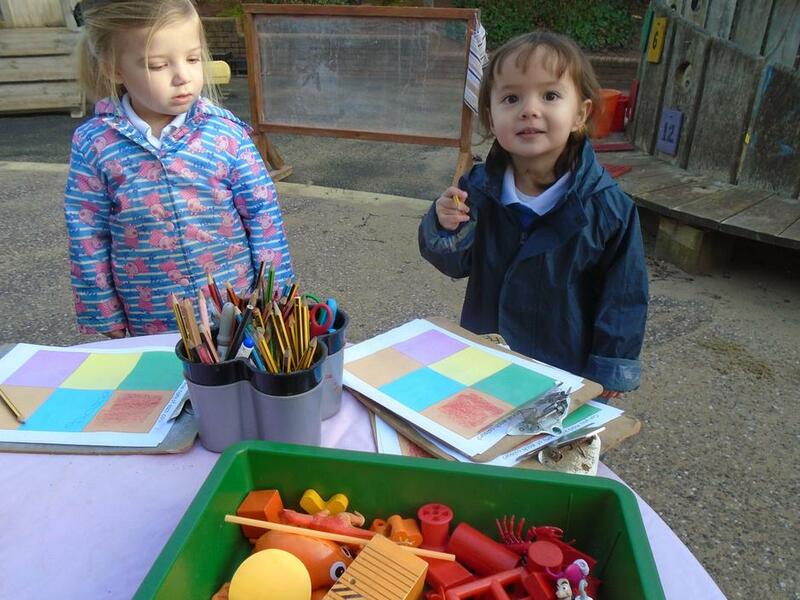 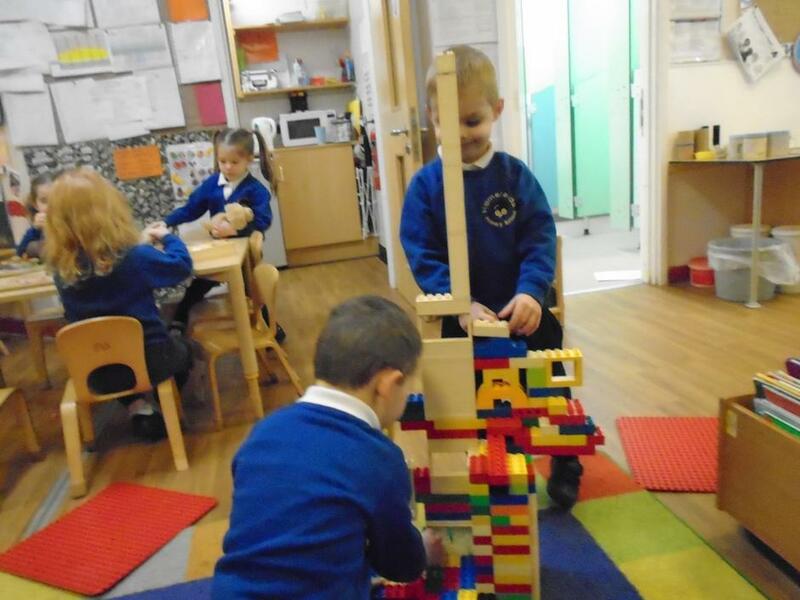 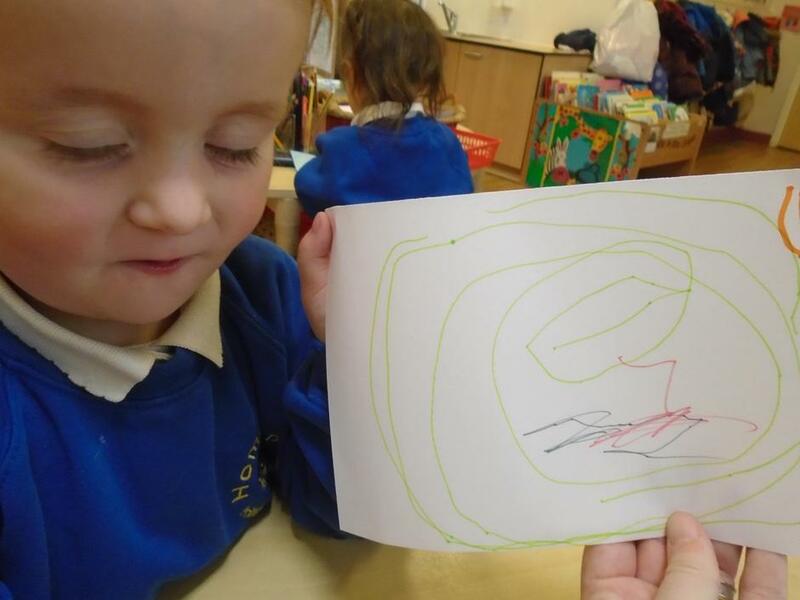 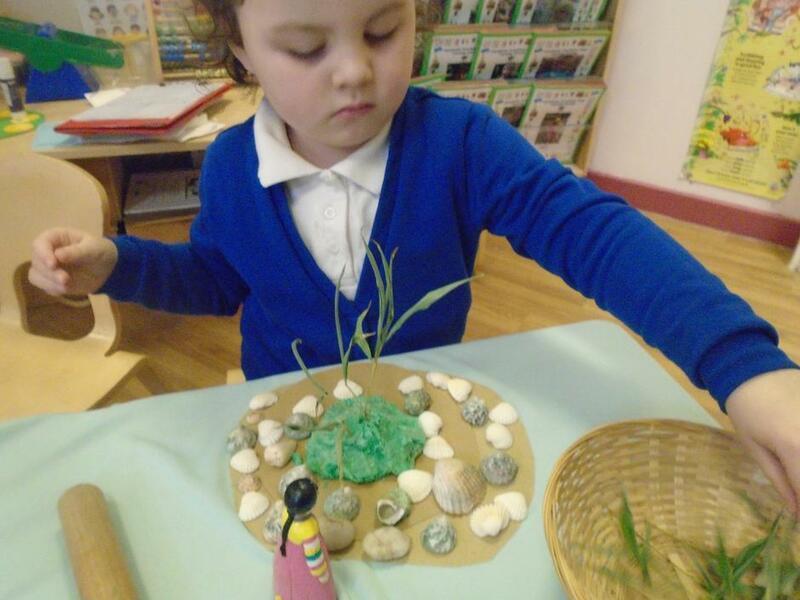 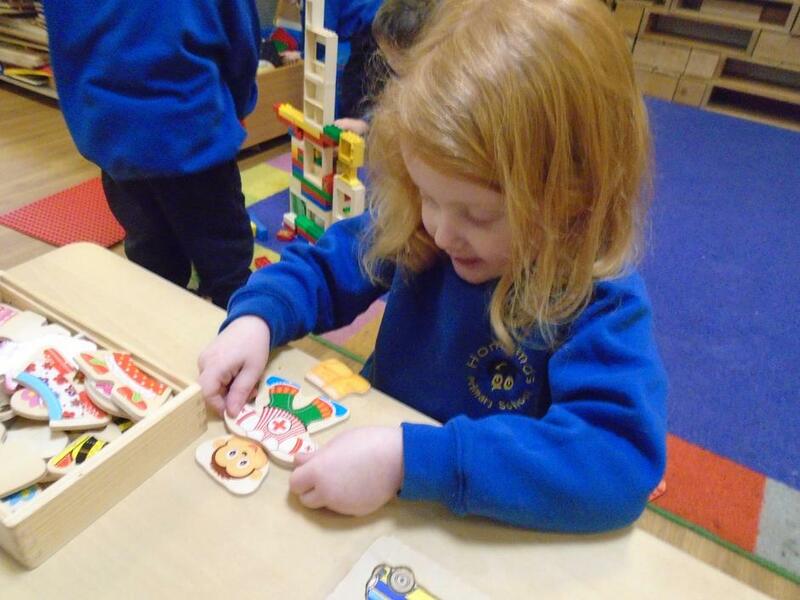 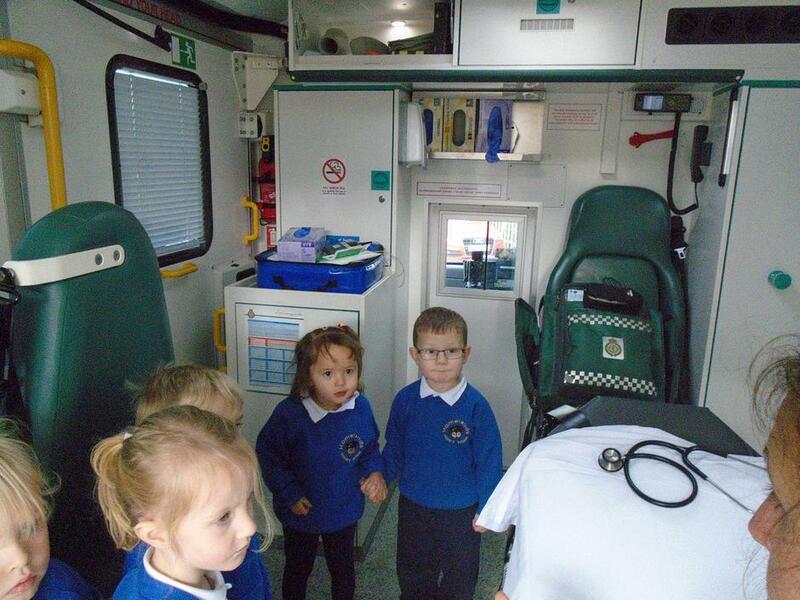 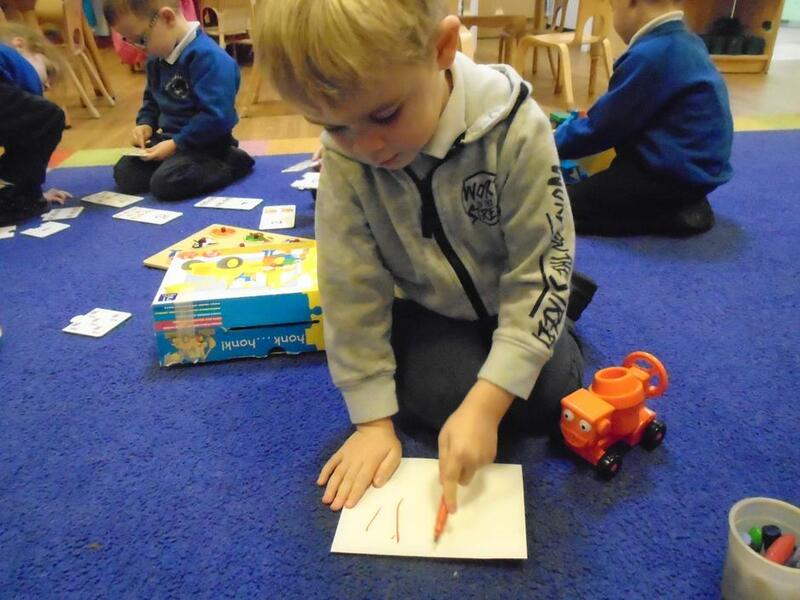 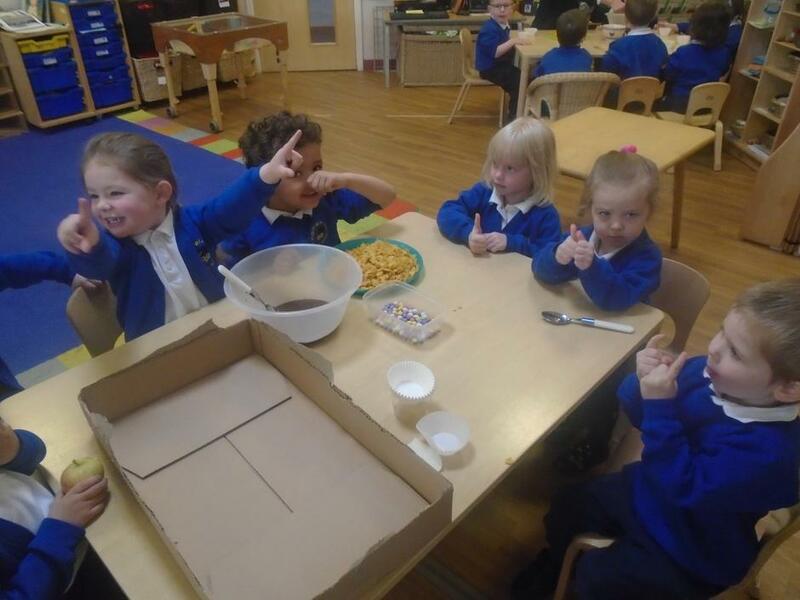 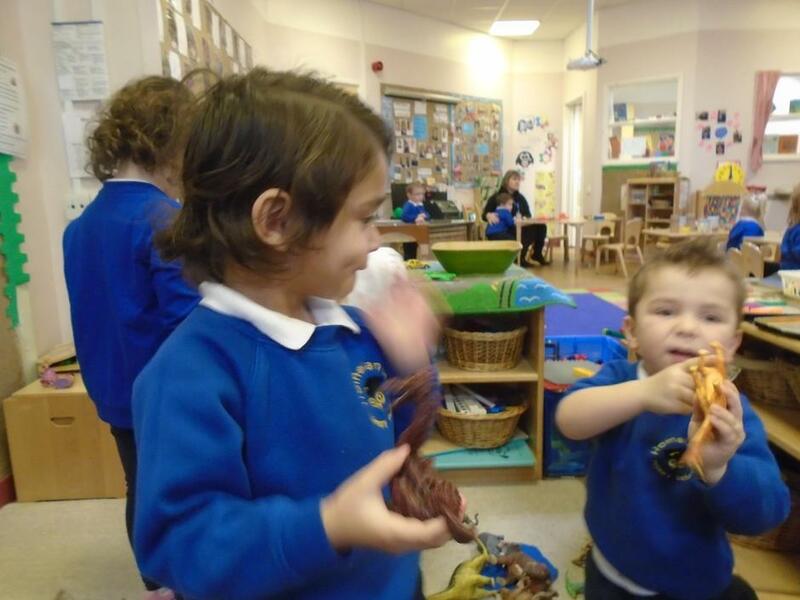 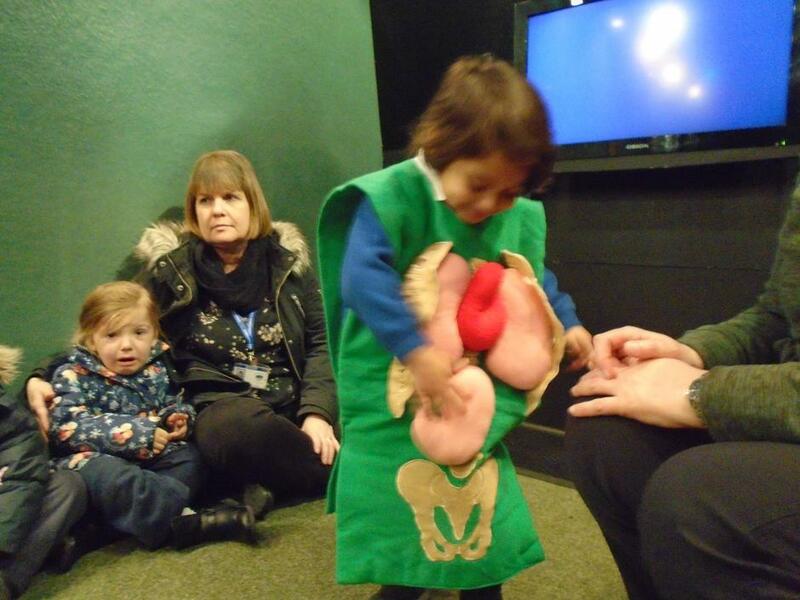 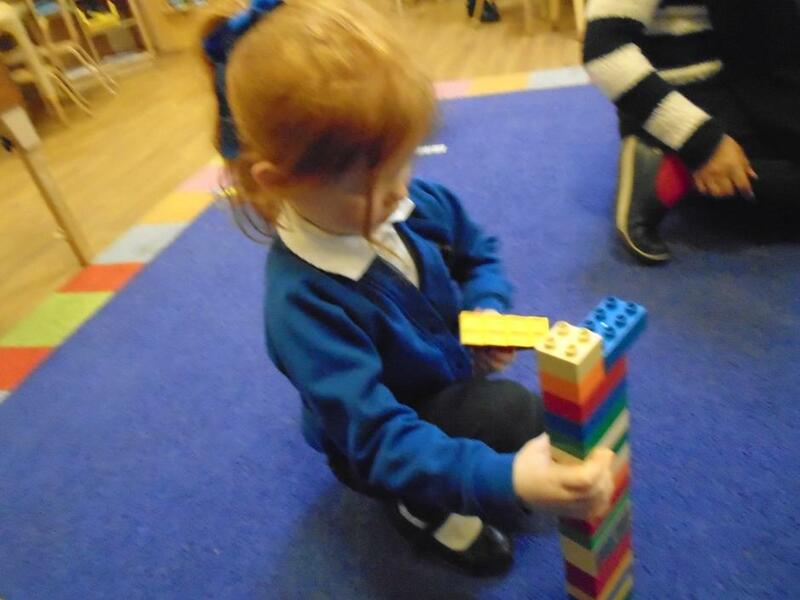 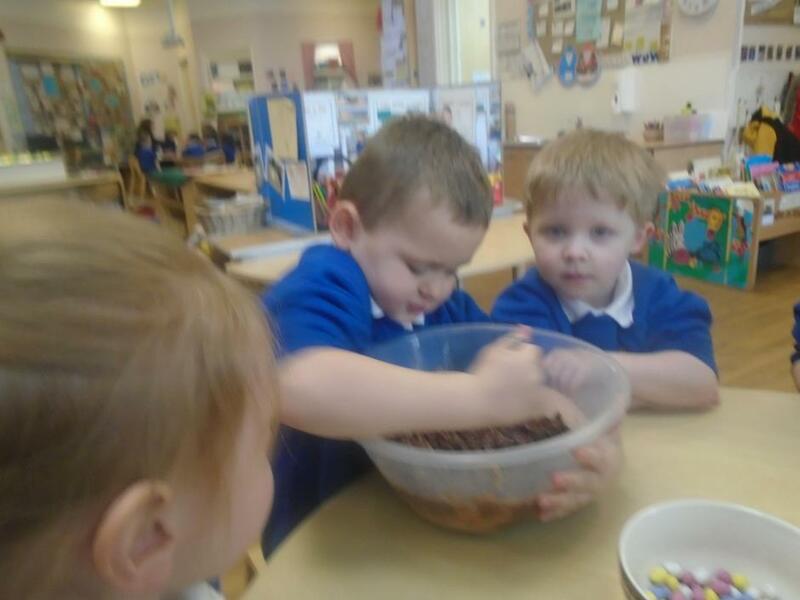 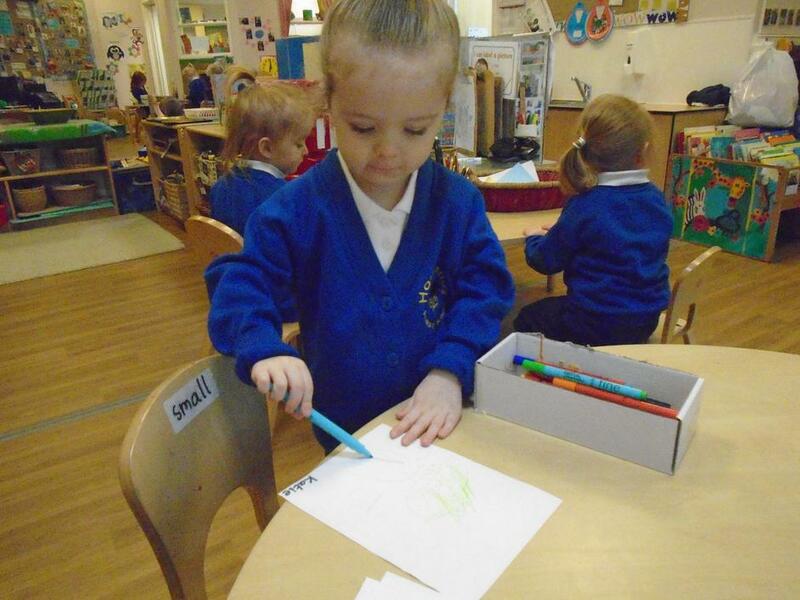 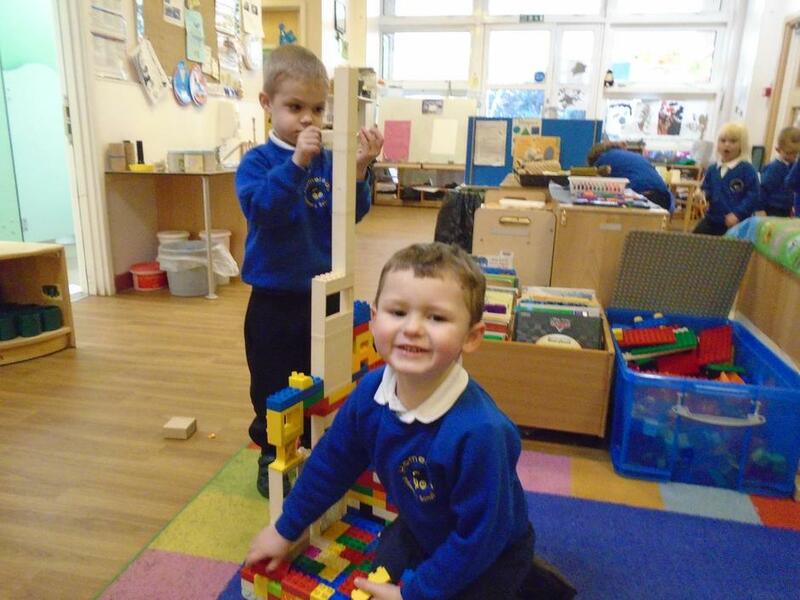 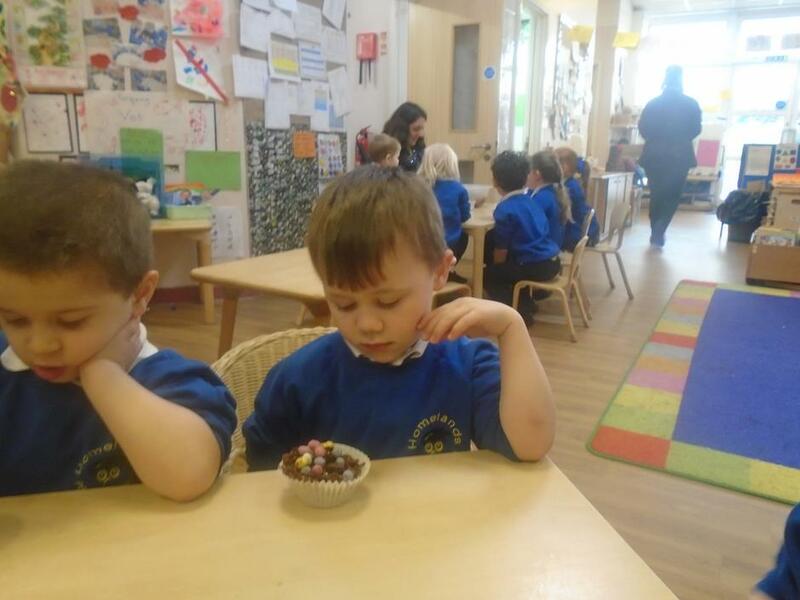 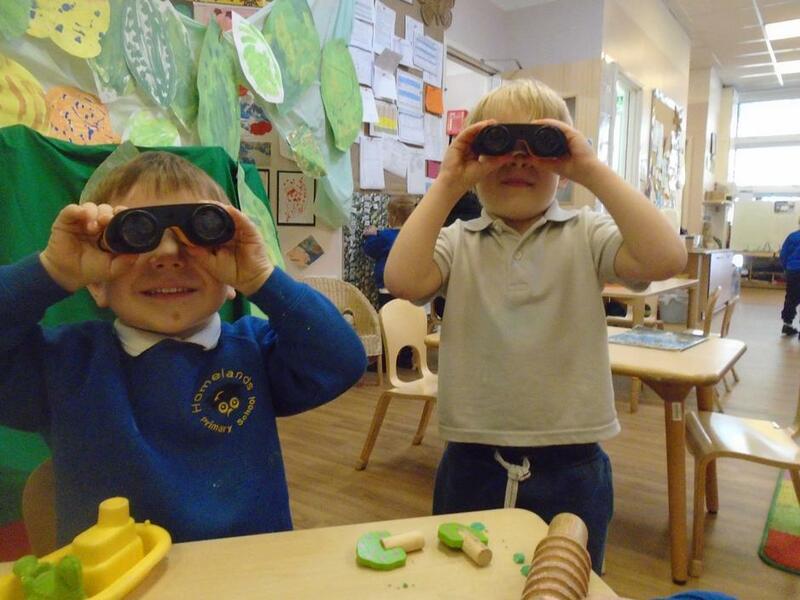 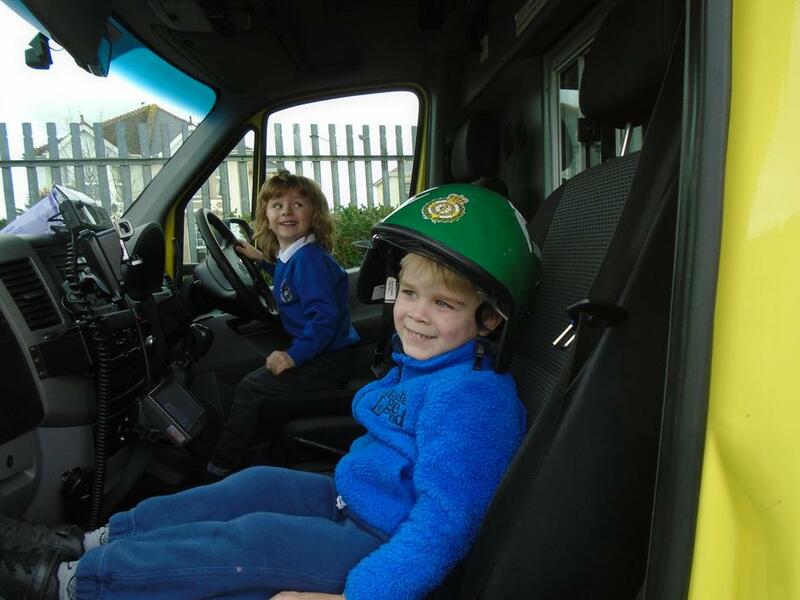 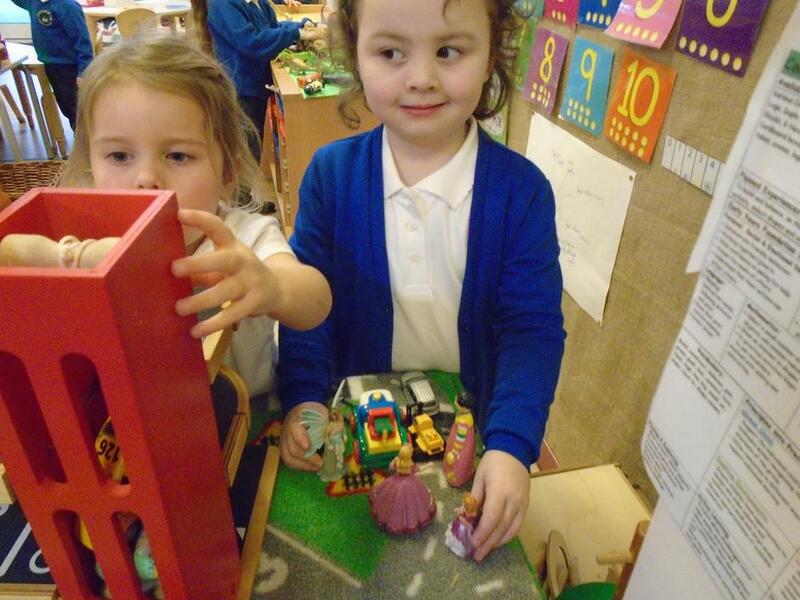 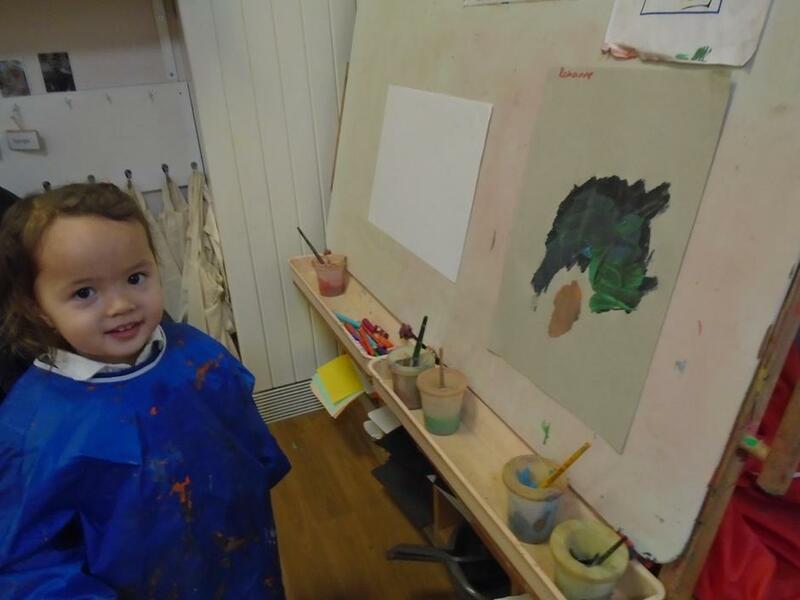 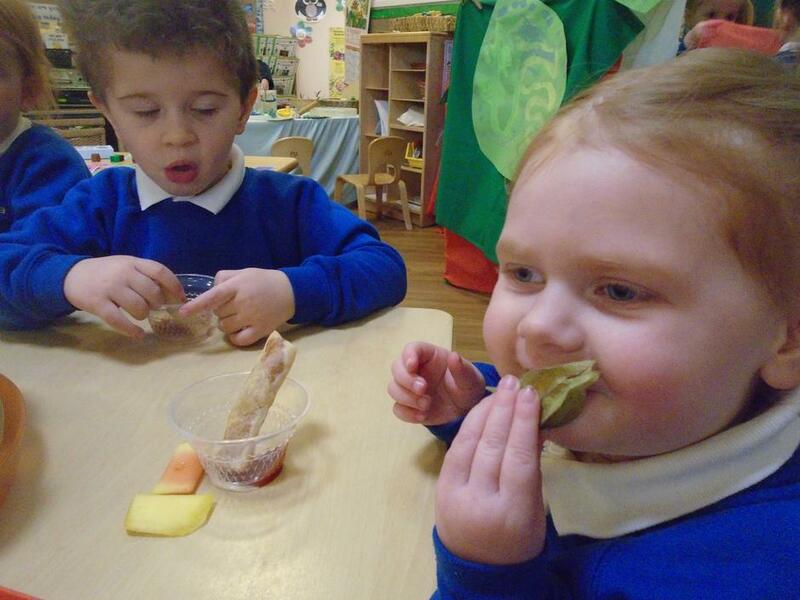 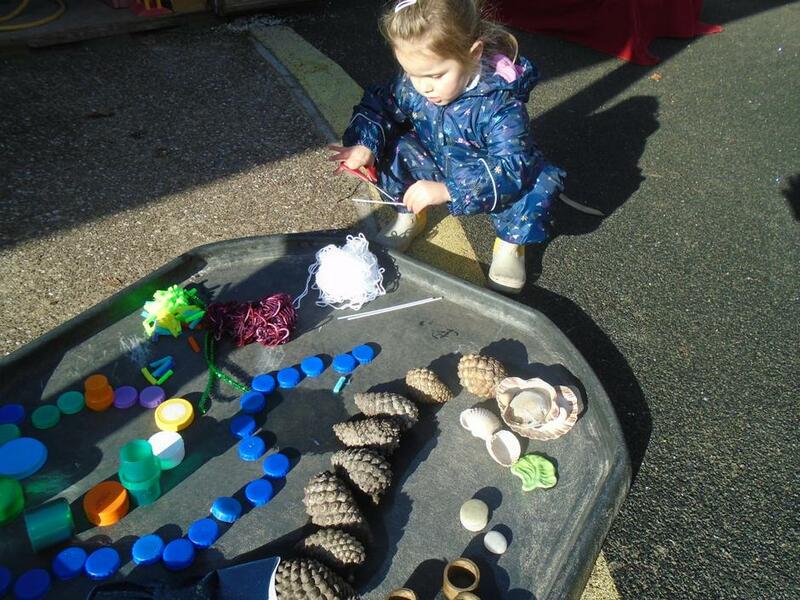 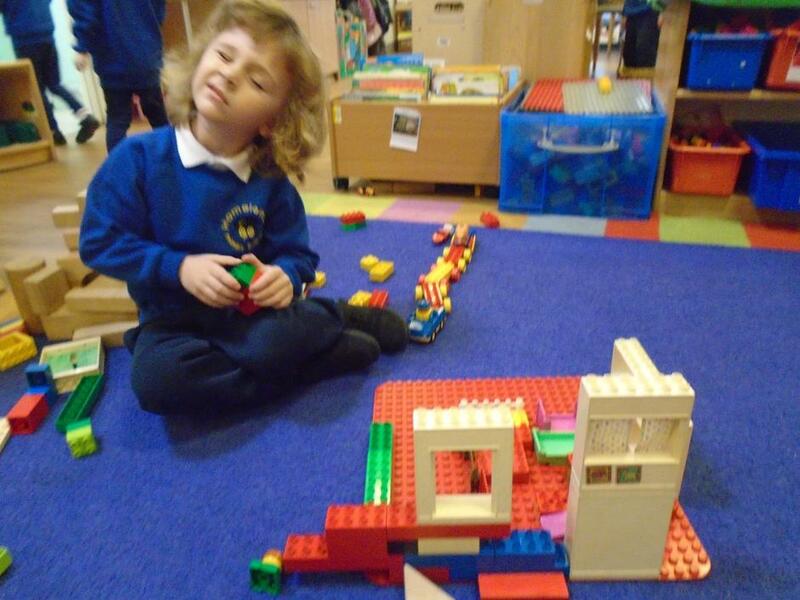 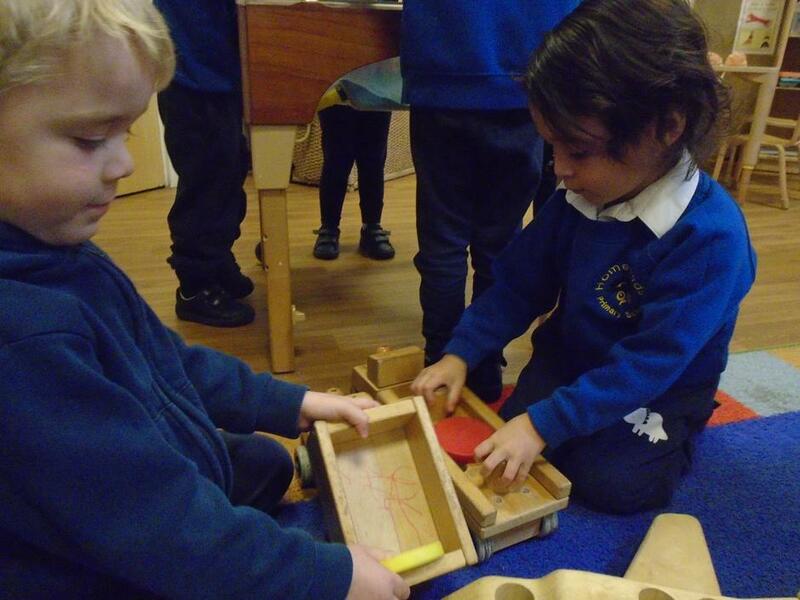 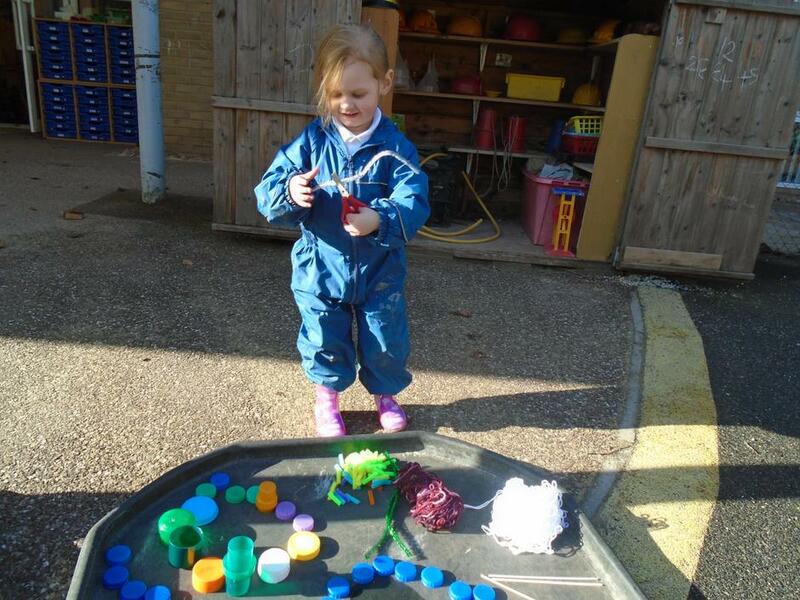 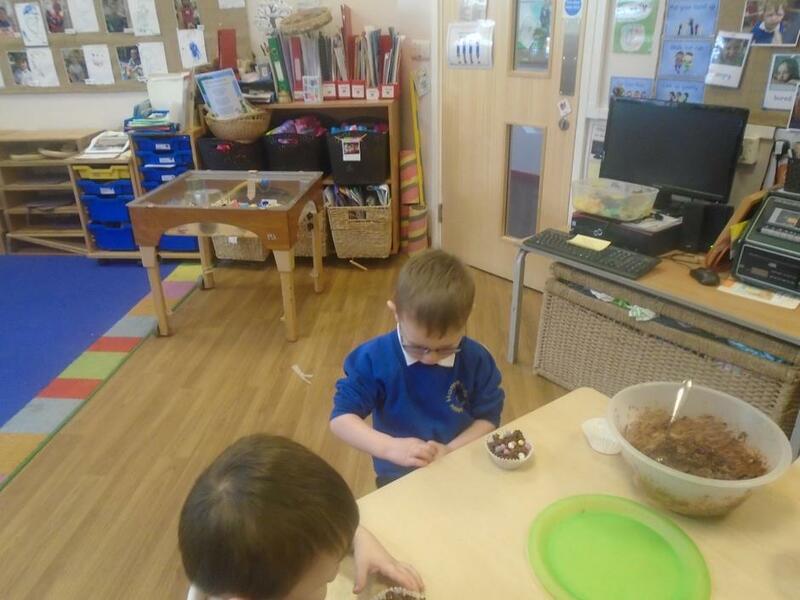 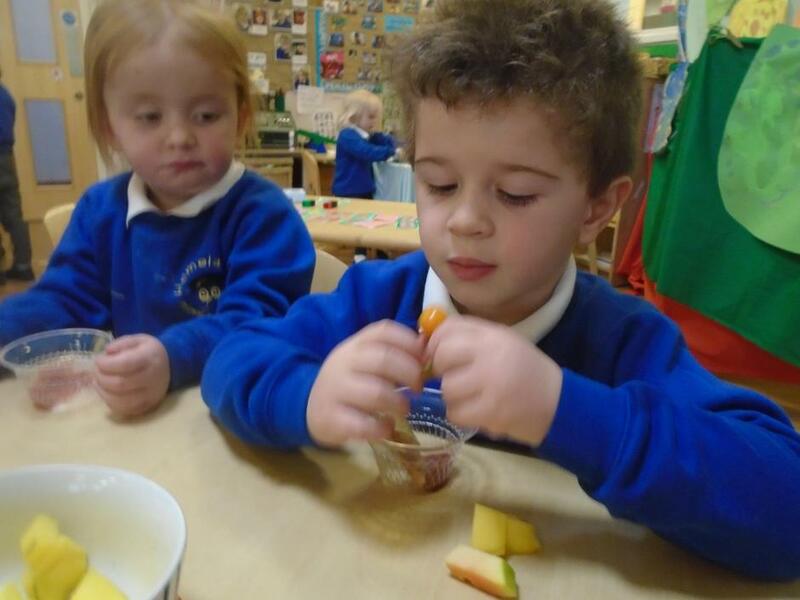 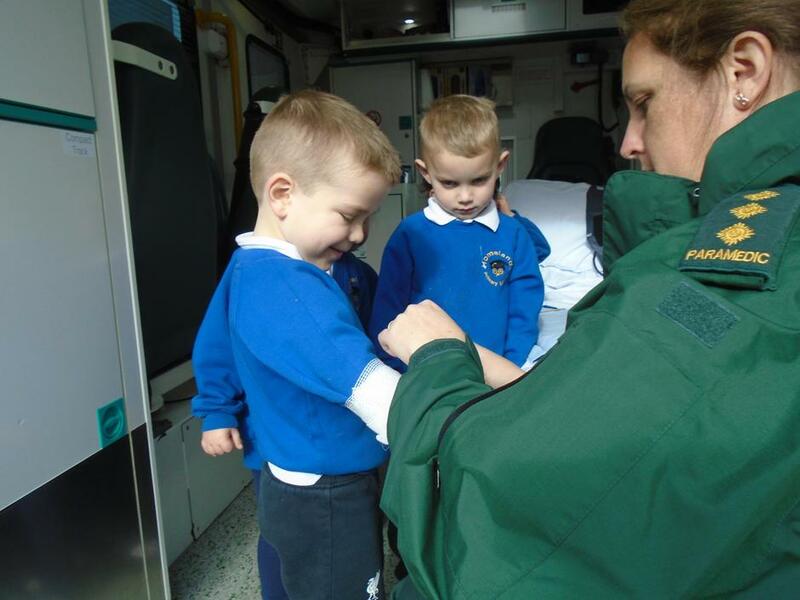 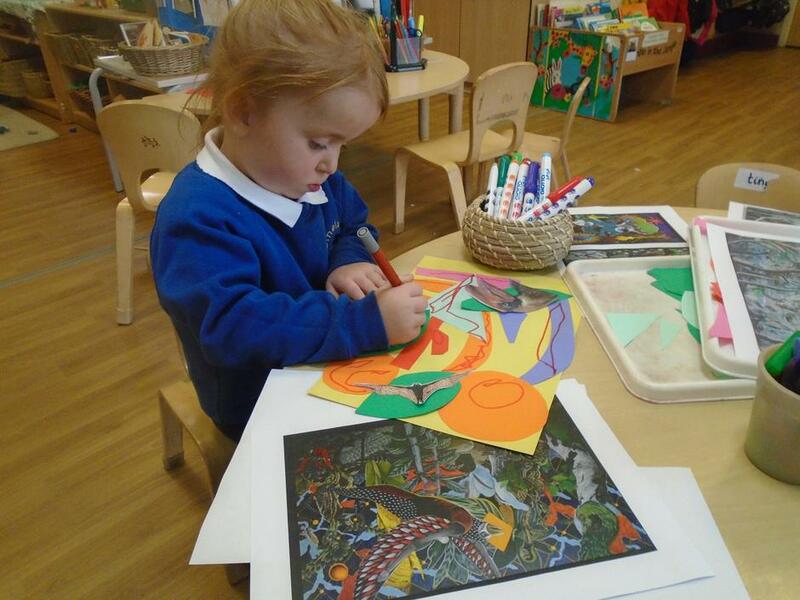 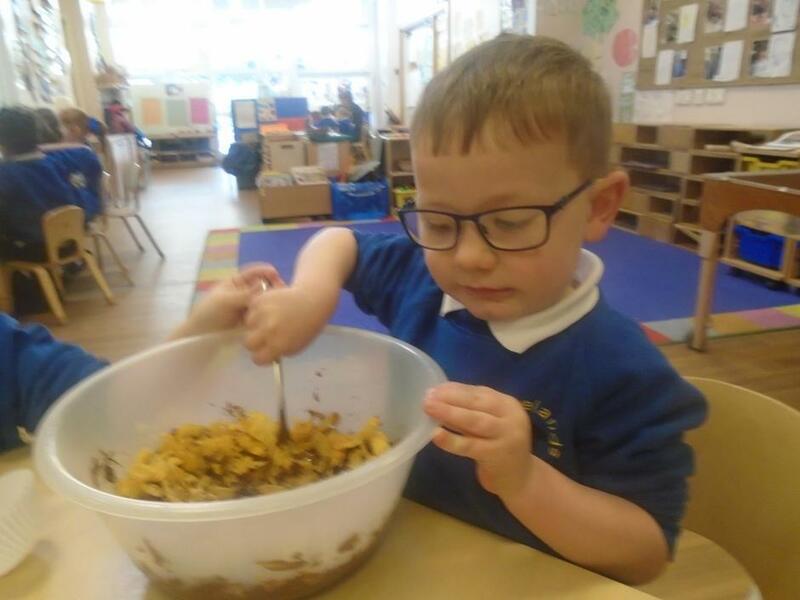 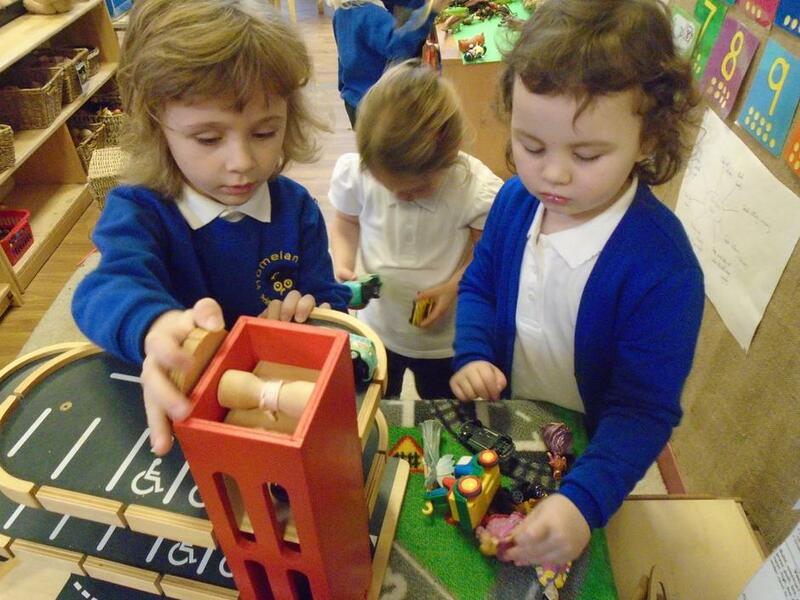 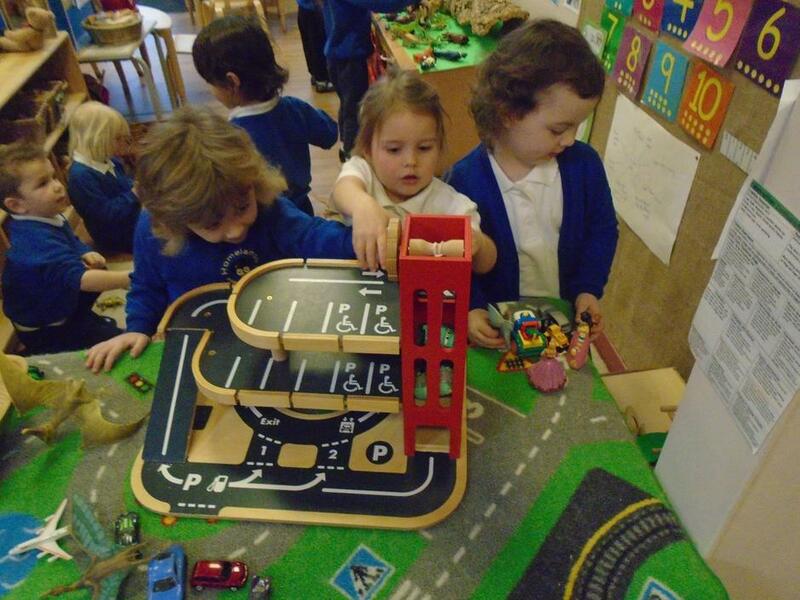 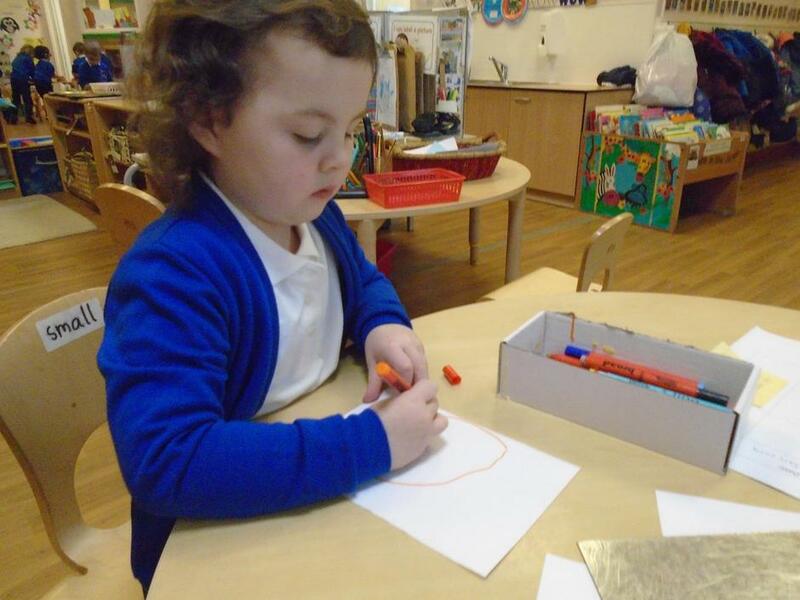 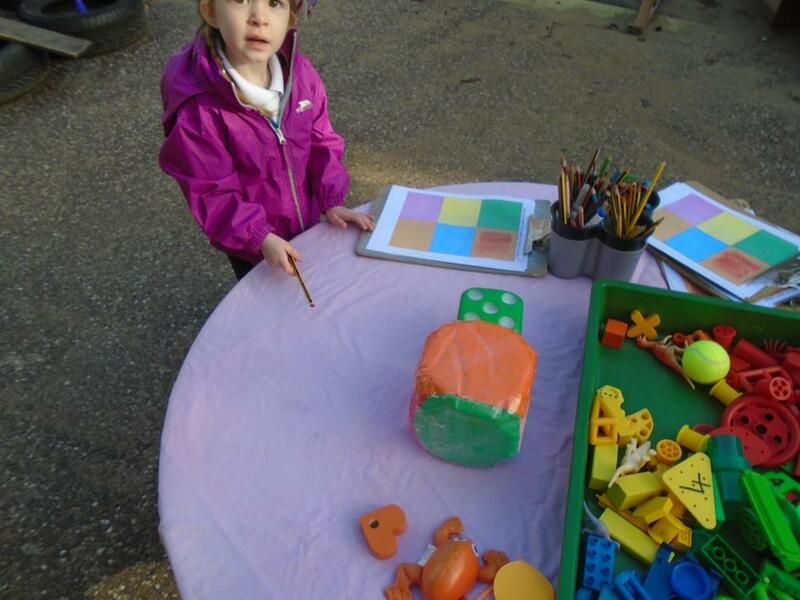 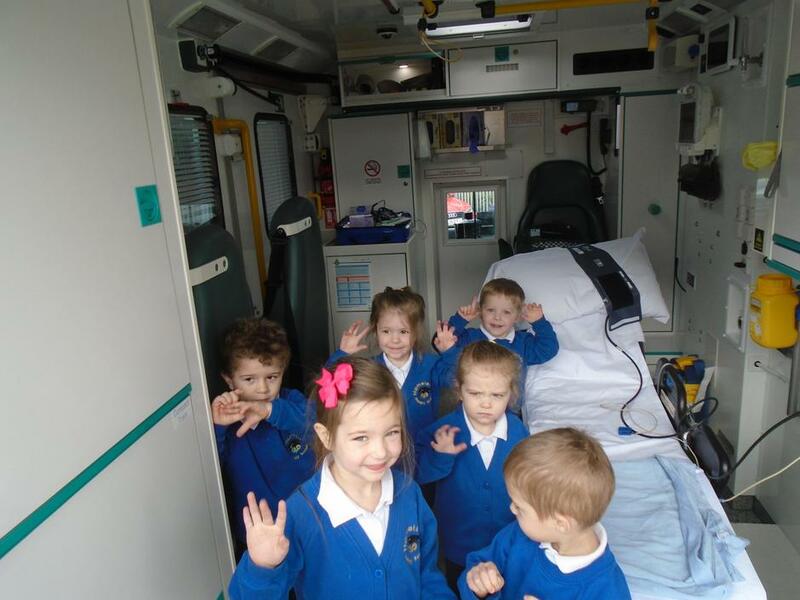 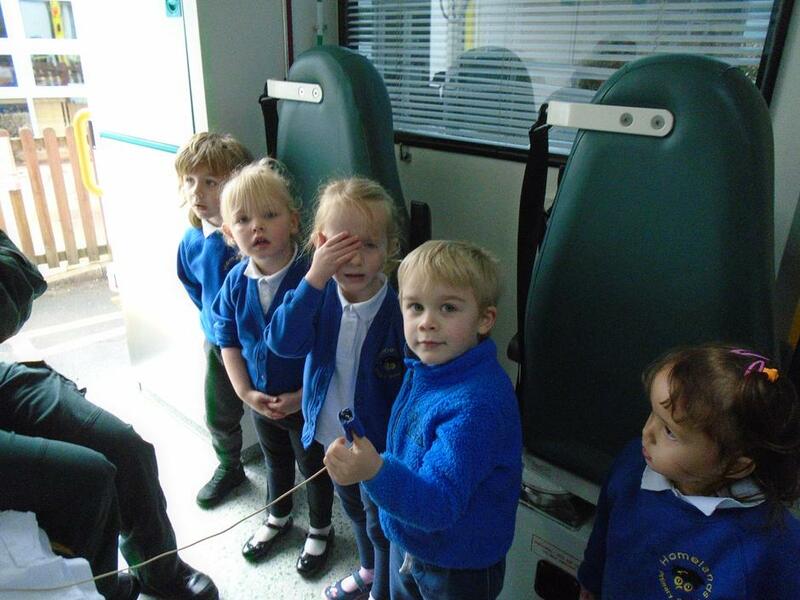 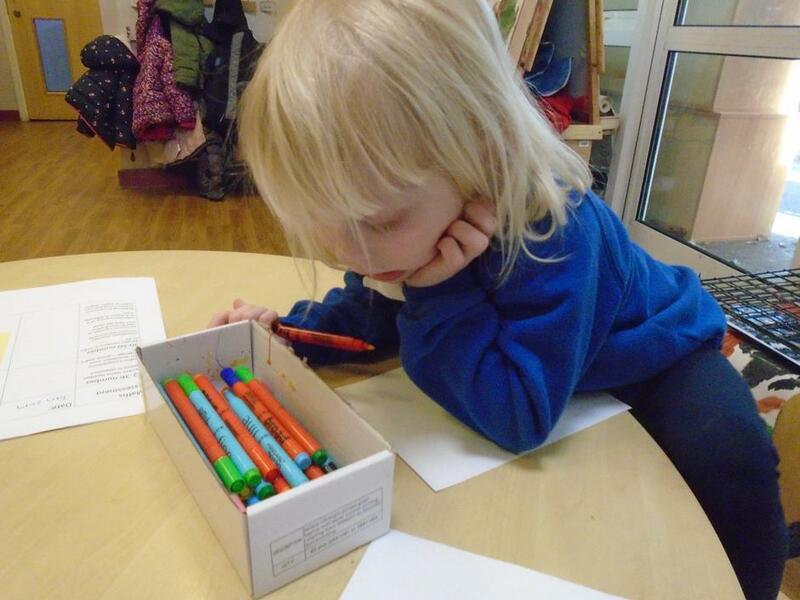 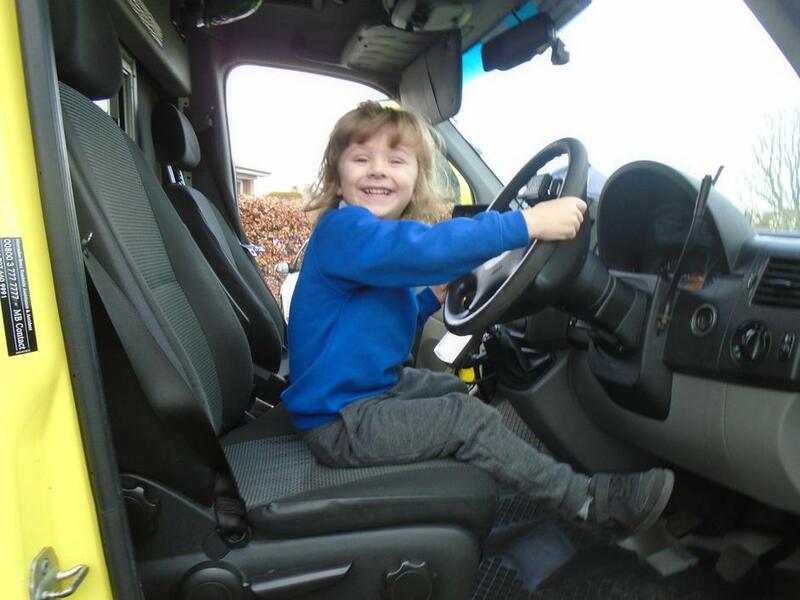 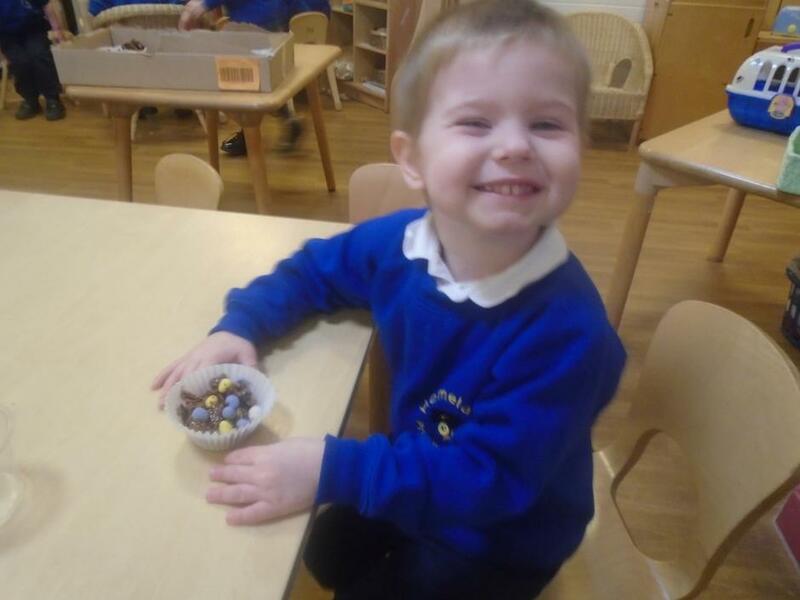 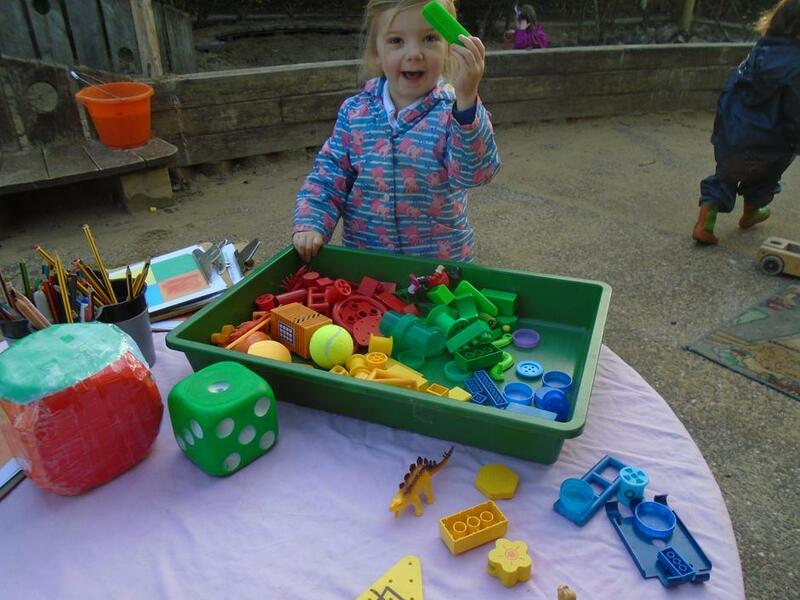 It was Harold’s first day at Nursery and he was a little bit worried, so the children thought of lots of fun things that you can do at Nursery to make him feel better. 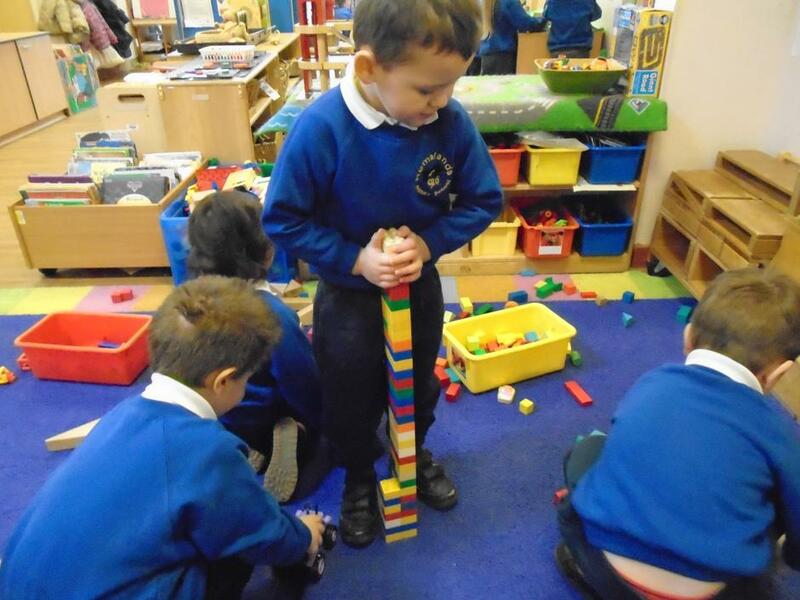 They came up with some very thoughtful ideas. 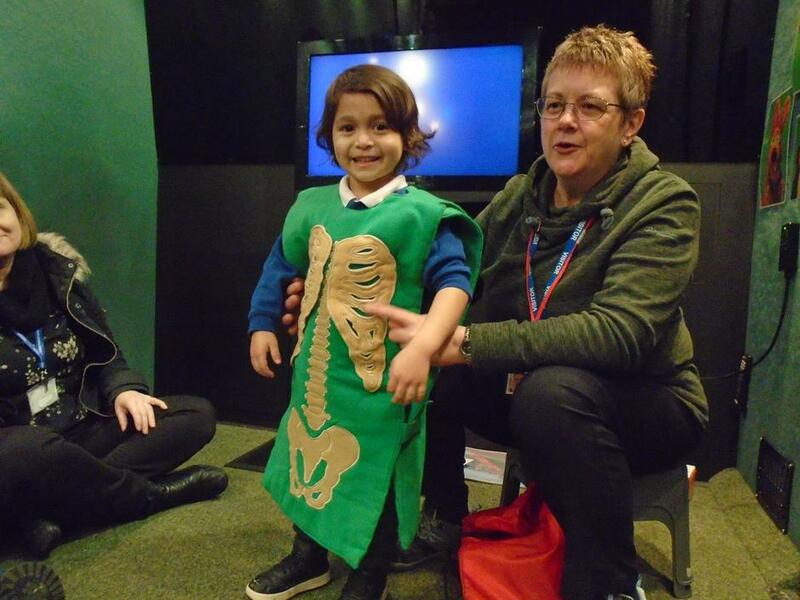 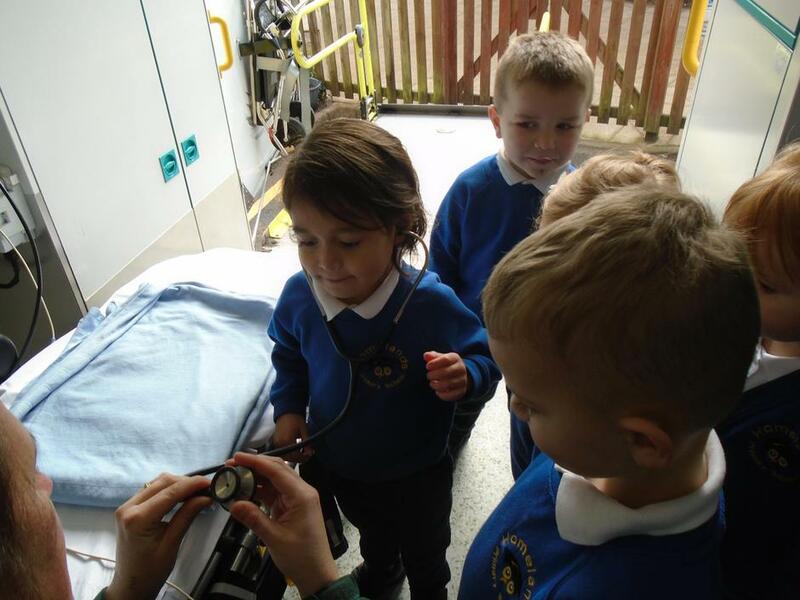 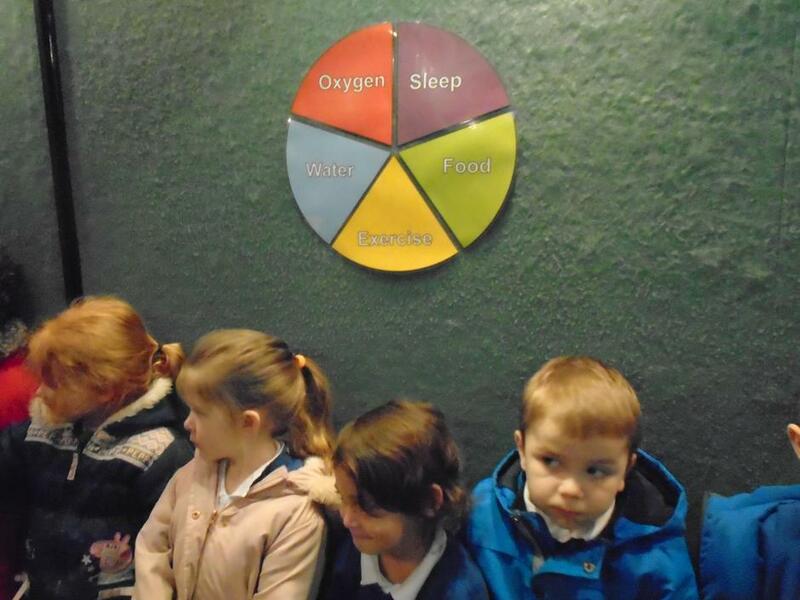 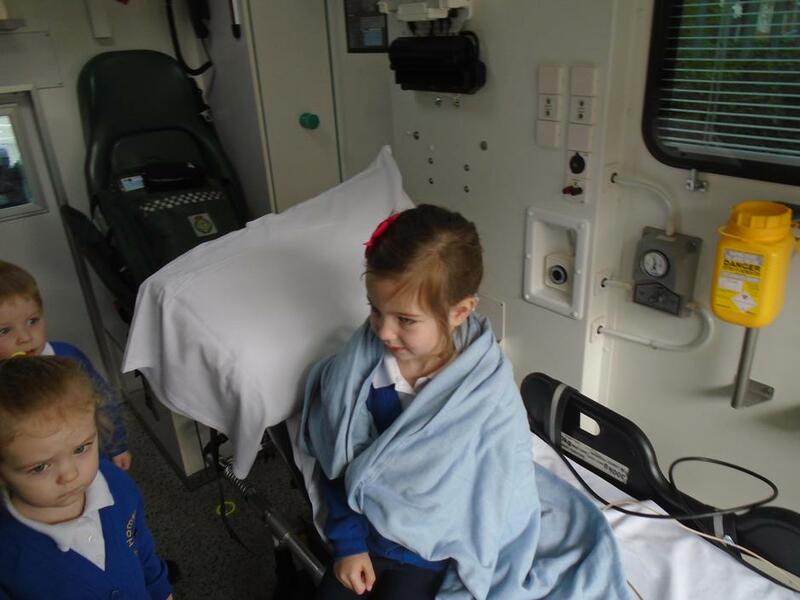 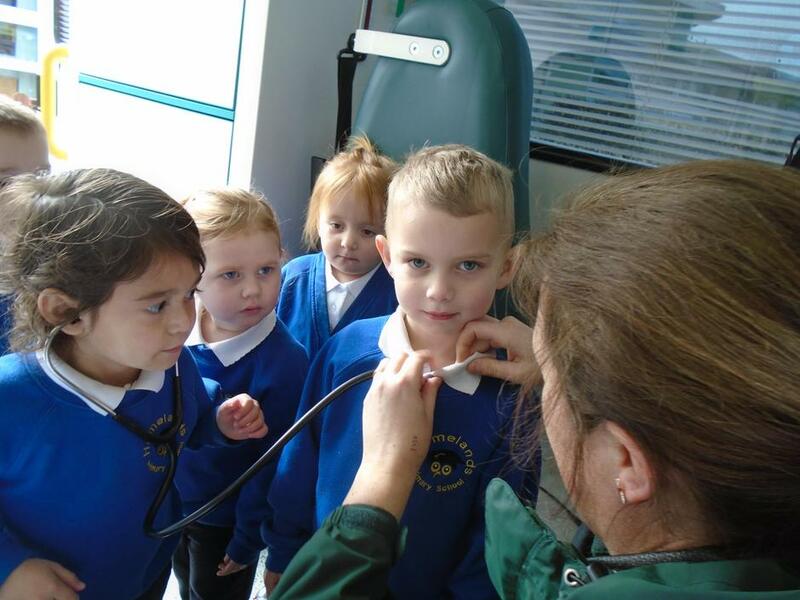 Lastly the children learnt about why sleep, exercise and healthy food and drink is important to keep our bodies healthy. 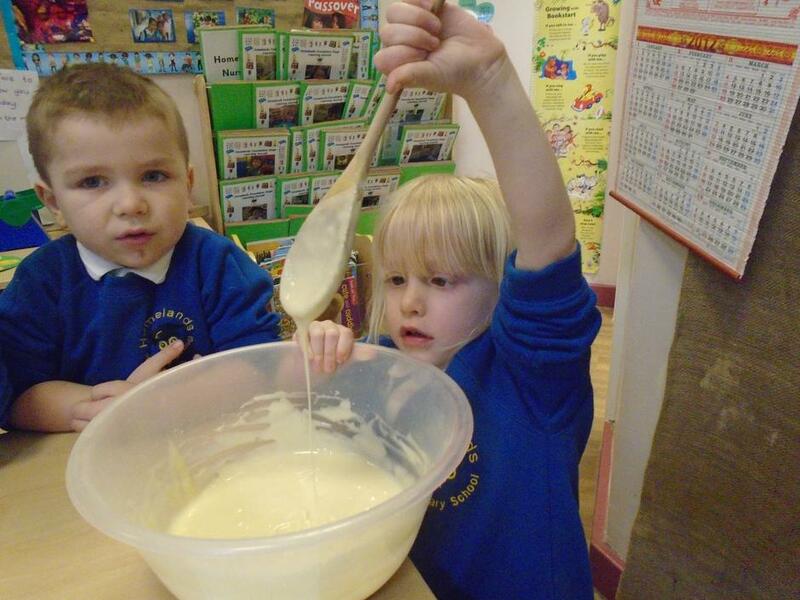 Week starting 28th January. 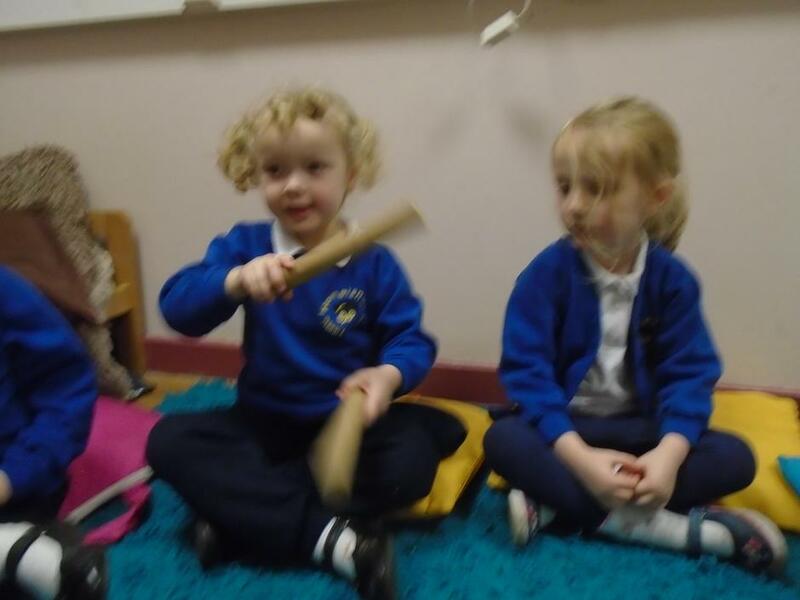 This week we have been reading traditional tales. 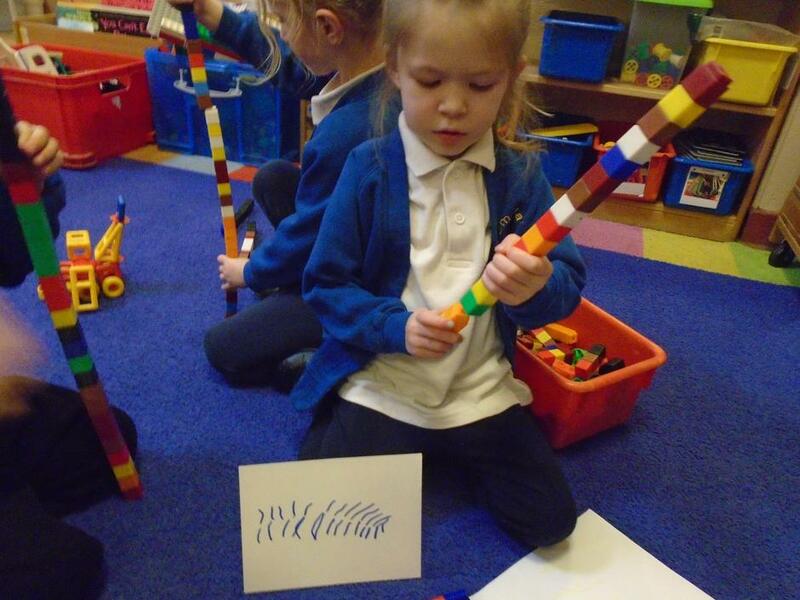 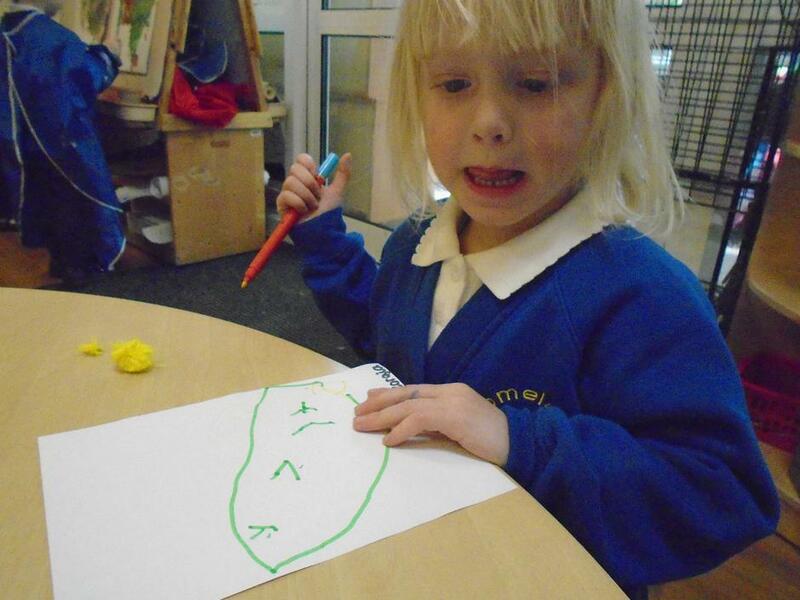 We have also been practicing mark making and writing our names. 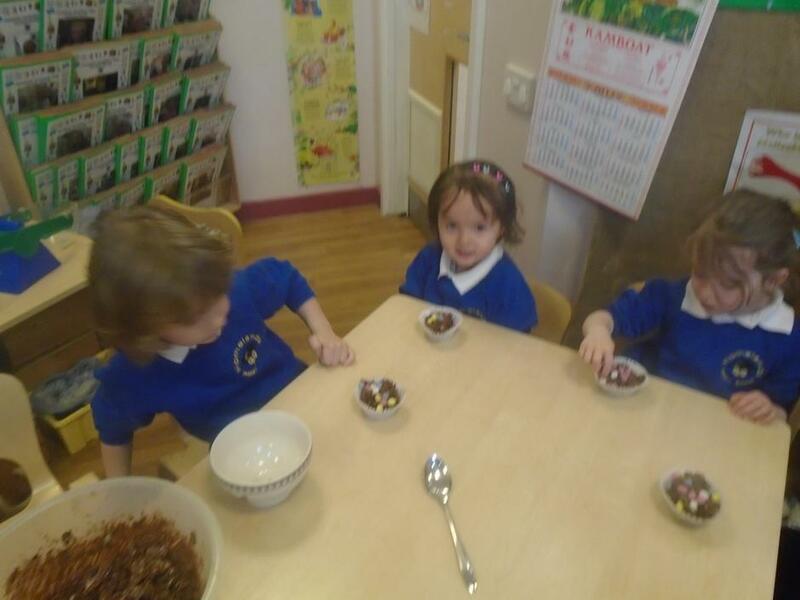 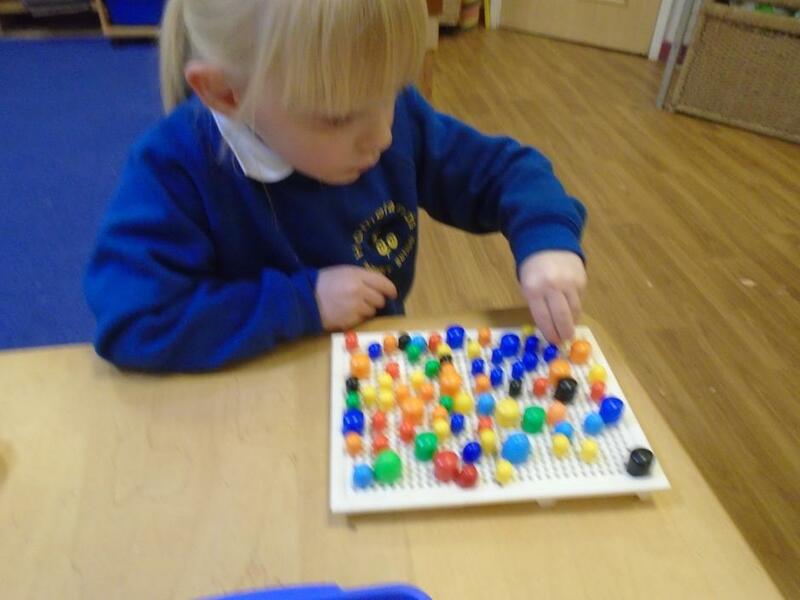 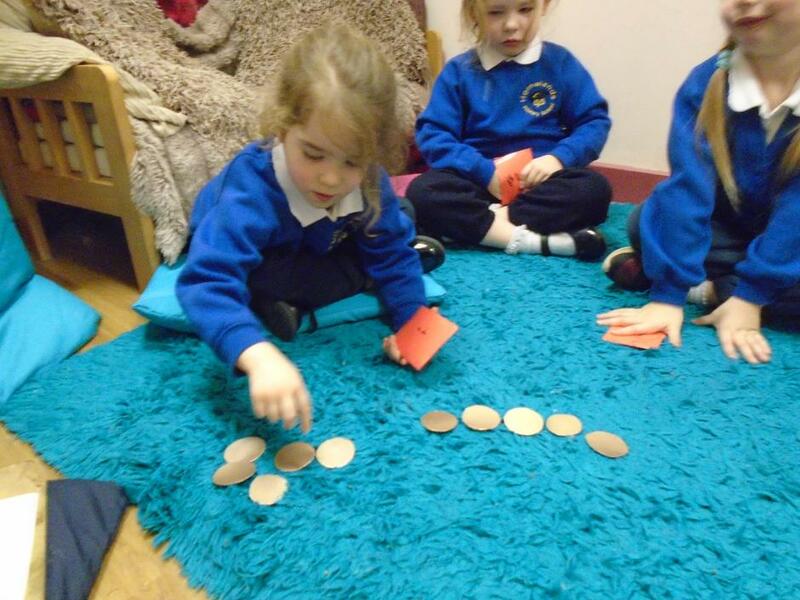 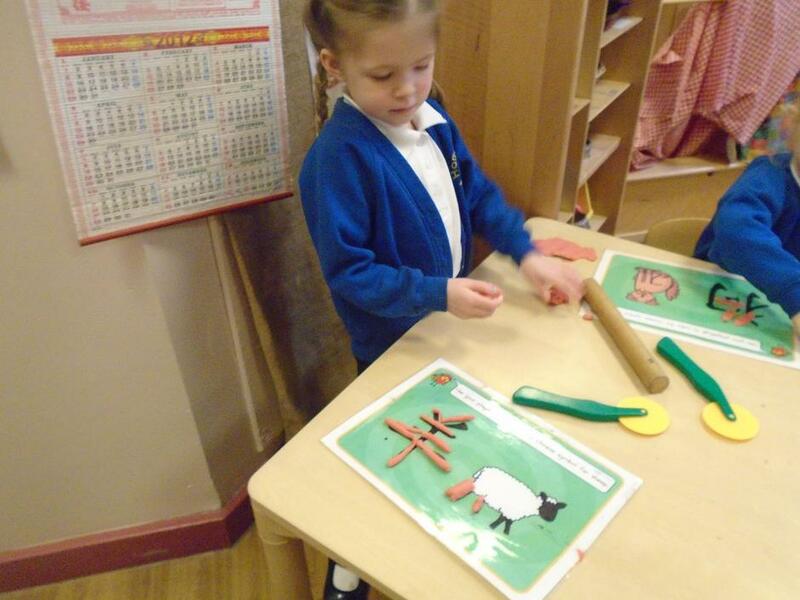 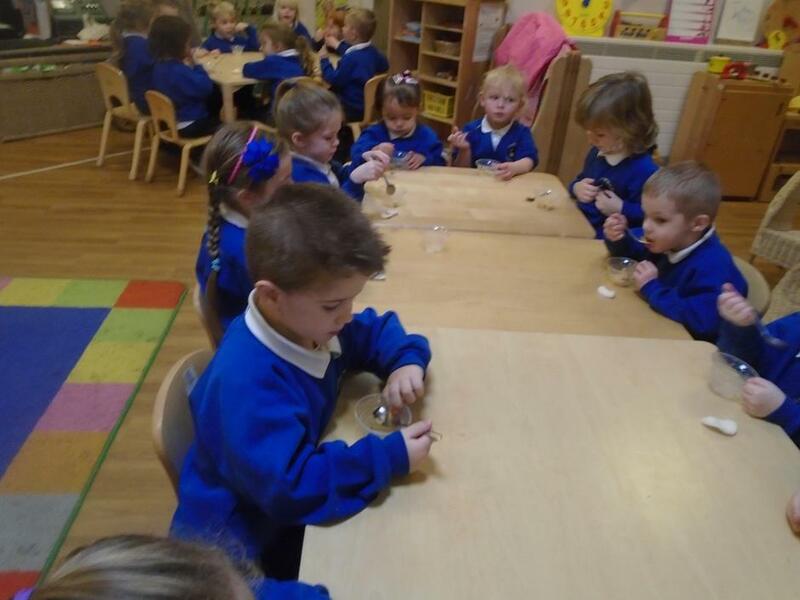 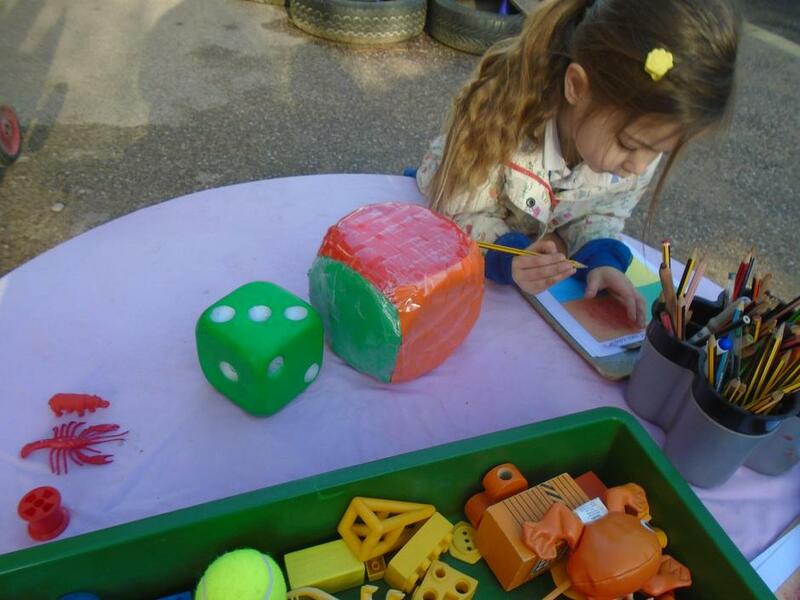 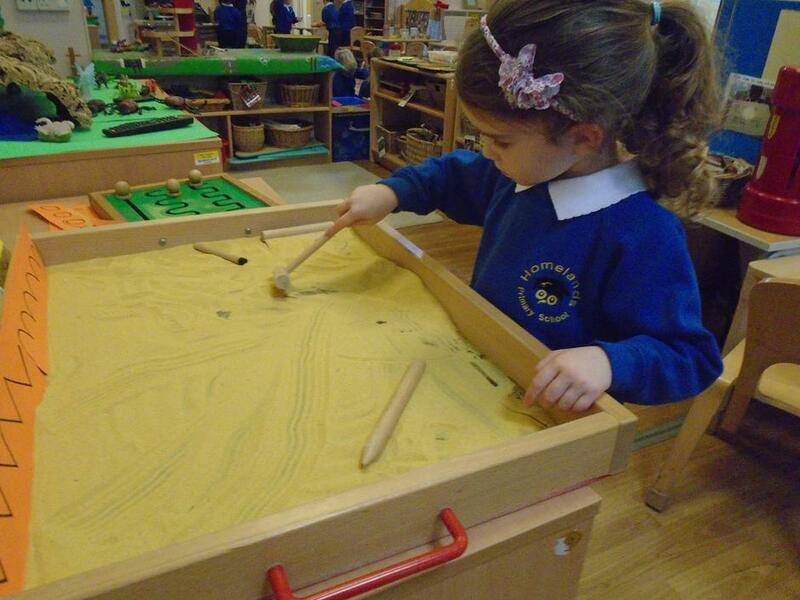 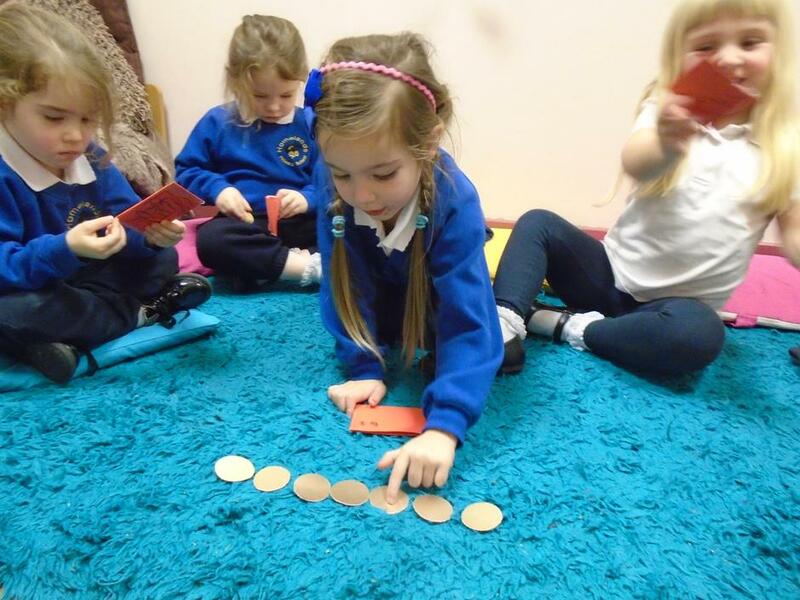 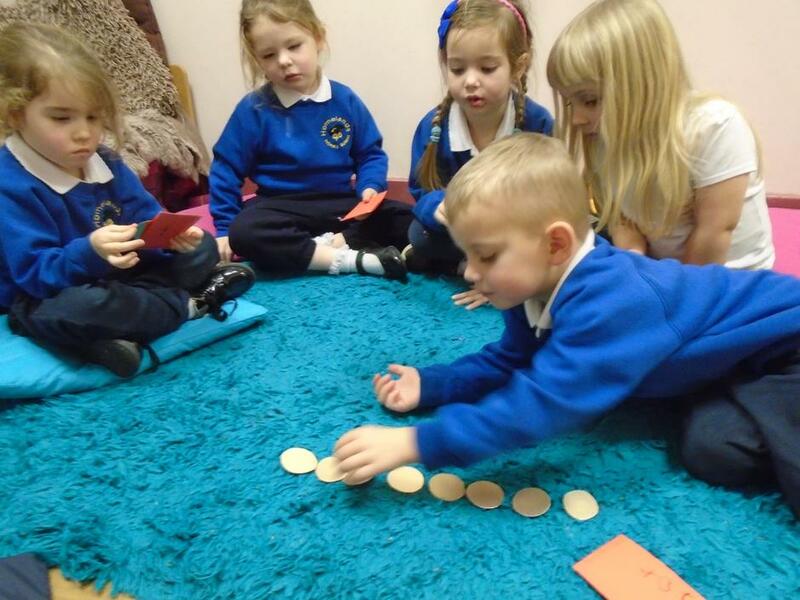 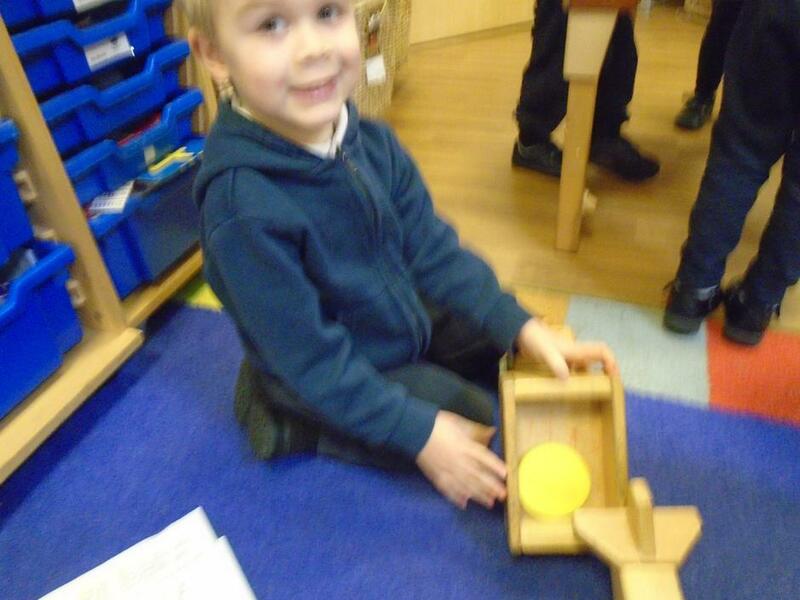 The children have enjoyed doing lots of counting activities with Numercon pieces. 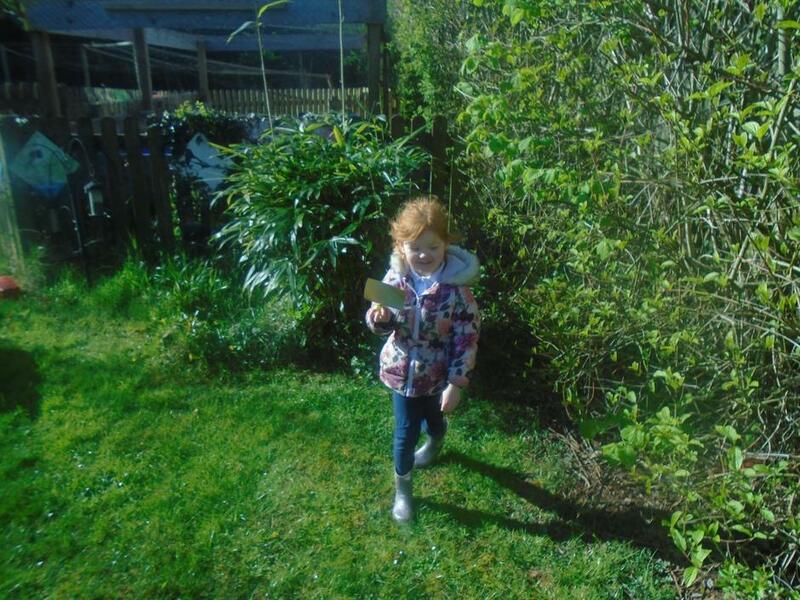 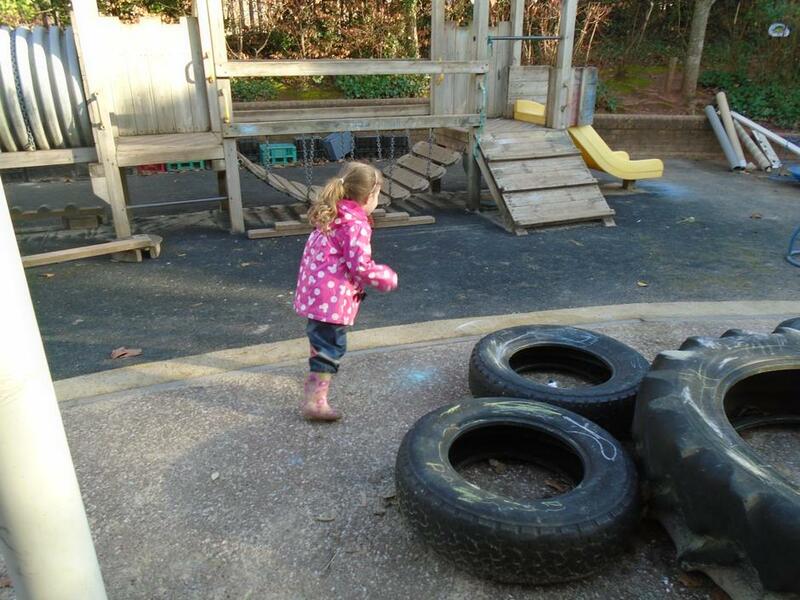 We have been to the hall to practice moving in a variety of different ways and have been active outside. 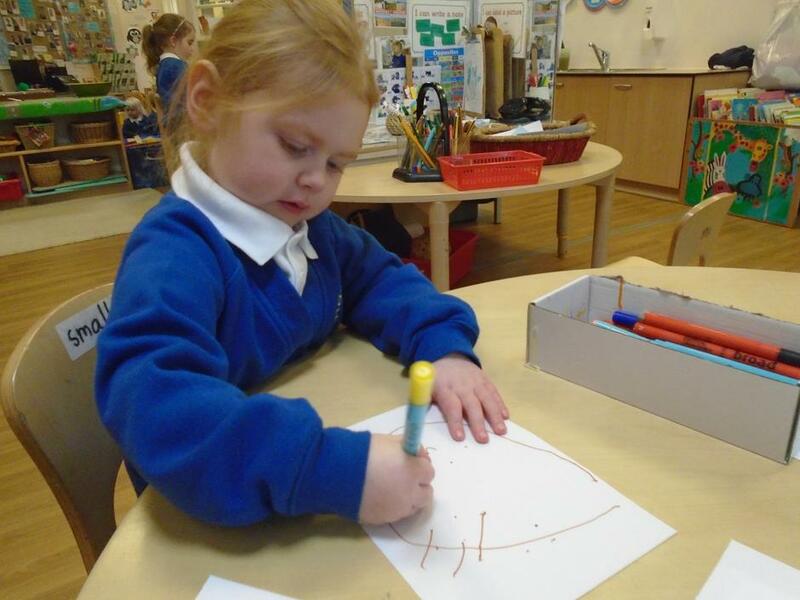 In group times we have made pet pictograms for our maths work. 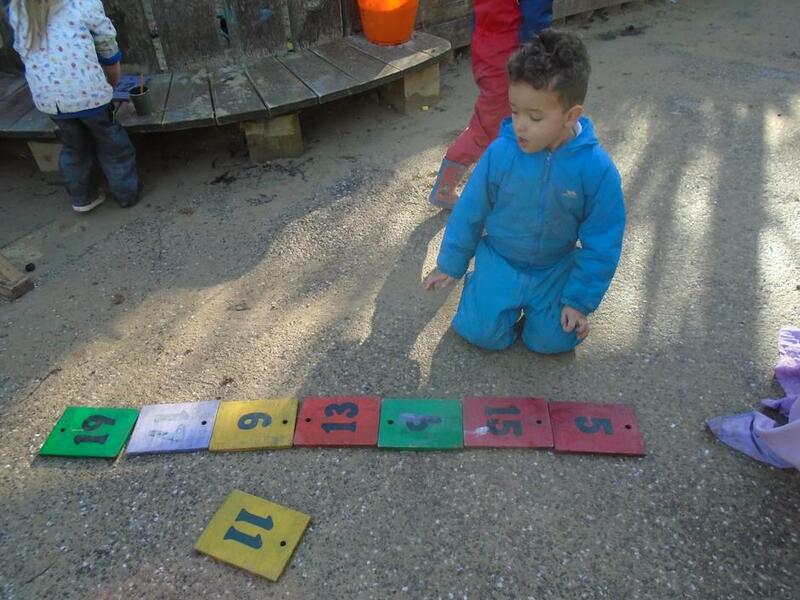 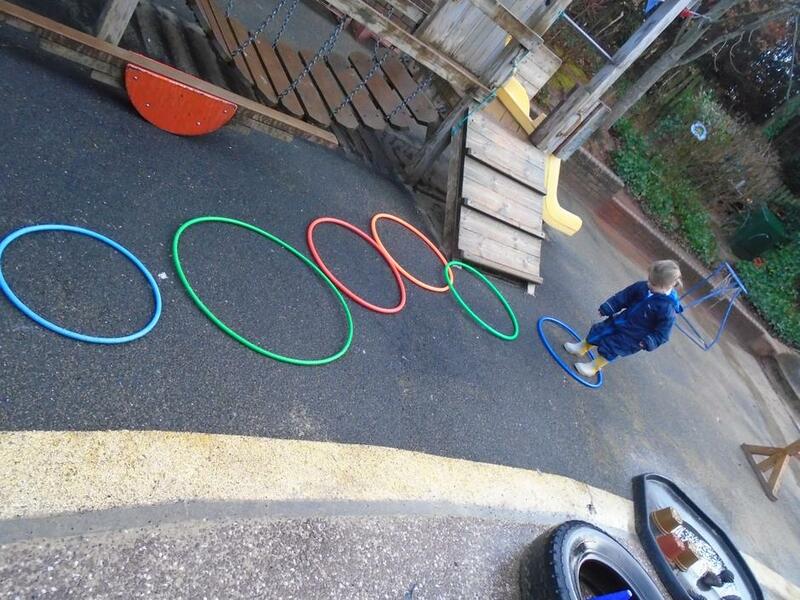 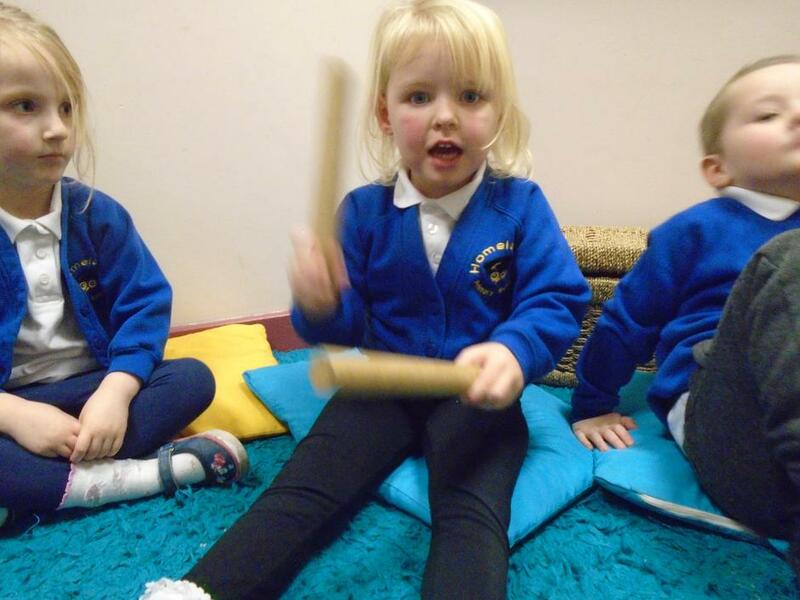 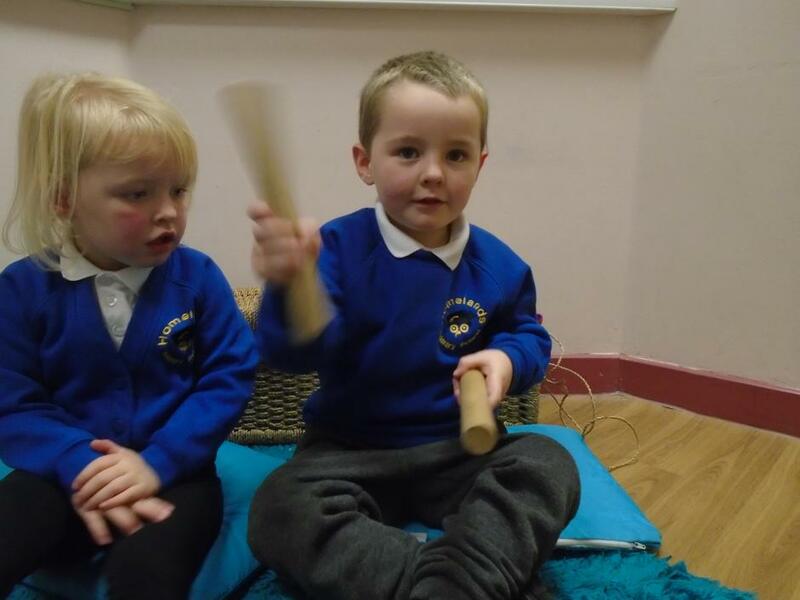 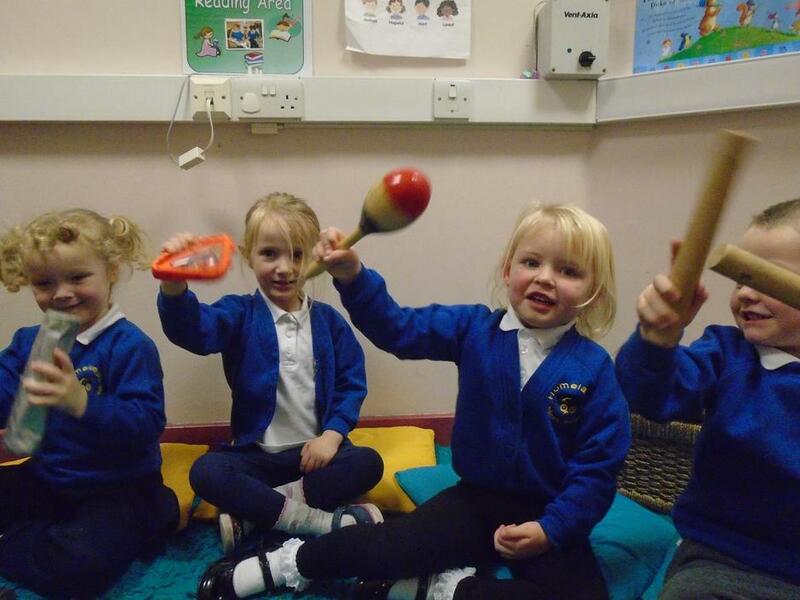 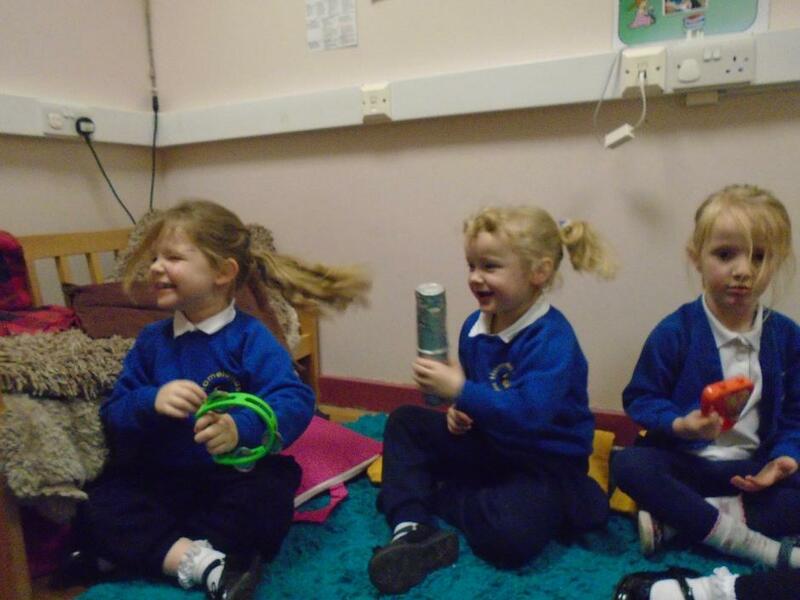 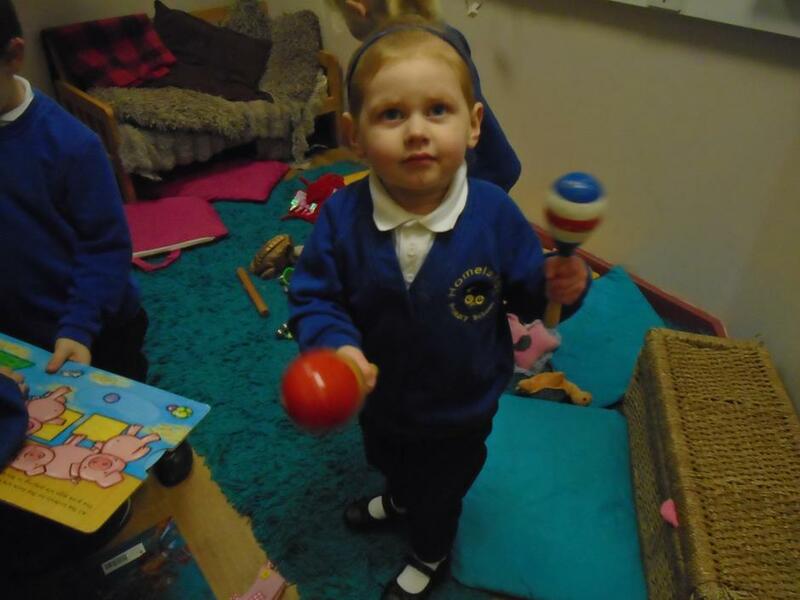 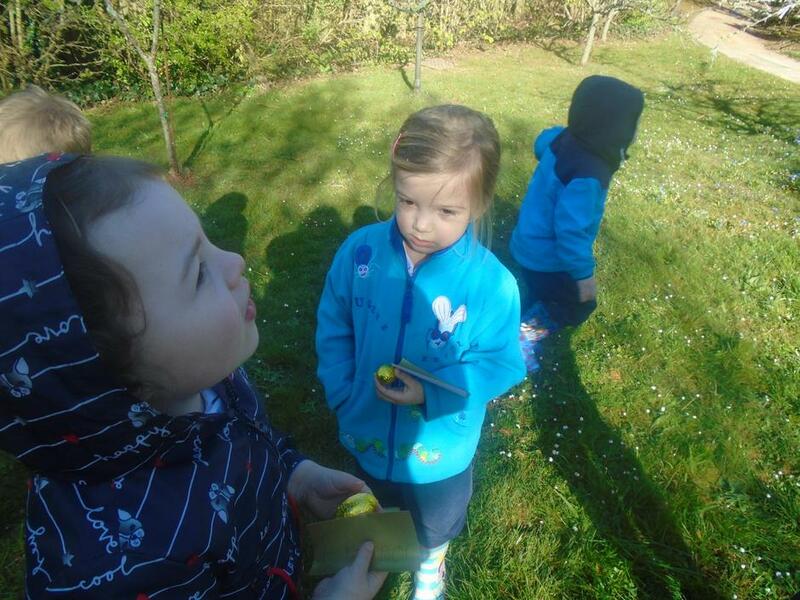 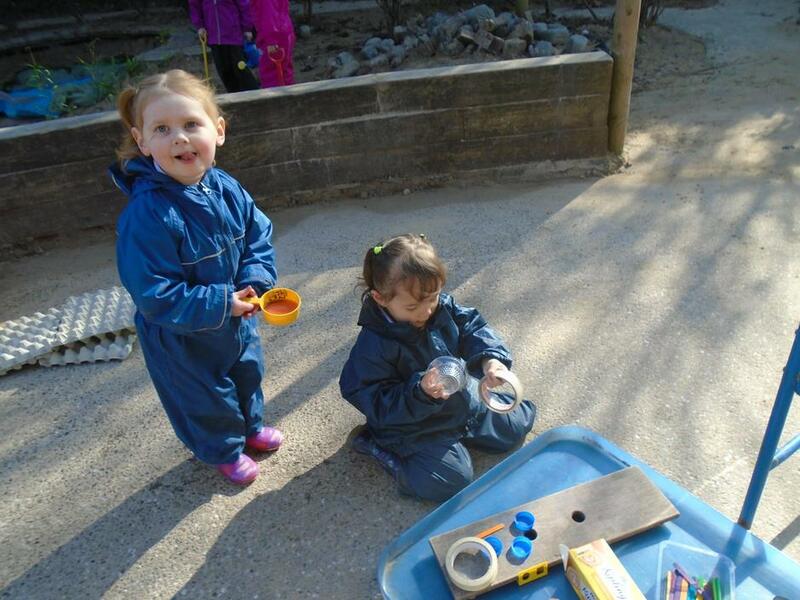 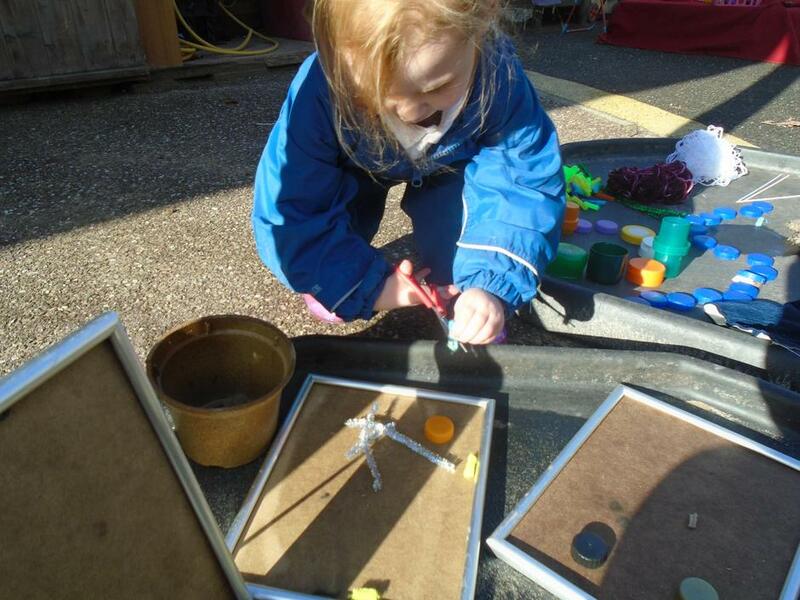 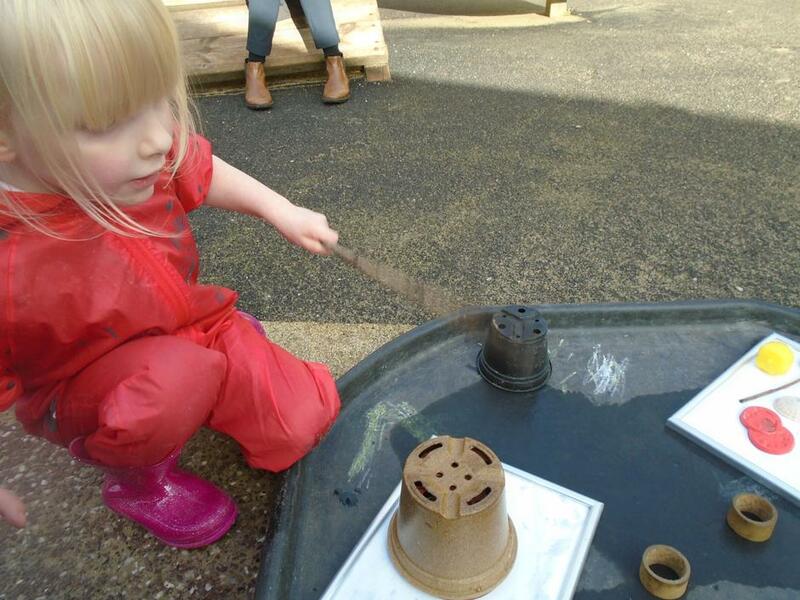 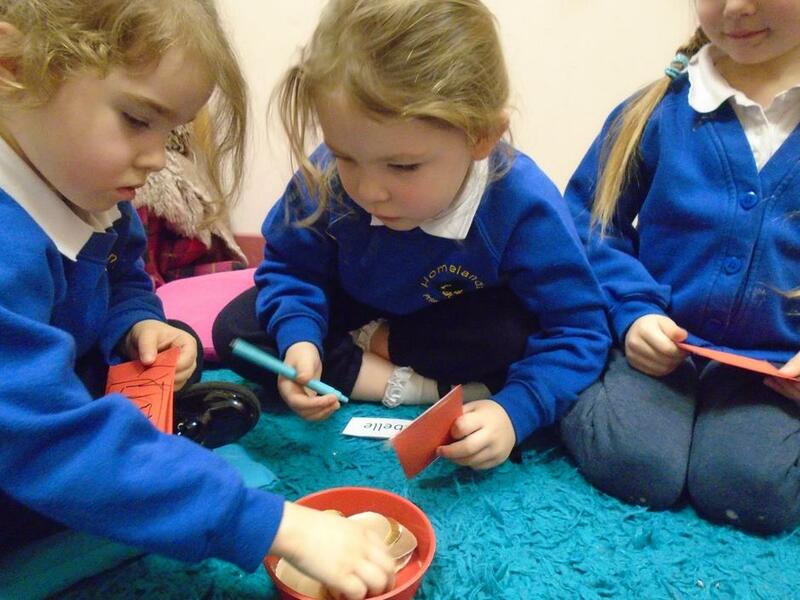 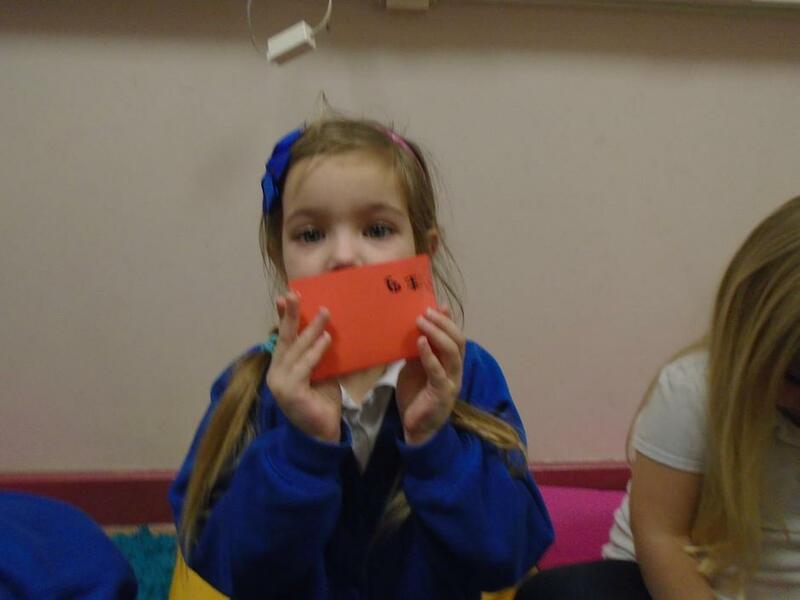 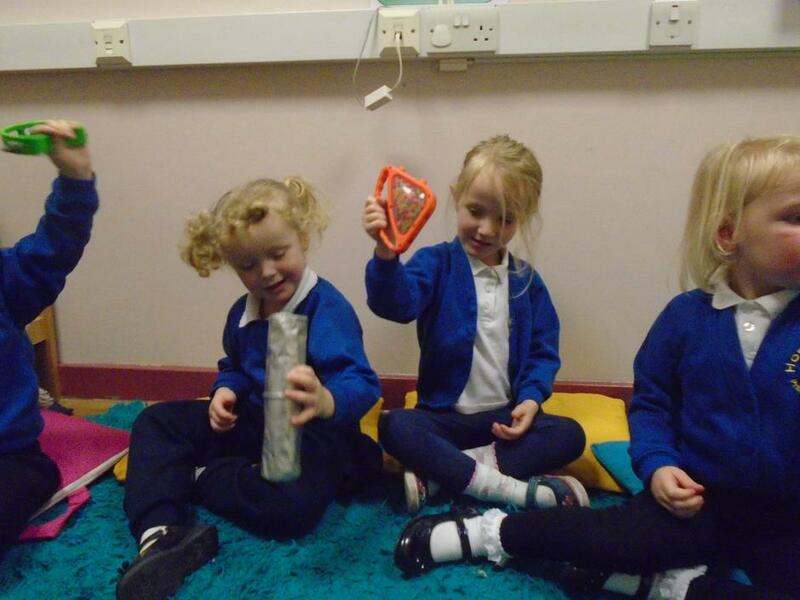 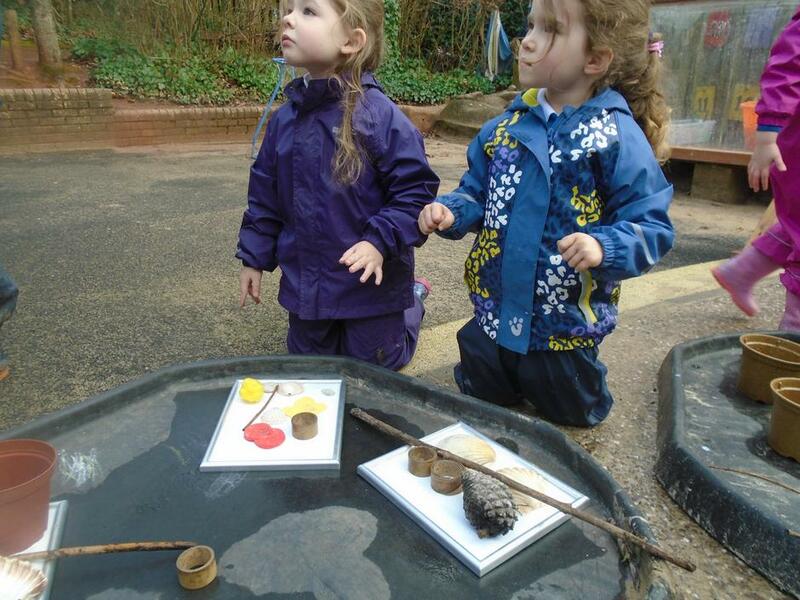 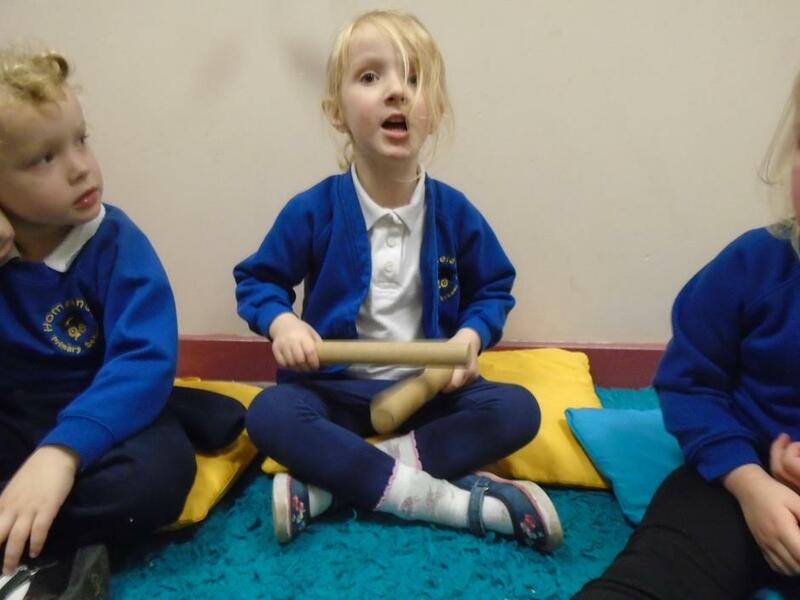 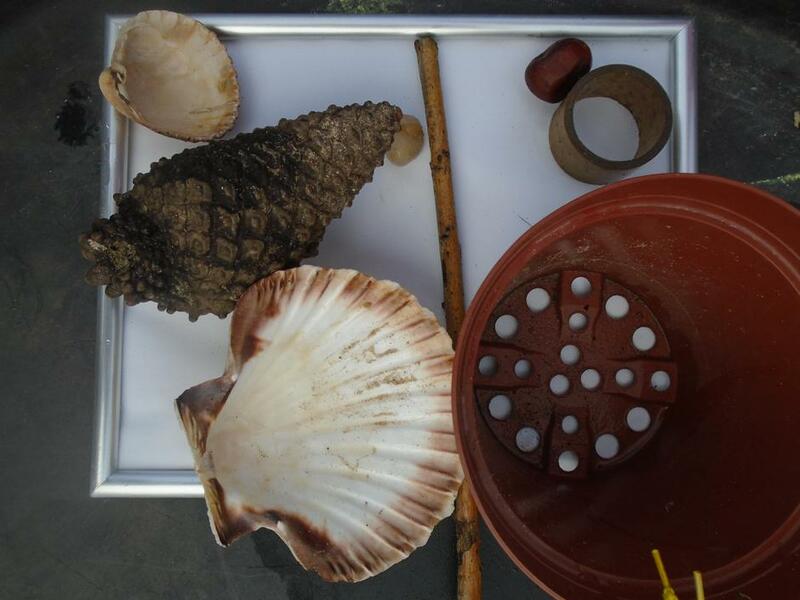 For phonics time we have done some listening activities (both outside and also inside with musical instruments).